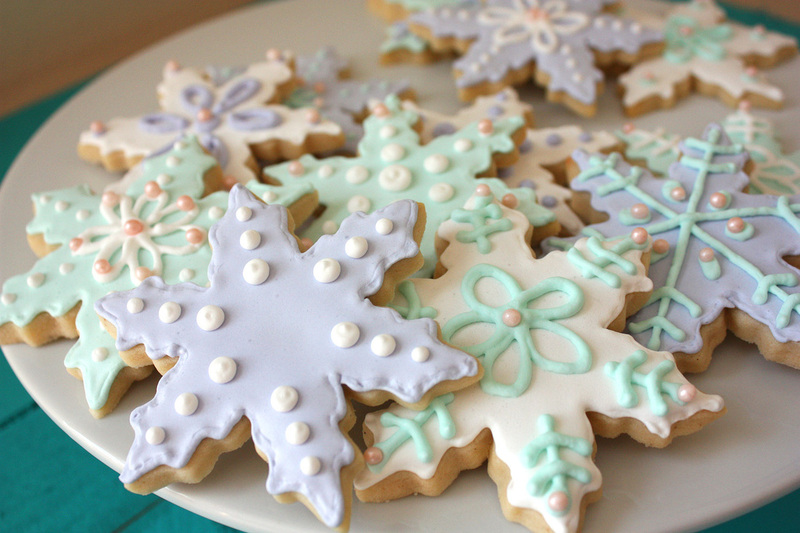 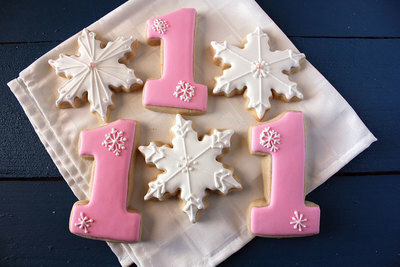 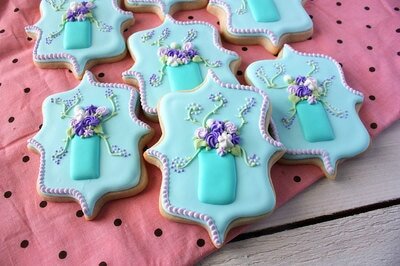 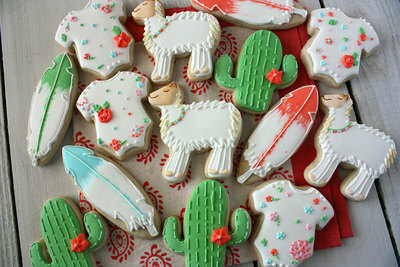 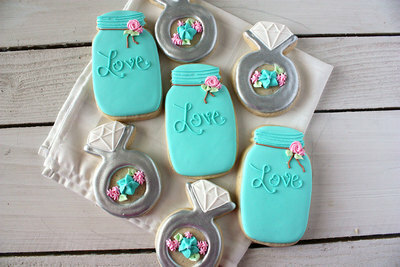 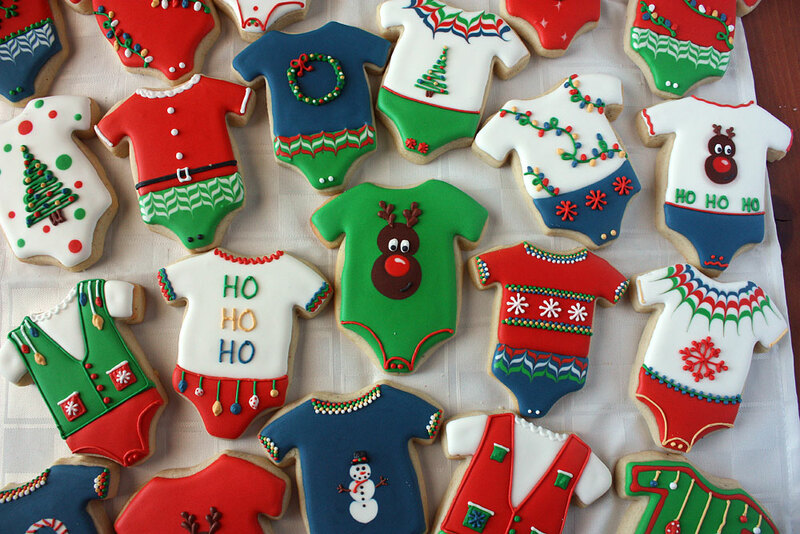 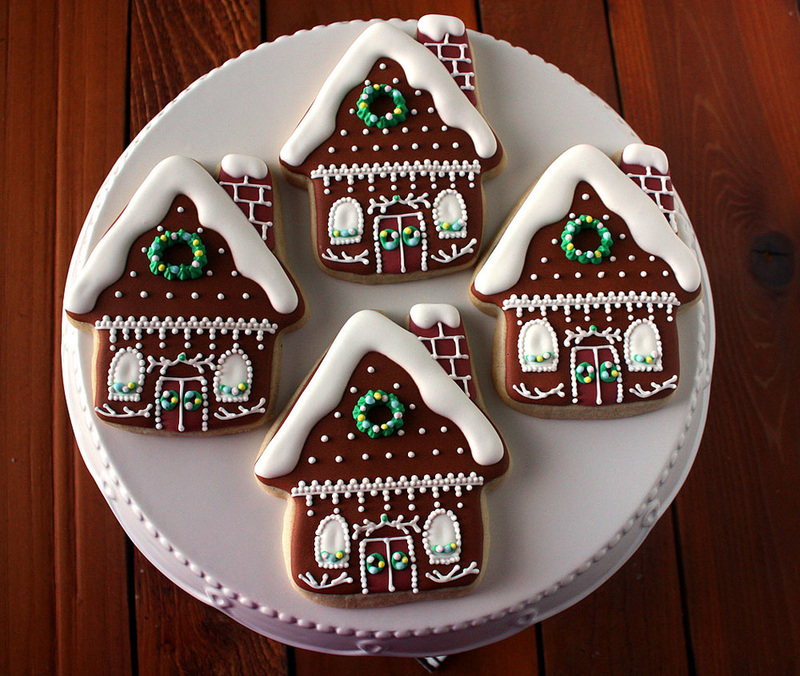 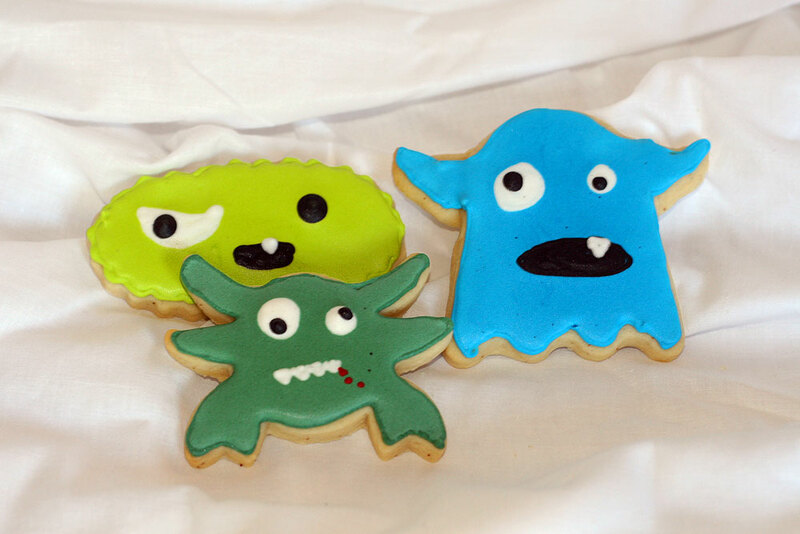 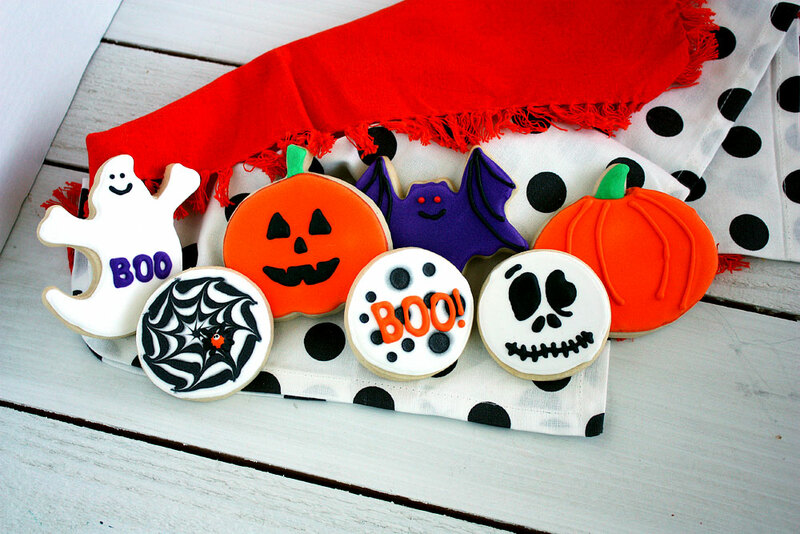 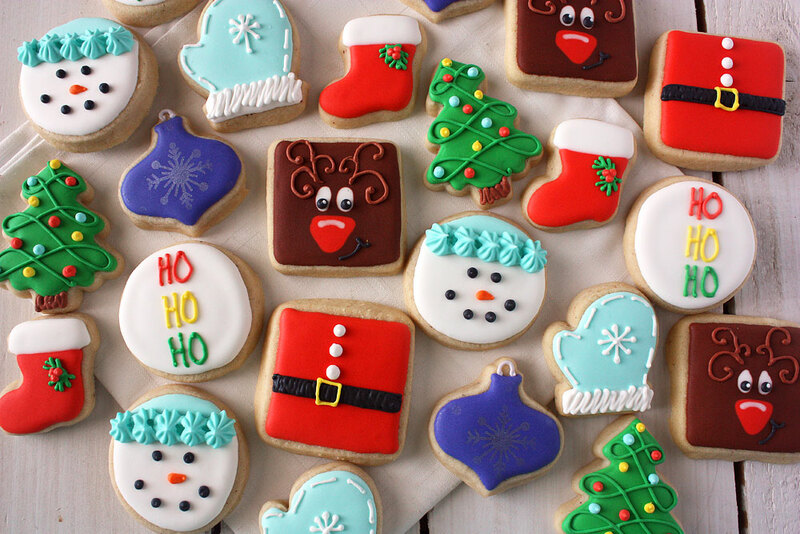 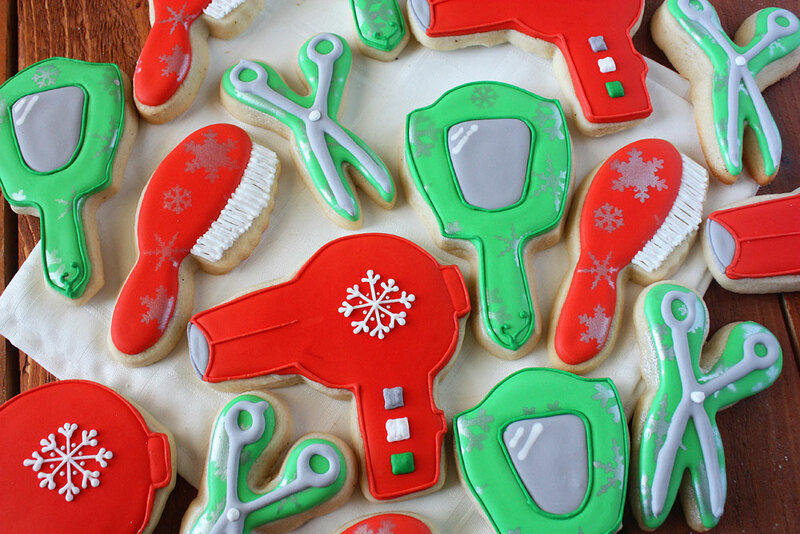 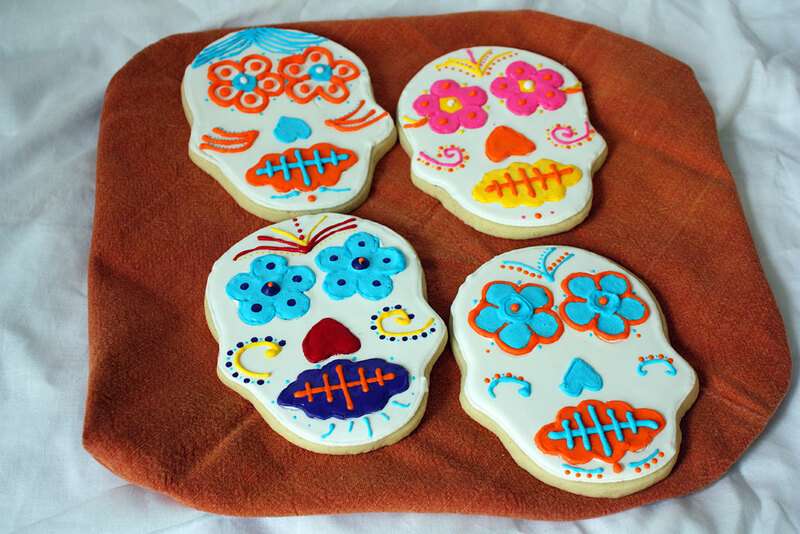 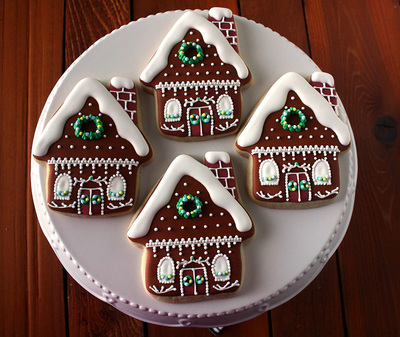 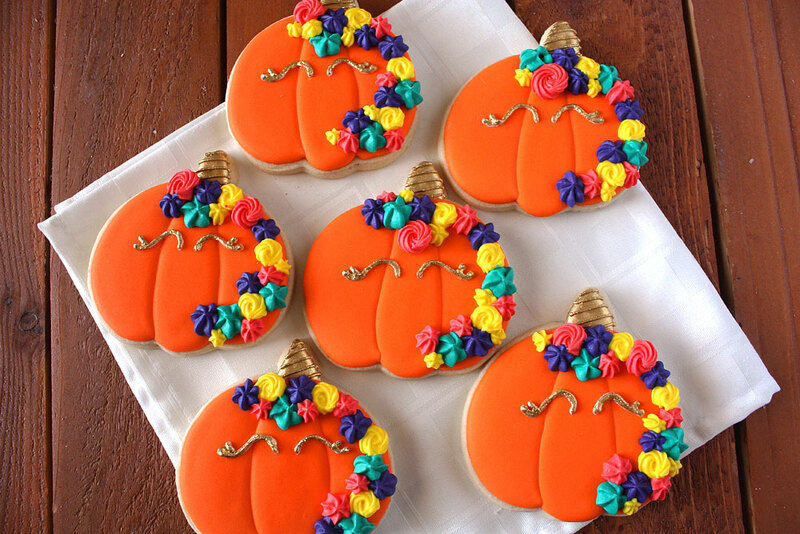 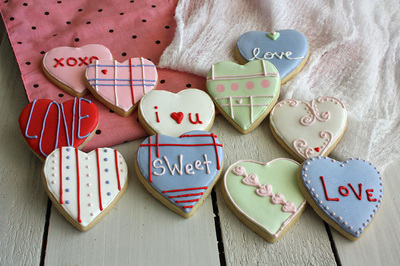 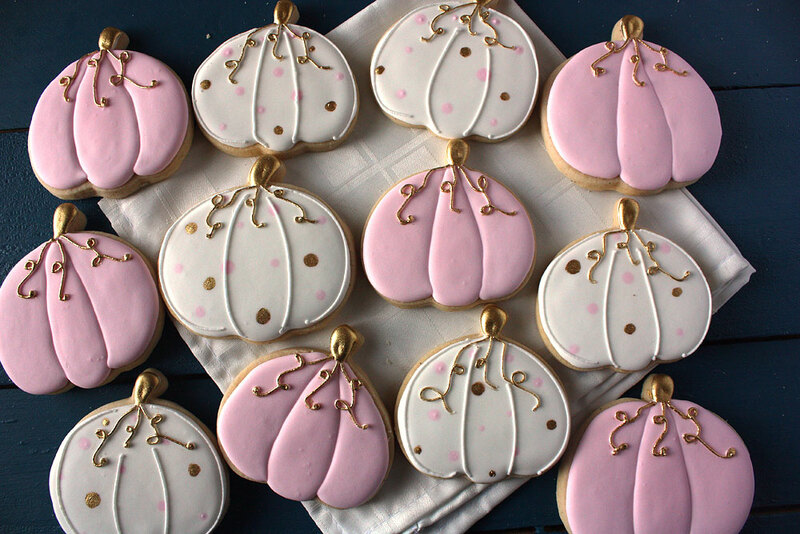 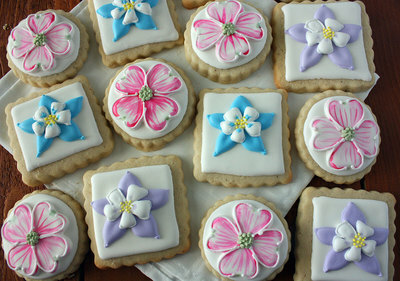 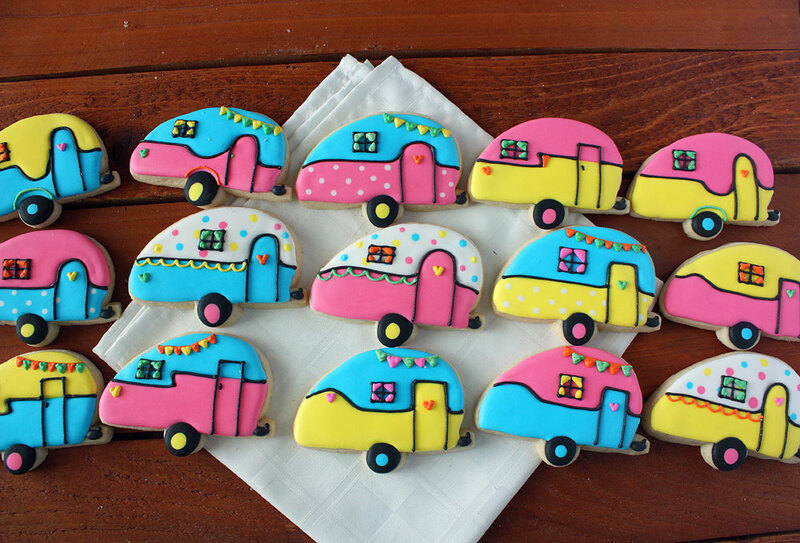 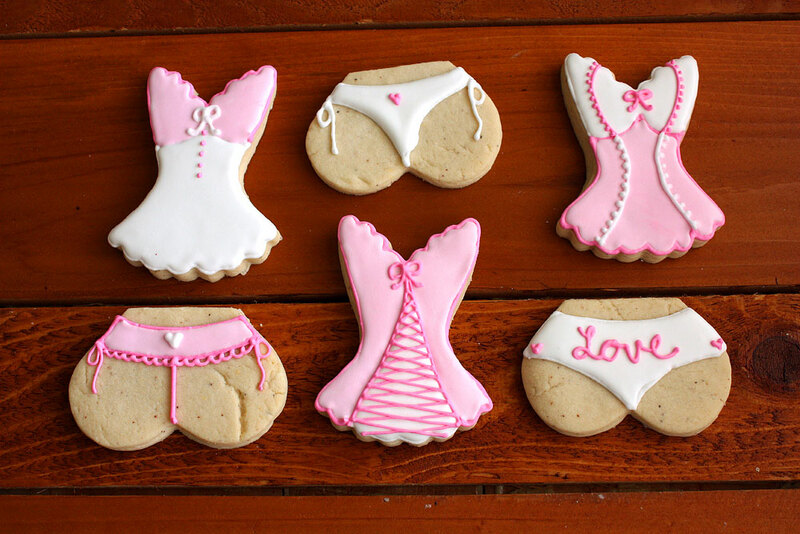 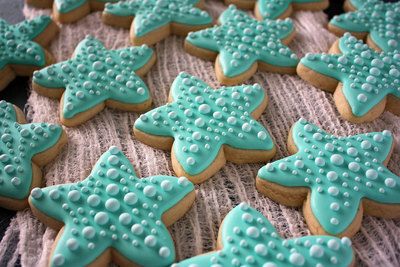 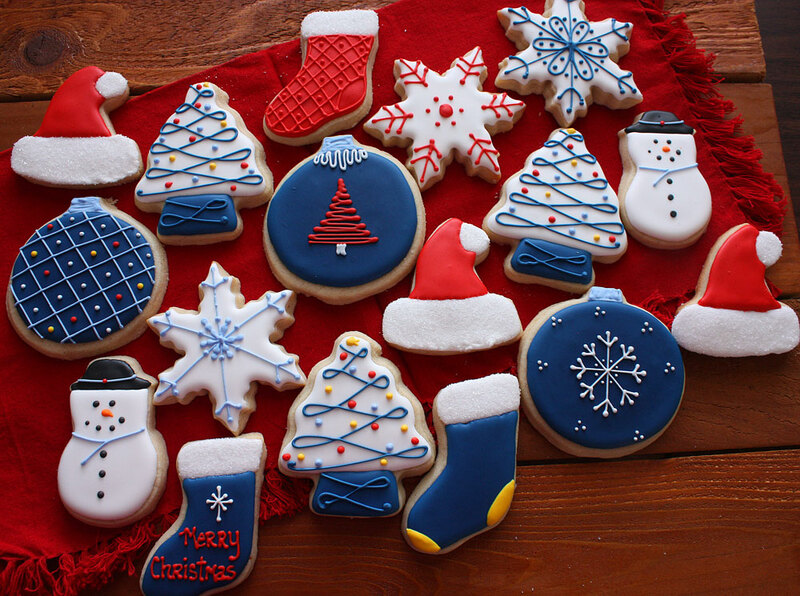 We love decorating sugar cookies. 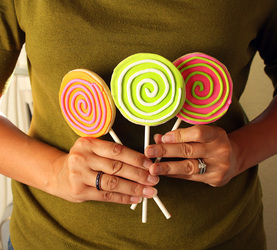 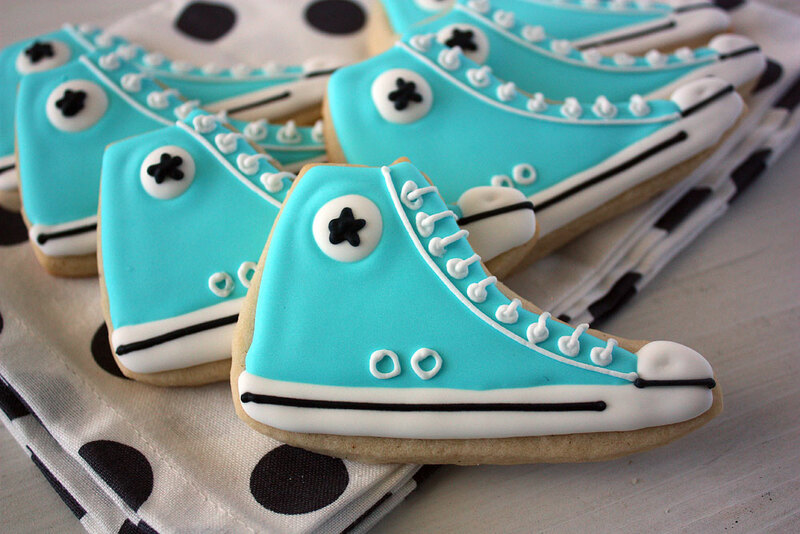 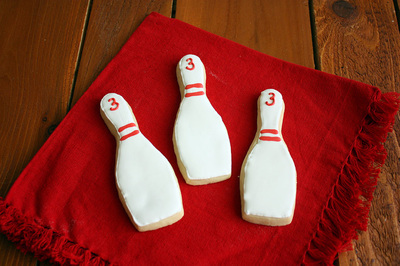 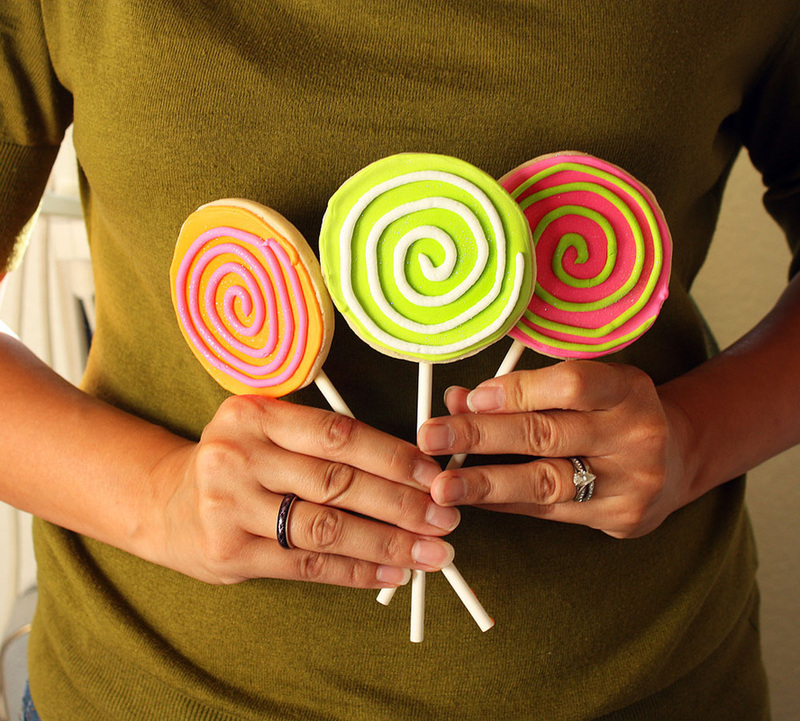 Not only will they fit your theme, they will be delicious, too! 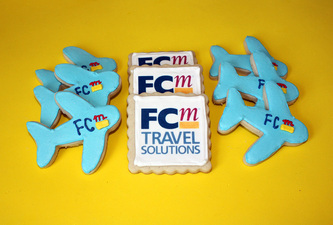 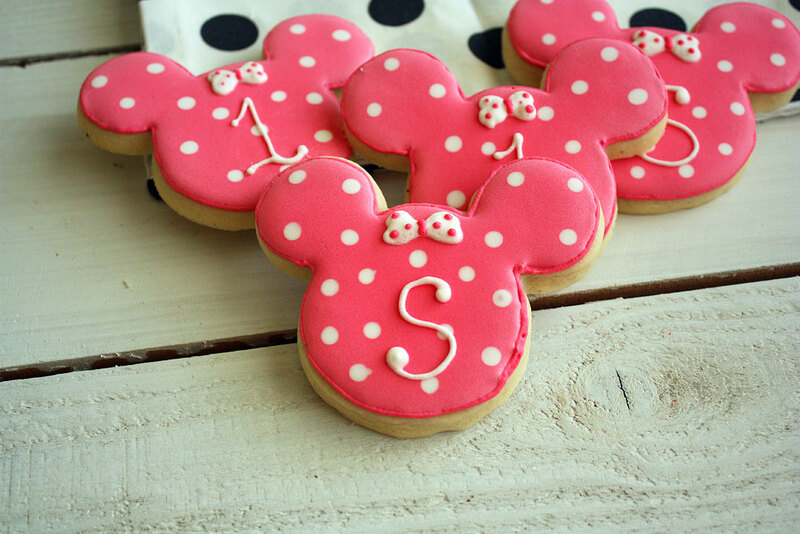 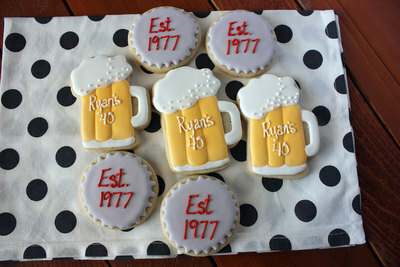 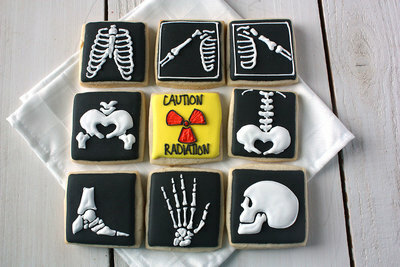 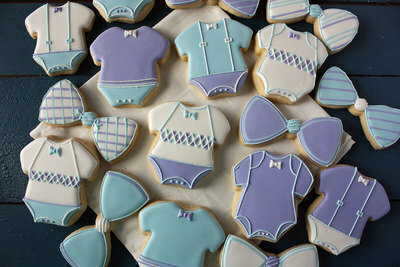 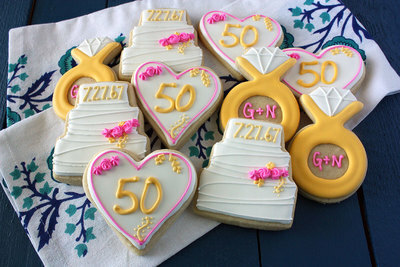 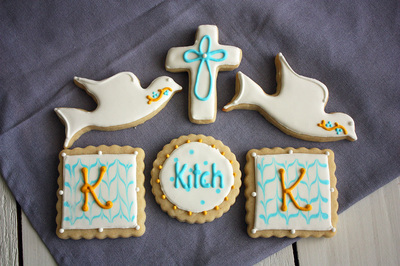 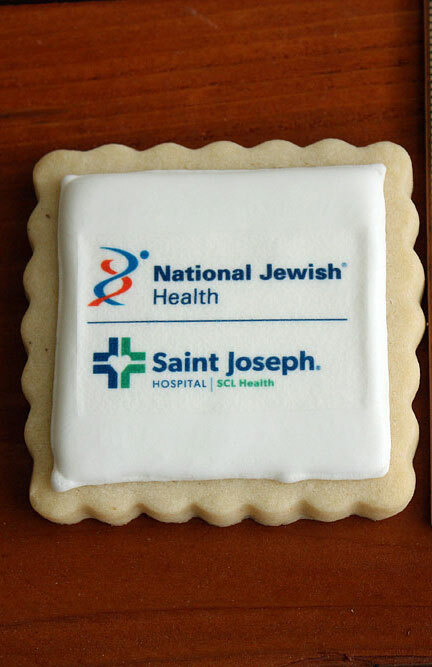 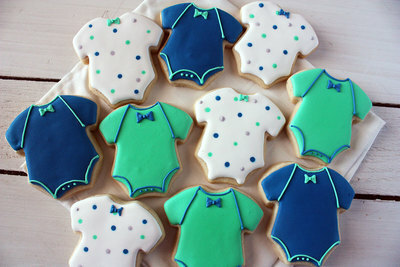 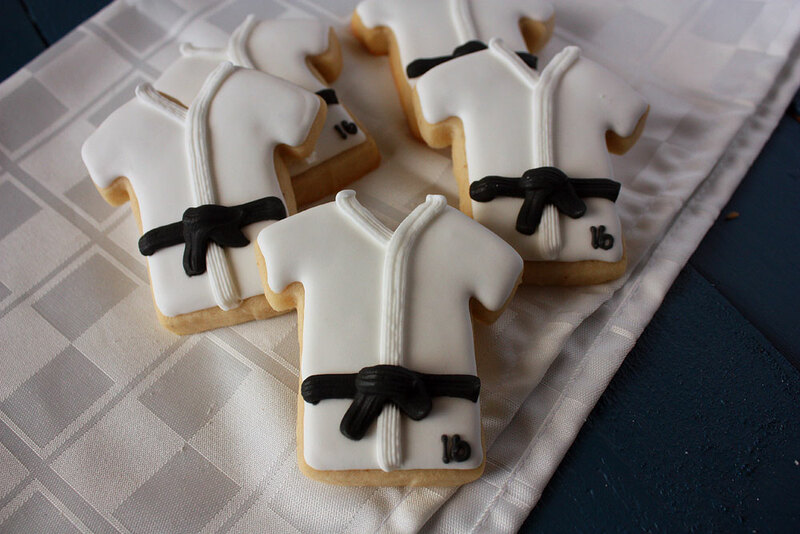 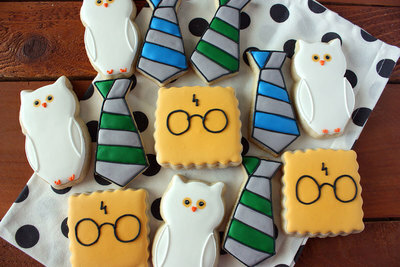 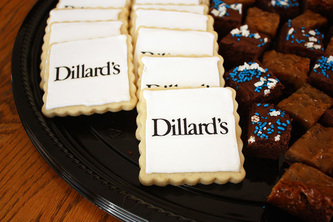 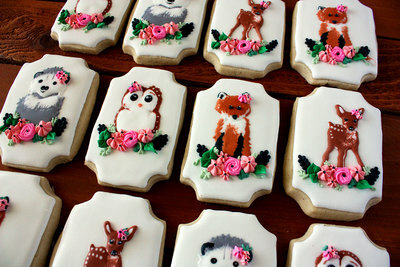 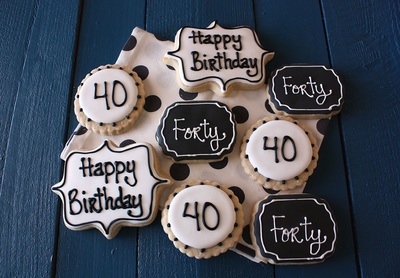 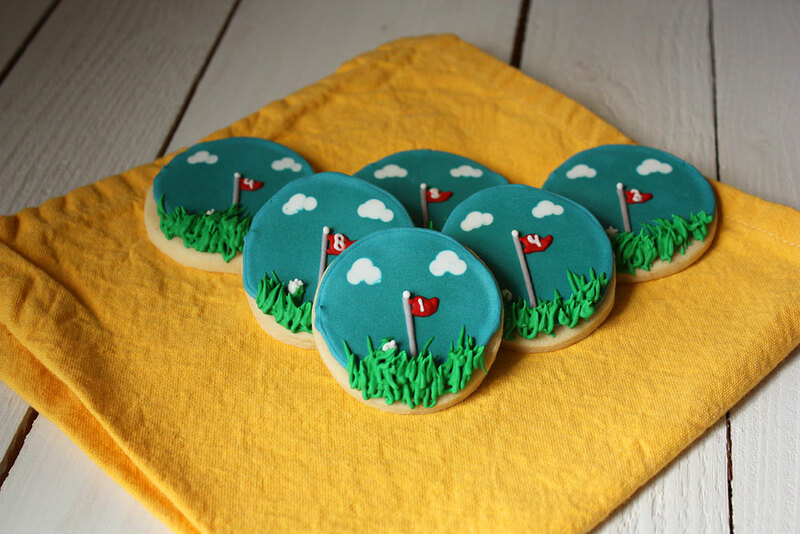 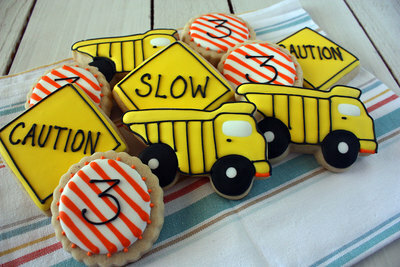 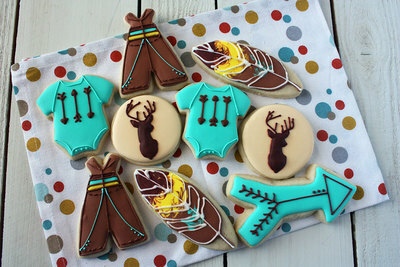 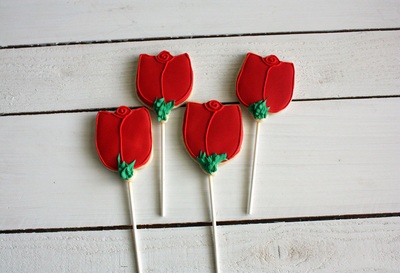 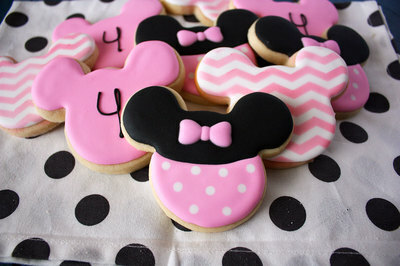 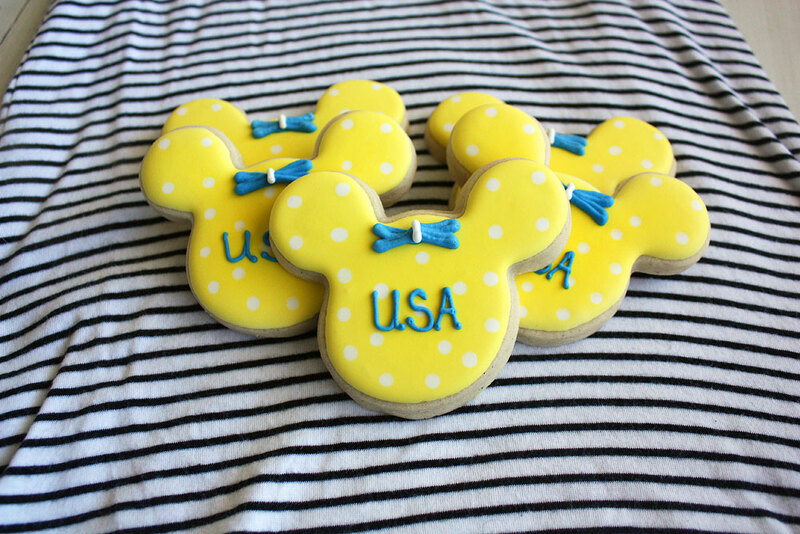 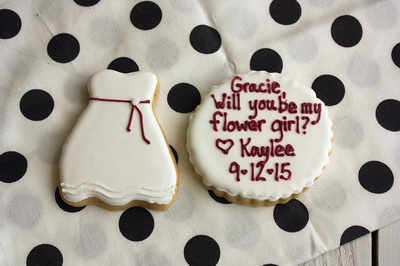 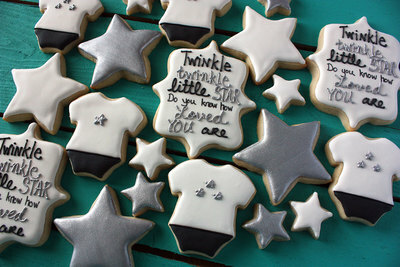 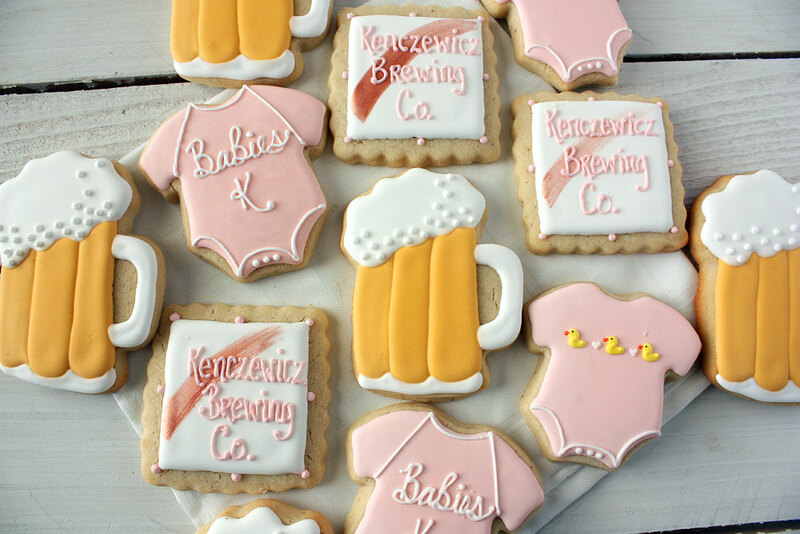 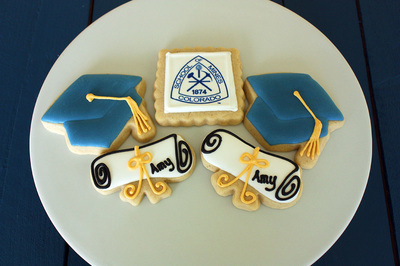 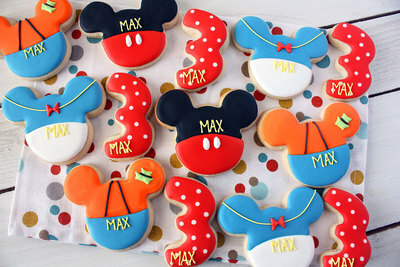 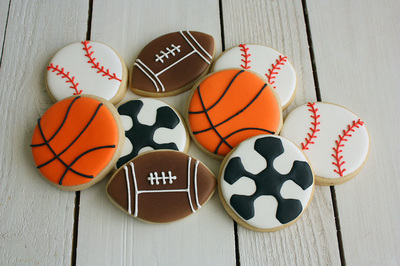 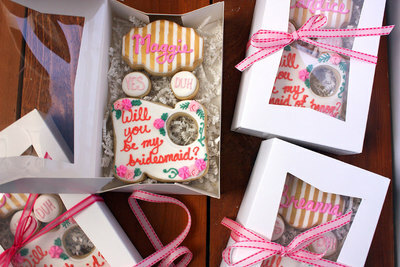 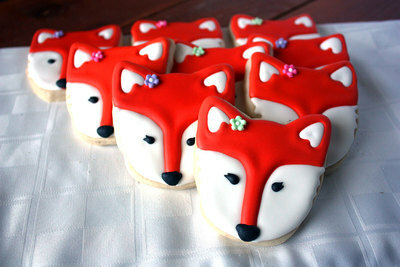 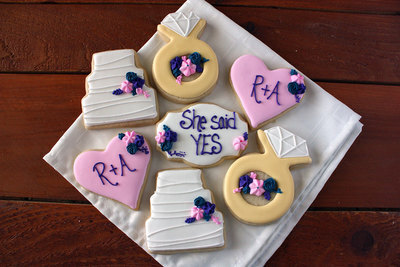 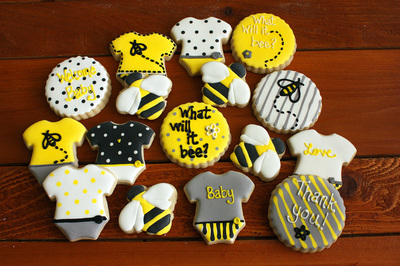 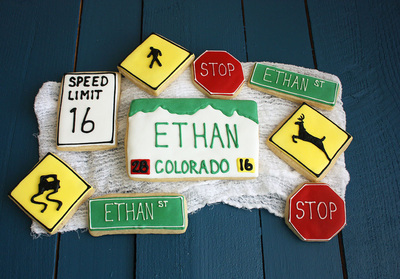 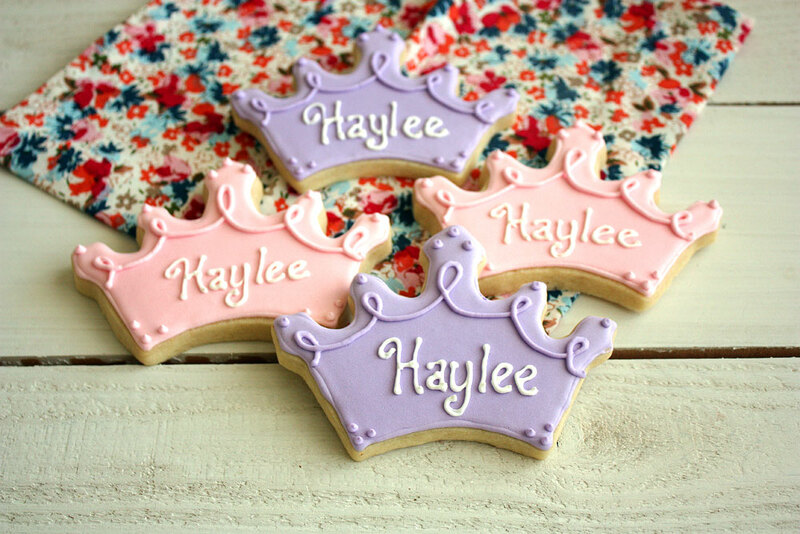 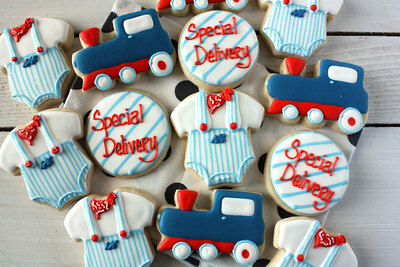 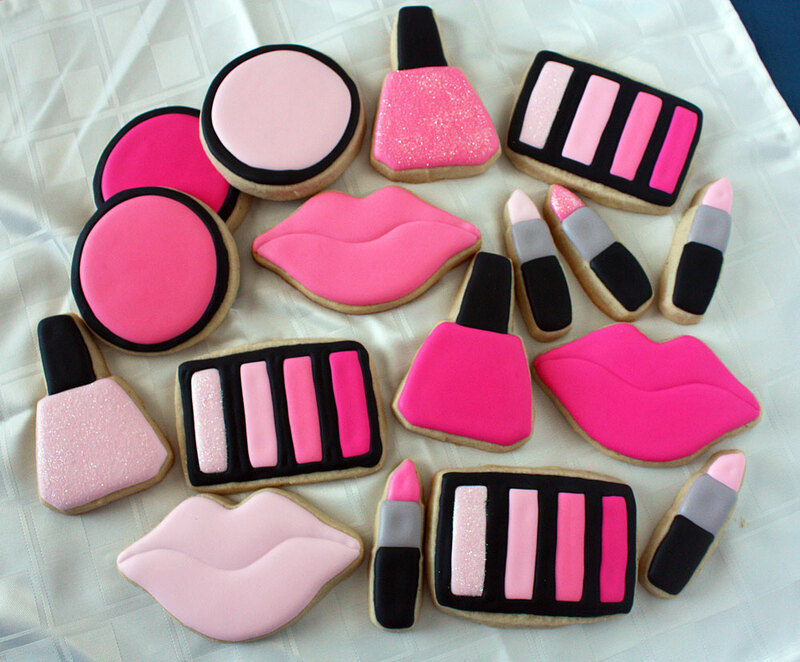 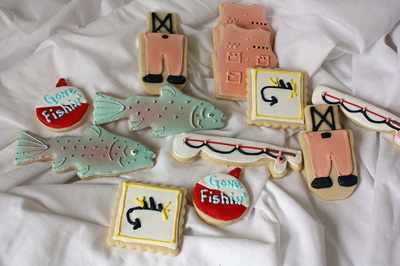 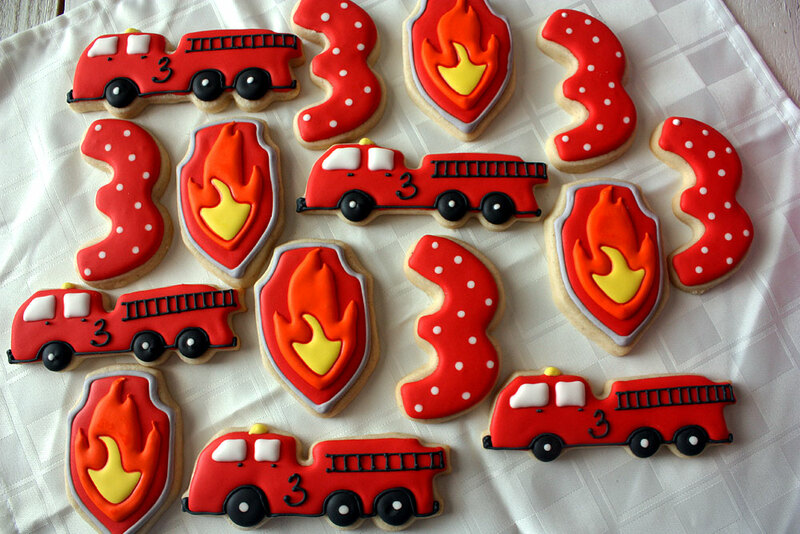 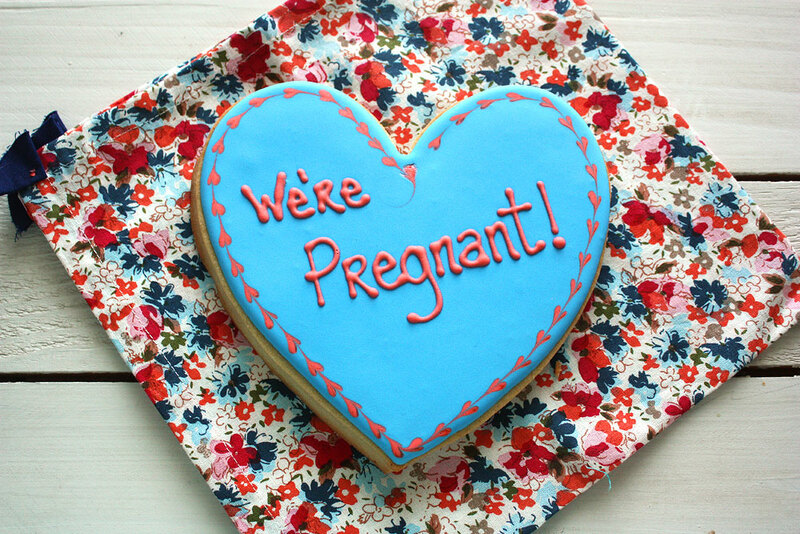 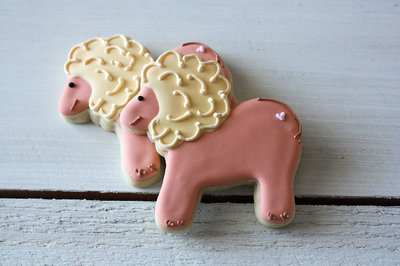 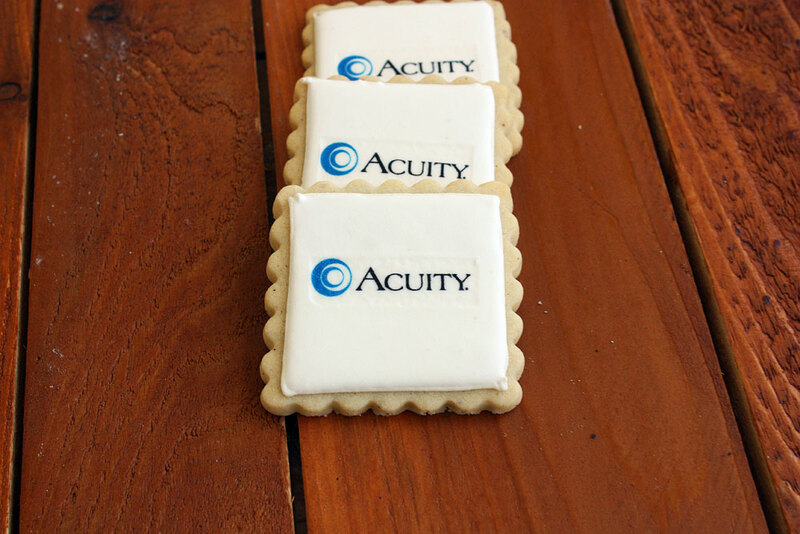 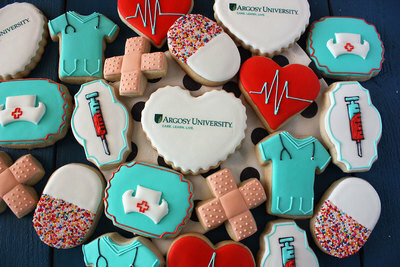 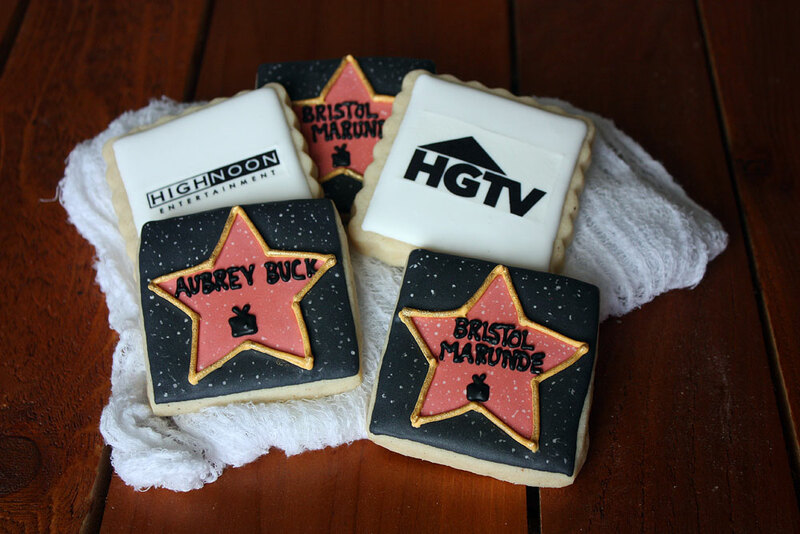 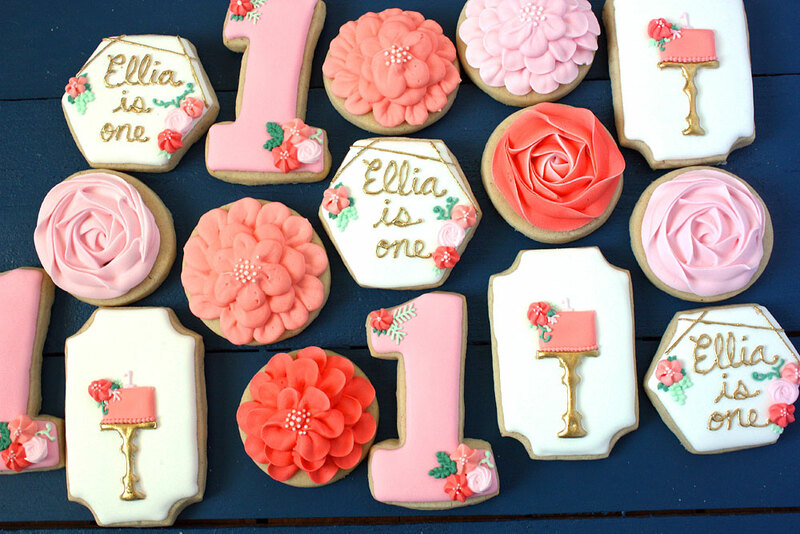 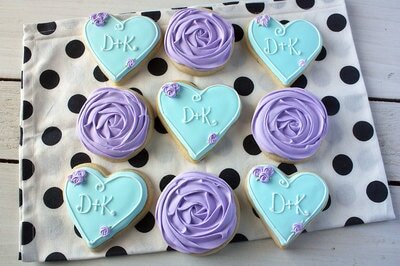 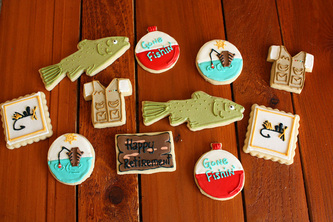 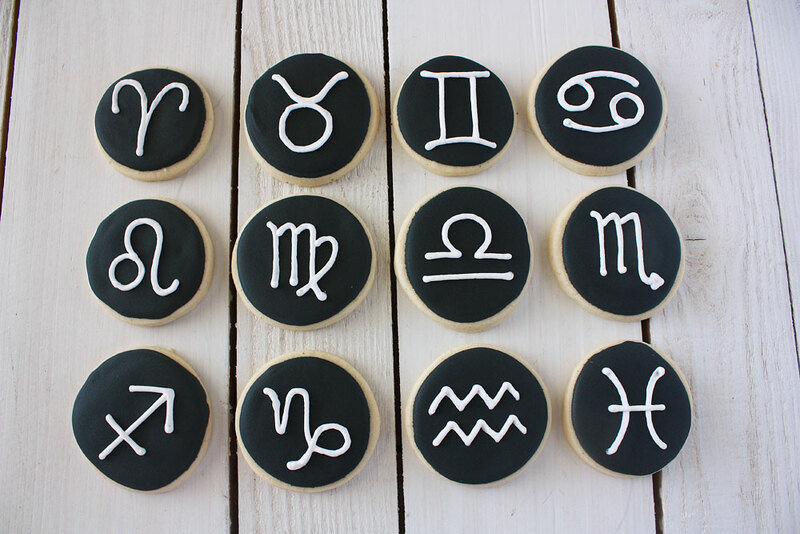 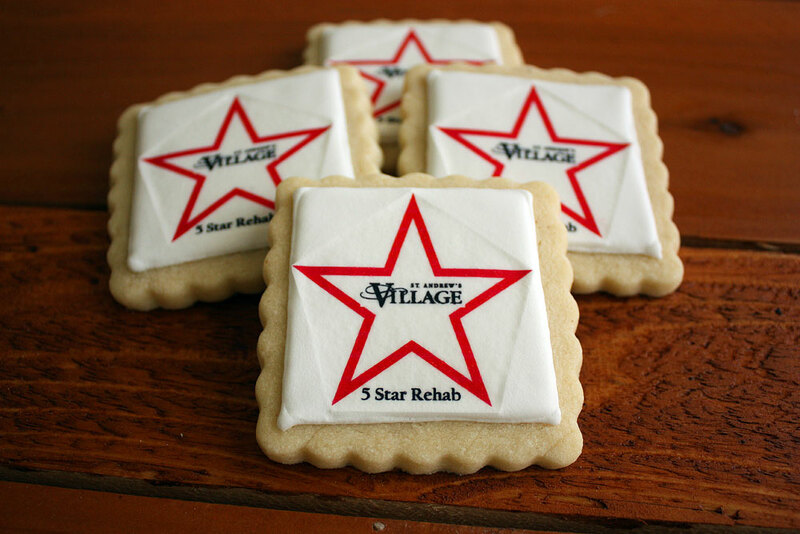 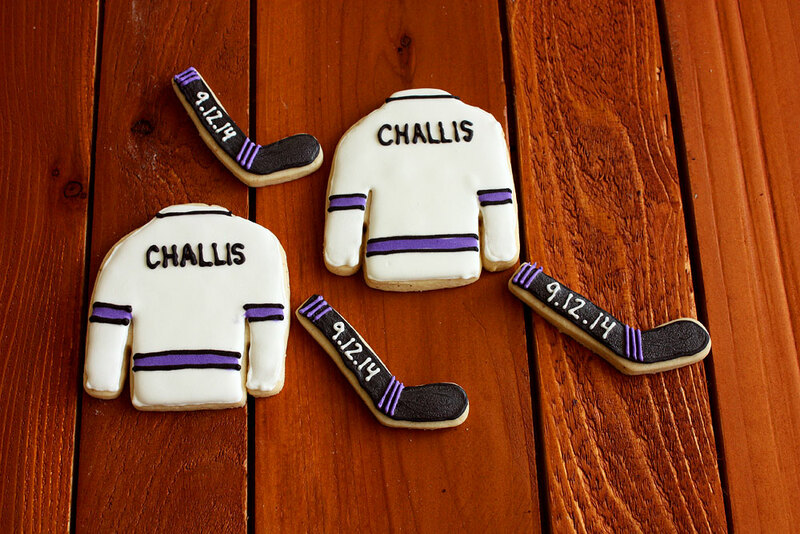 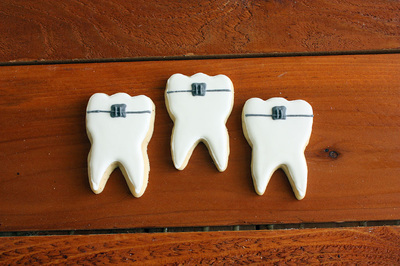 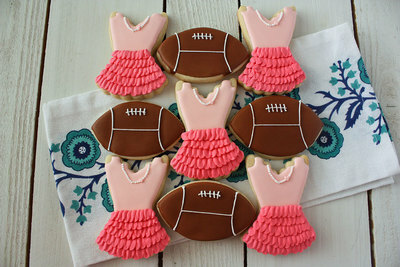 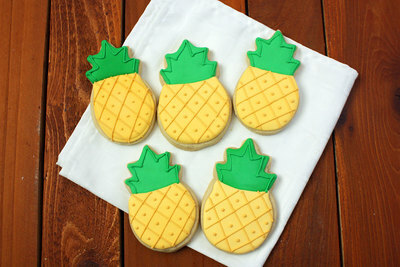 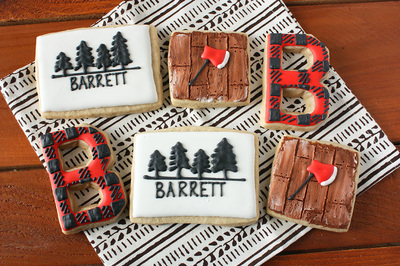 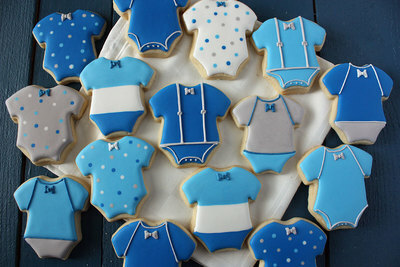 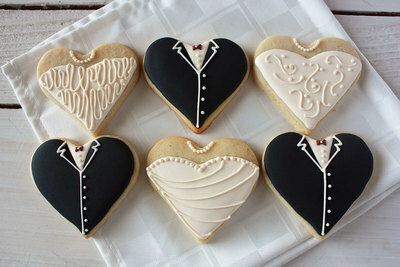 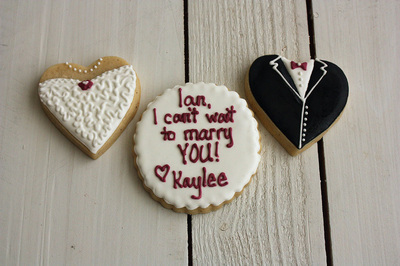 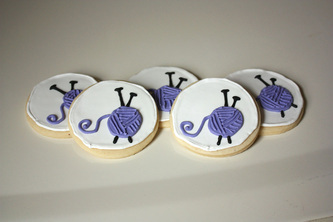 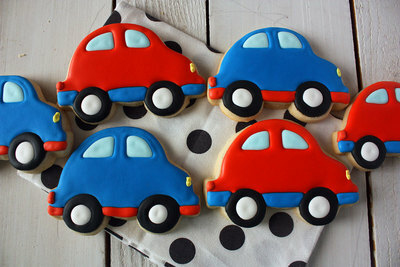 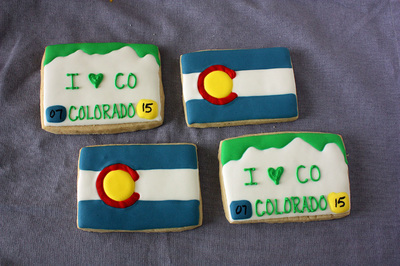 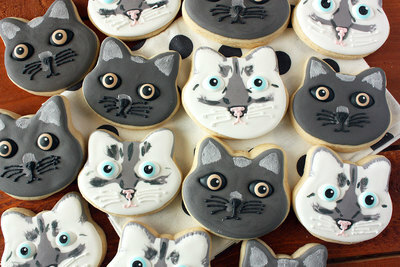 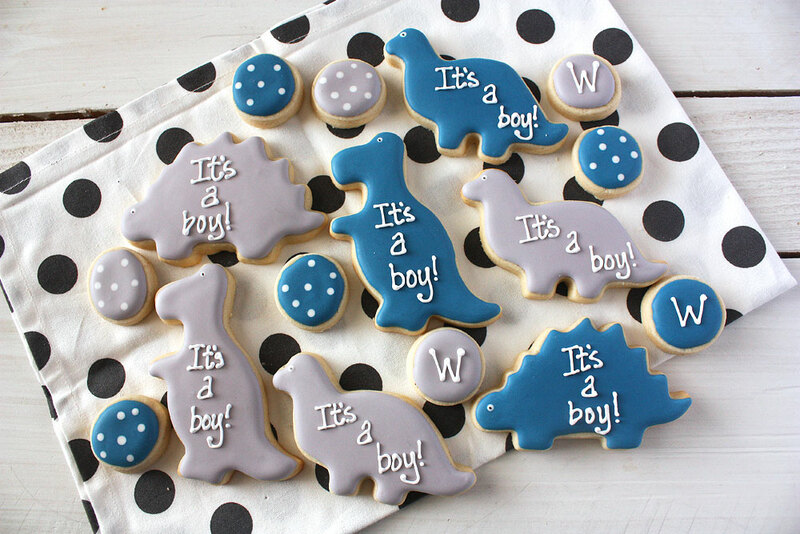 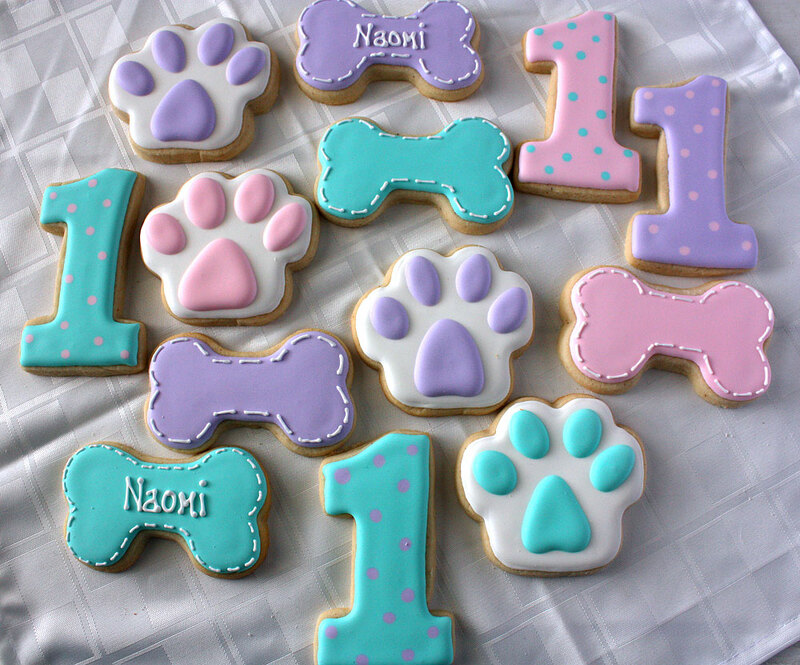 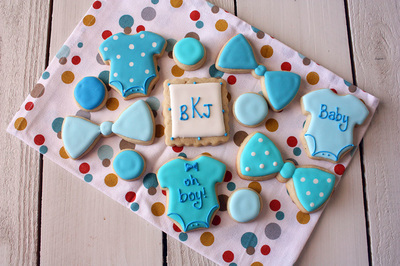 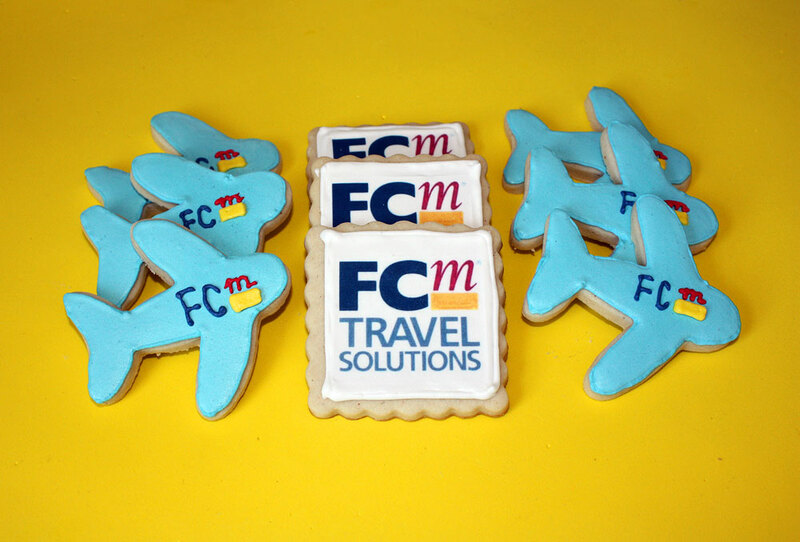 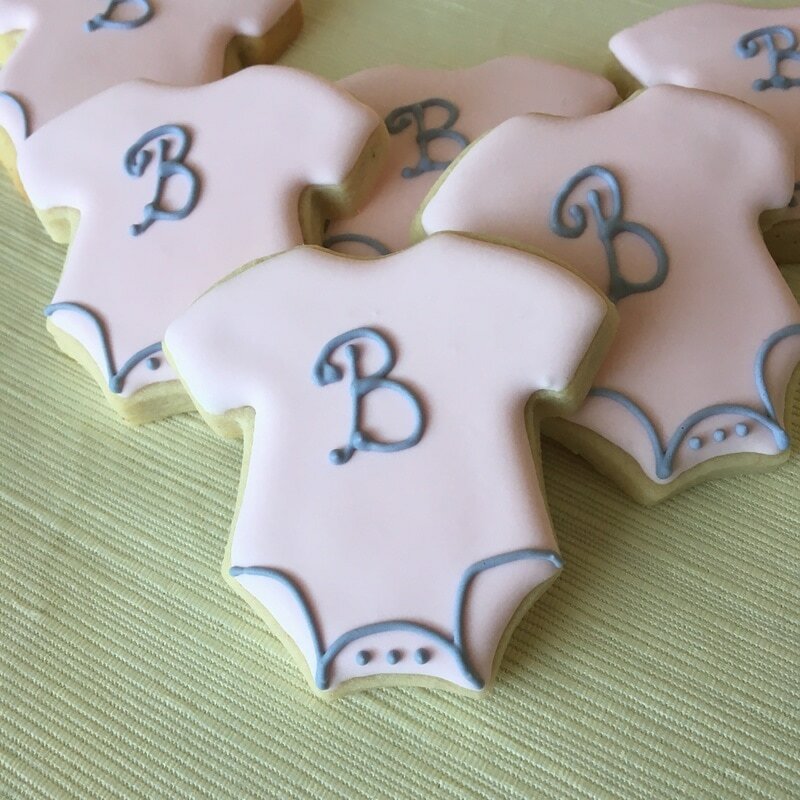 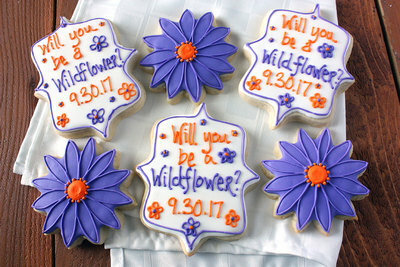 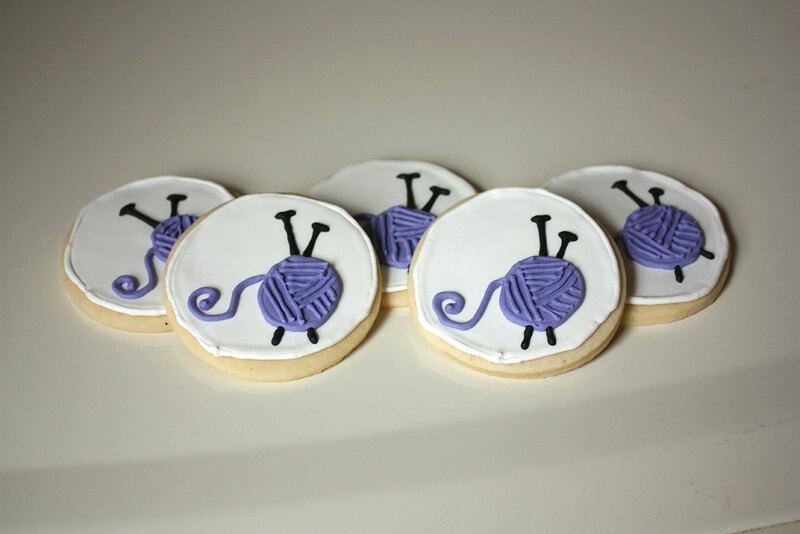 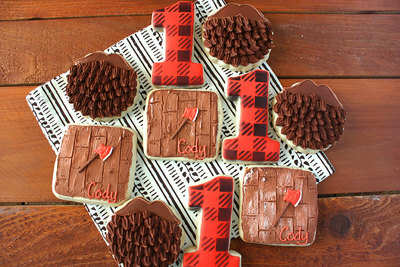 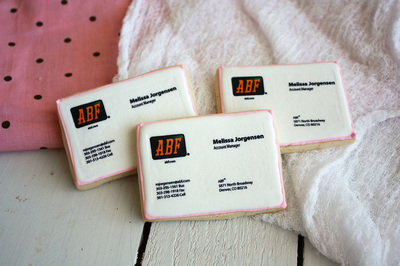 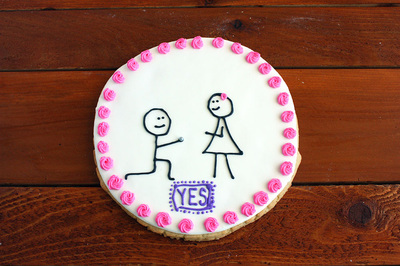 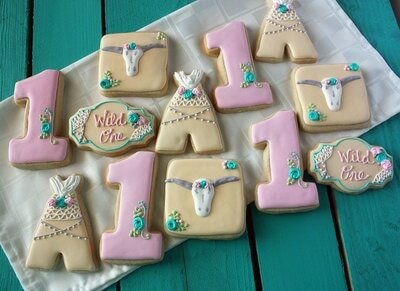 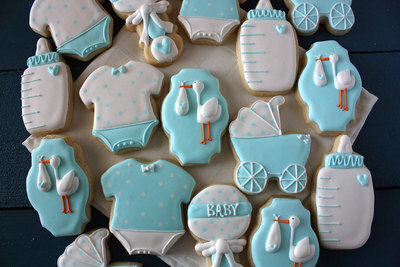 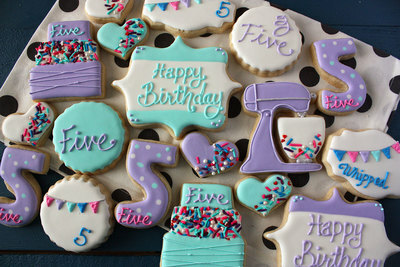 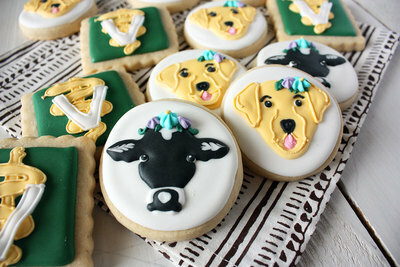 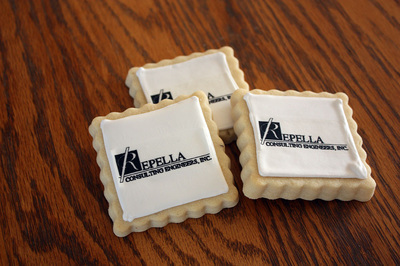 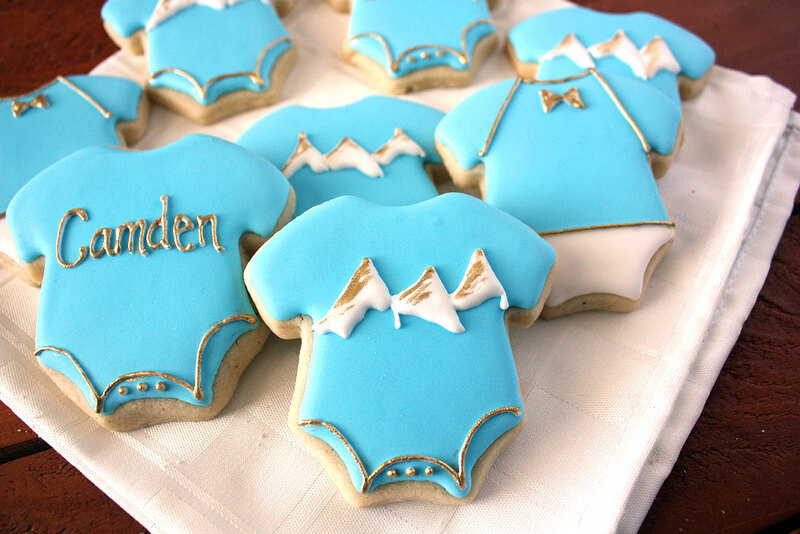 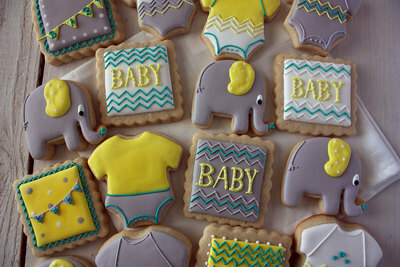 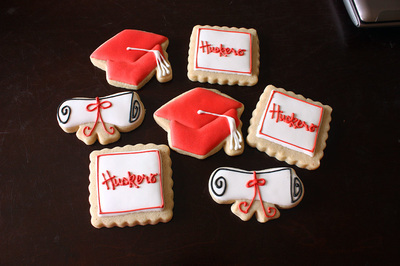 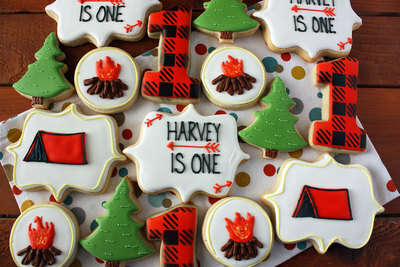 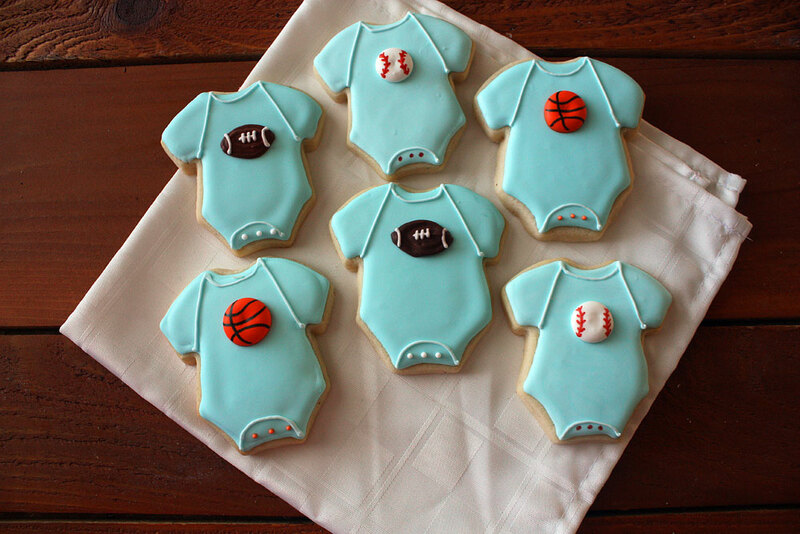 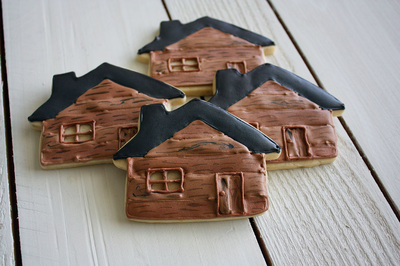 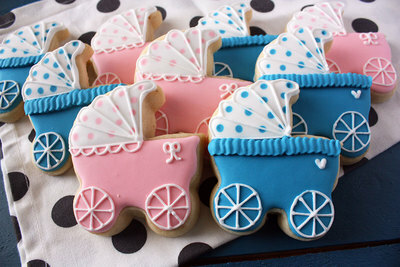 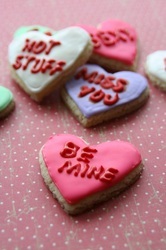 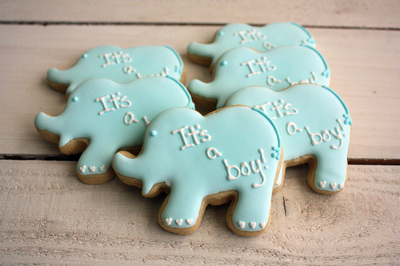 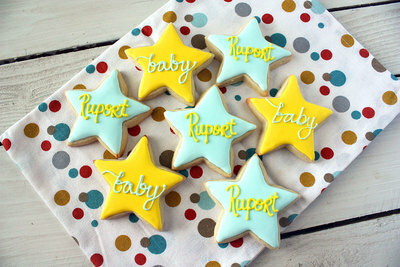 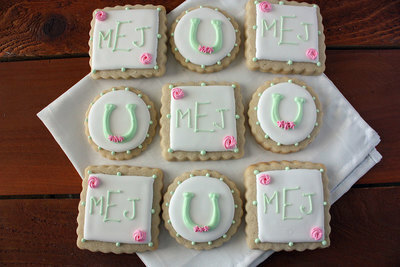 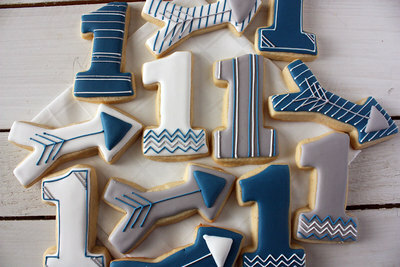 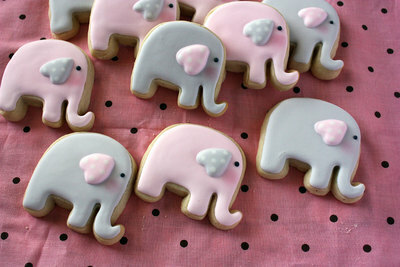 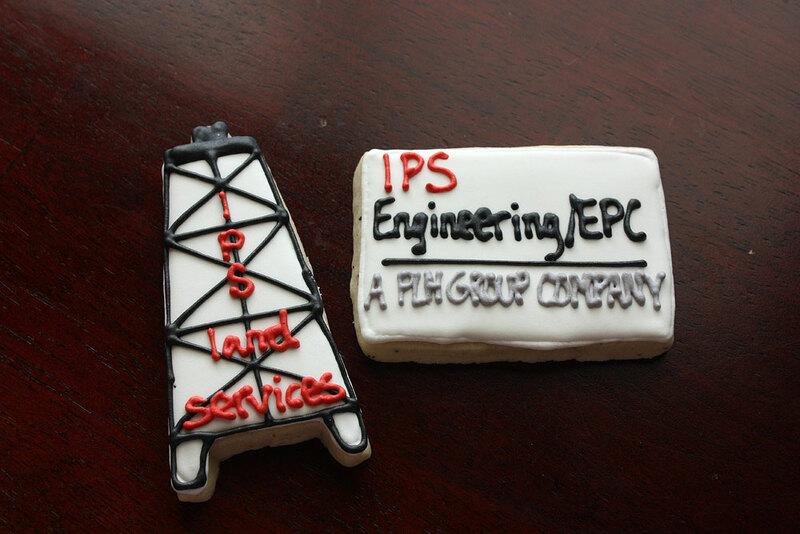 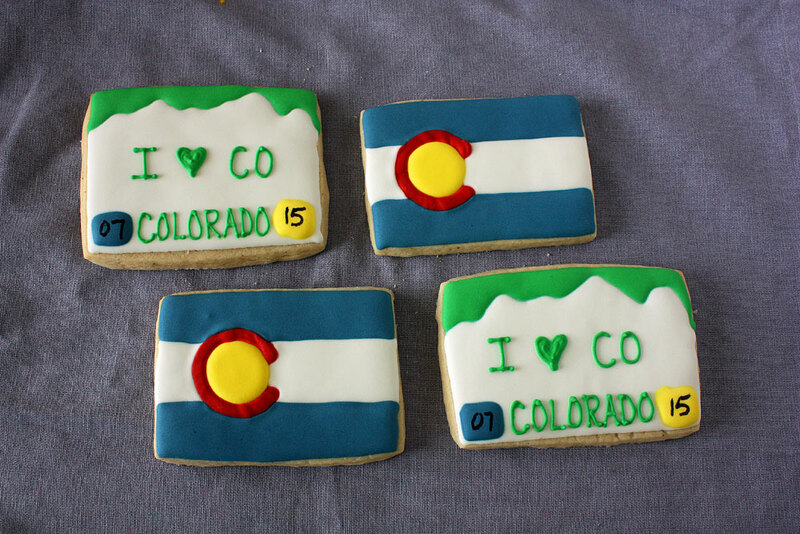 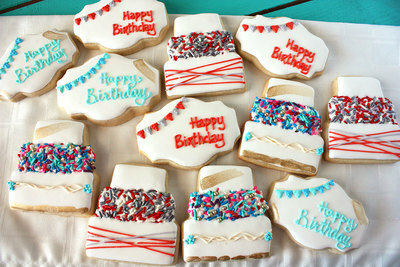 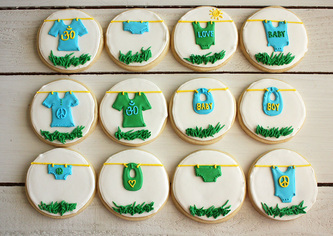 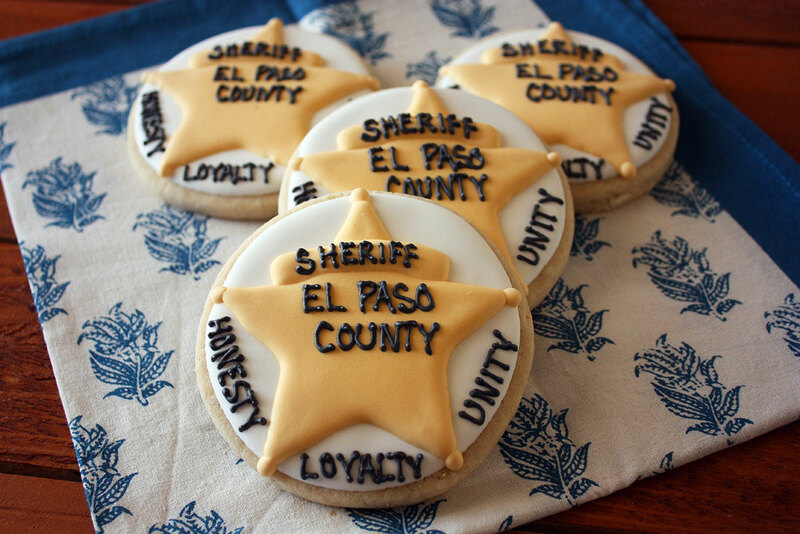 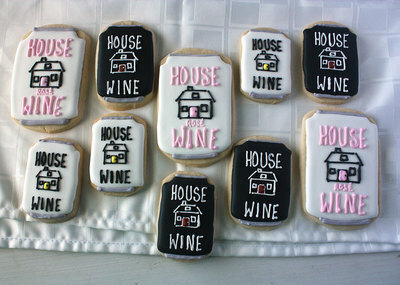 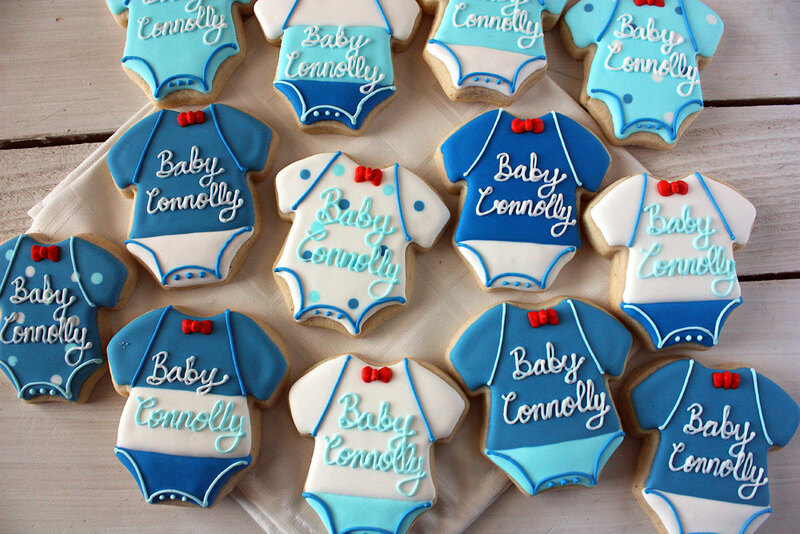 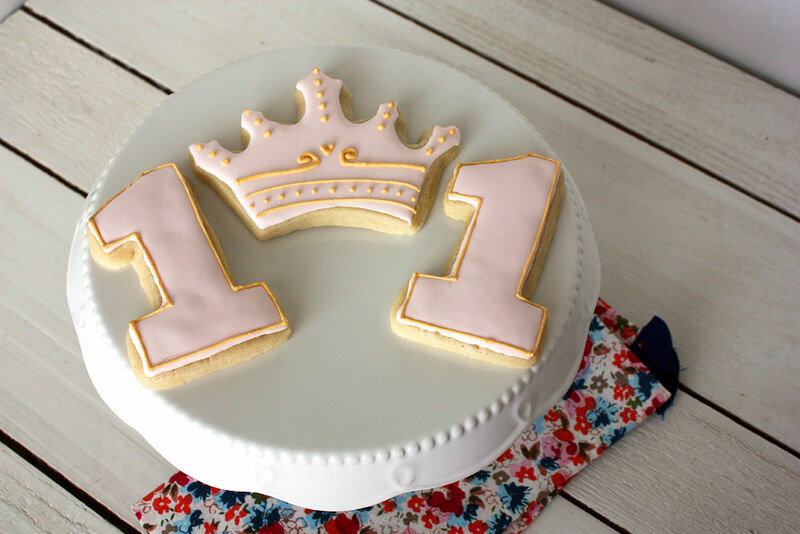 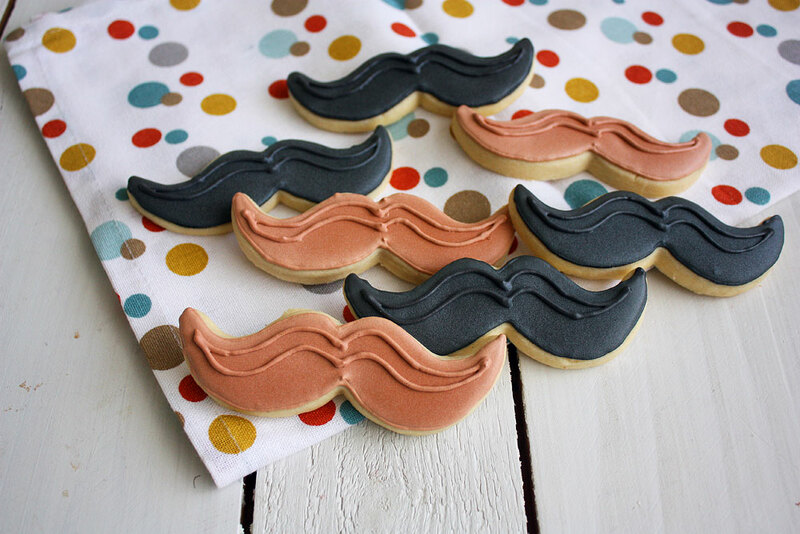 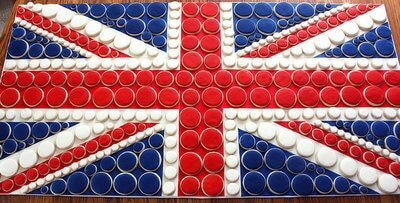 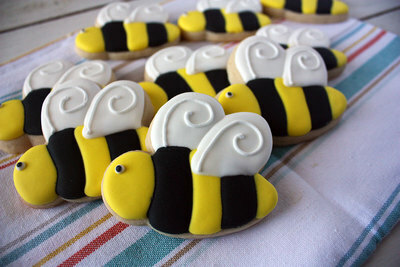 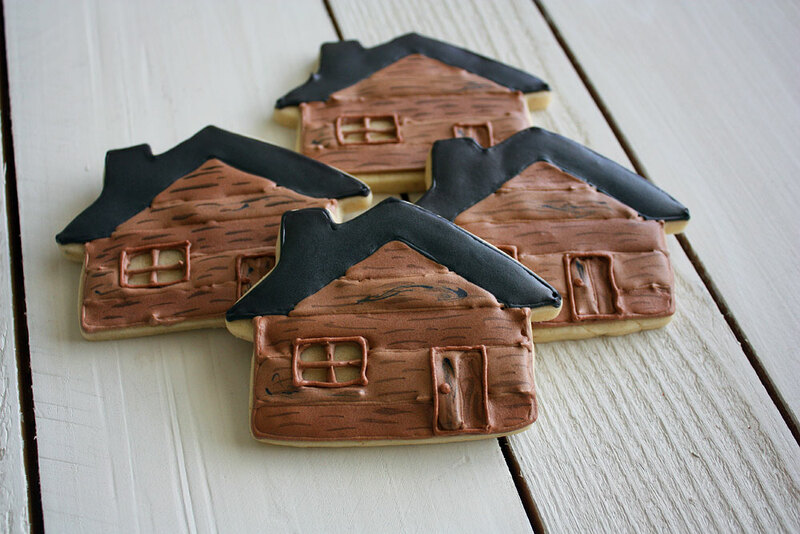 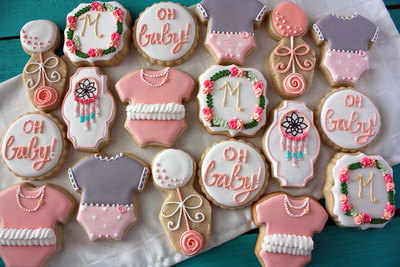 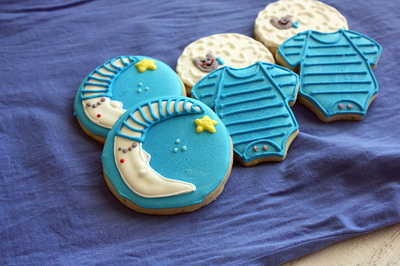 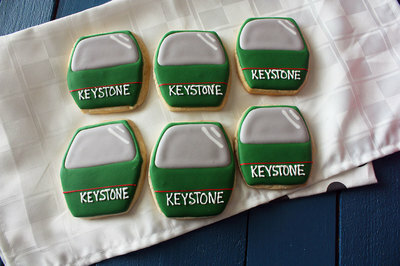 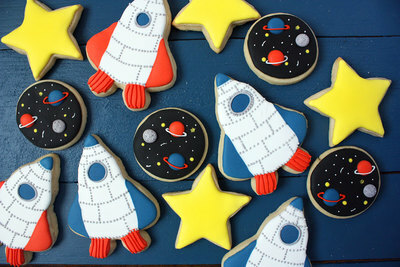 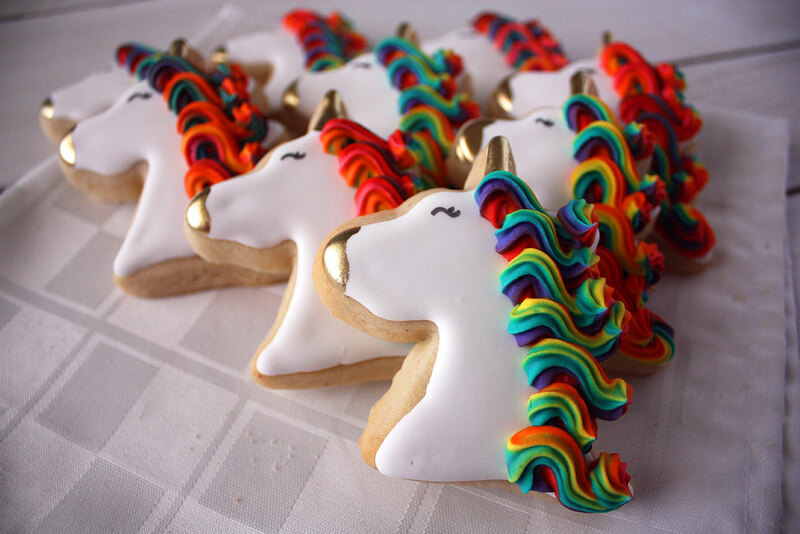 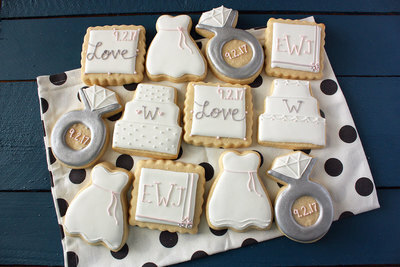 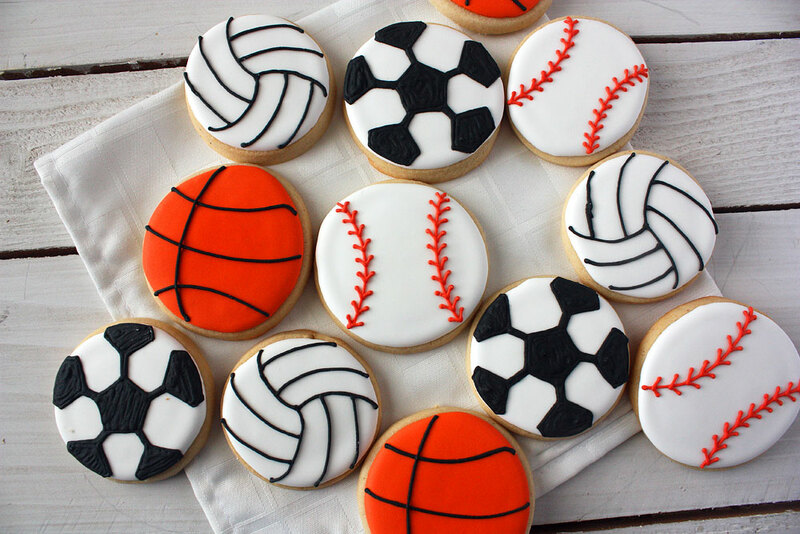 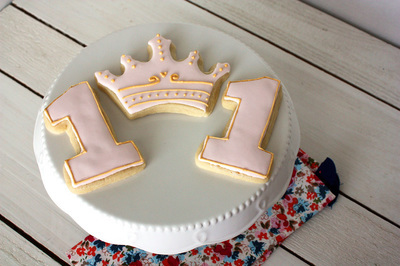 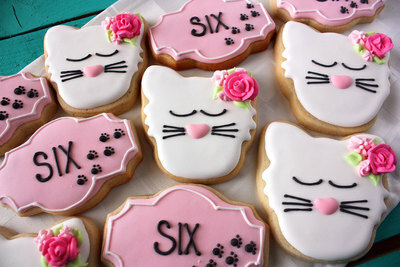 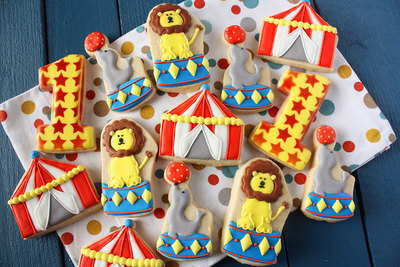 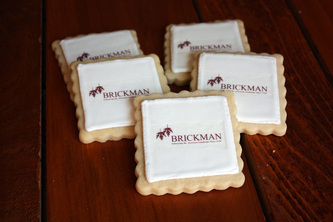 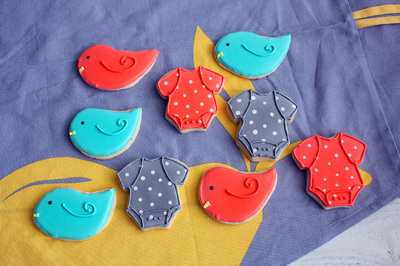 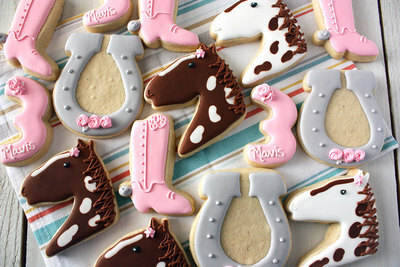 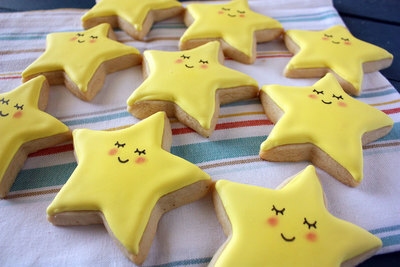 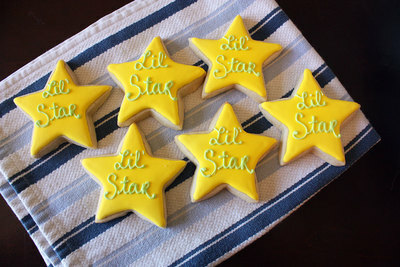 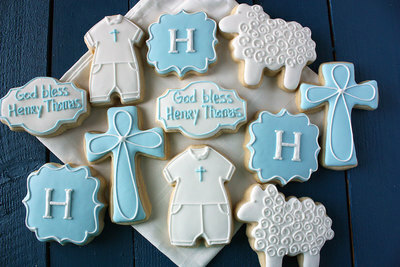 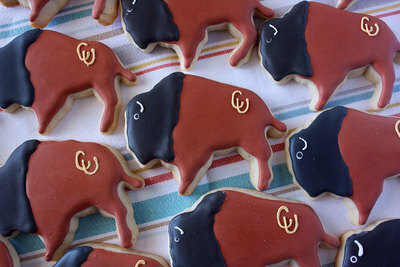 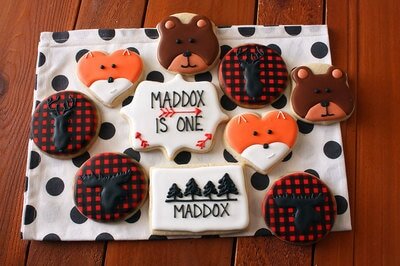 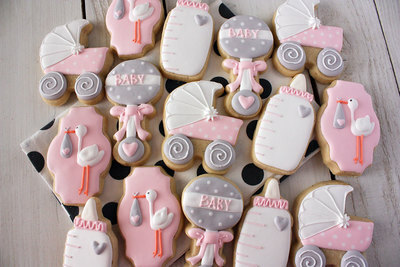 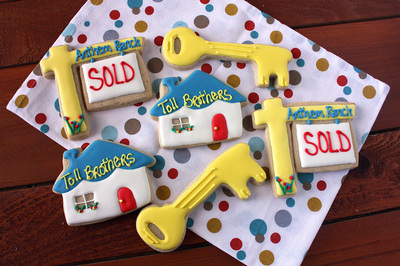 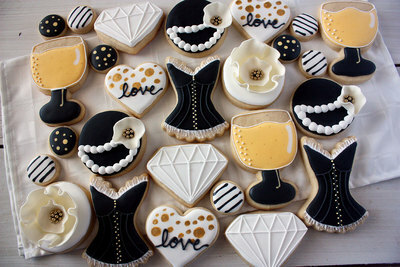 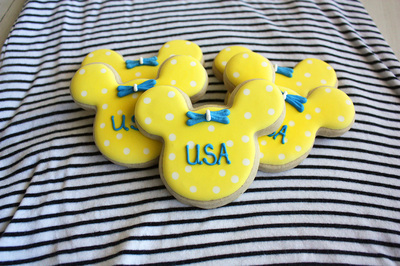 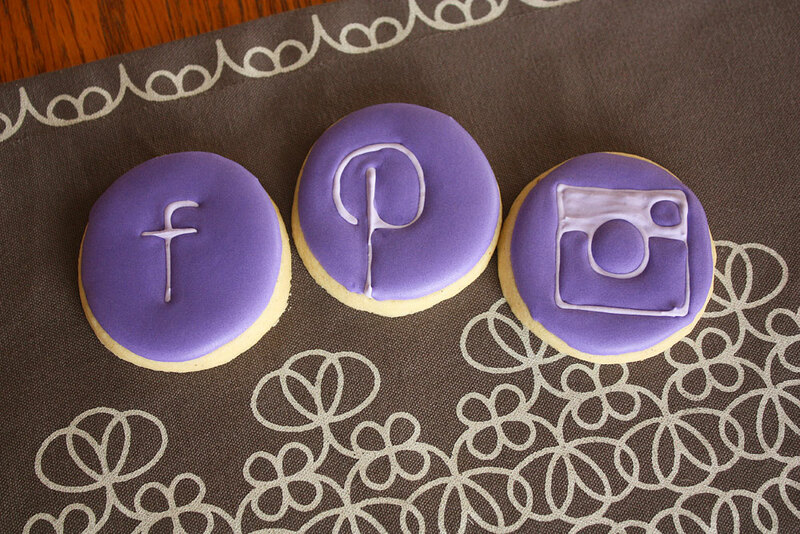 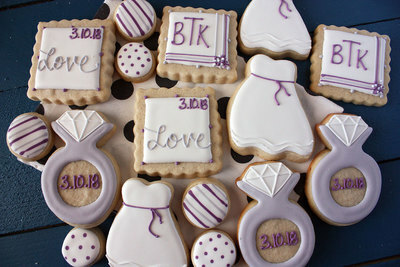 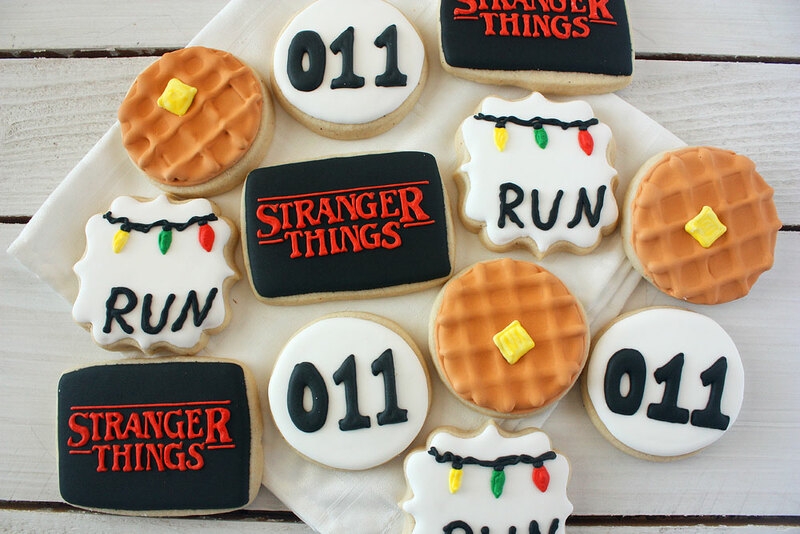 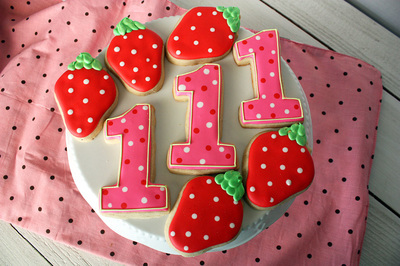 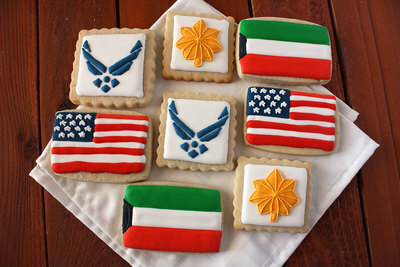 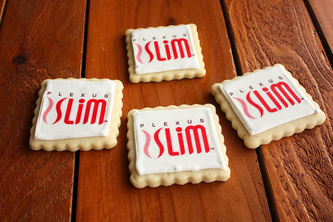 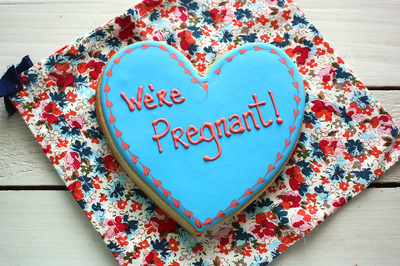 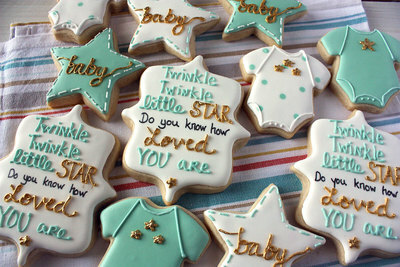 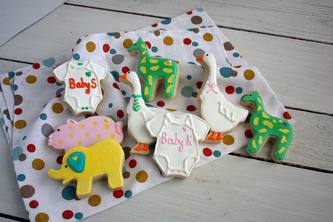 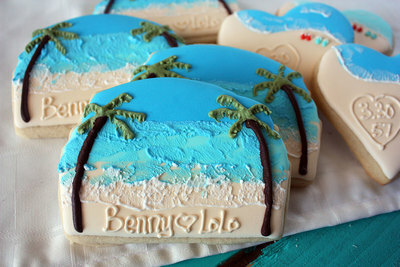 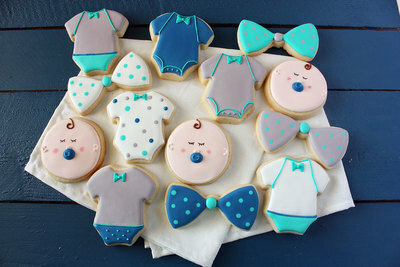 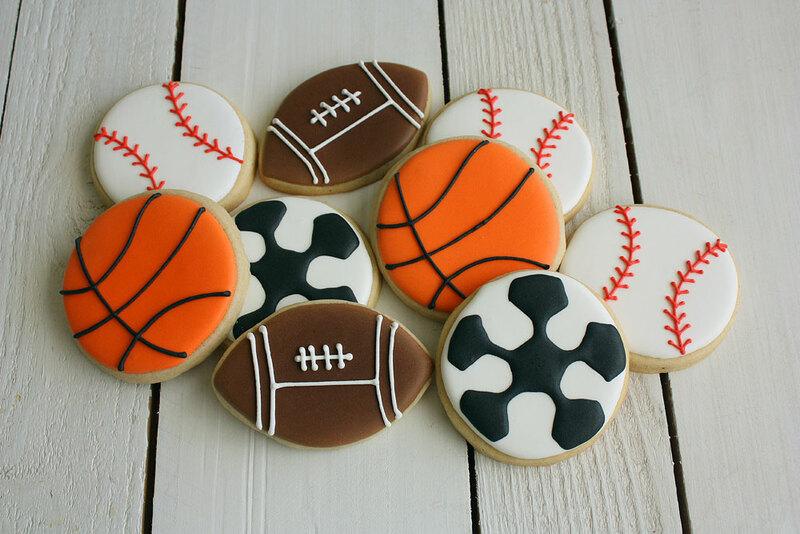 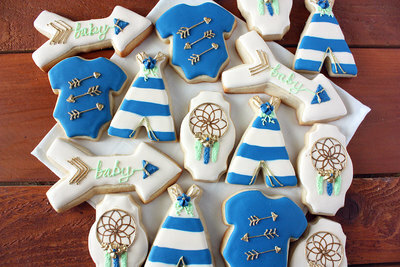 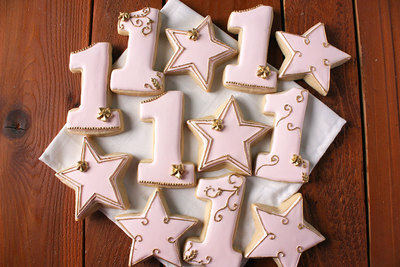 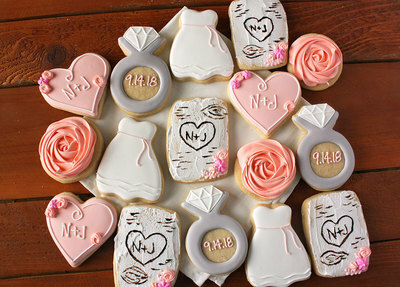 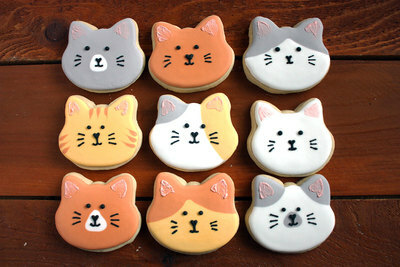 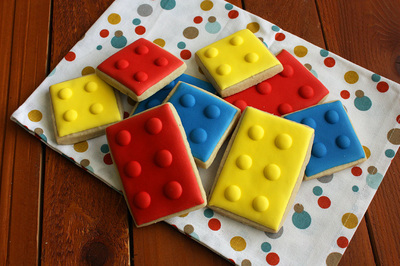 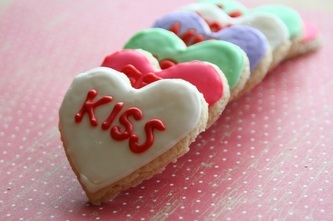 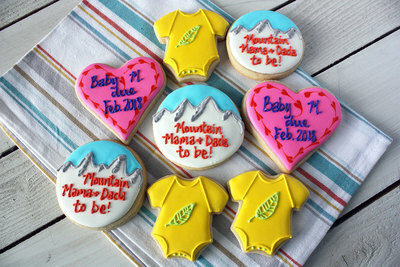 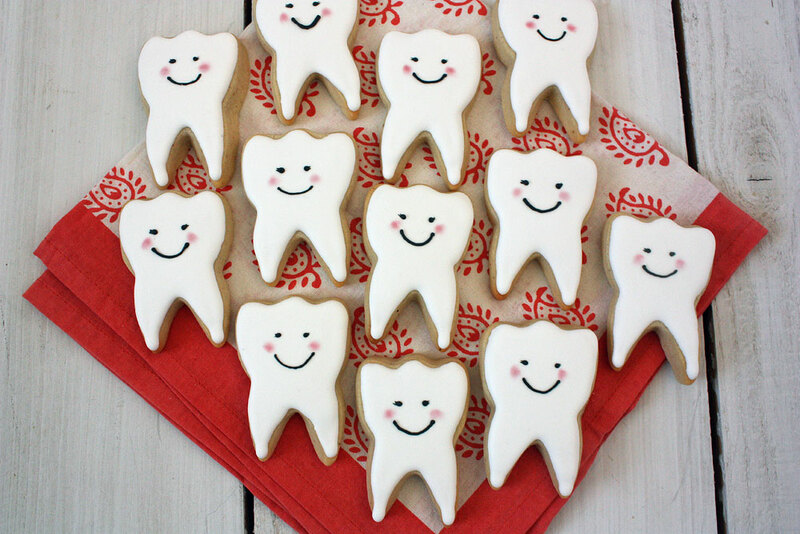 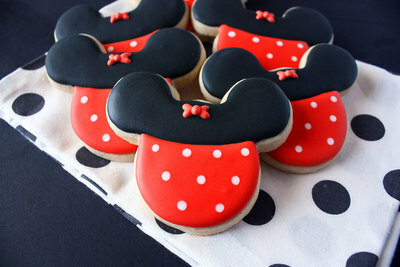 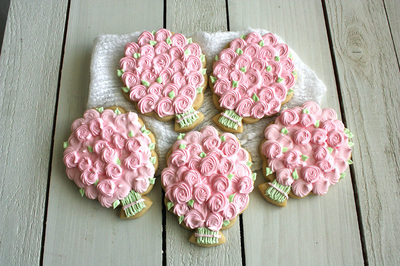 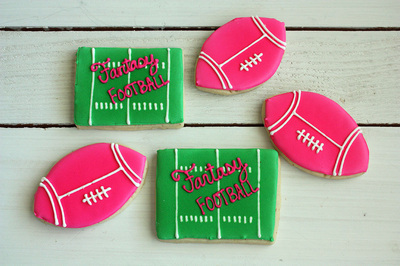 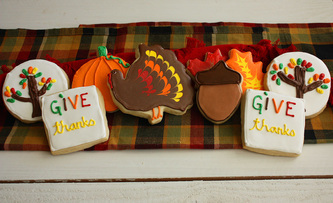 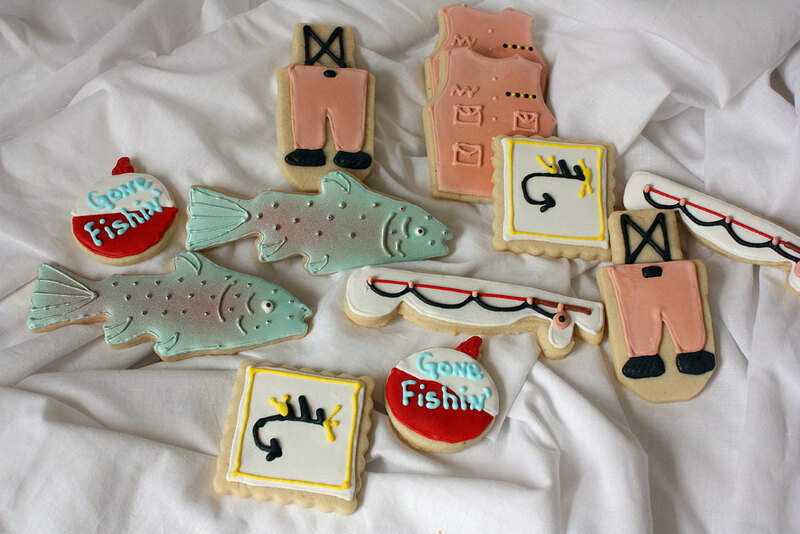 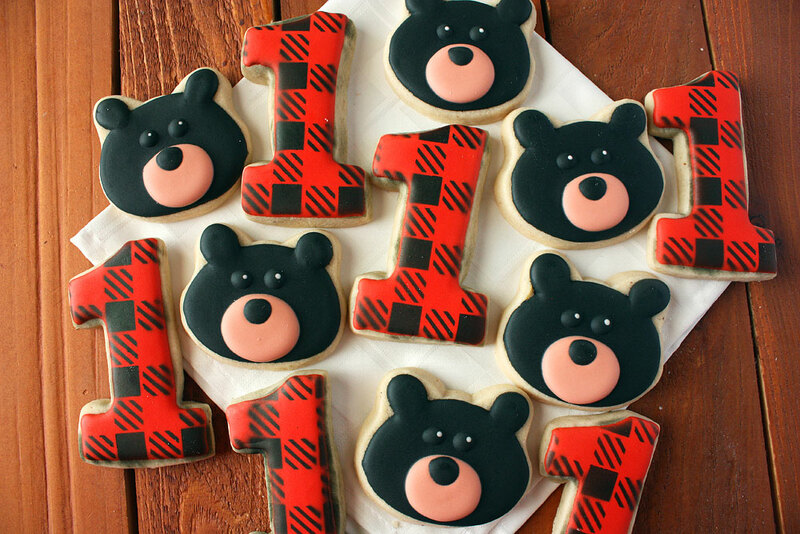 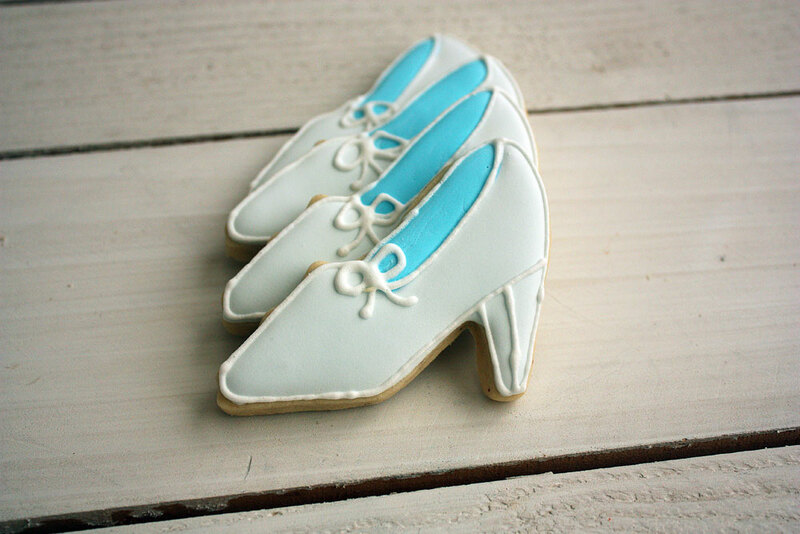 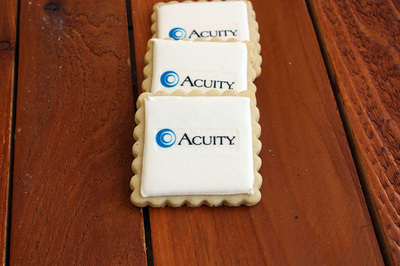 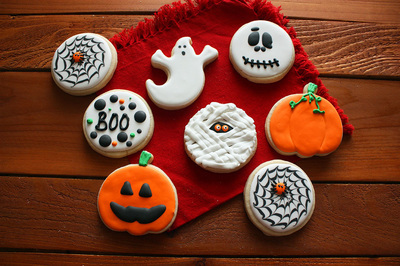 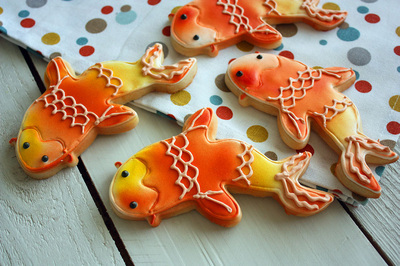 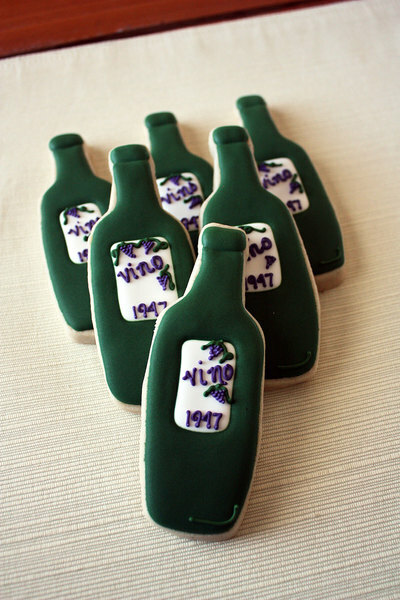 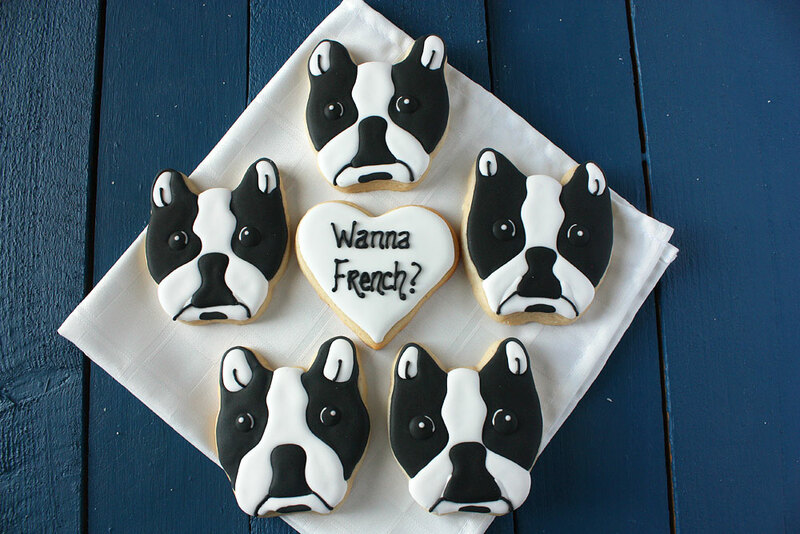 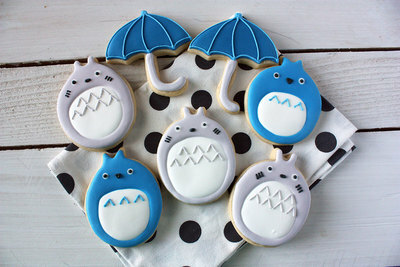 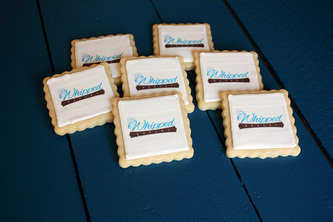 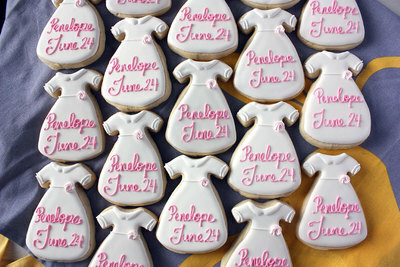 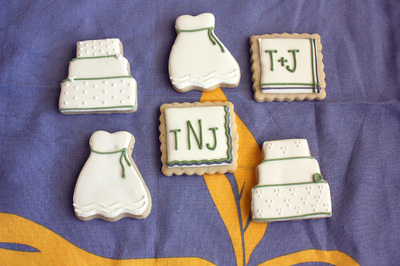 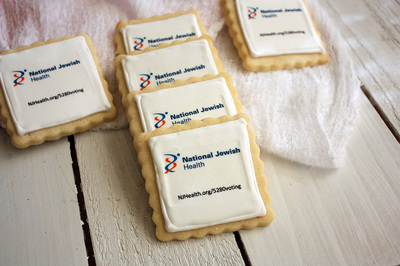 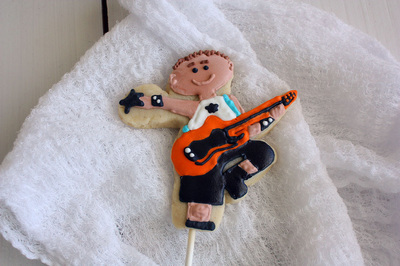 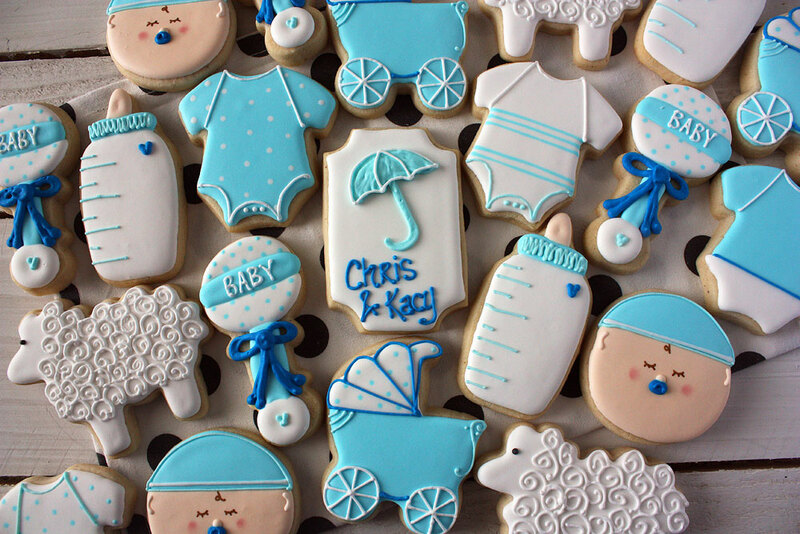 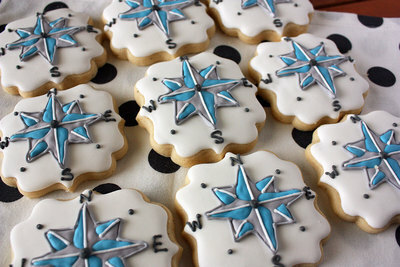 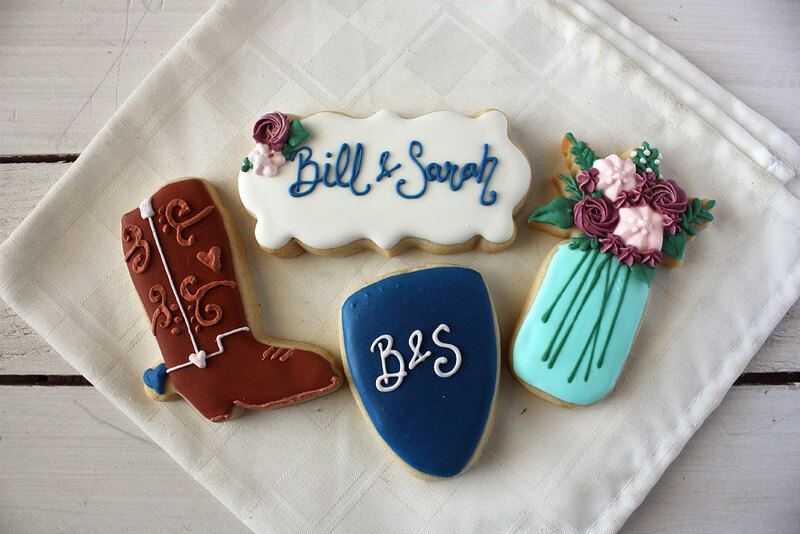 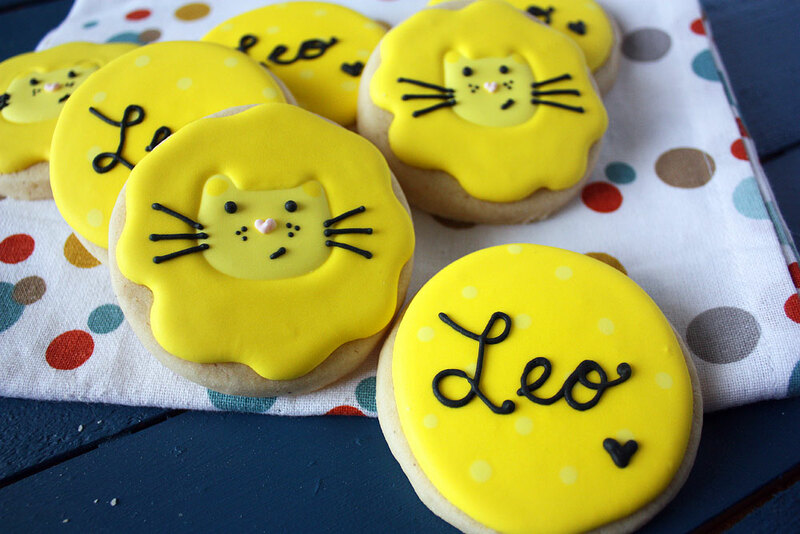 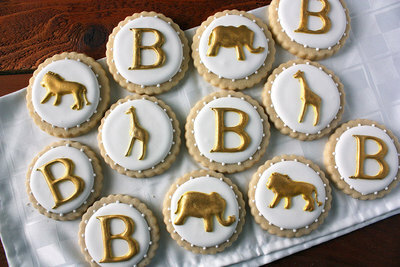 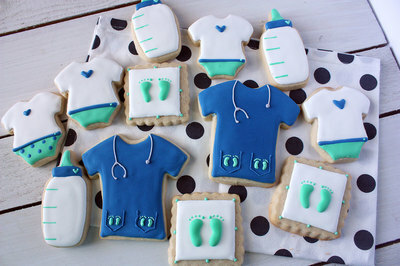 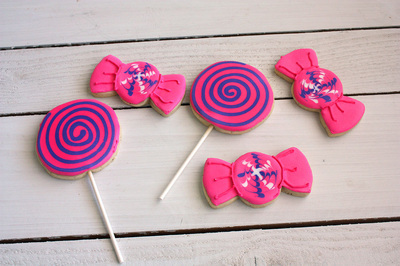 We also can print on a cookie, and whether it's your business card, logo, or picture, these cookies are sure to impress! 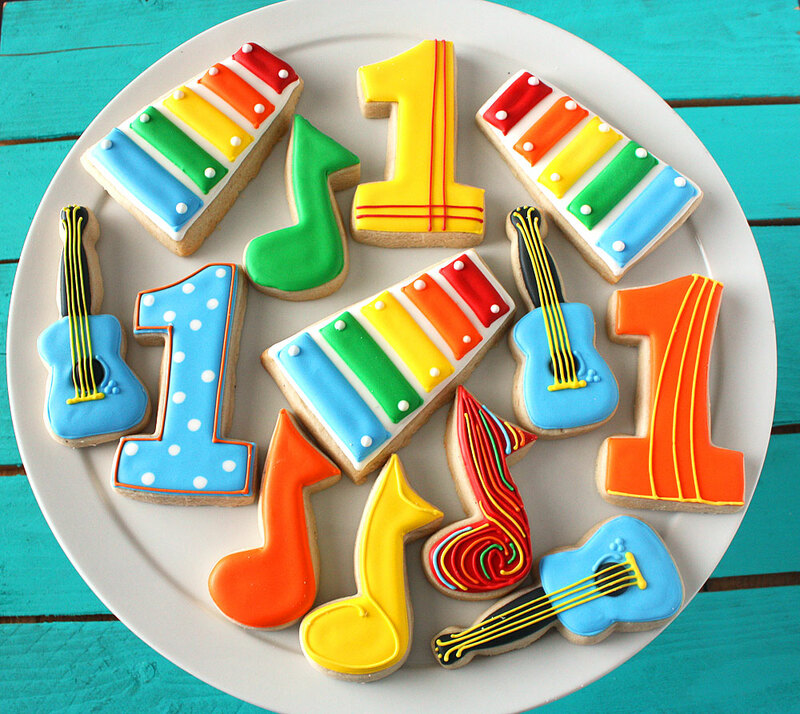 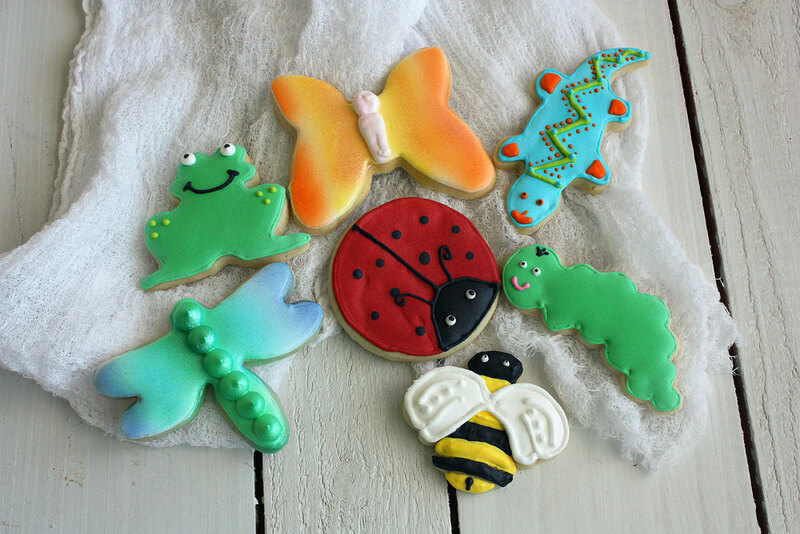 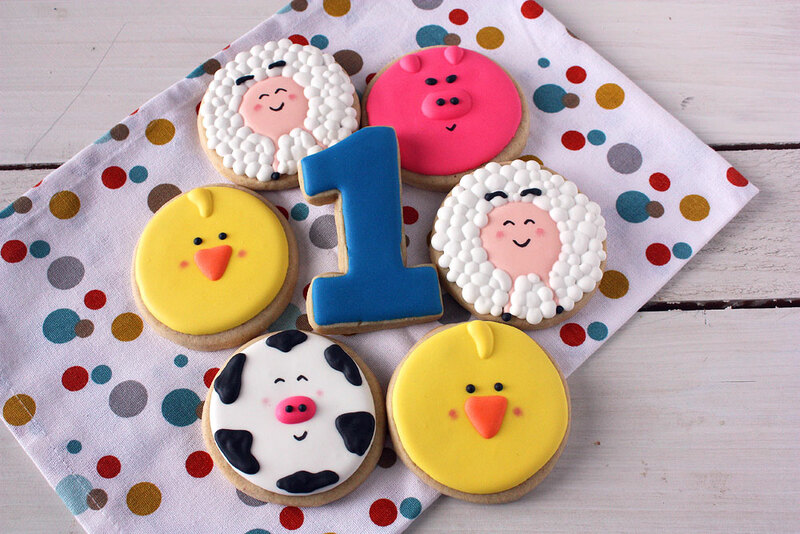 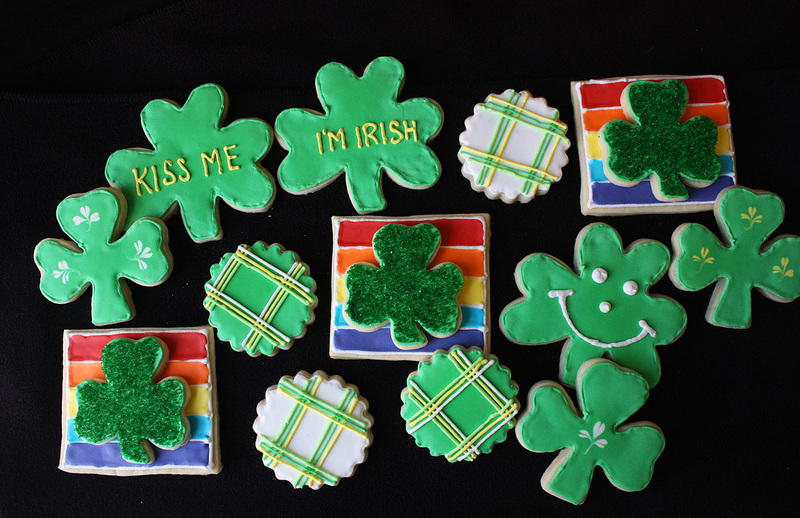 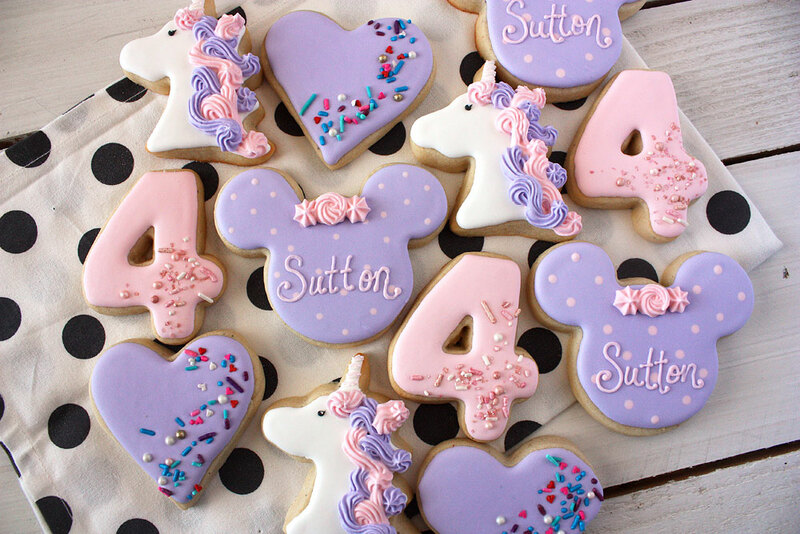 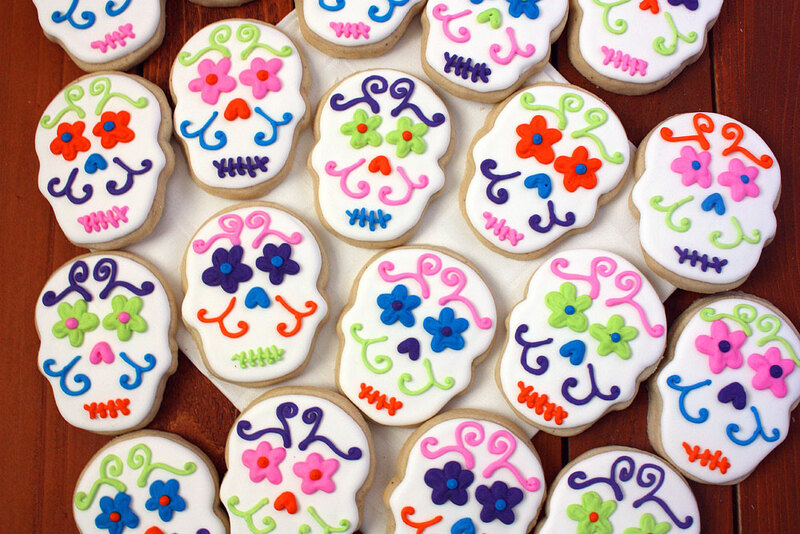 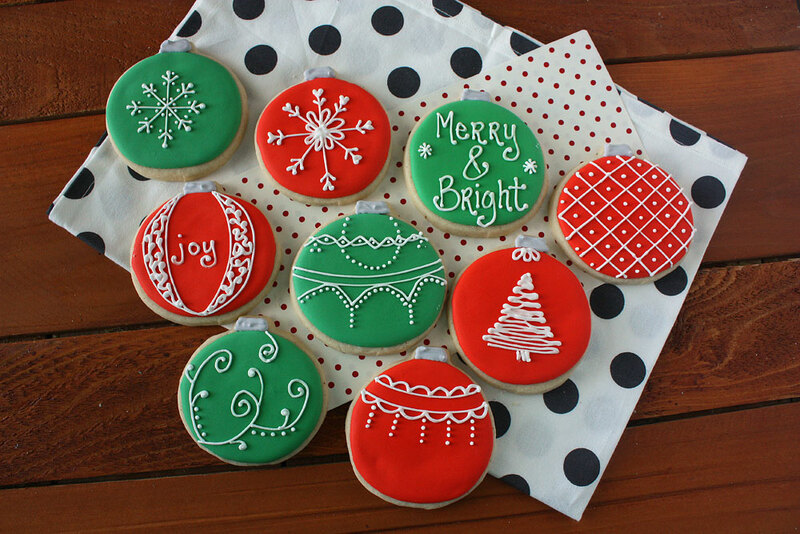 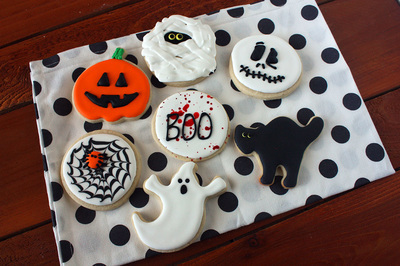 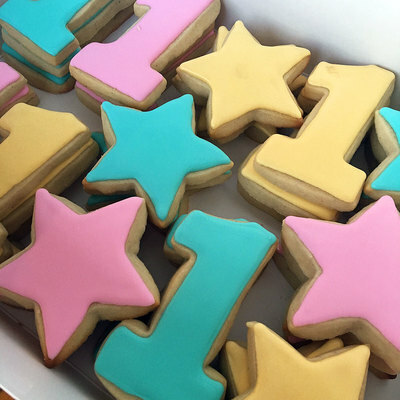 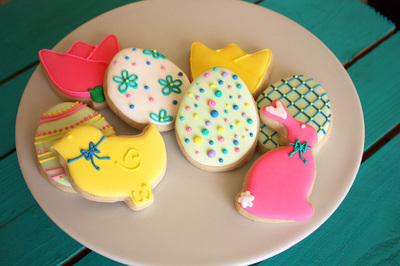 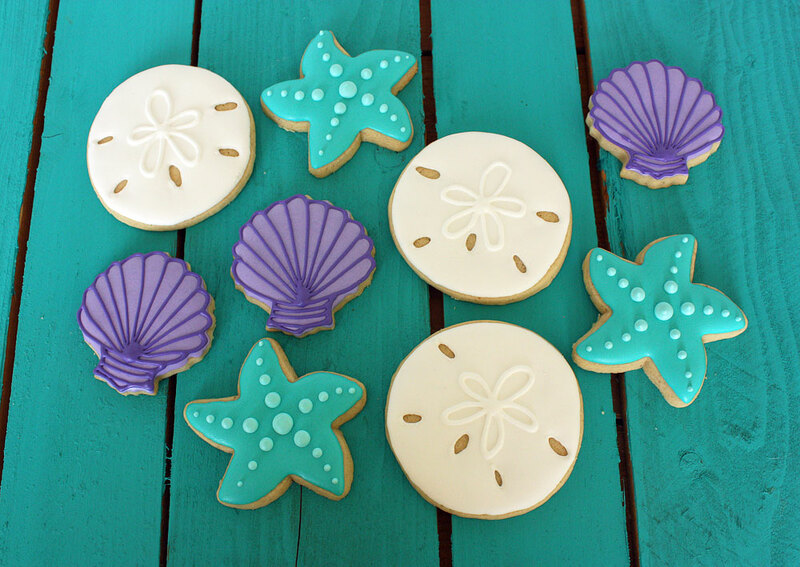 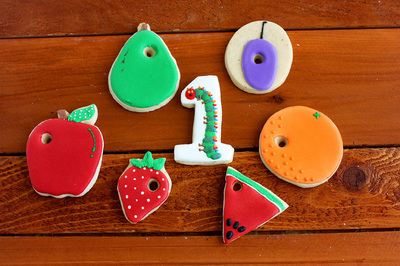 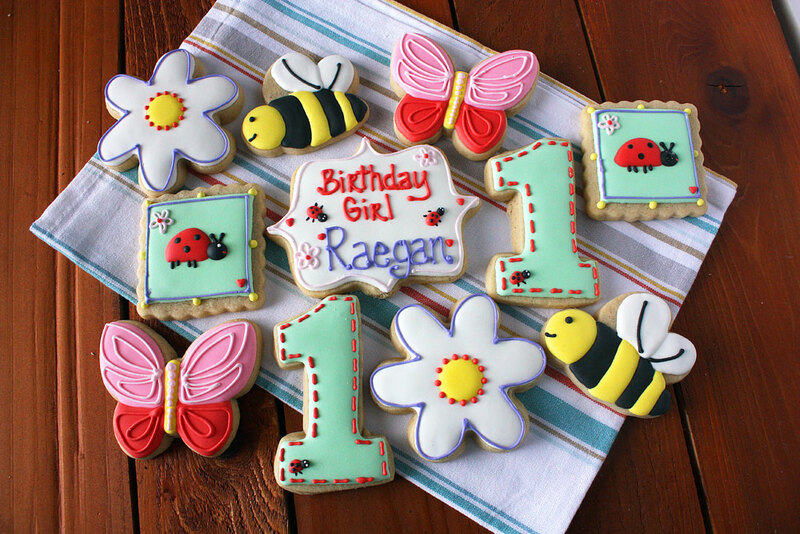 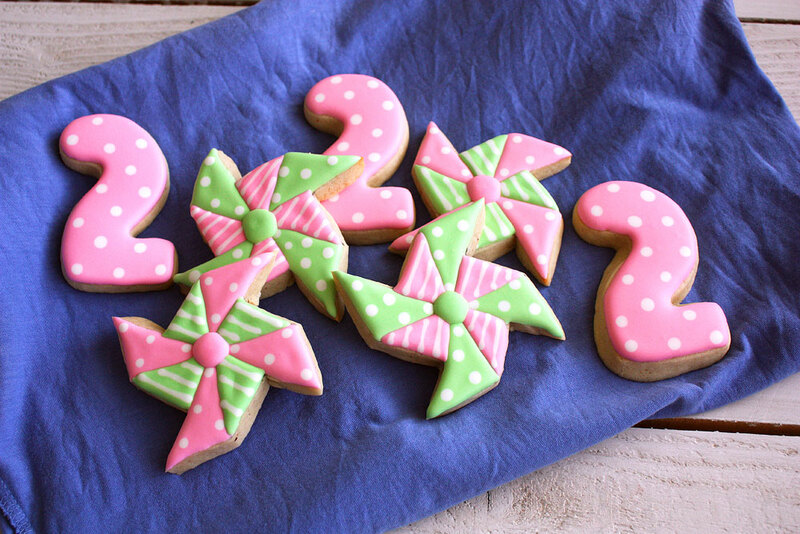 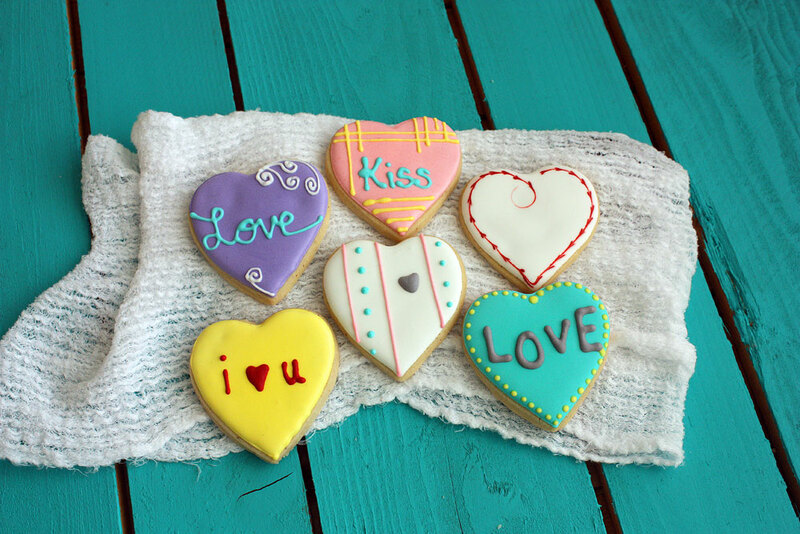 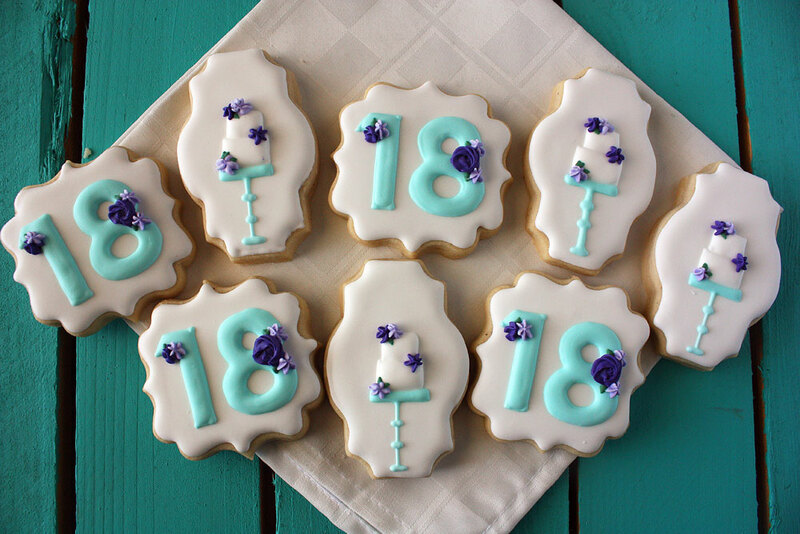 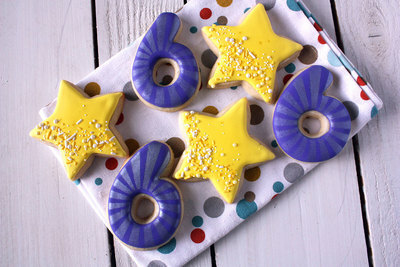 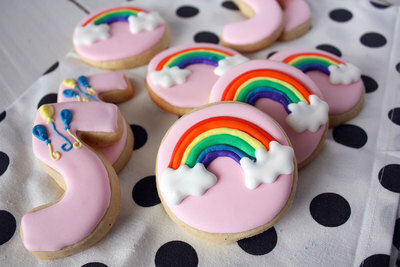 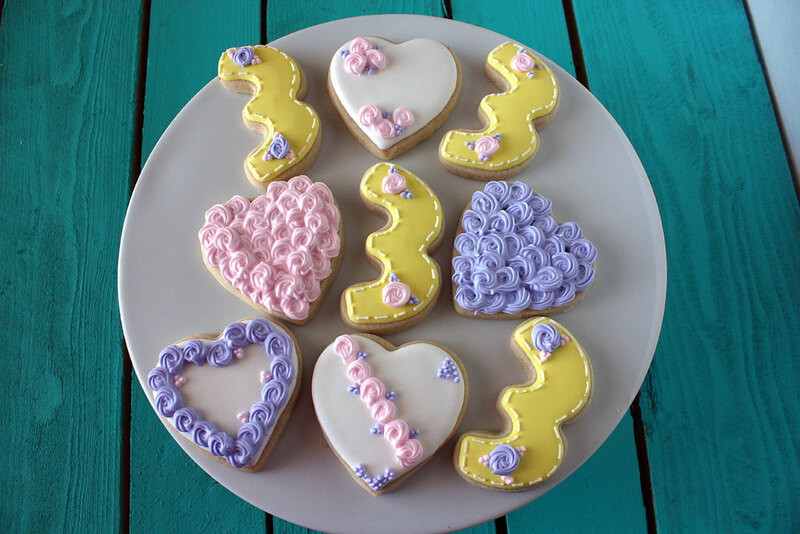 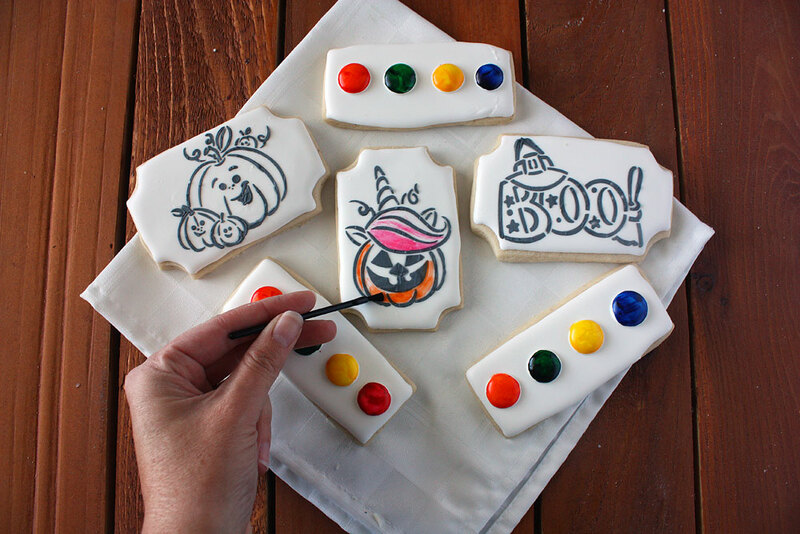 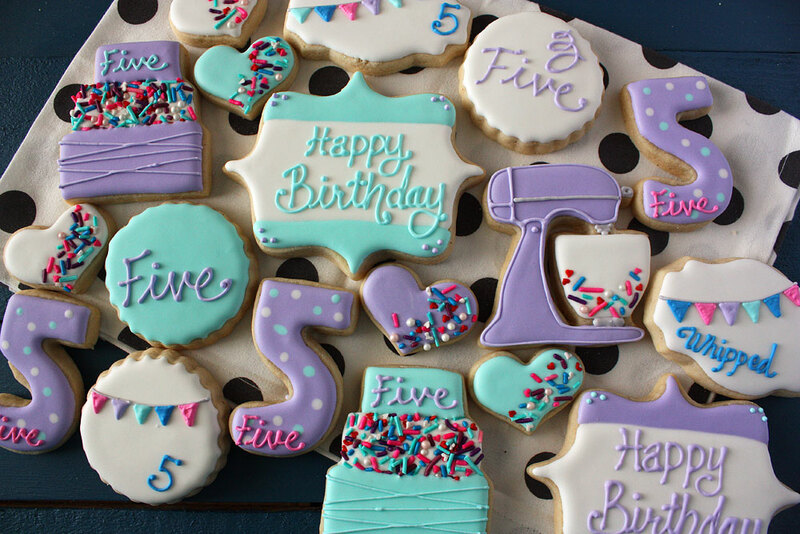 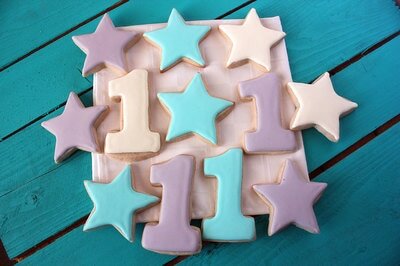 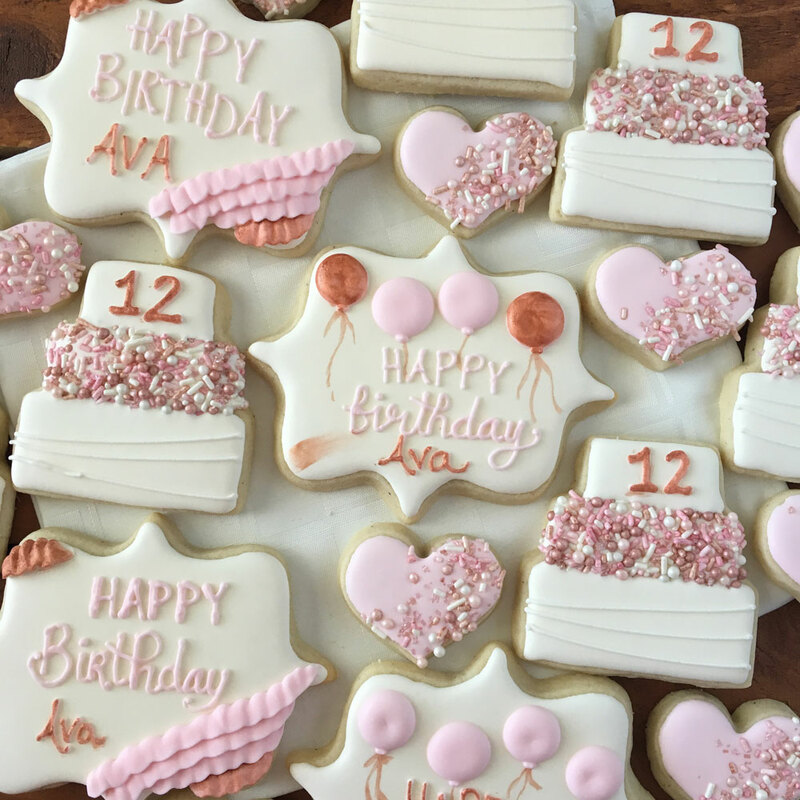 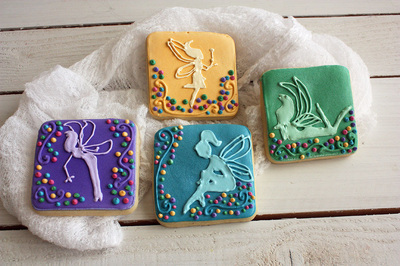 Custom-decorated sugar cookies start at $2.50 each and are priced based on cookie size, detail on the cookie, and the number of colors. 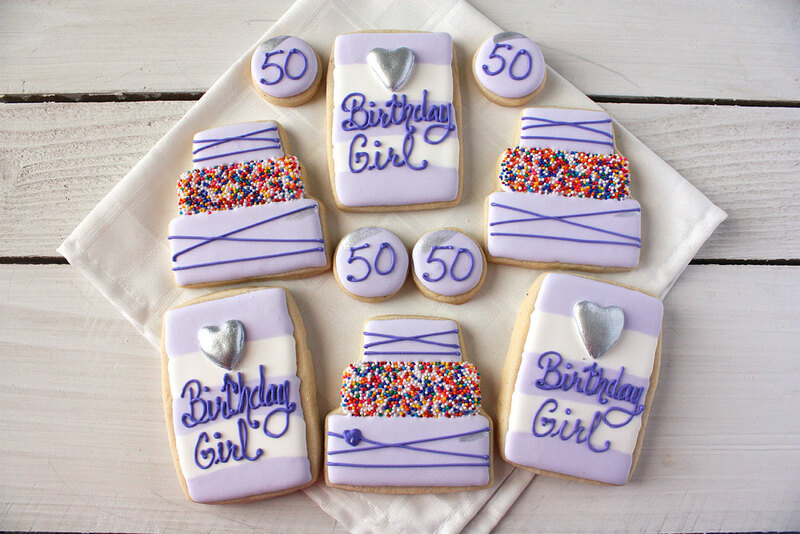 We can individually package cookies for 40 cents each for plain packaging or for 50 cents each with a coordinating ribbon. 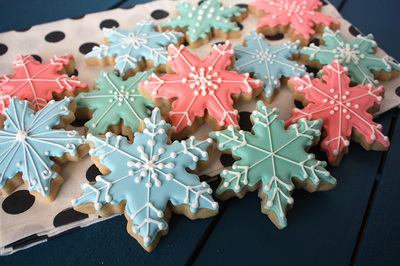 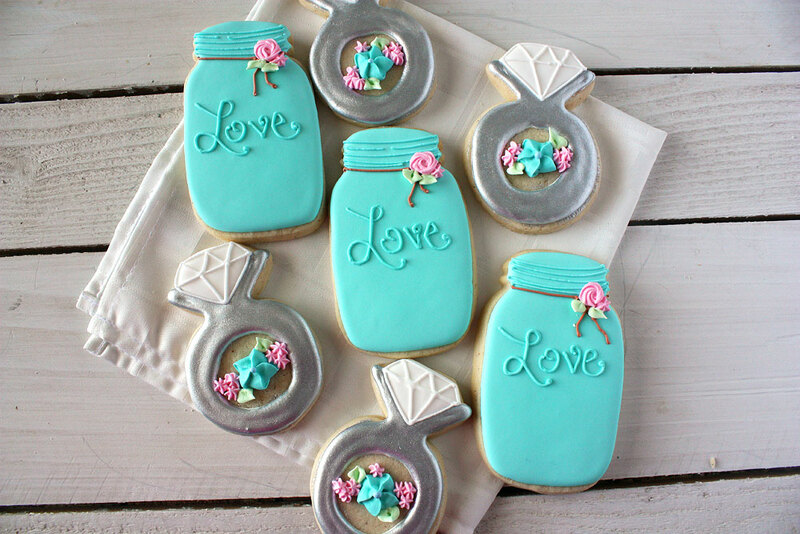 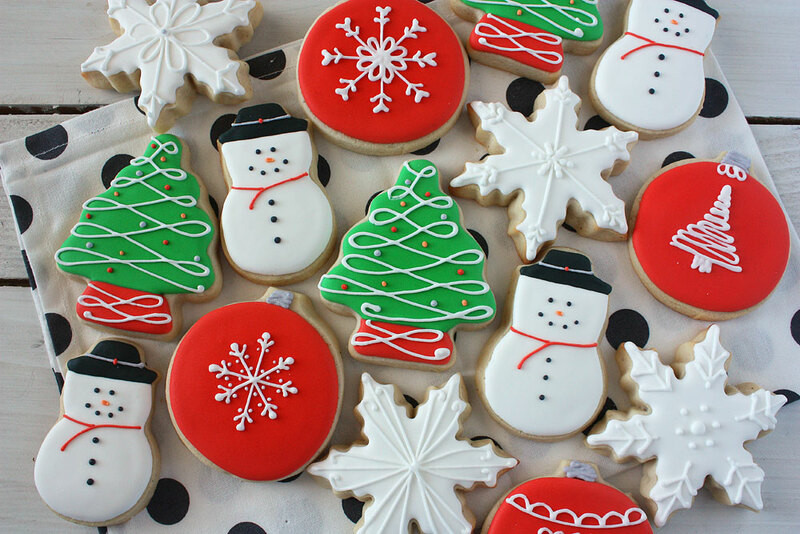 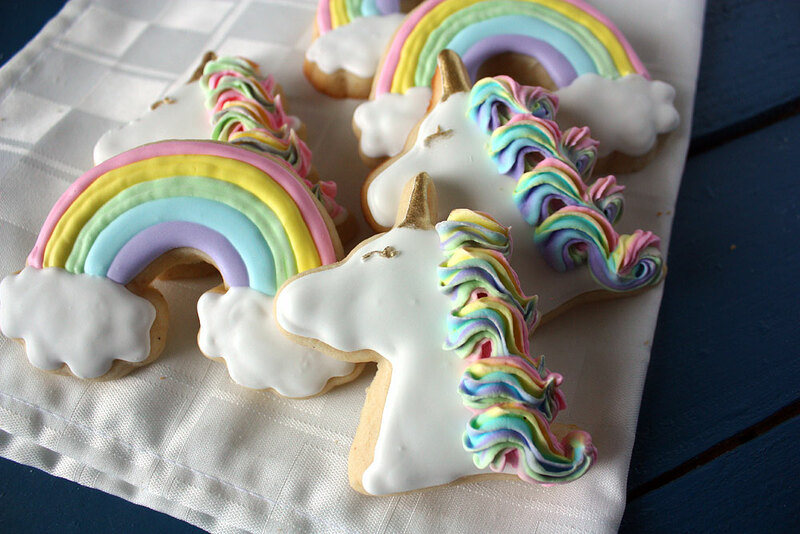 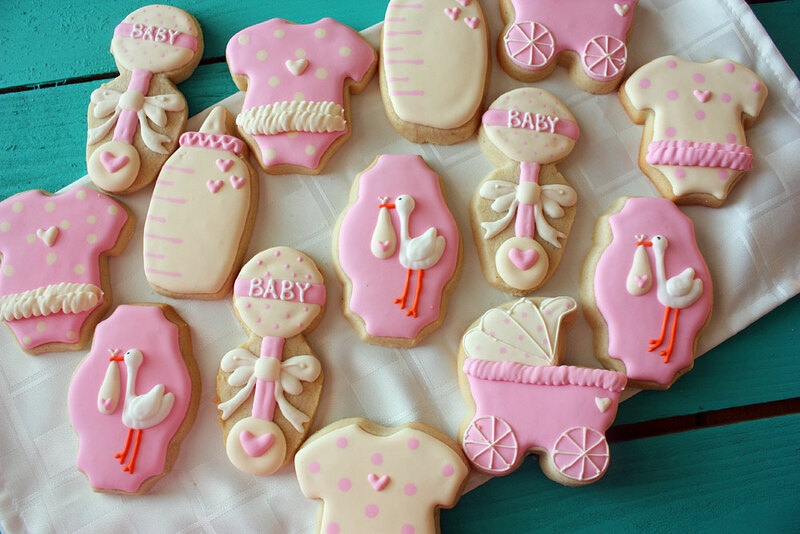 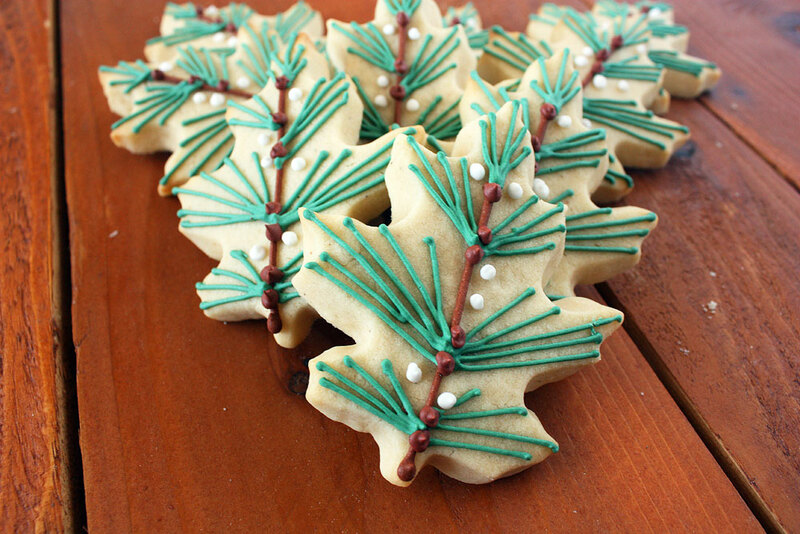 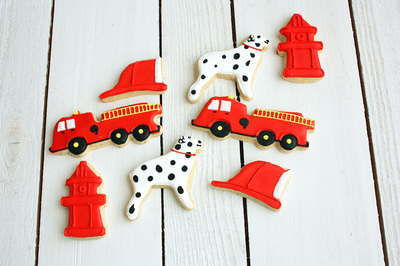 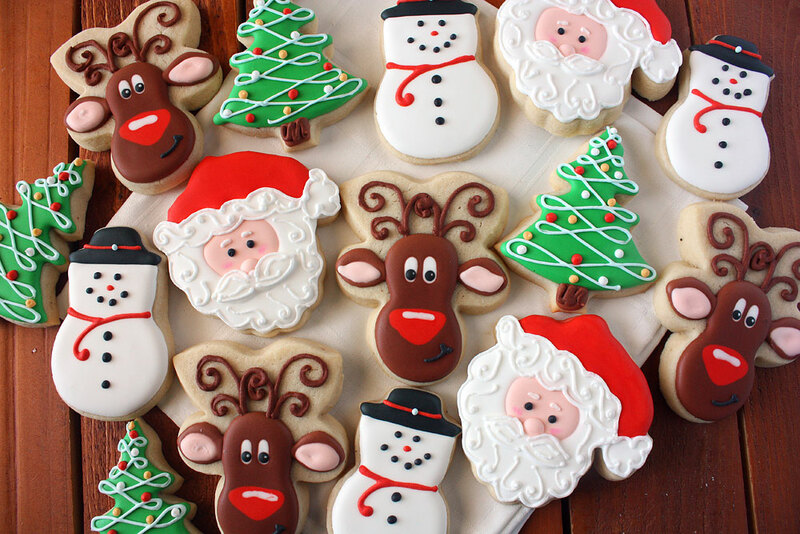 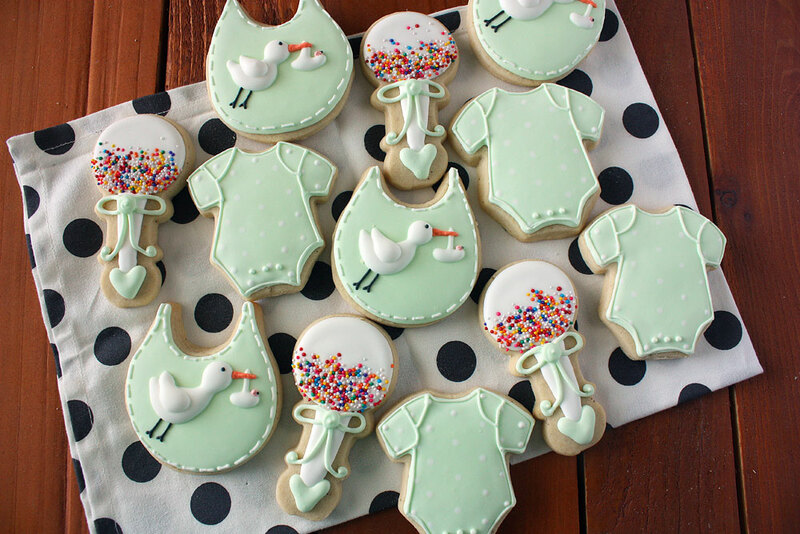 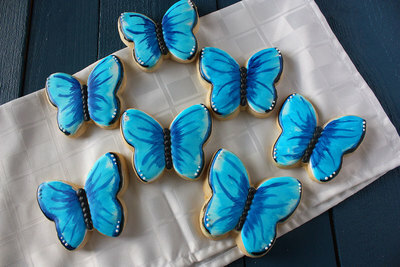 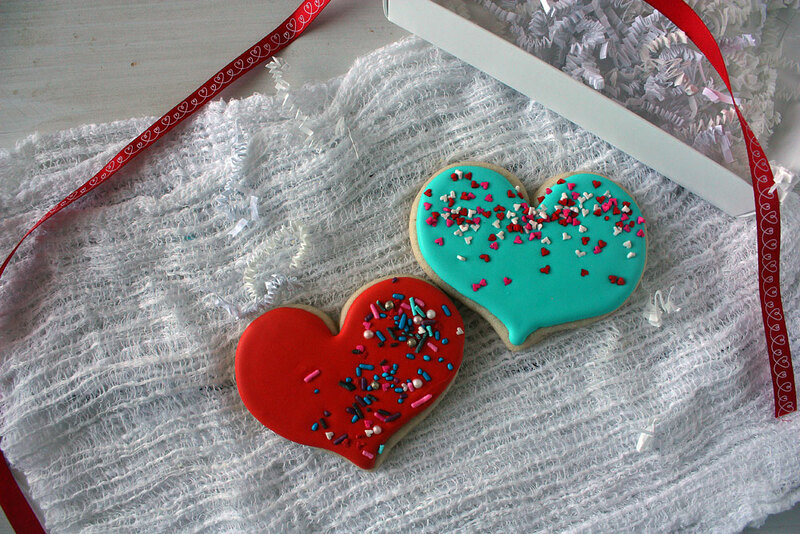 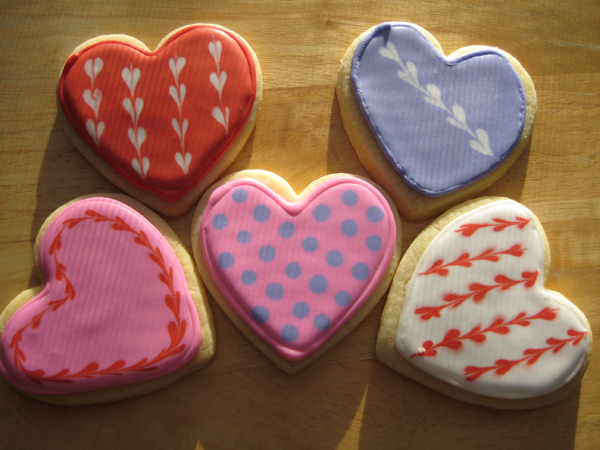 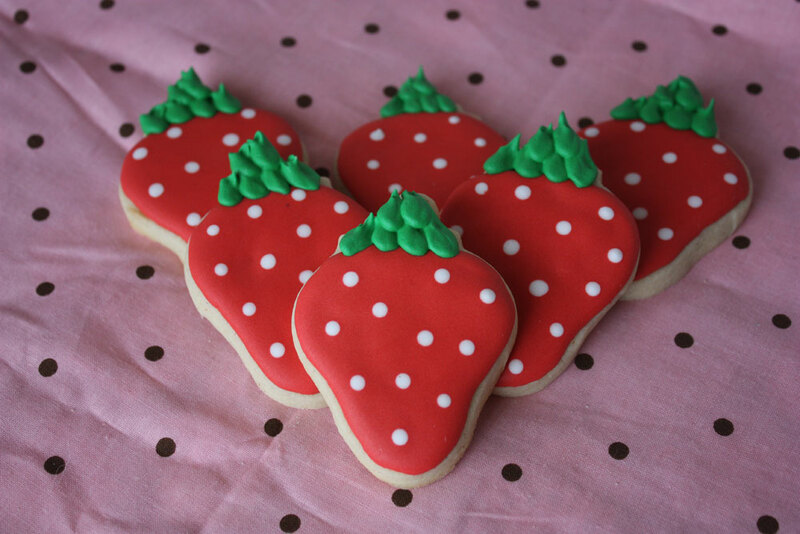 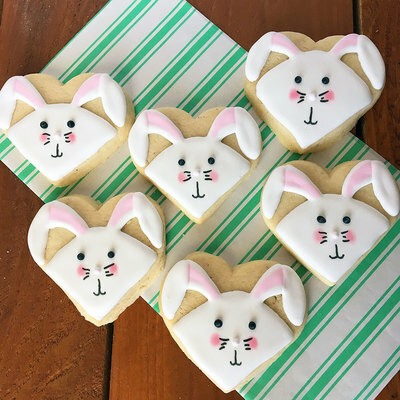 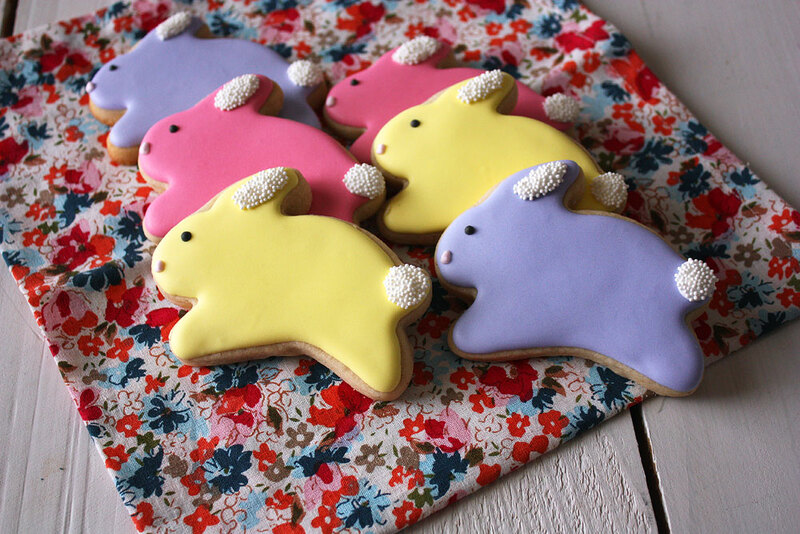 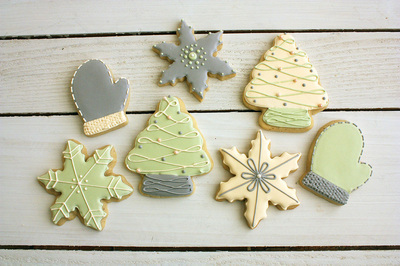 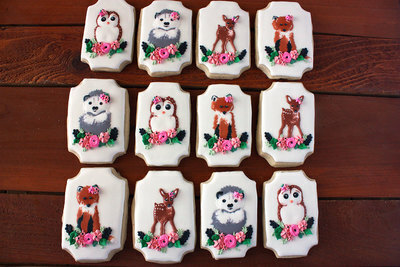 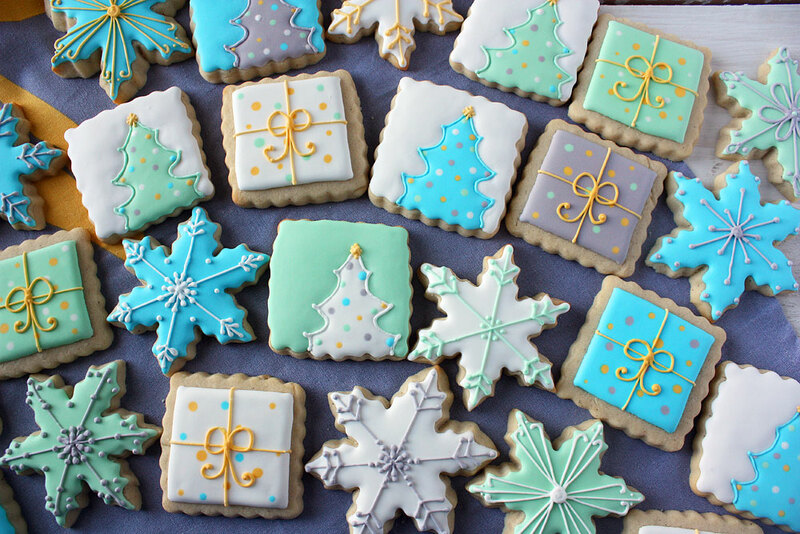 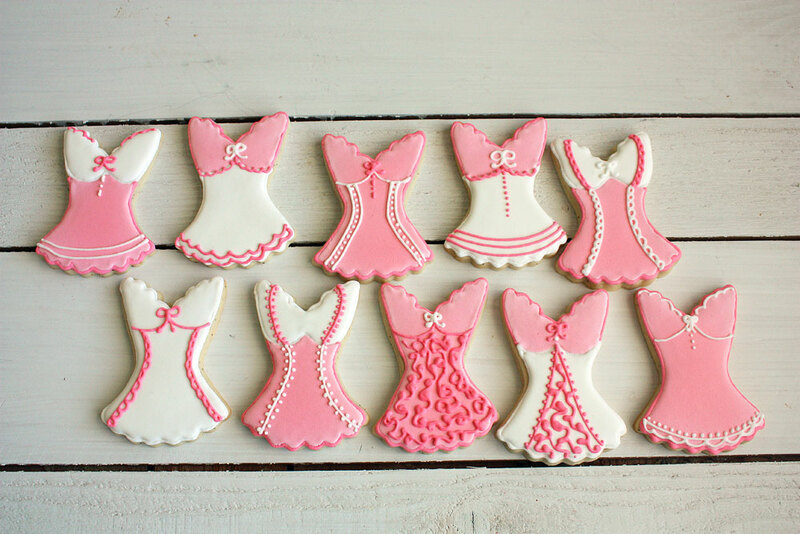 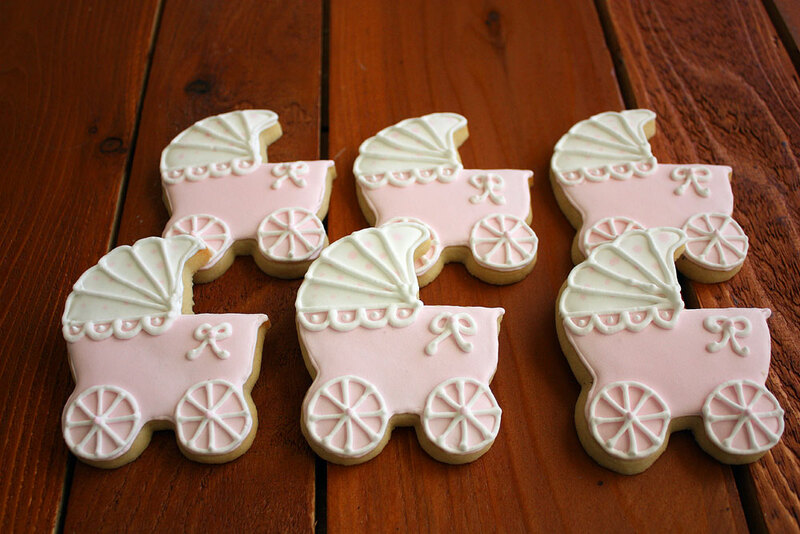 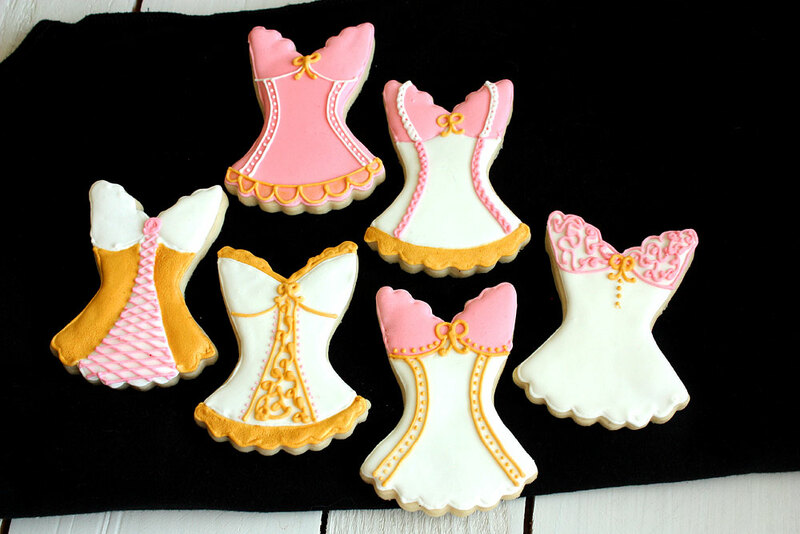 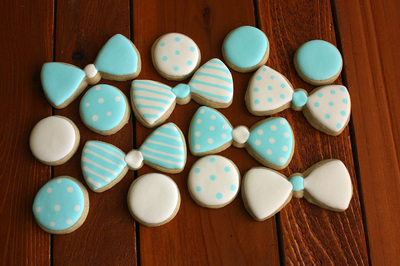 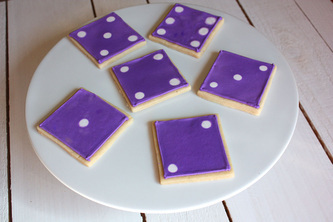 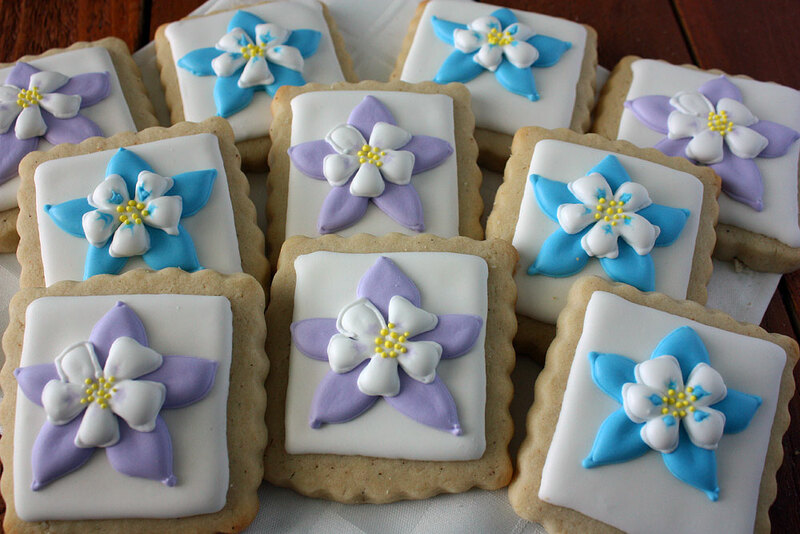 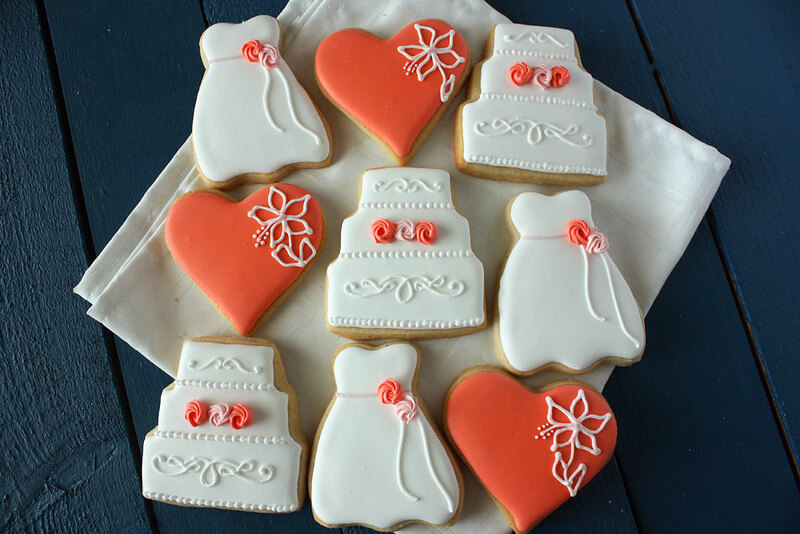 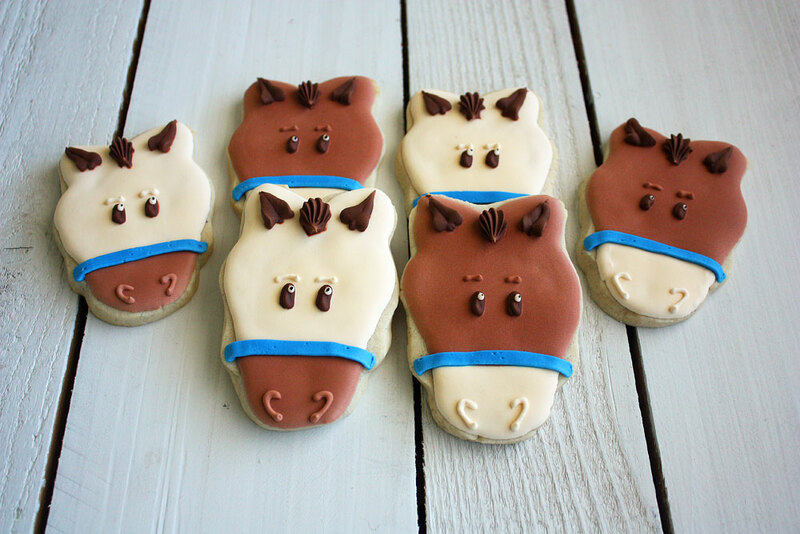 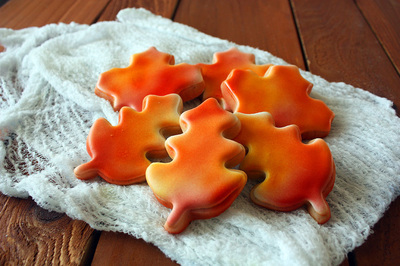 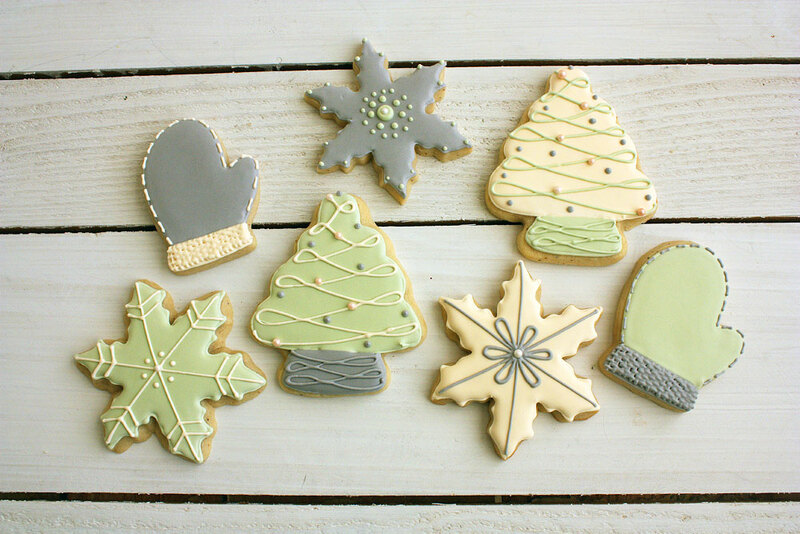 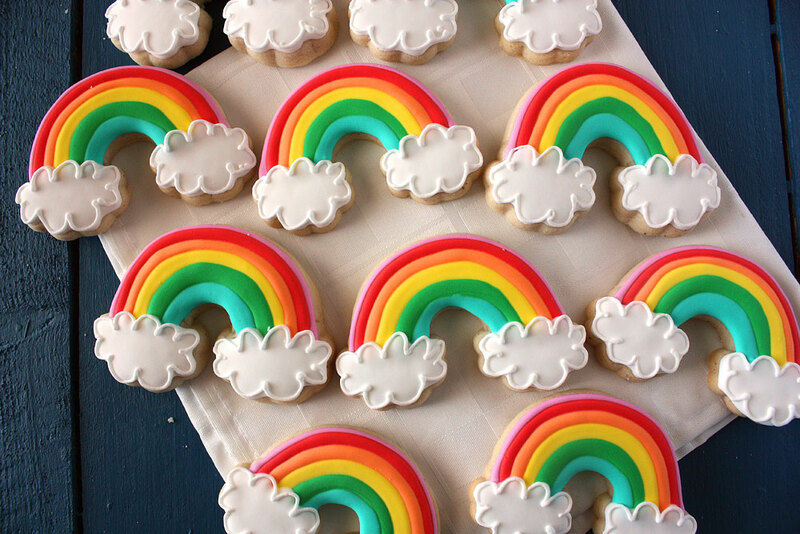 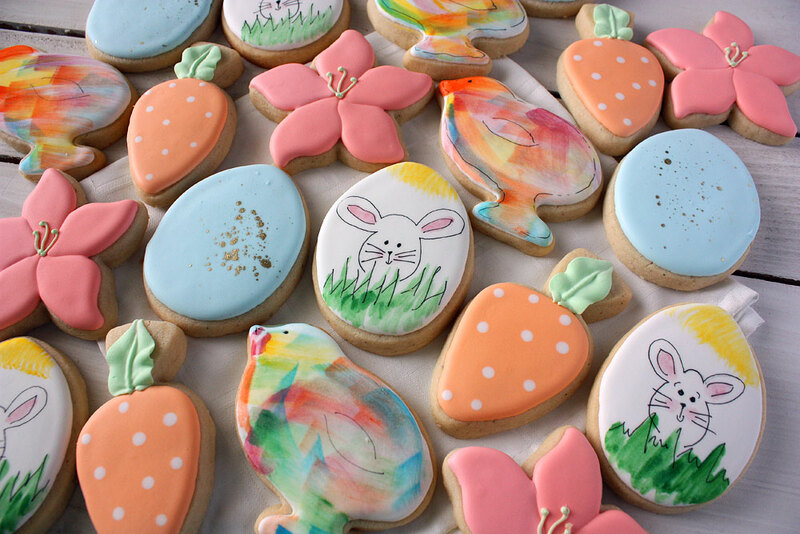 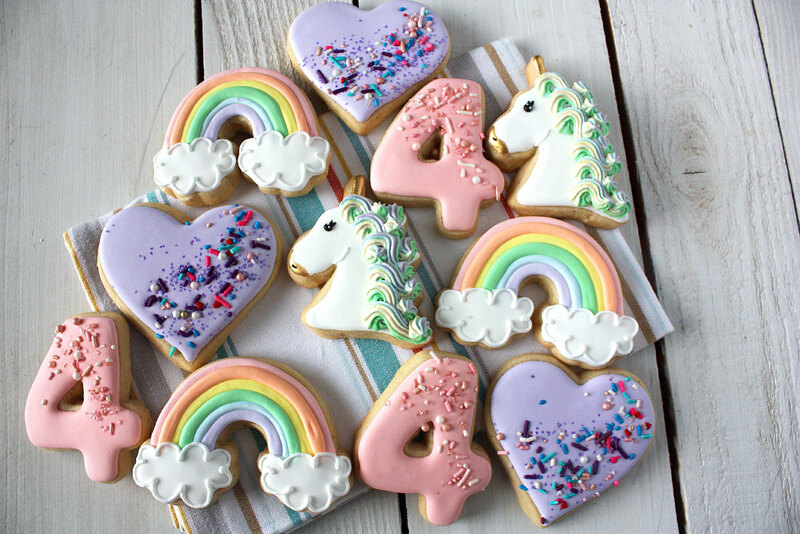 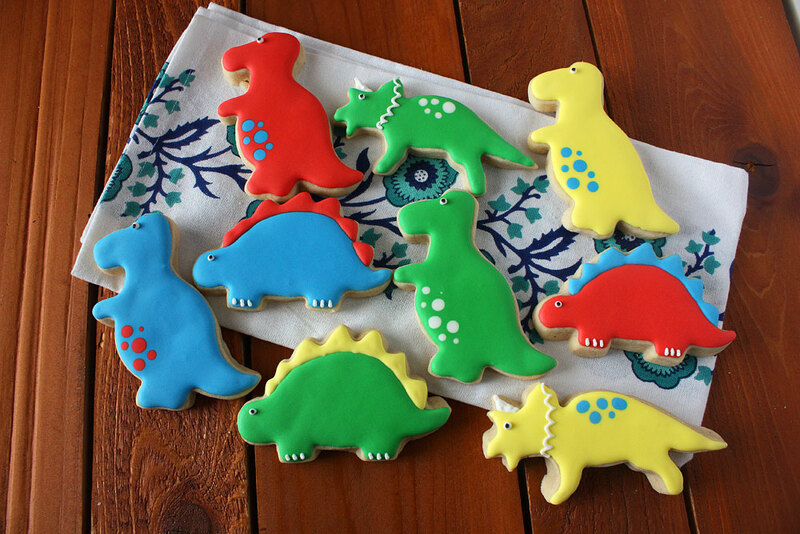 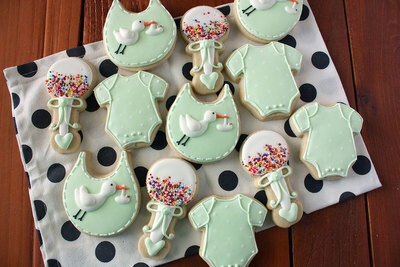 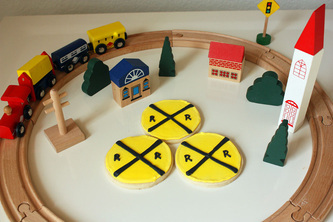 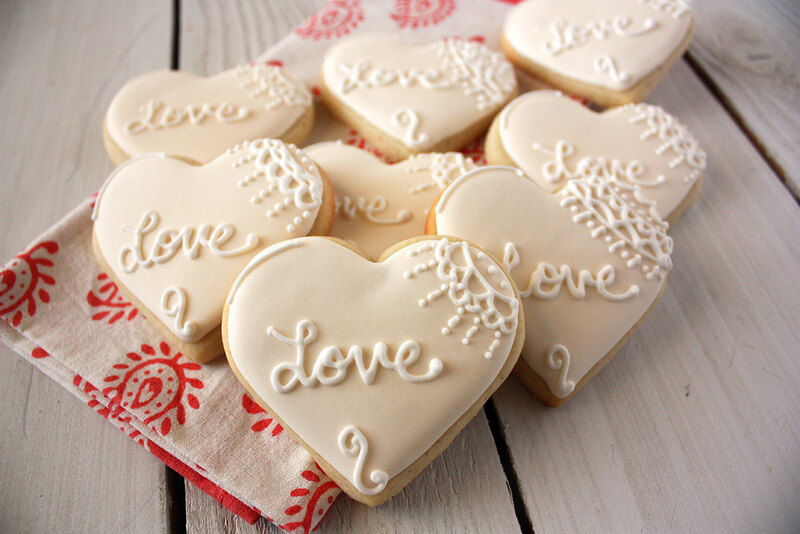 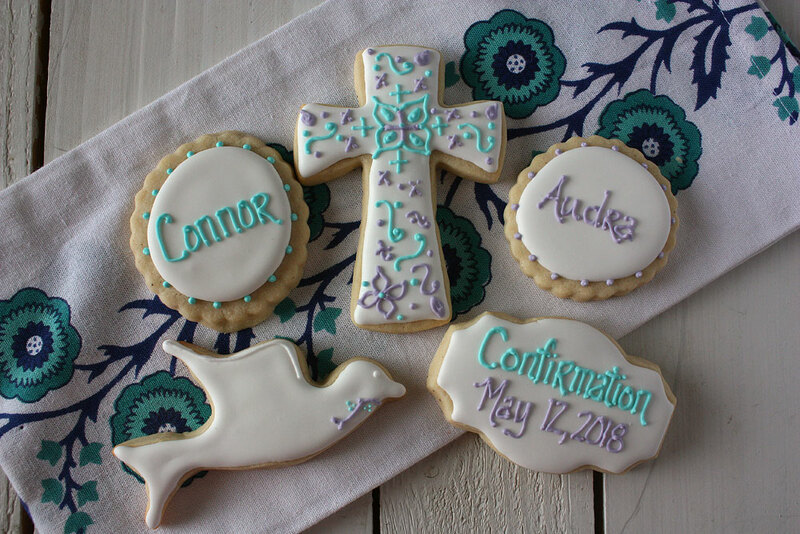 We need at least three-days notice to make sugar cookies; however, our schedule fills up quickly and we often require more notice than that, especially for larger orders. 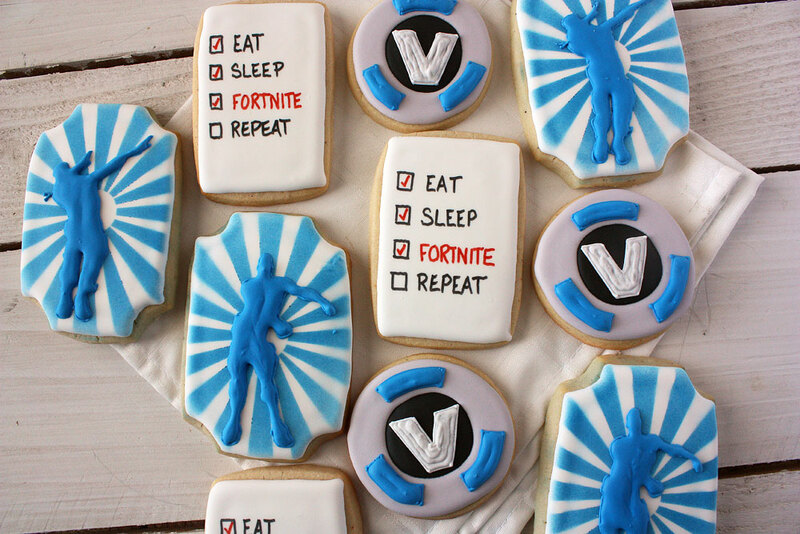 Add cookie bites to supplement your order. 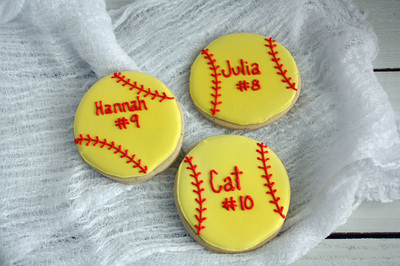 They are about 1.5 inches in size and can be left plain or decorated with a number, letter, or simple design. 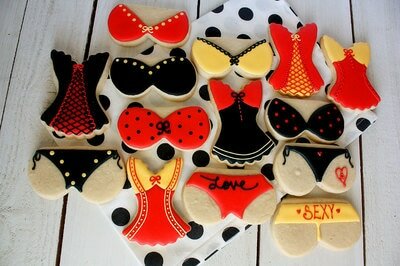 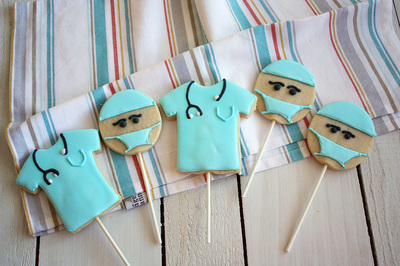 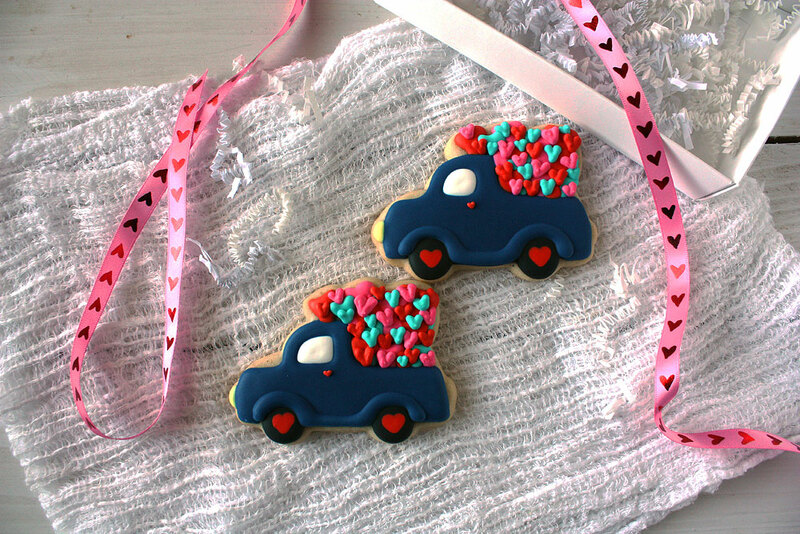 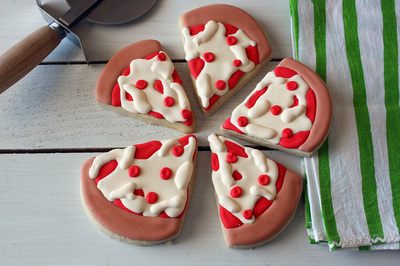 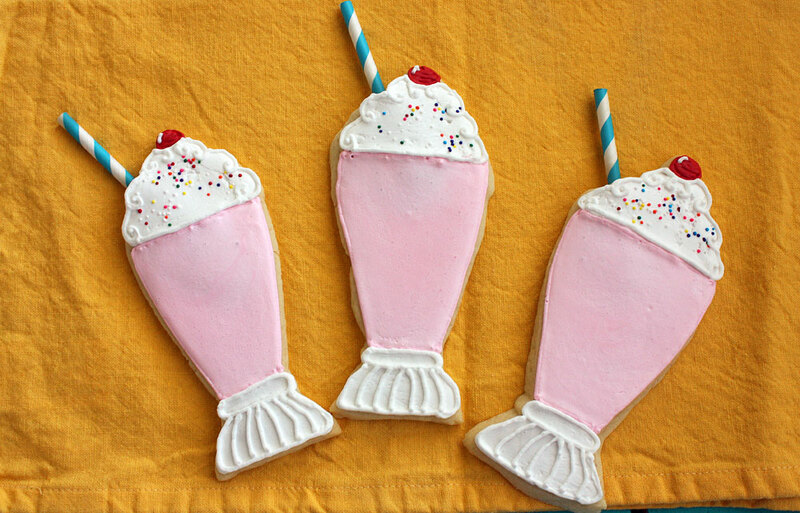 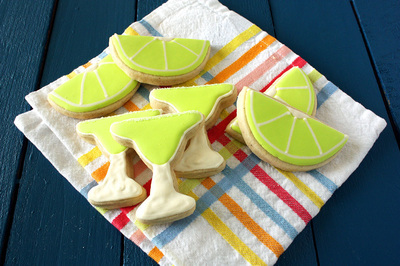 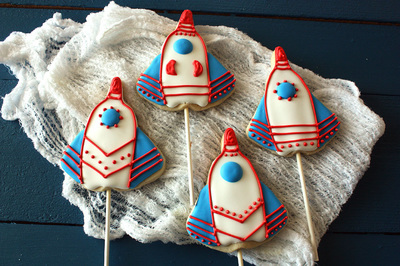 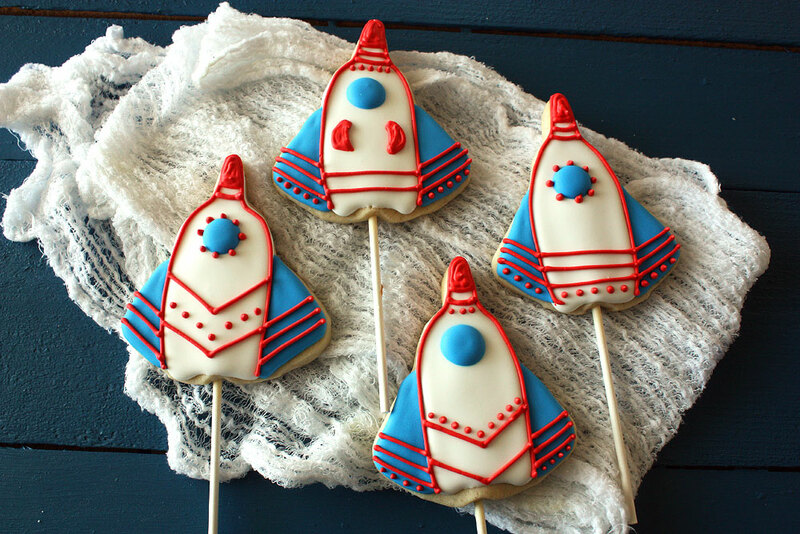 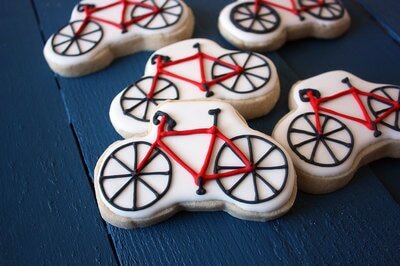 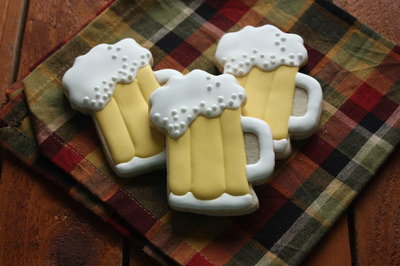 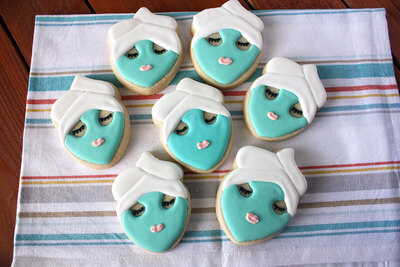 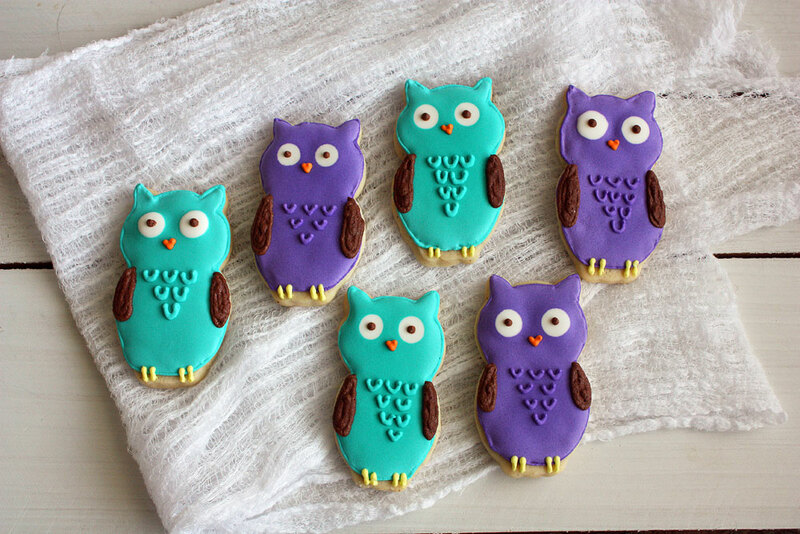 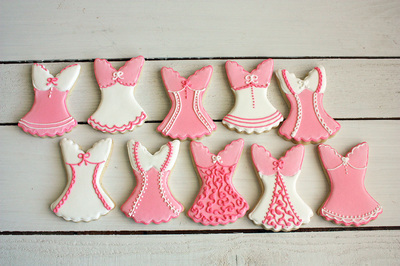 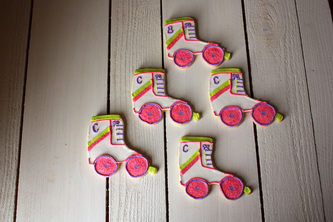 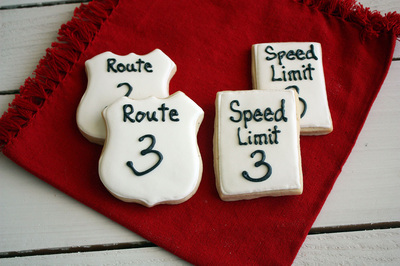 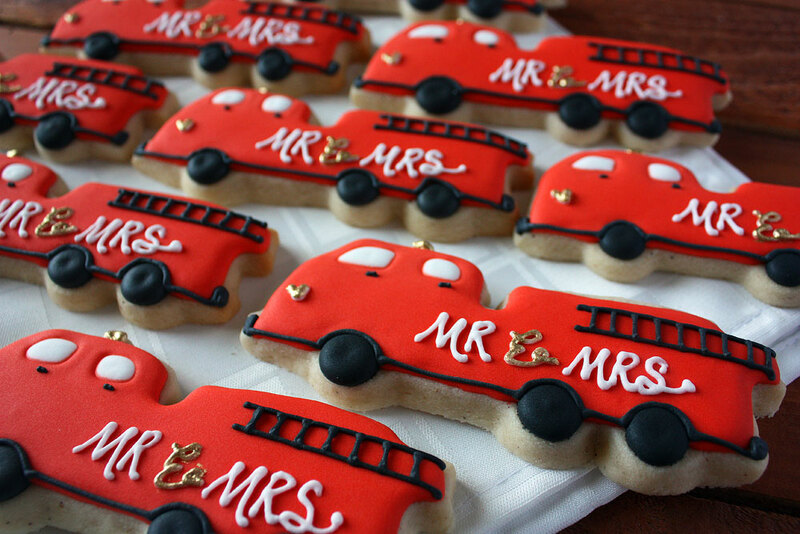 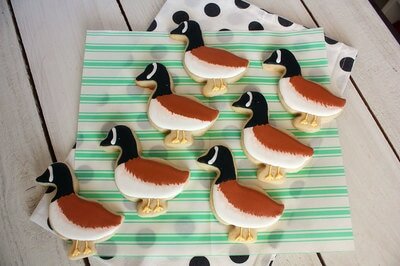 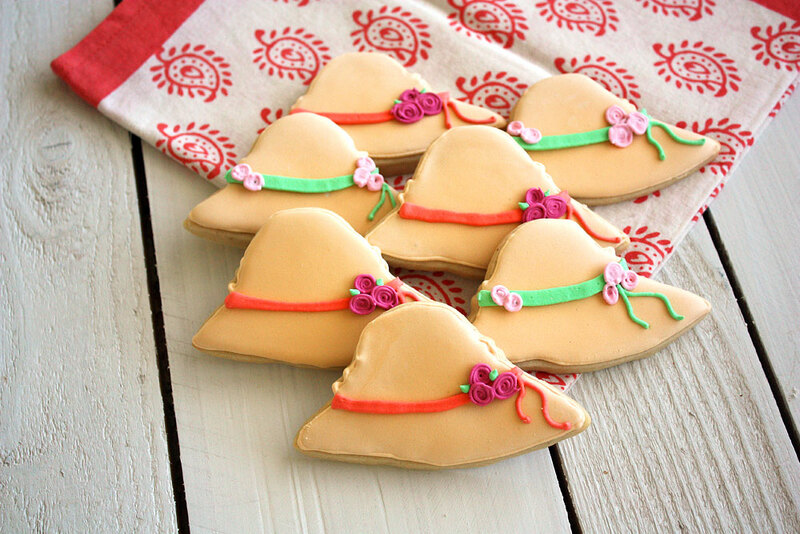 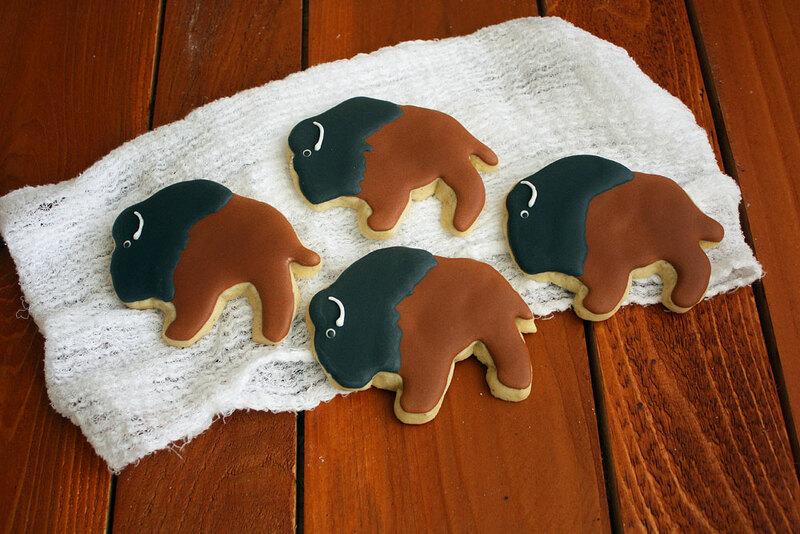 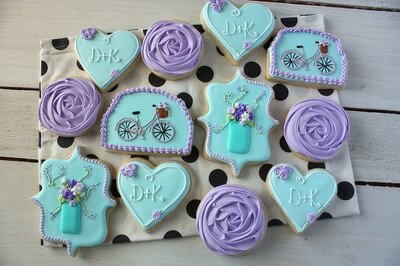 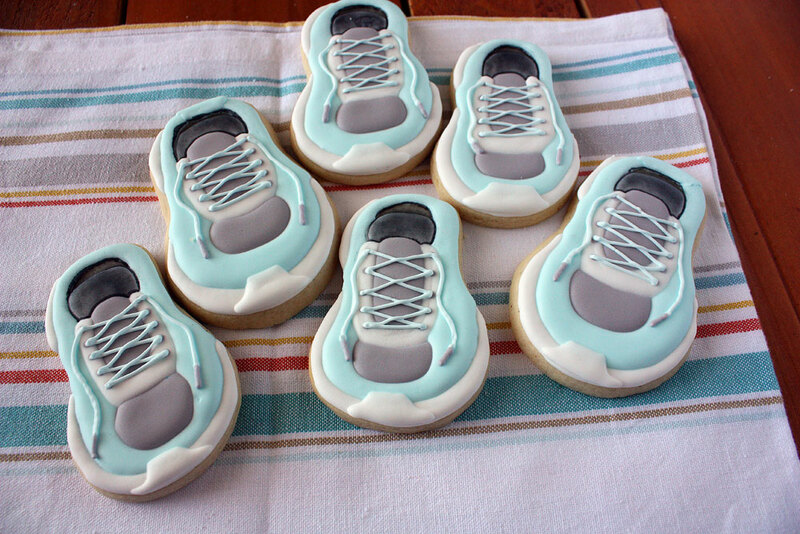 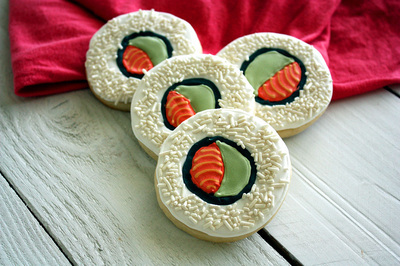 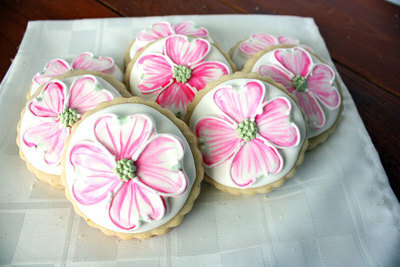 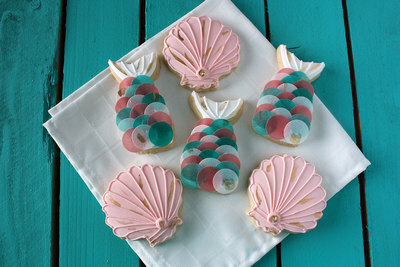 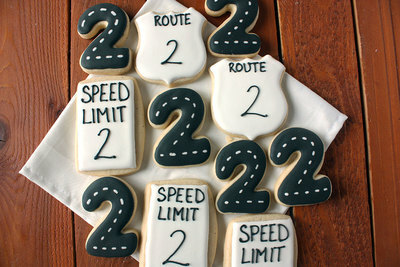 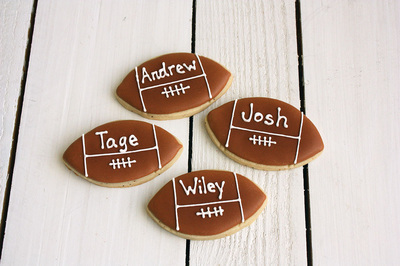 These are a great way to supplement your cookie order. If ordering only cookie bites, there is a minimum order of 5 dozen. 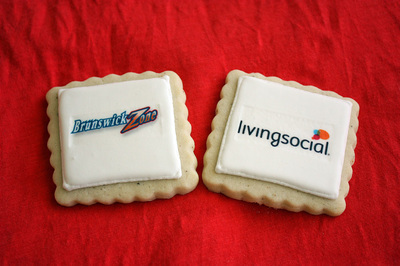 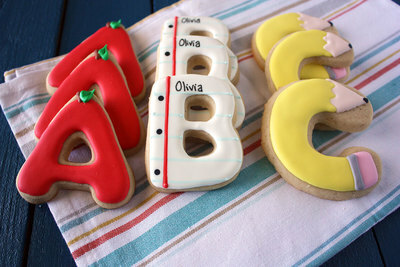 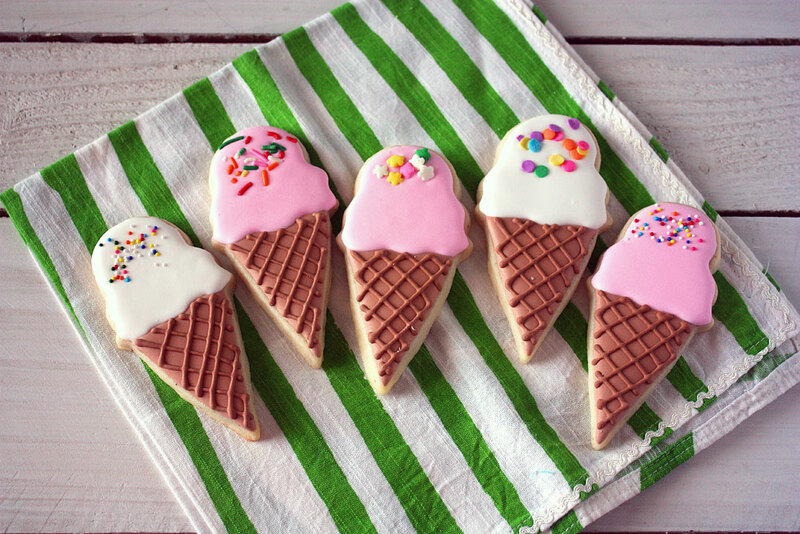 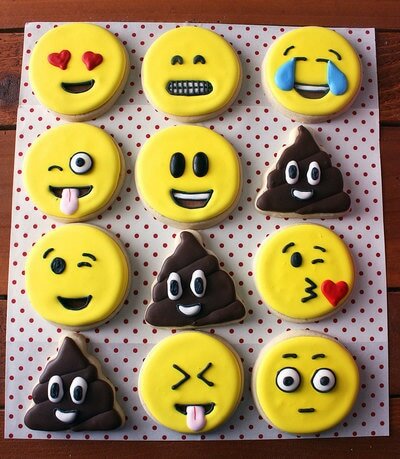 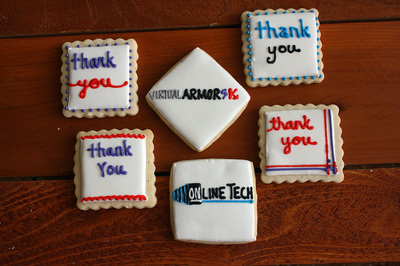 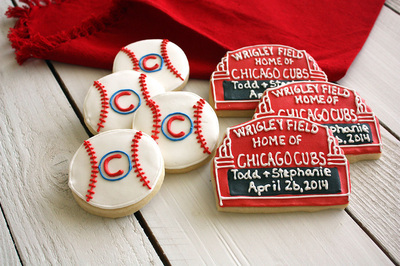 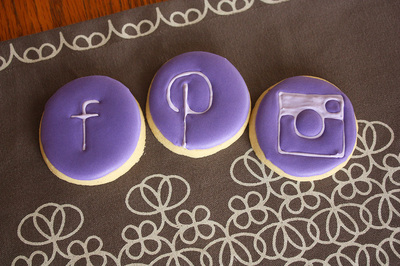 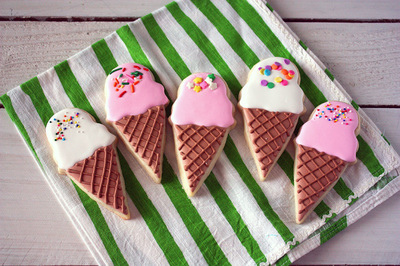 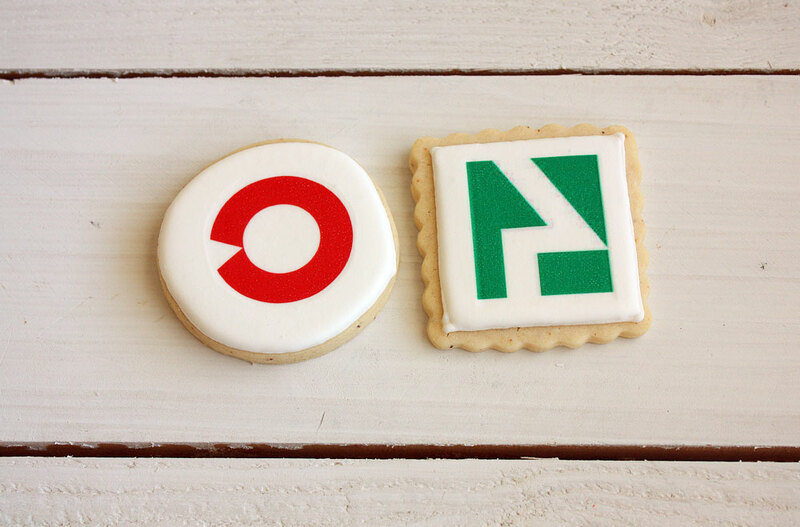 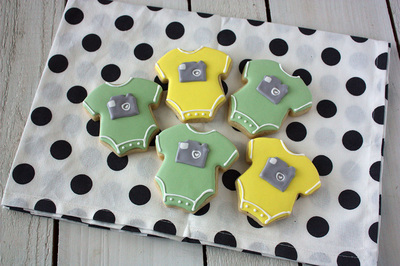 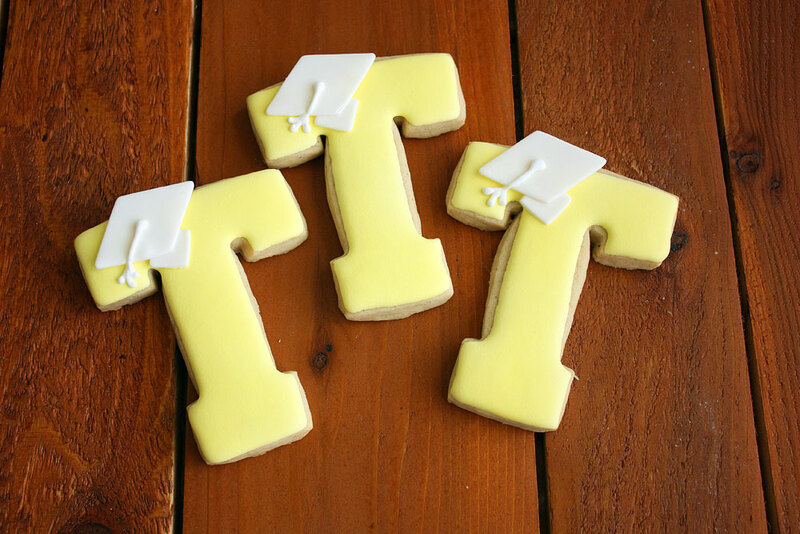 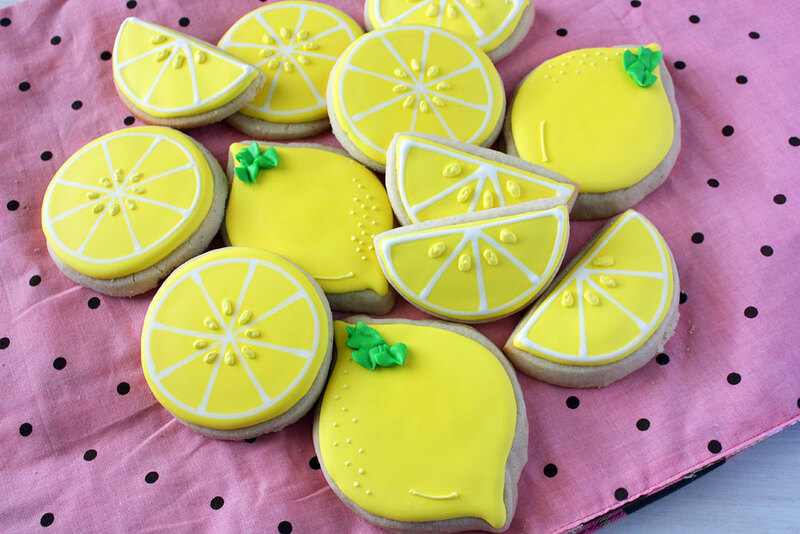 Print your logo or image on a cookie! 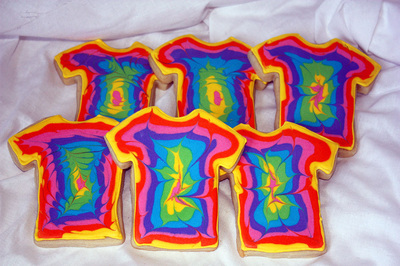 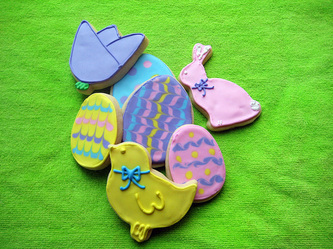 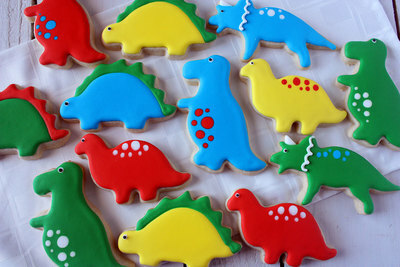 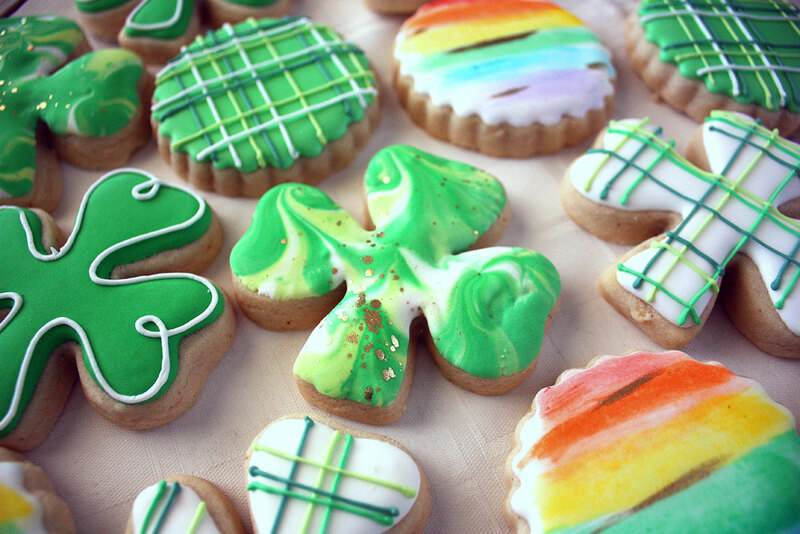 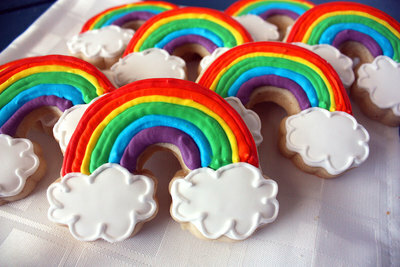 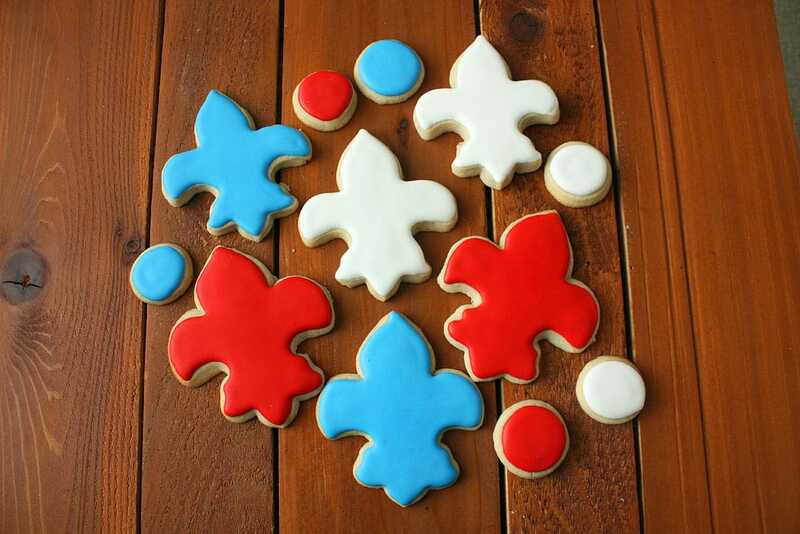 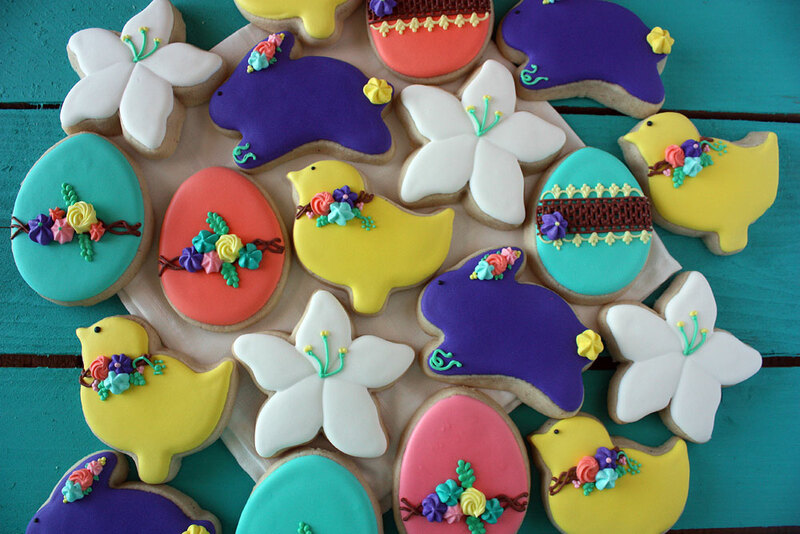 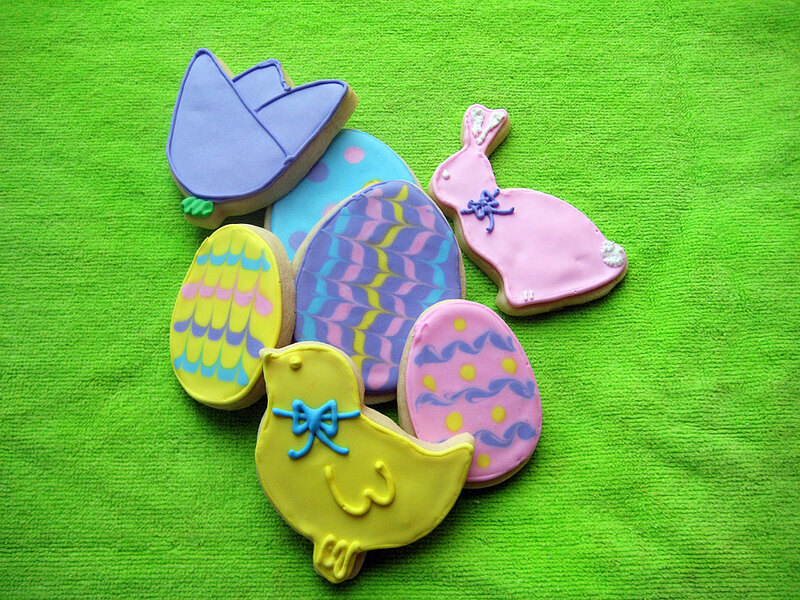 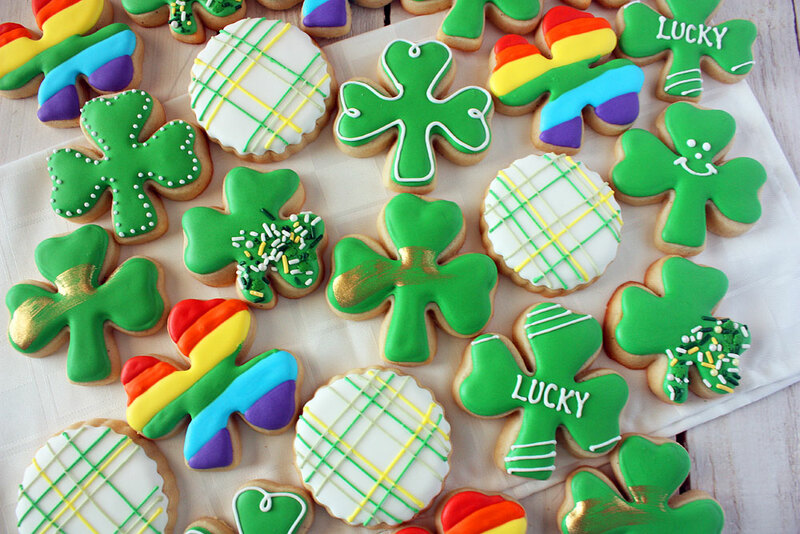 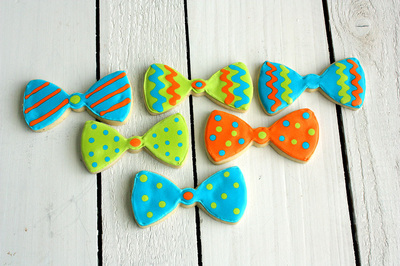 Cookies start at $2.75 each, and are priced based on the amount of colors in the image as well as the size of the image. 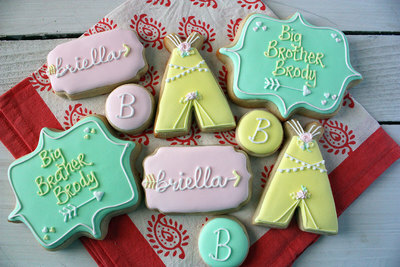 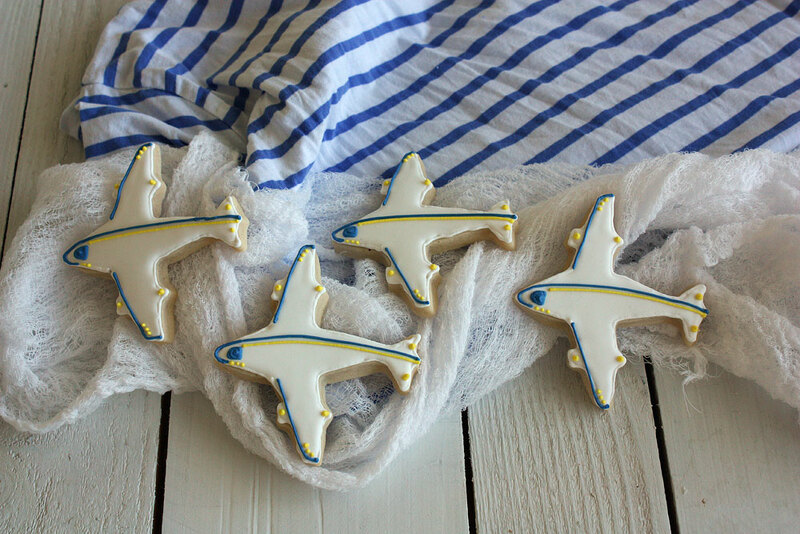 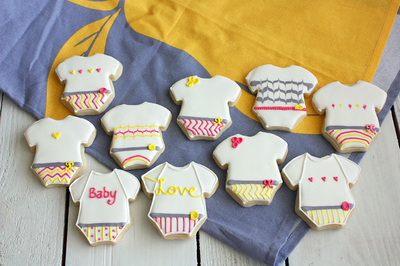 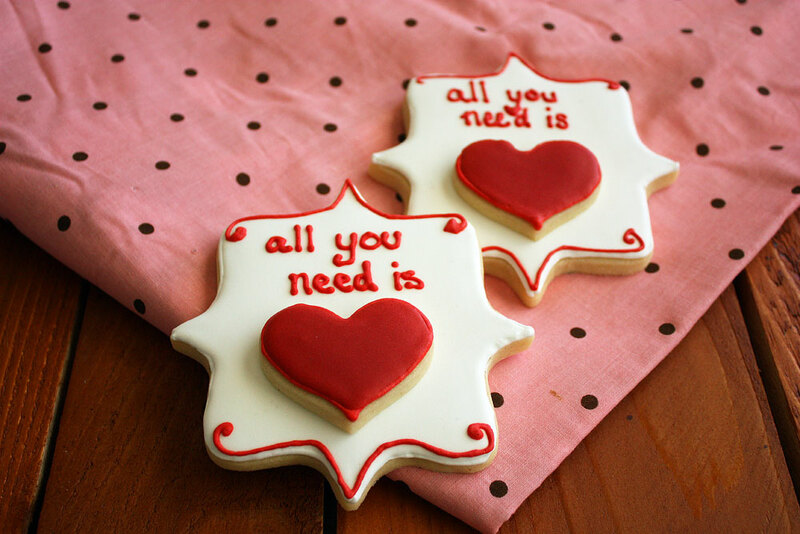 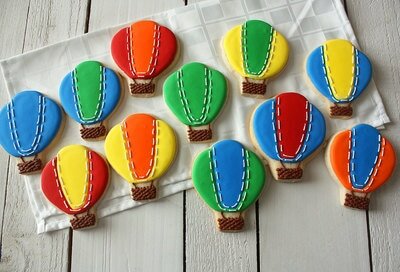 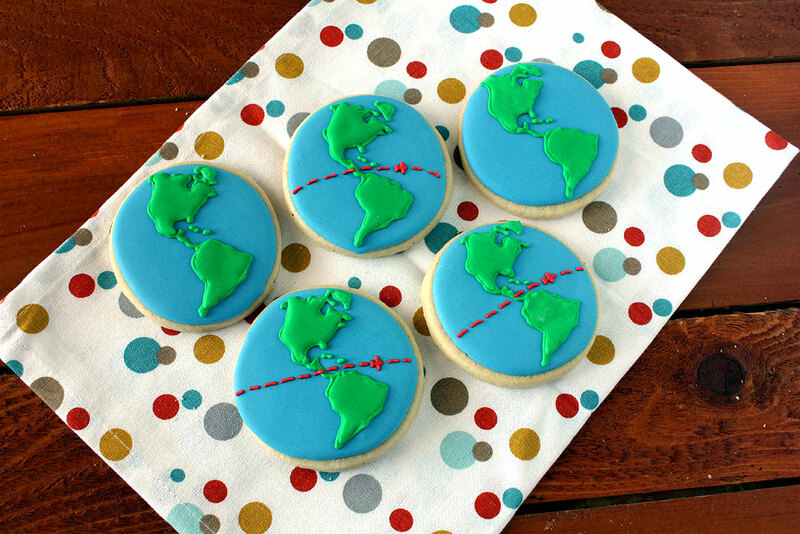 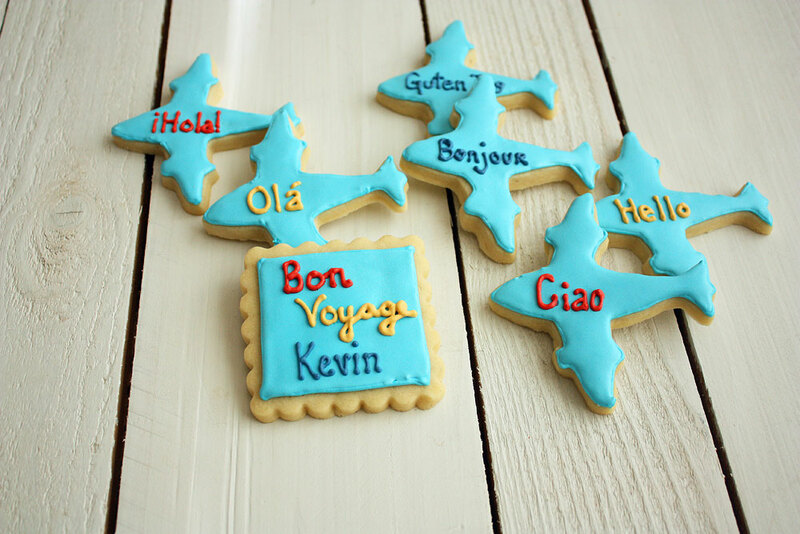 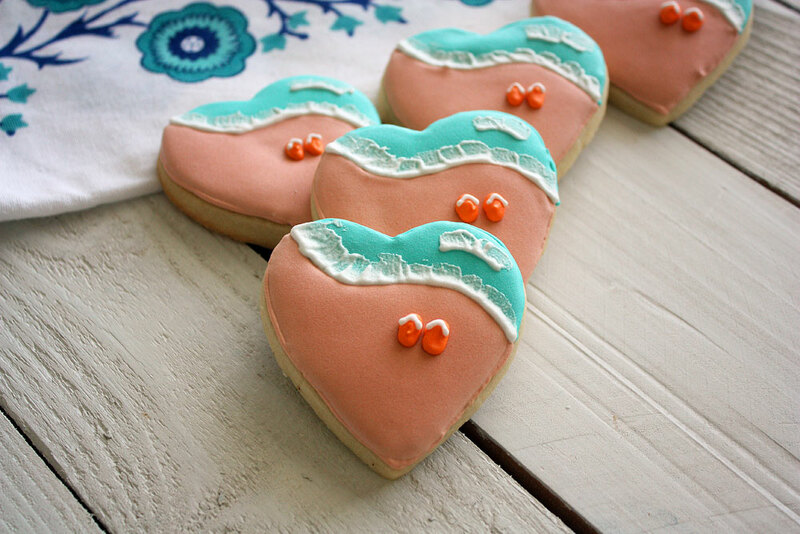 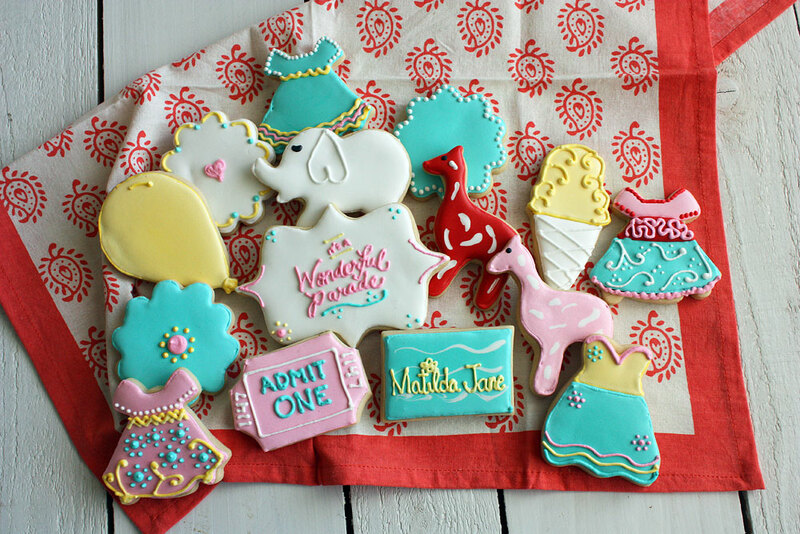 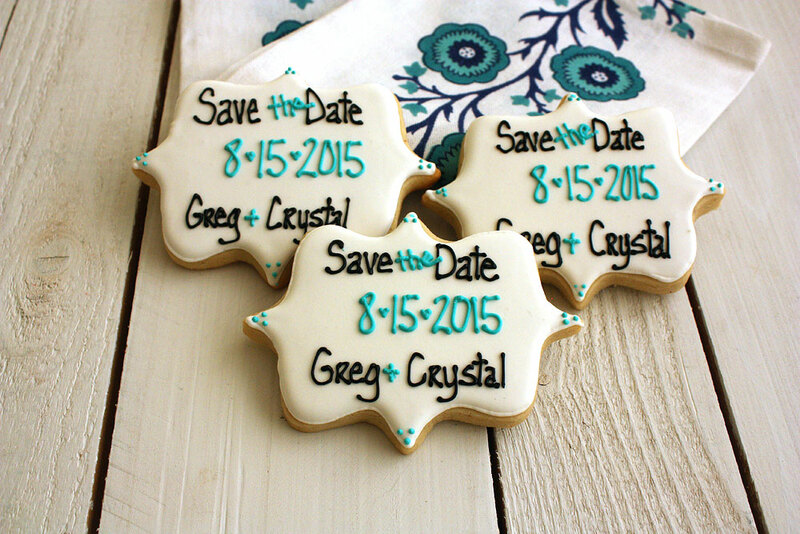 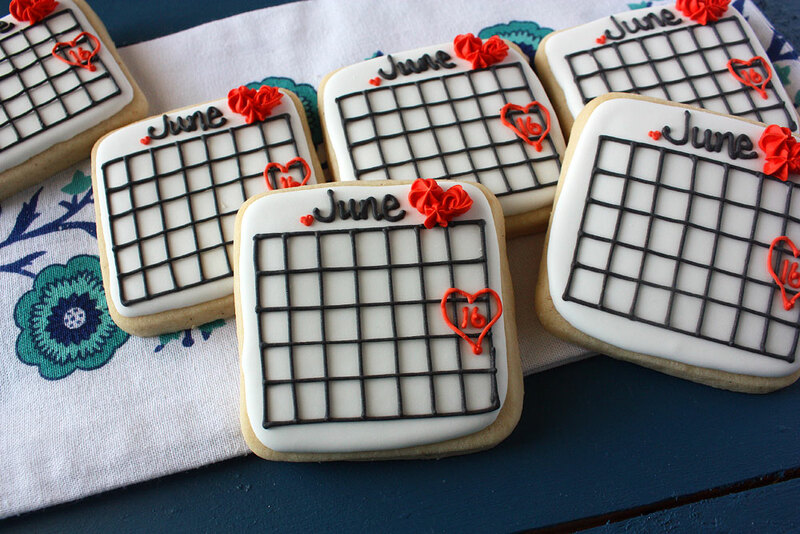 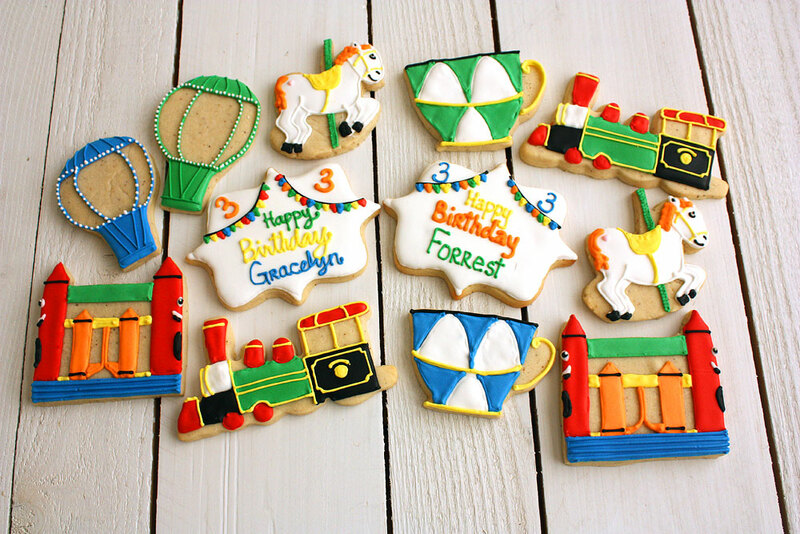 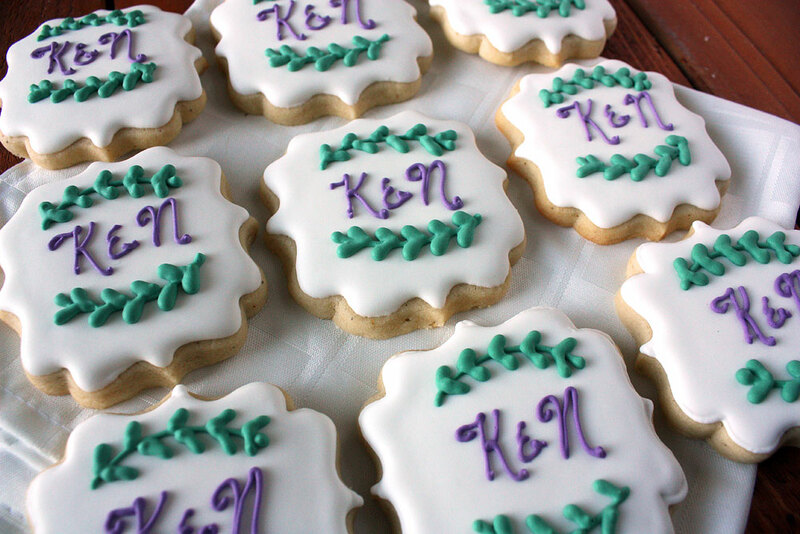 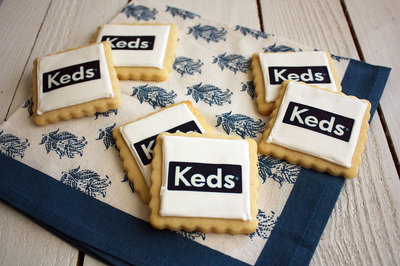 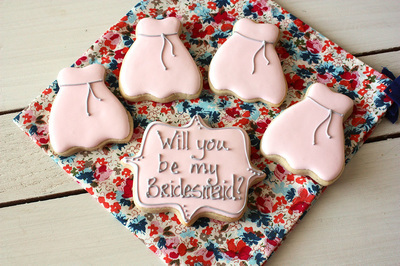 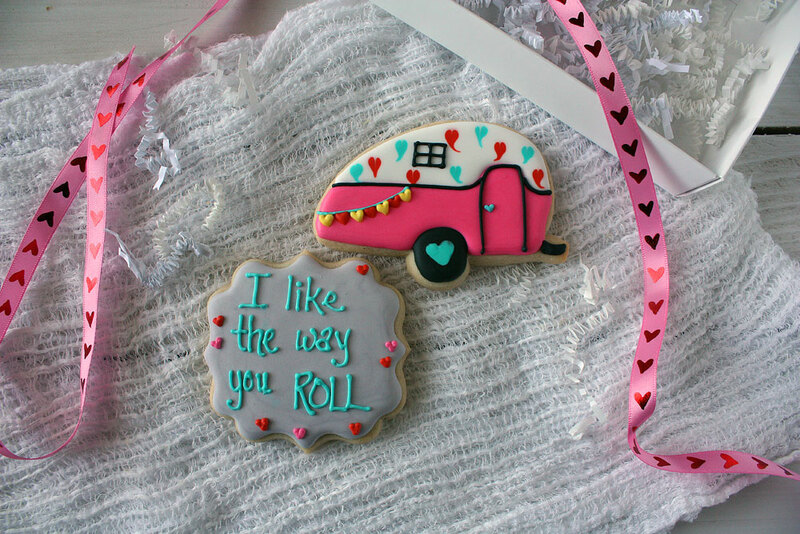 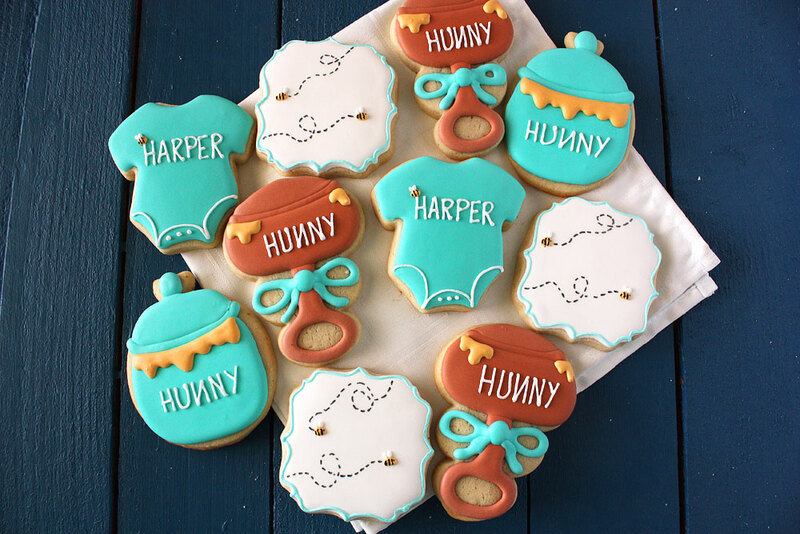 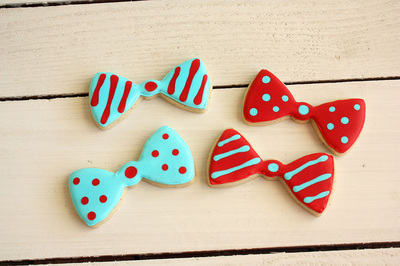 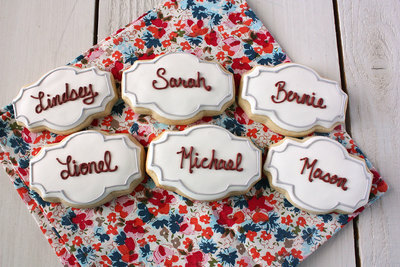 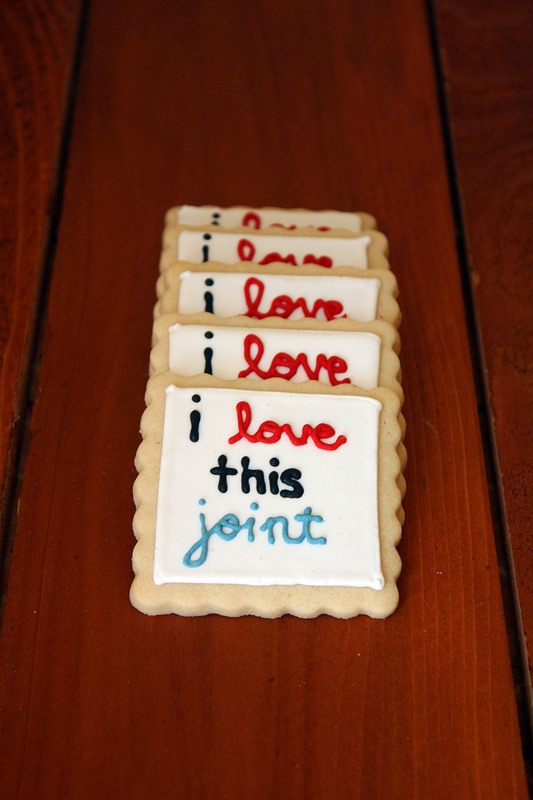 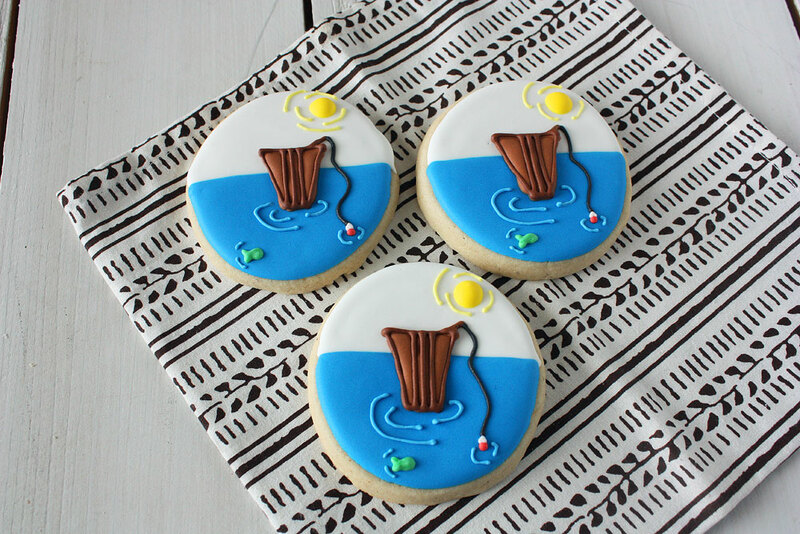 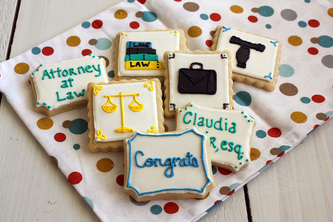 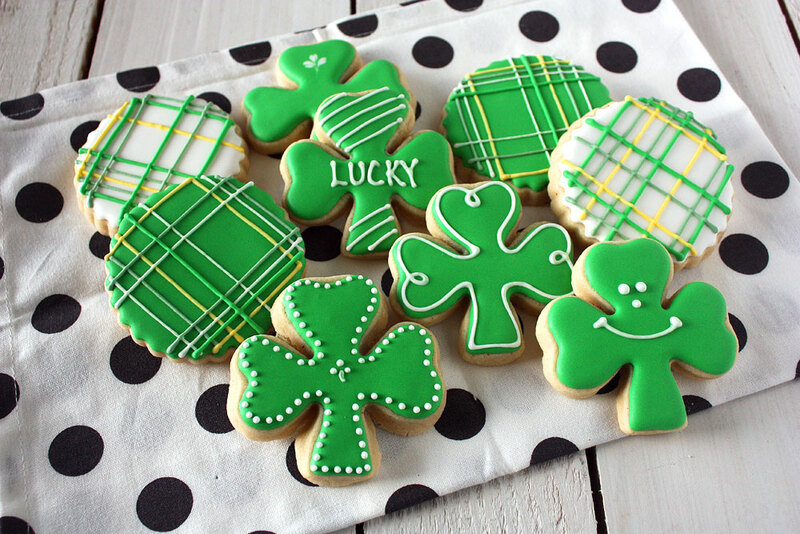 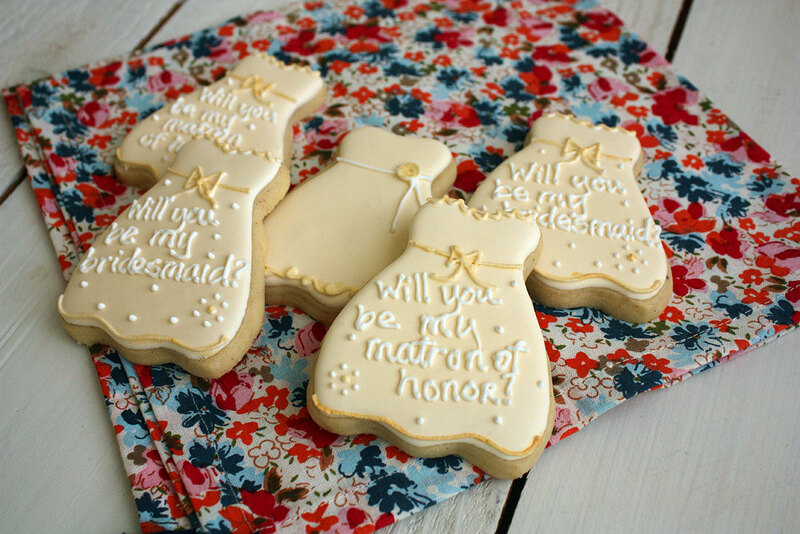 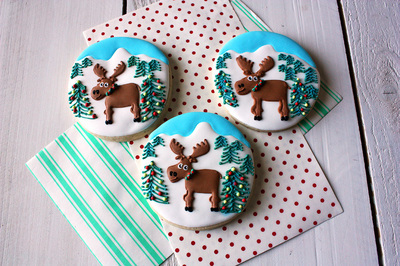 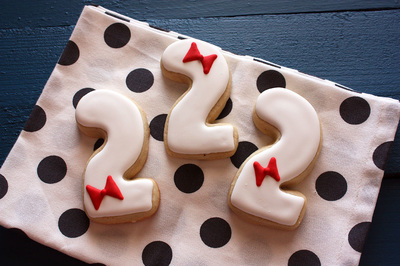 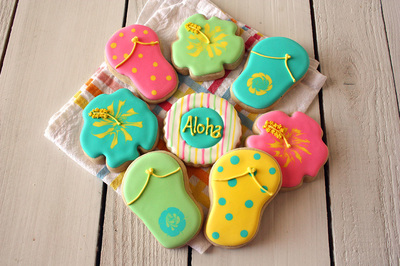 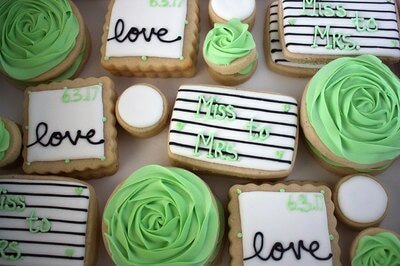 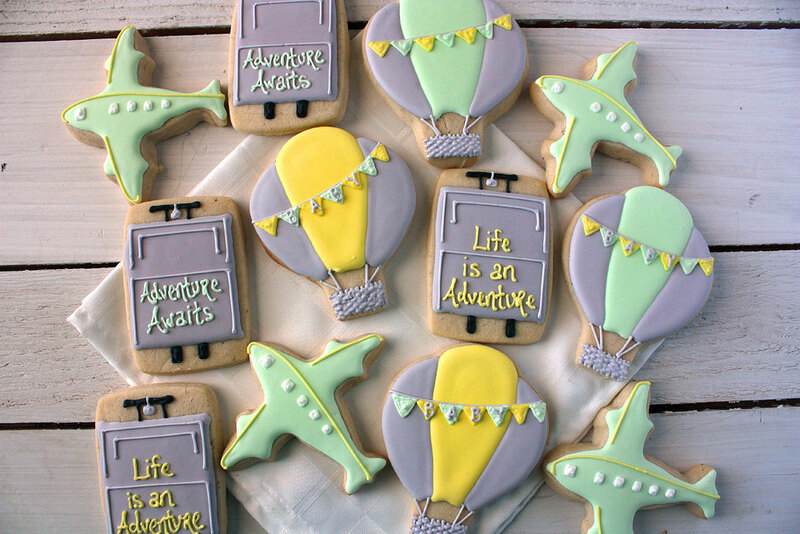 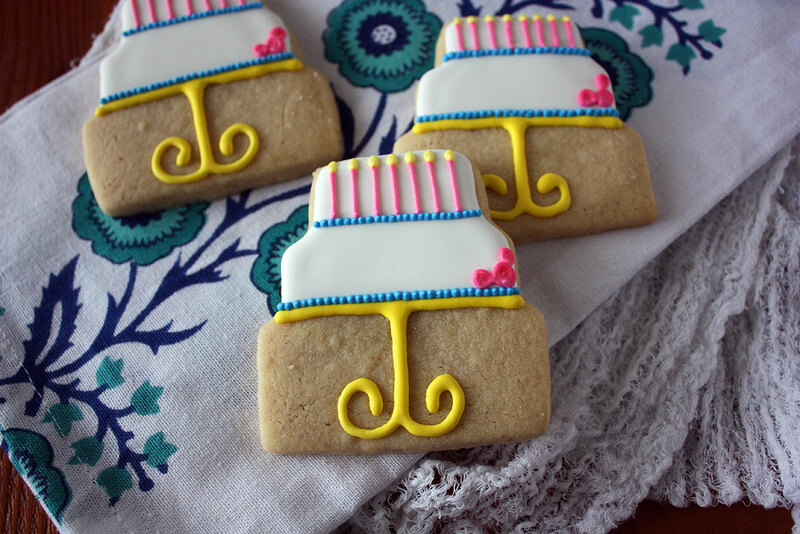 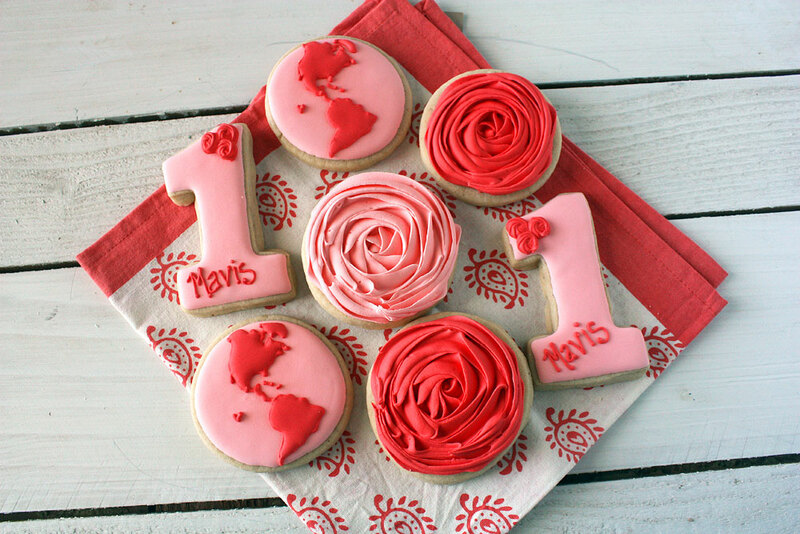 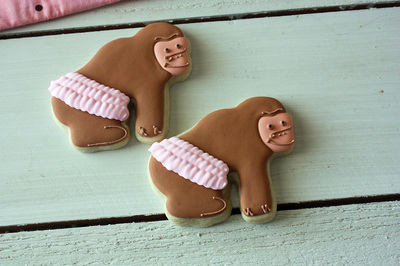 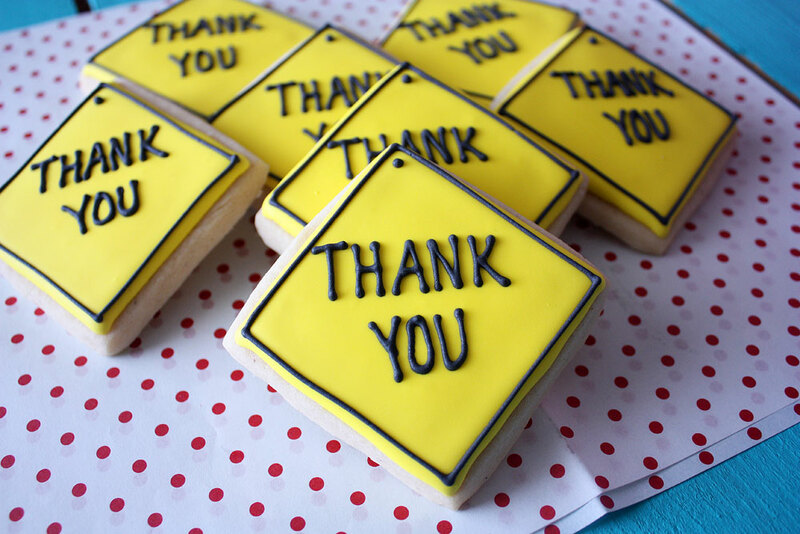 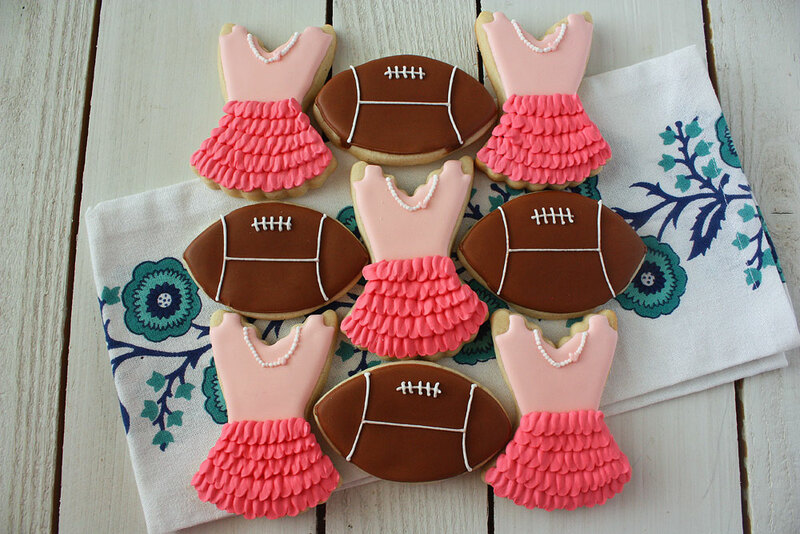 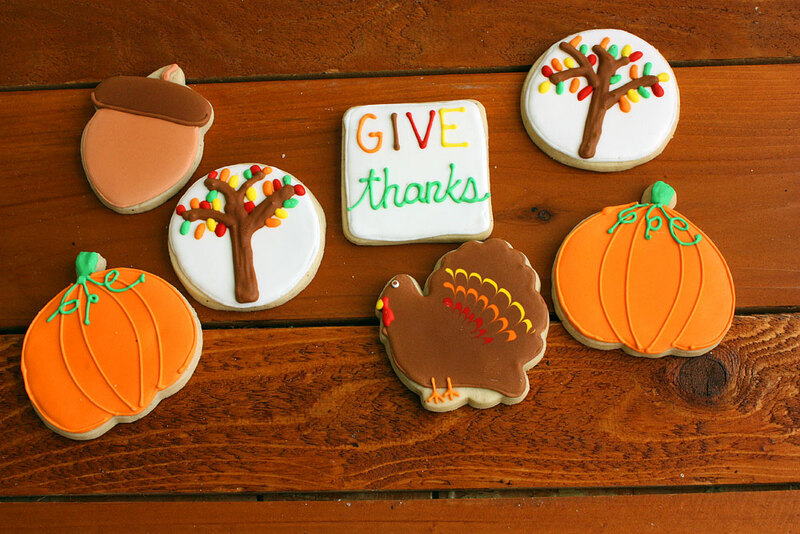 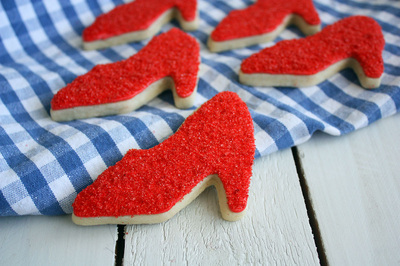 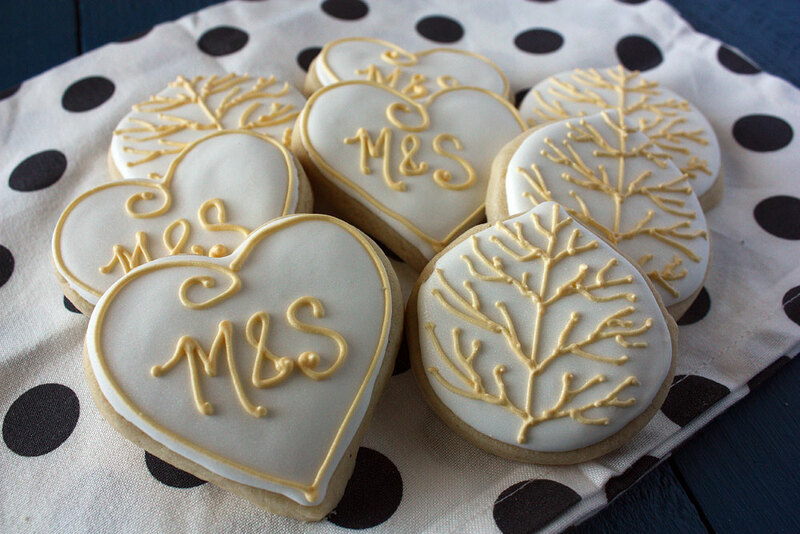 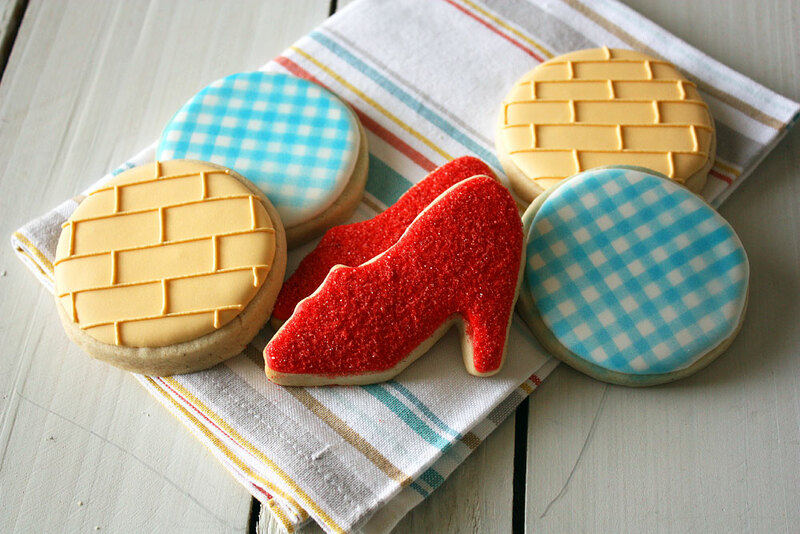 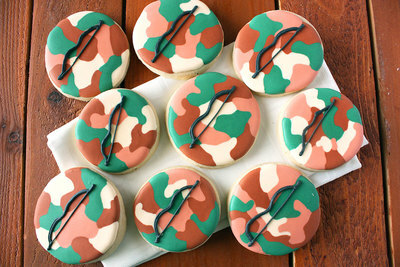 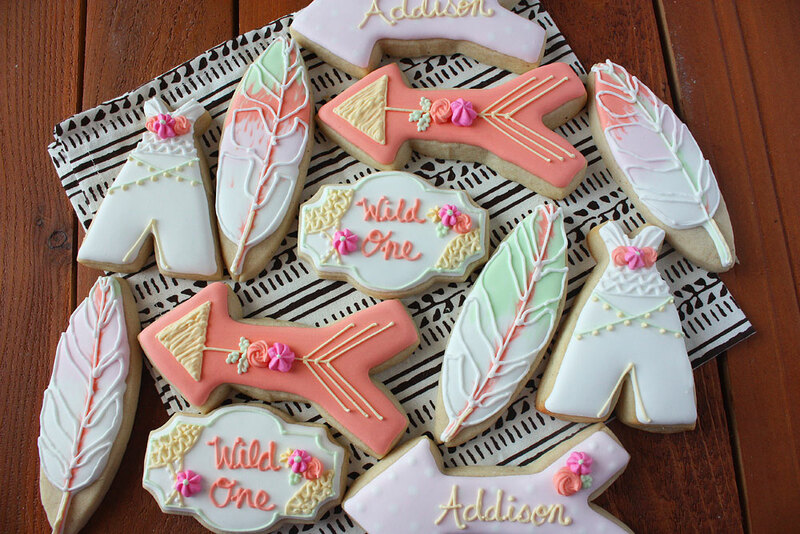 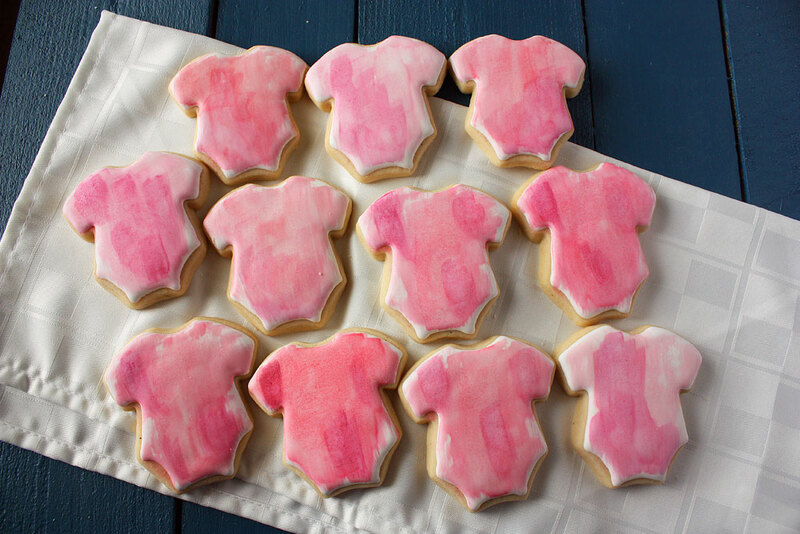 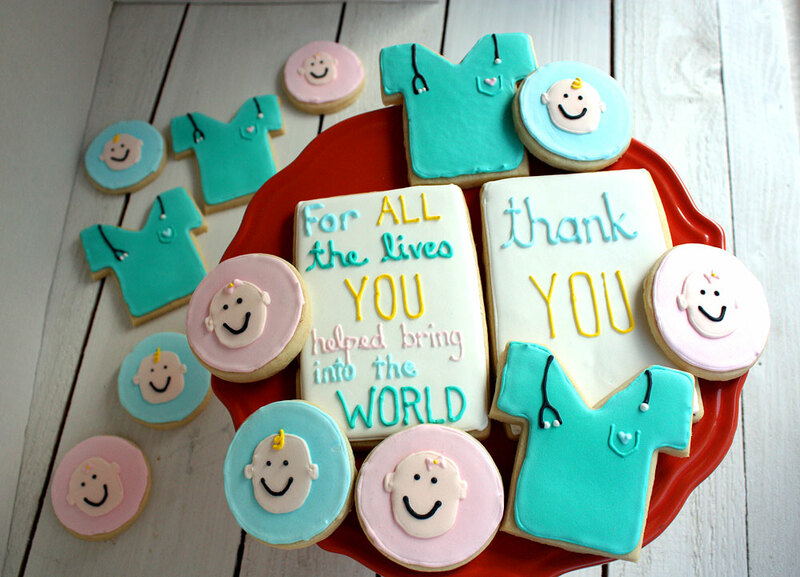 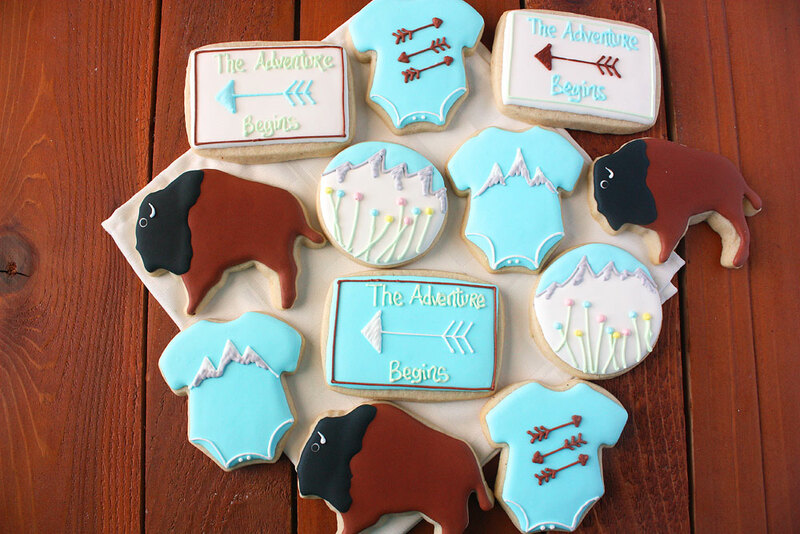 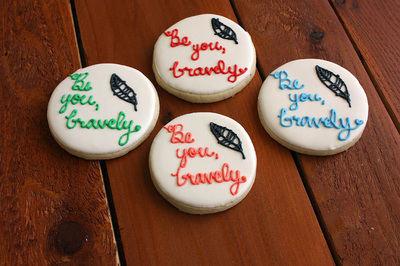 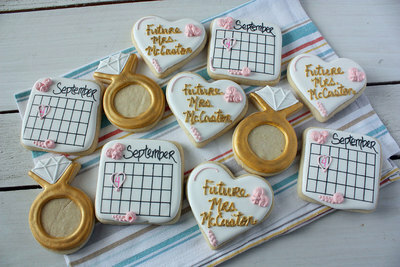 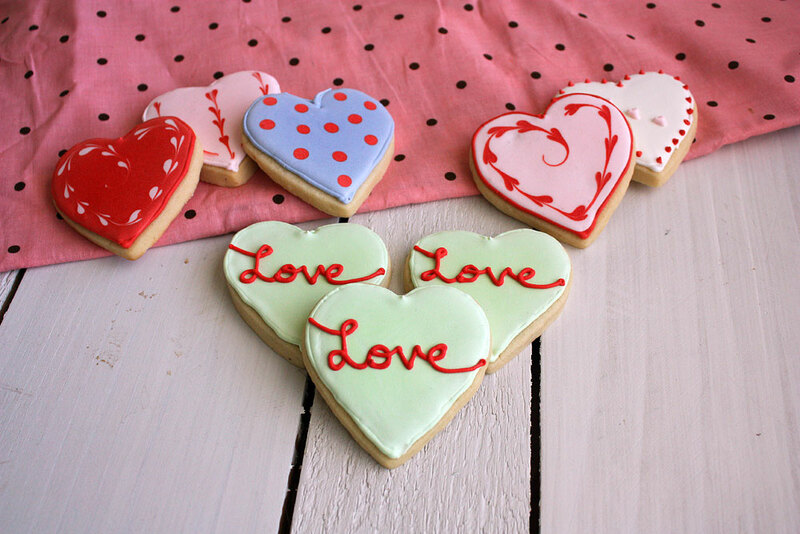 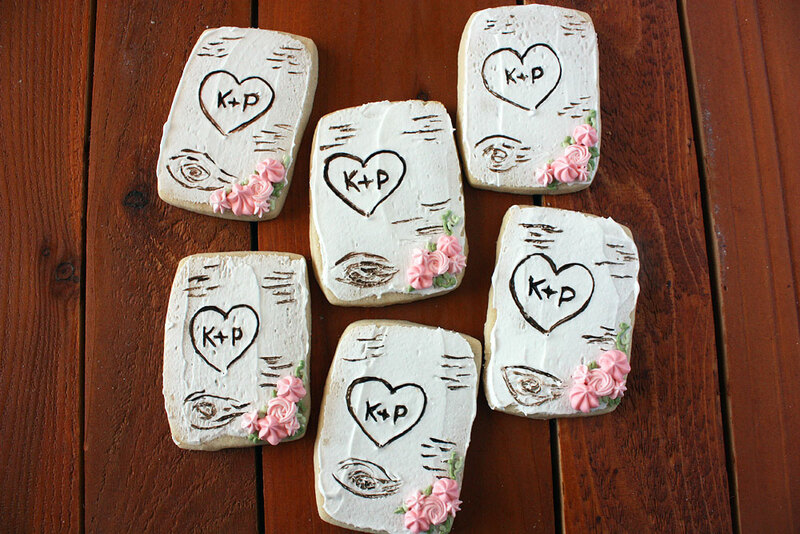 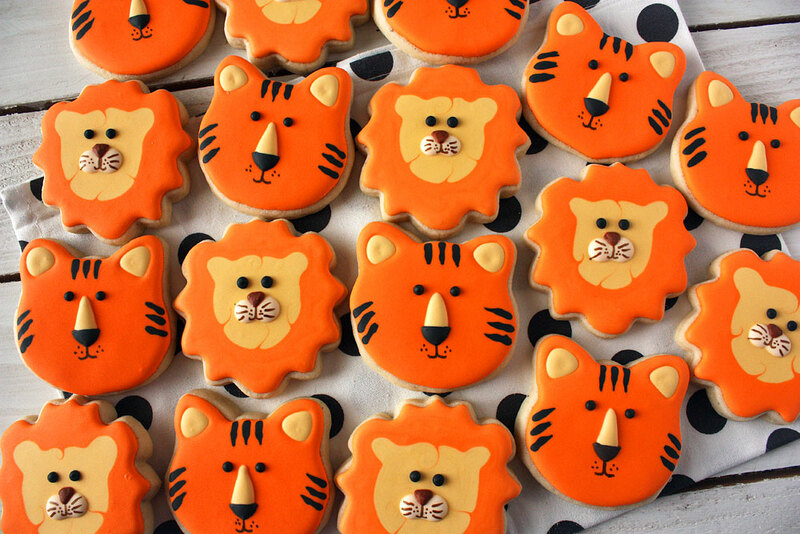 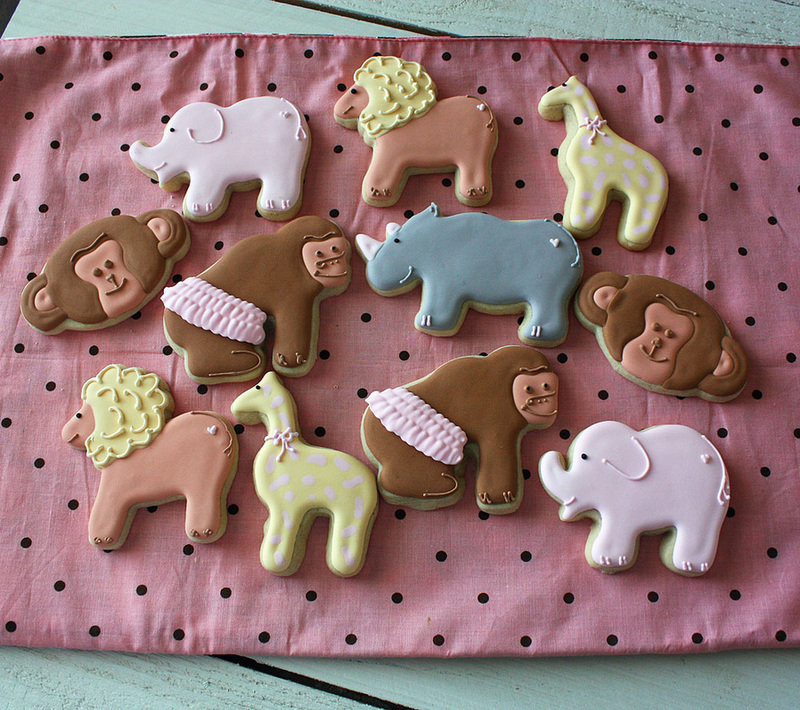 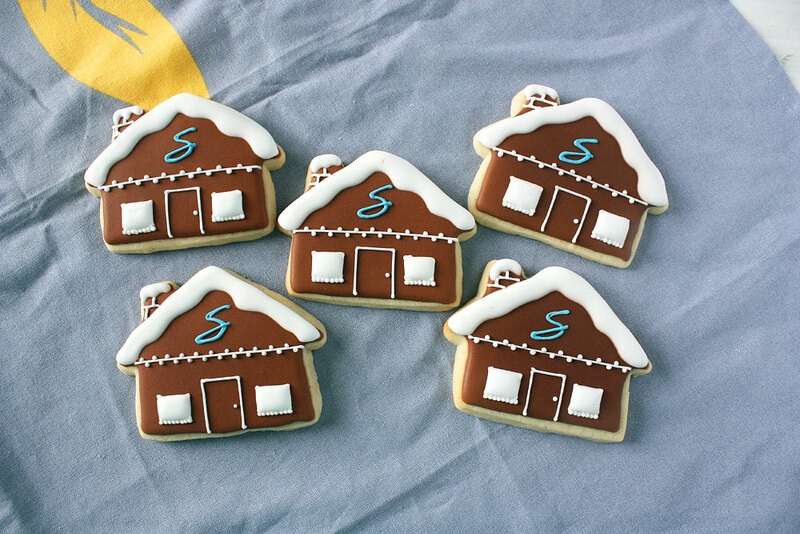 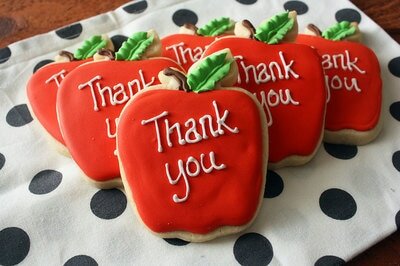 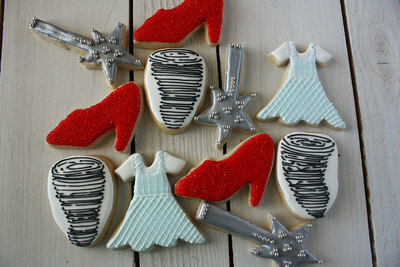 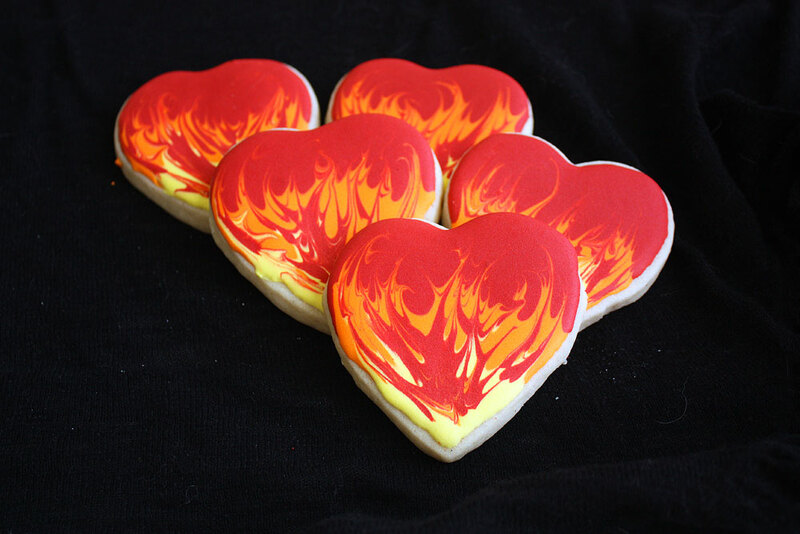 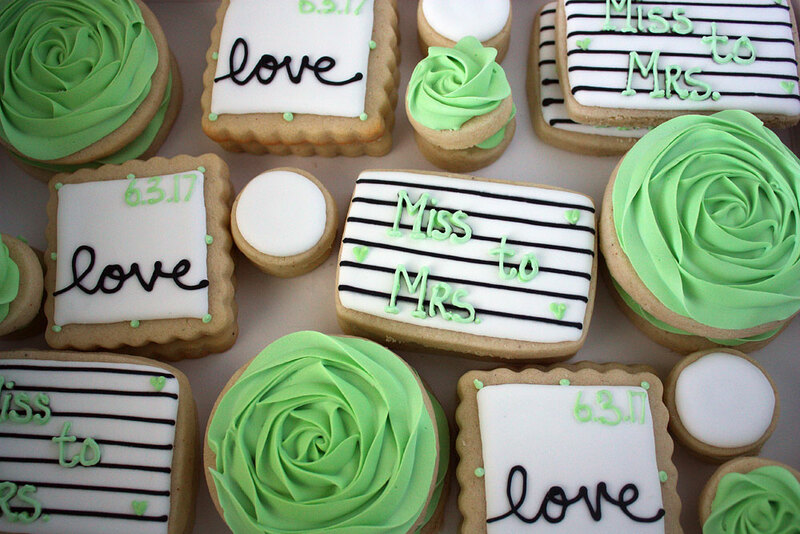 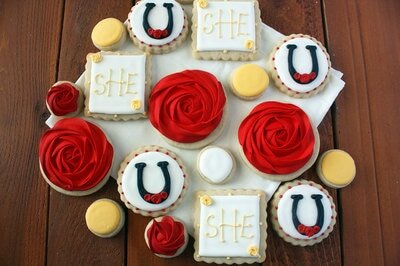 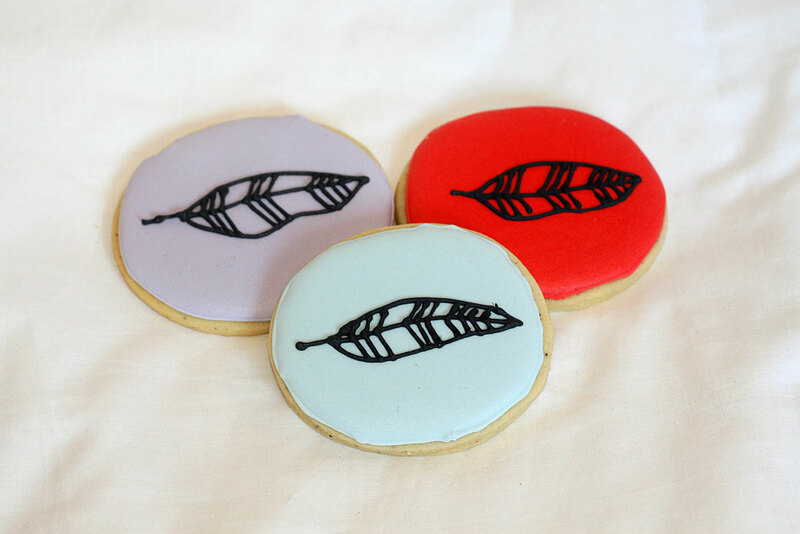 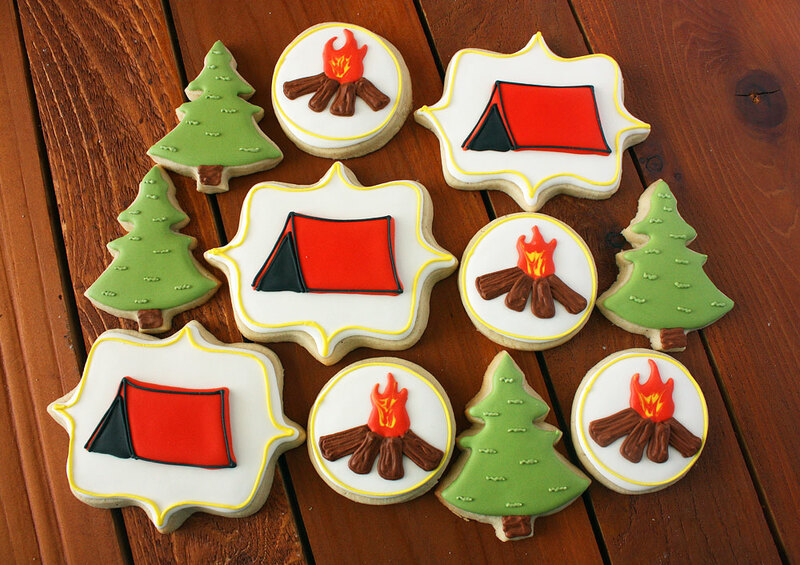 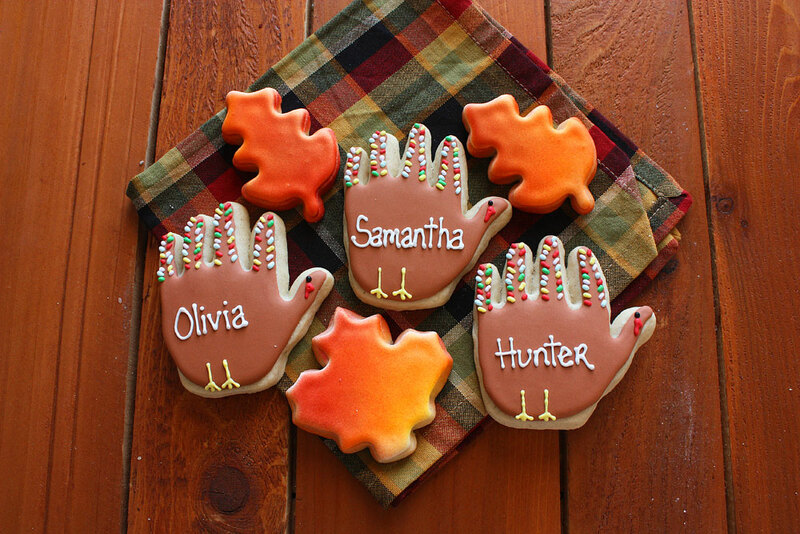 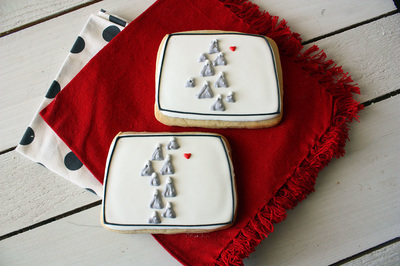 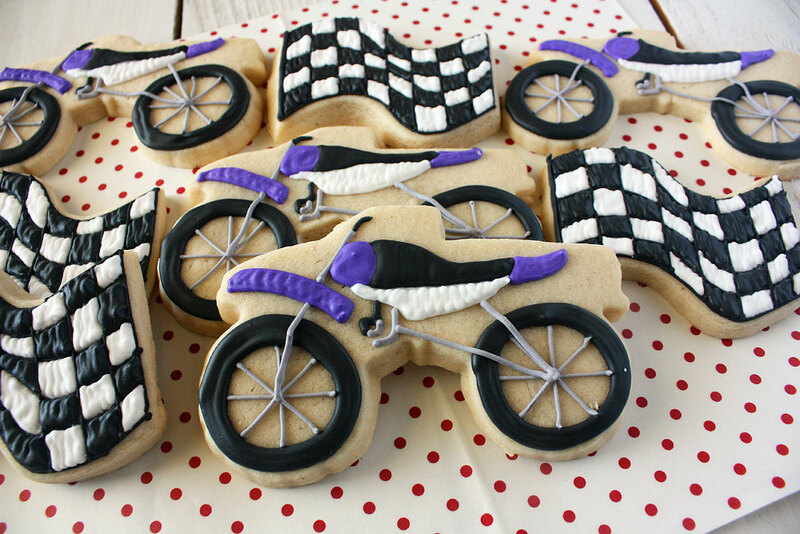 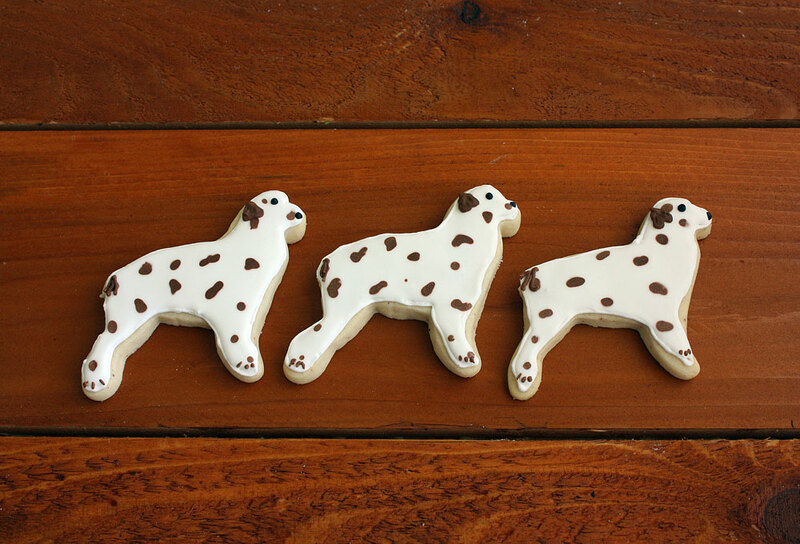 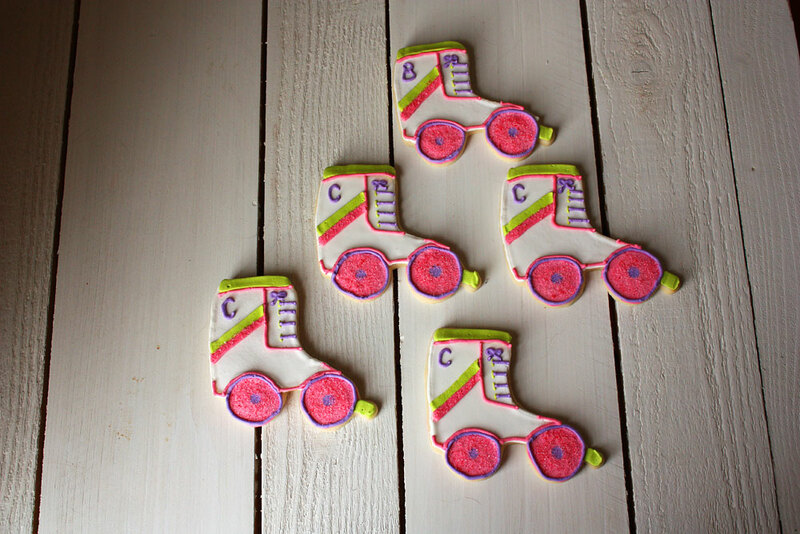 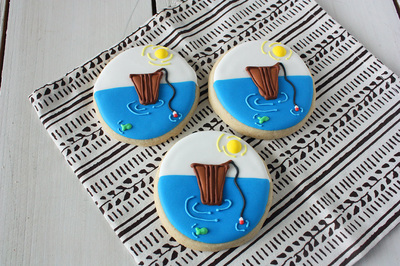 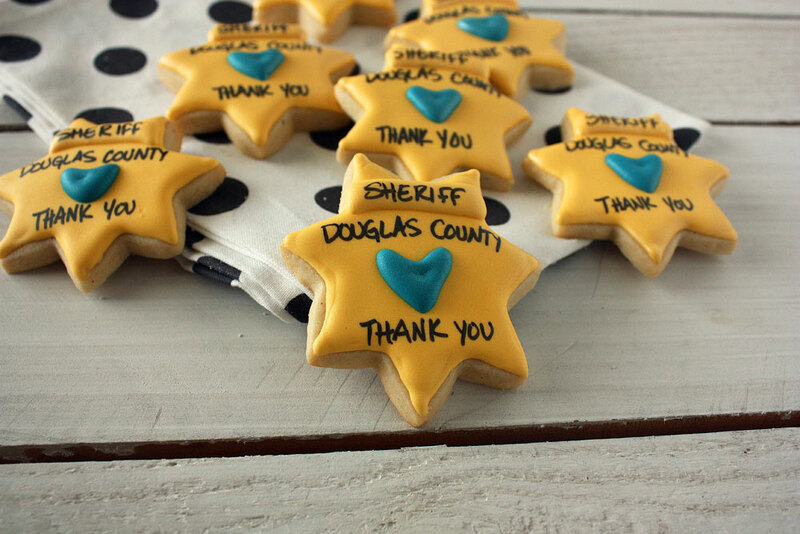 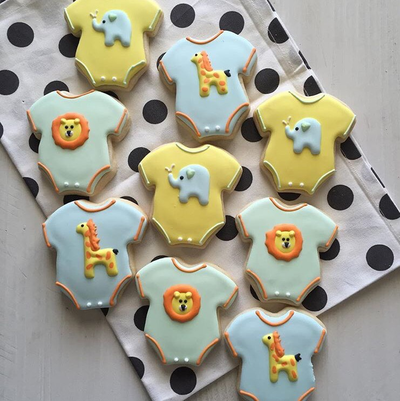 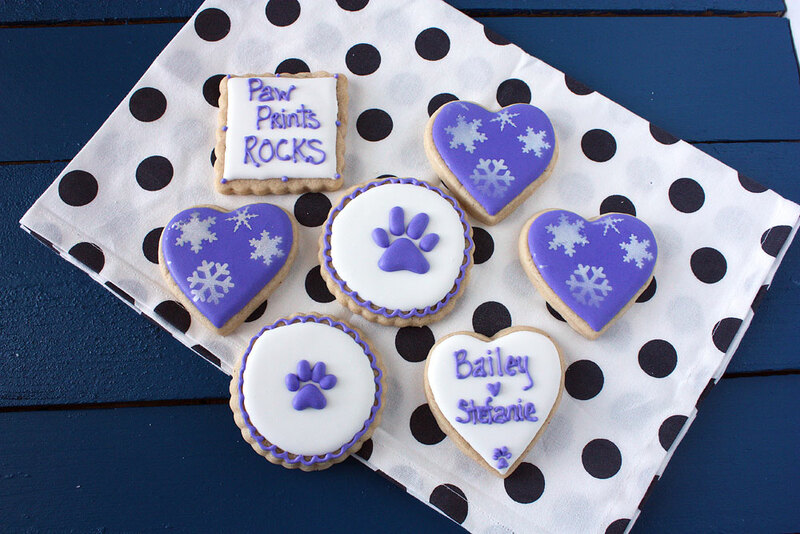 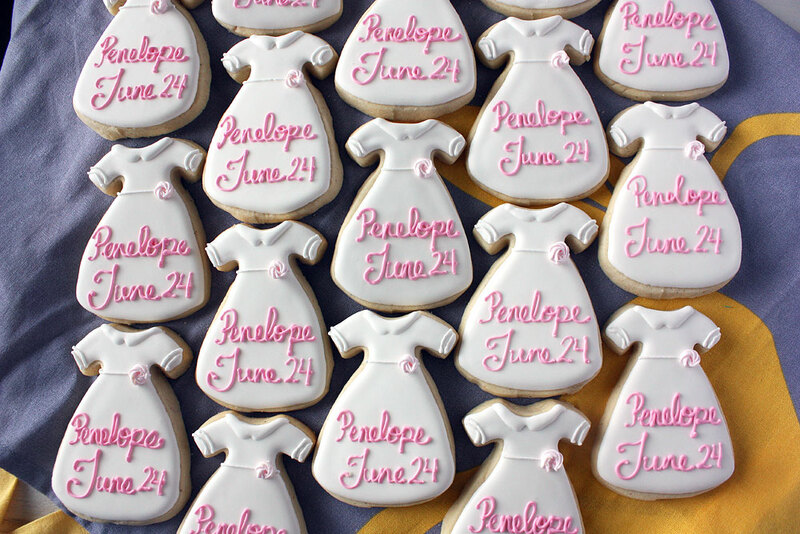 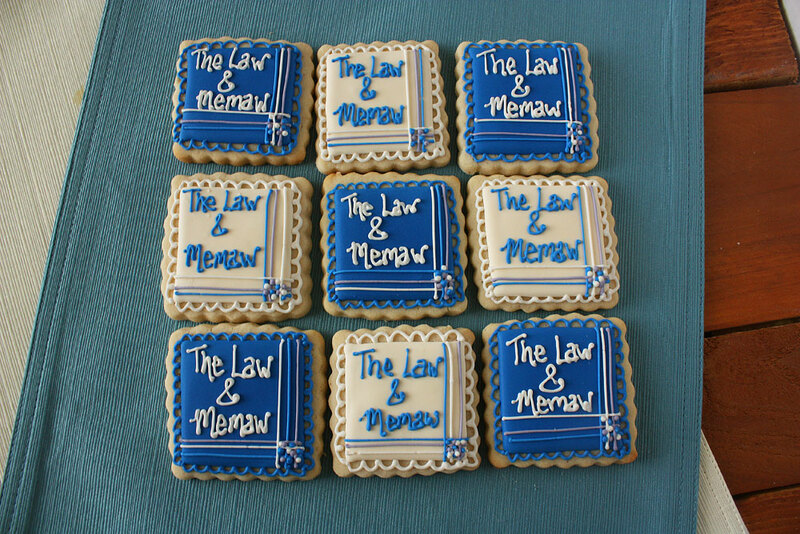 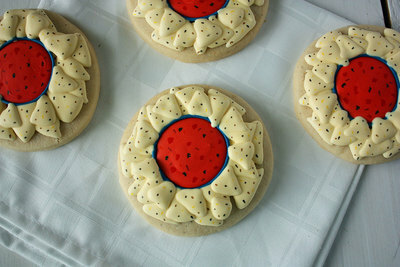 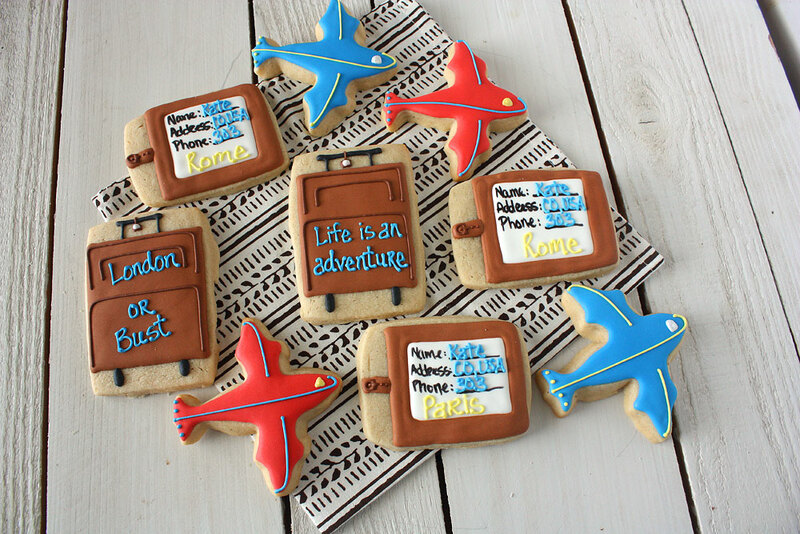 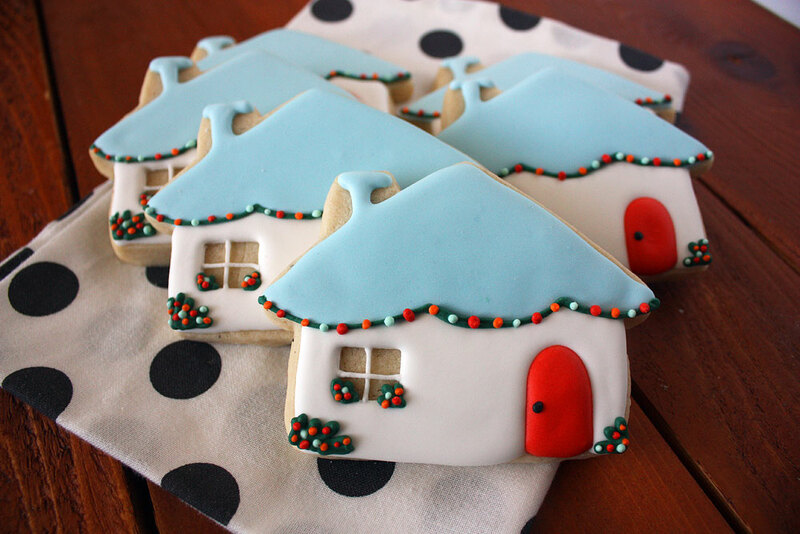 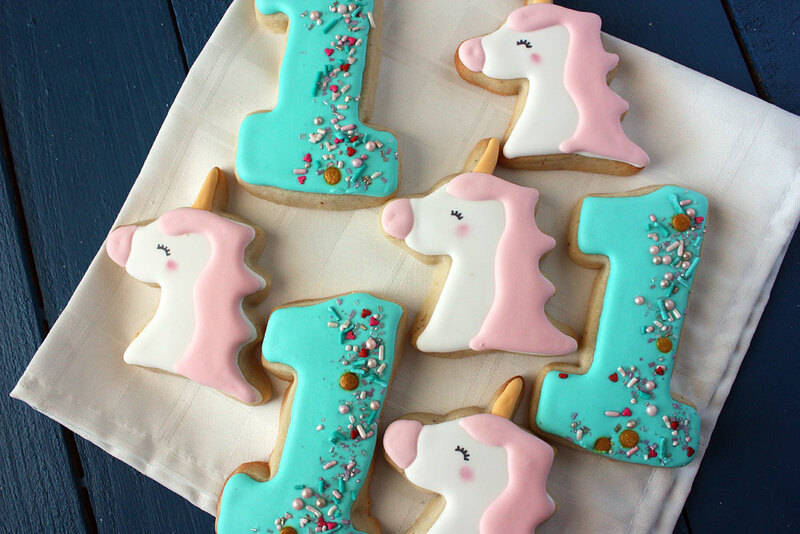 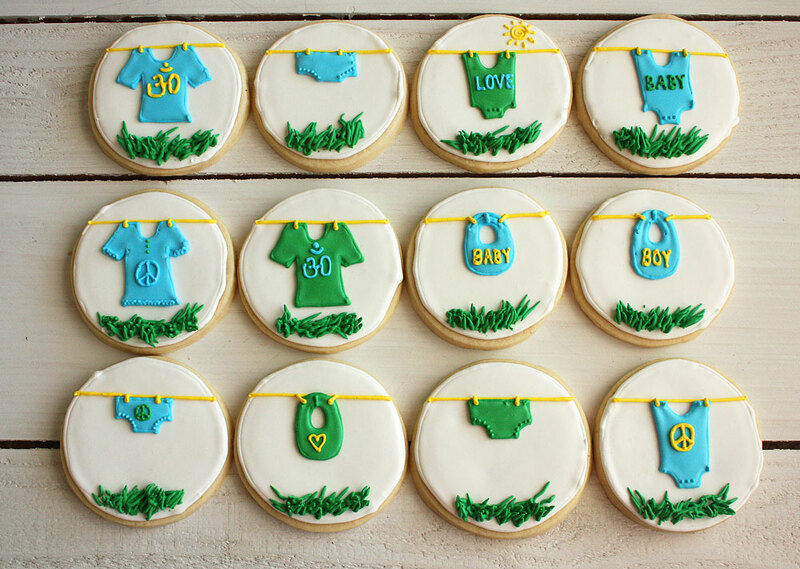 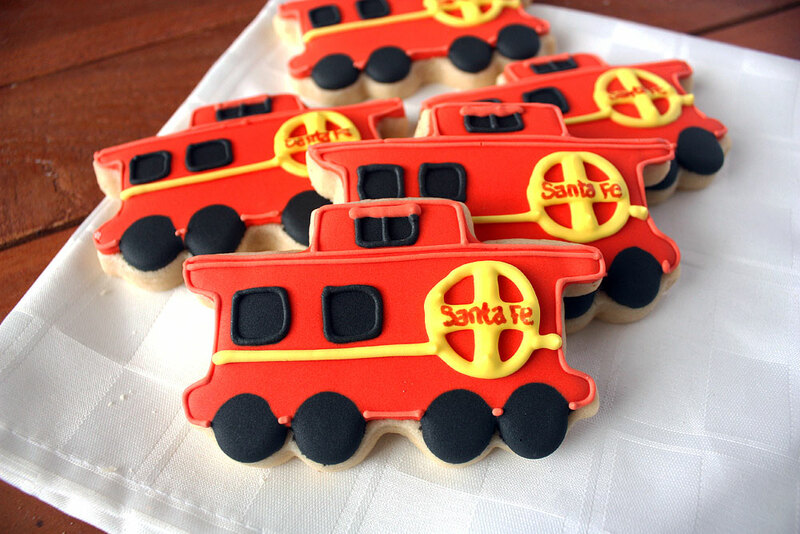 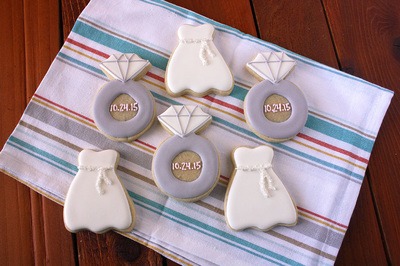 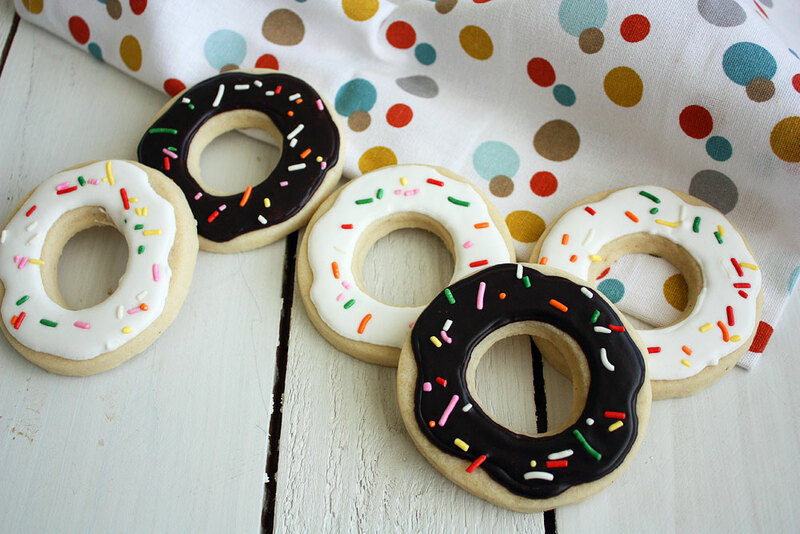 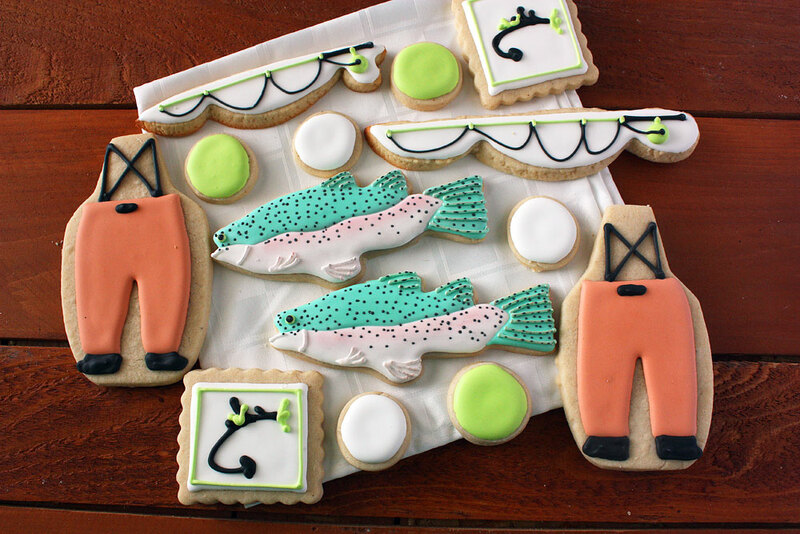 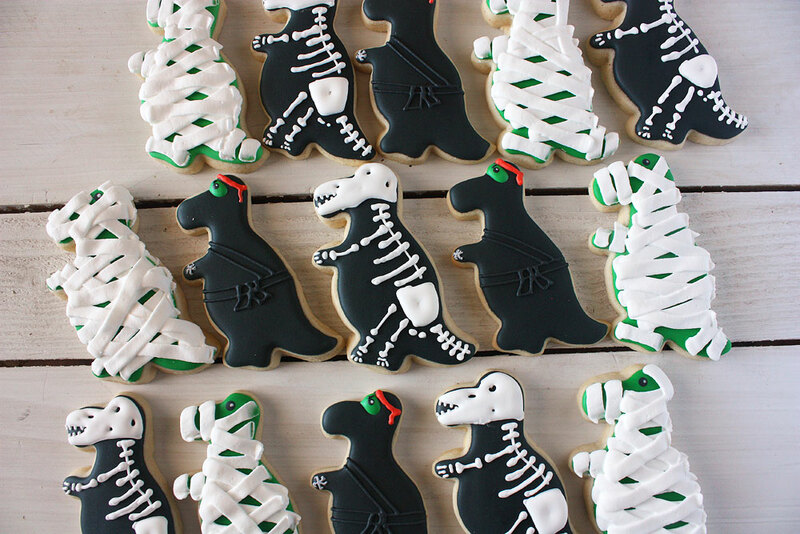 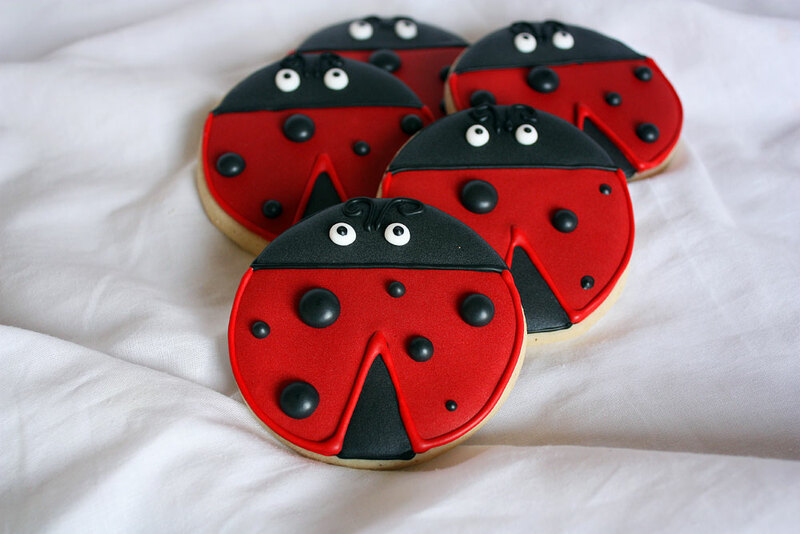 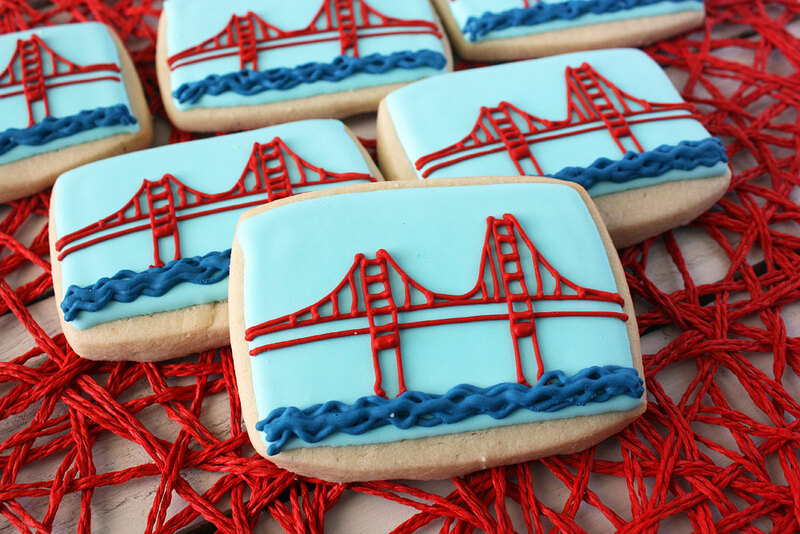 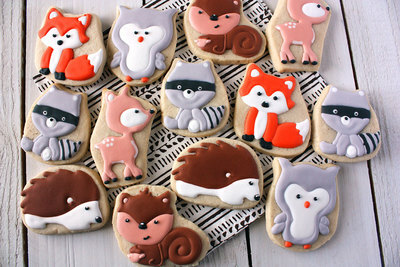 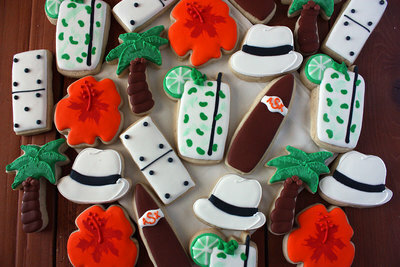 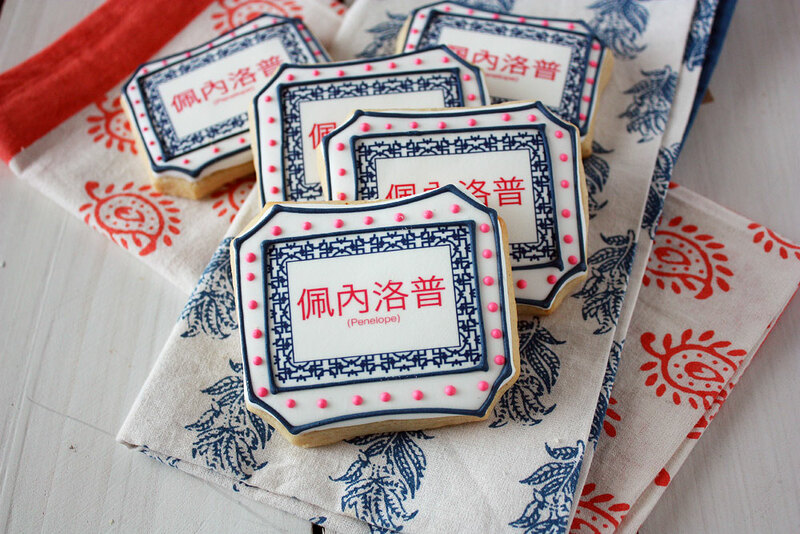 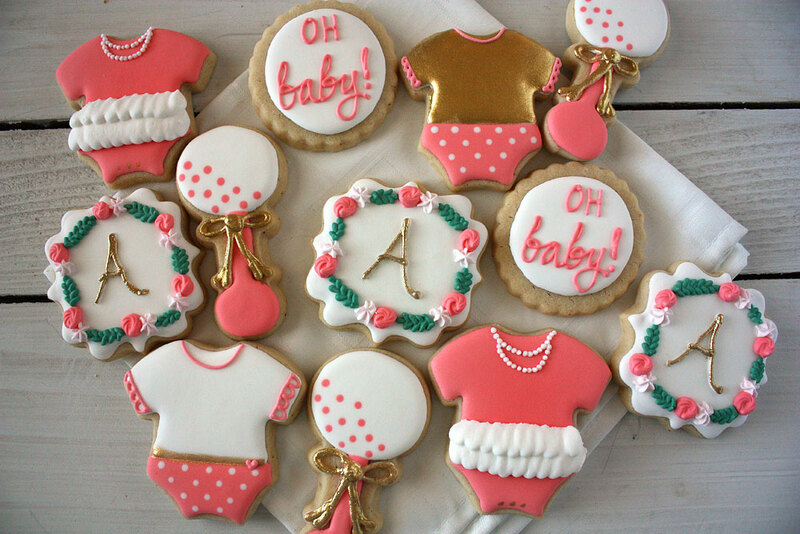 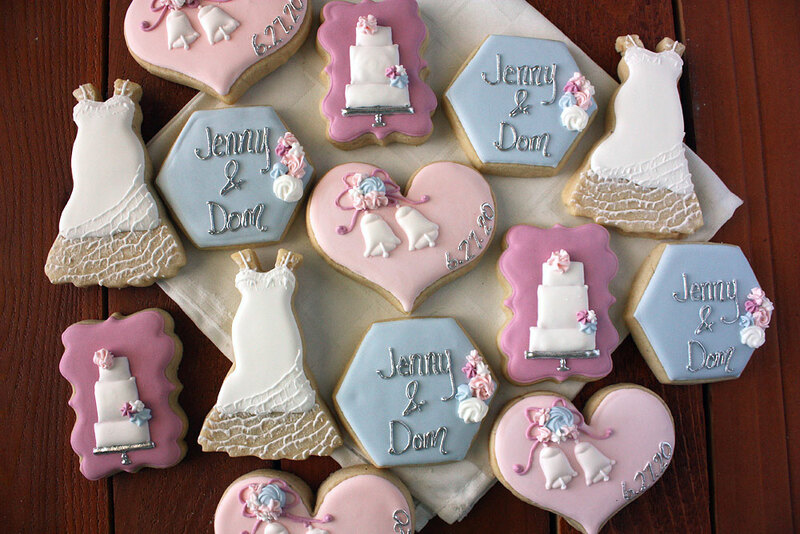 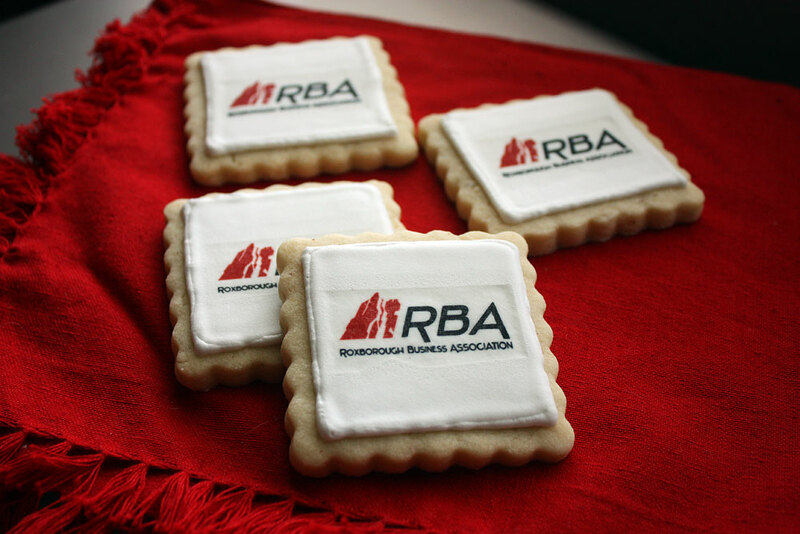 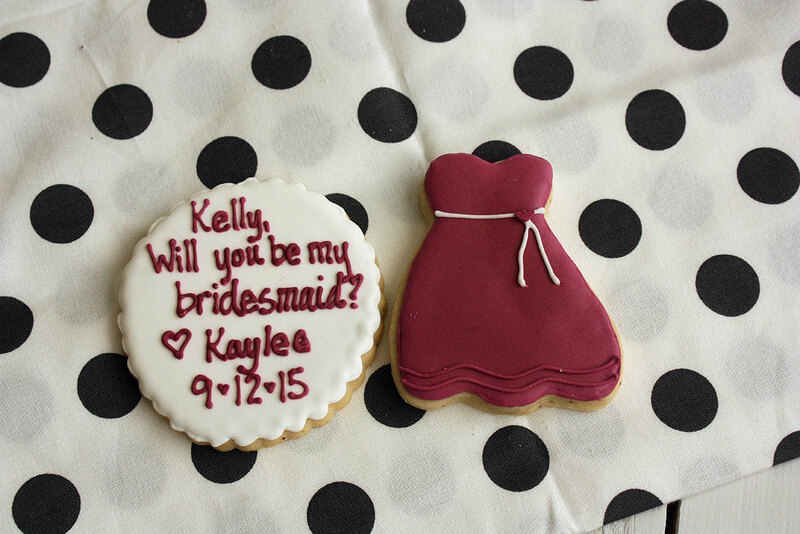 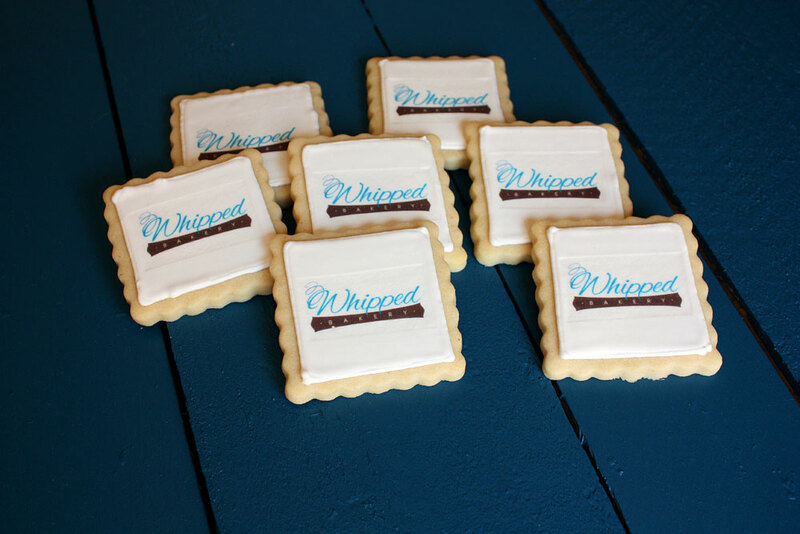 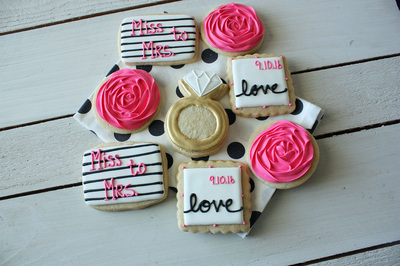 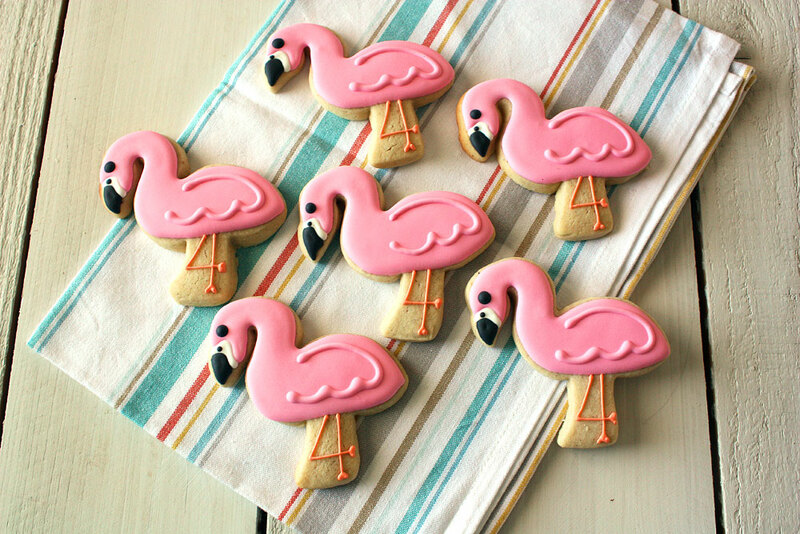 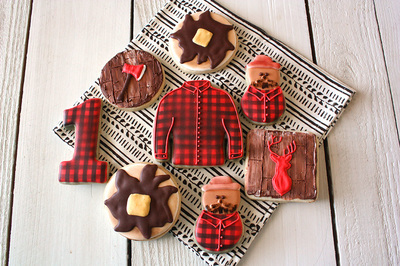 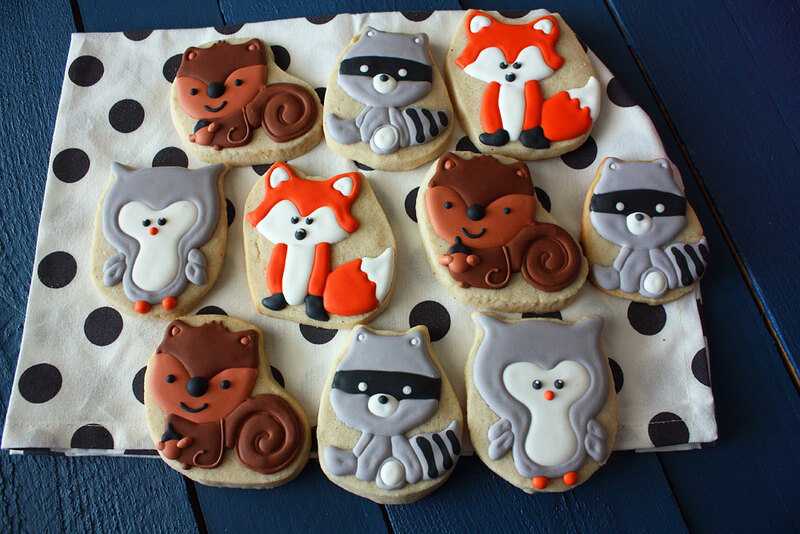 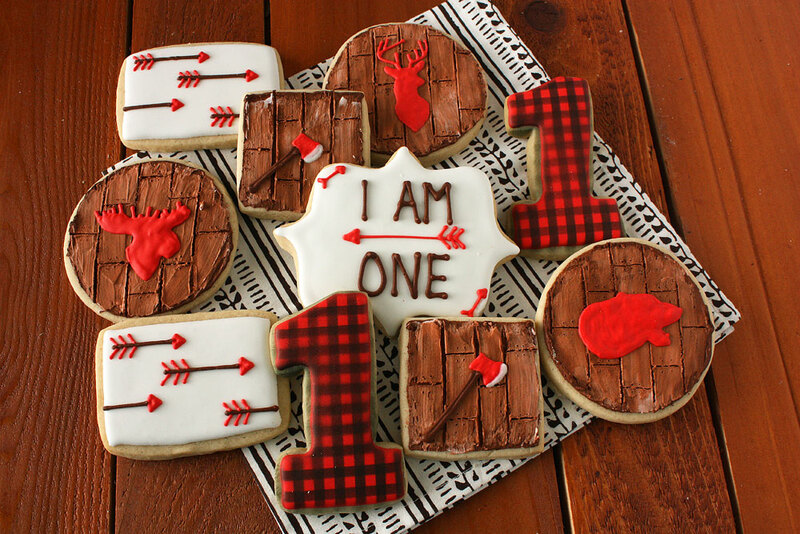 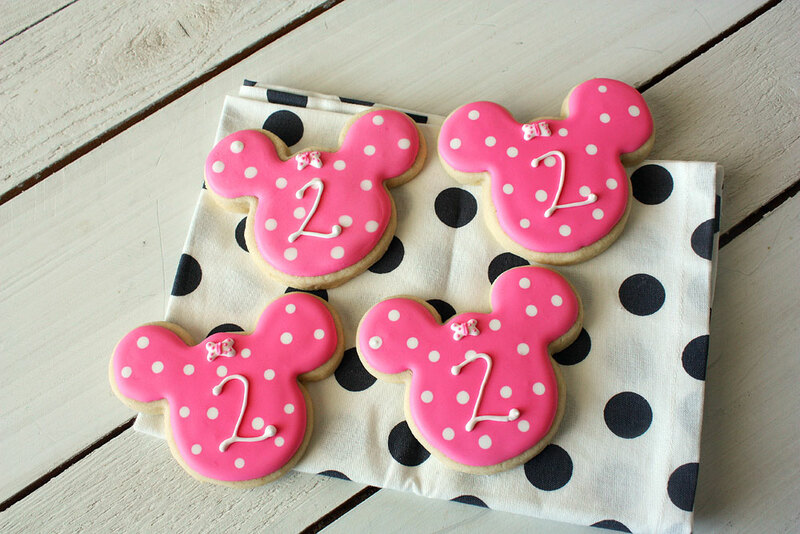 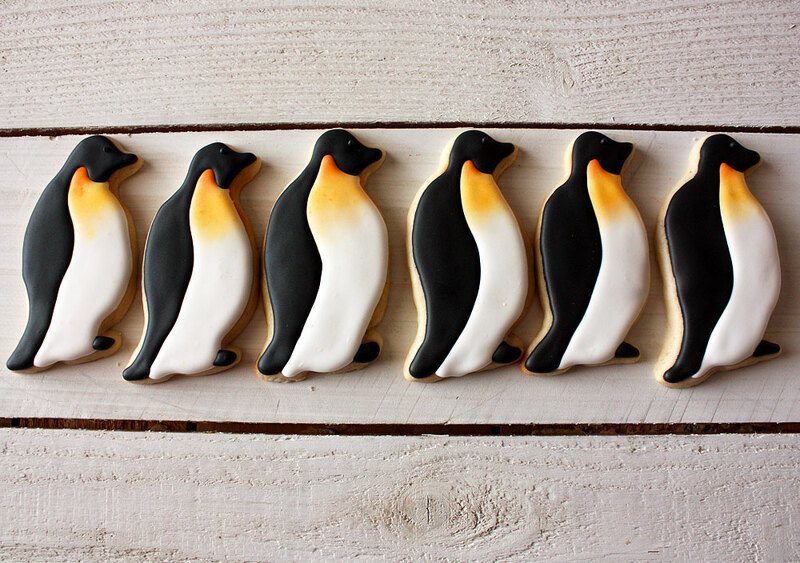 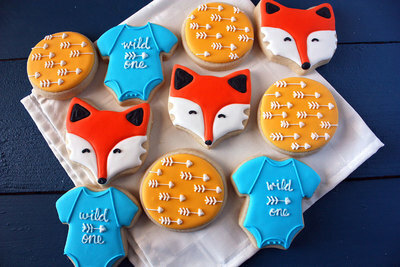 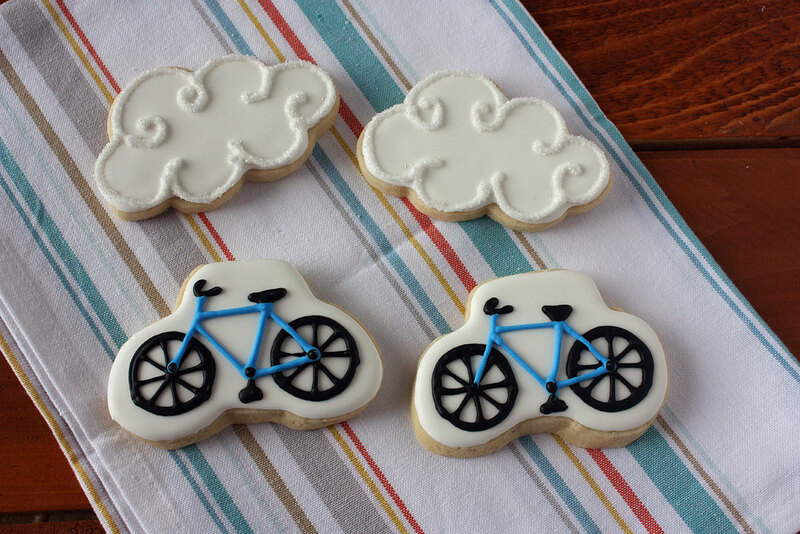 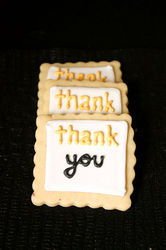 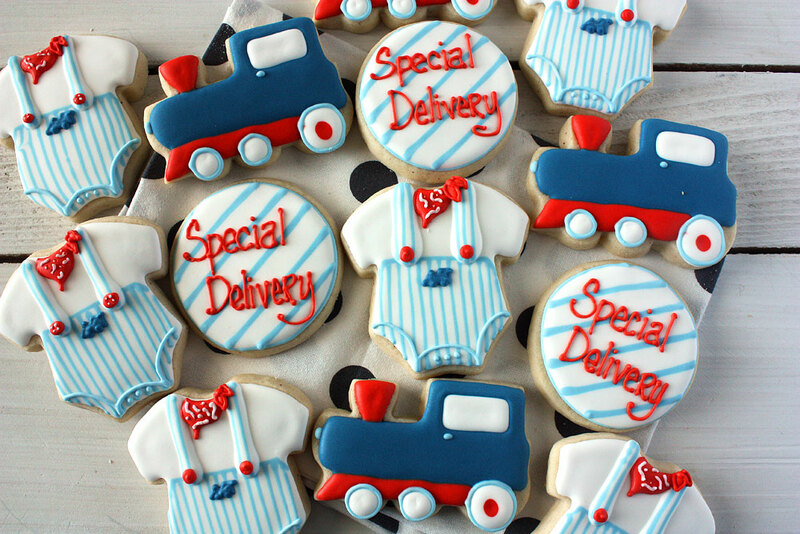 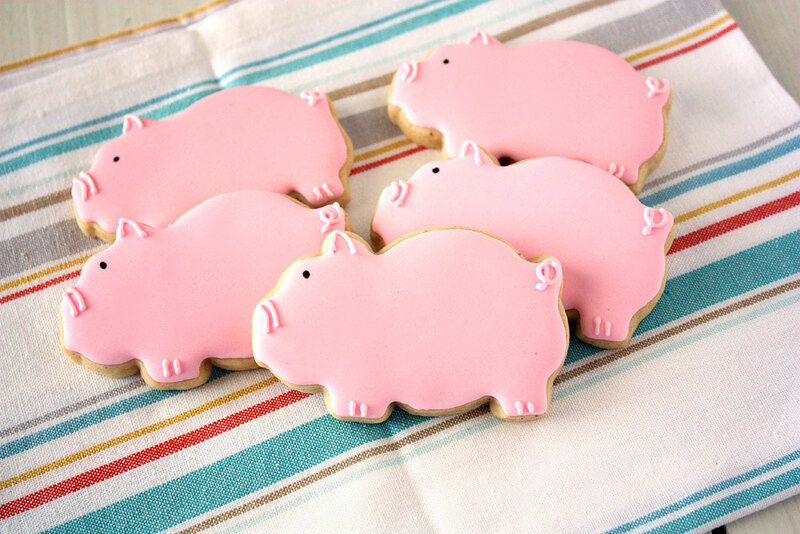 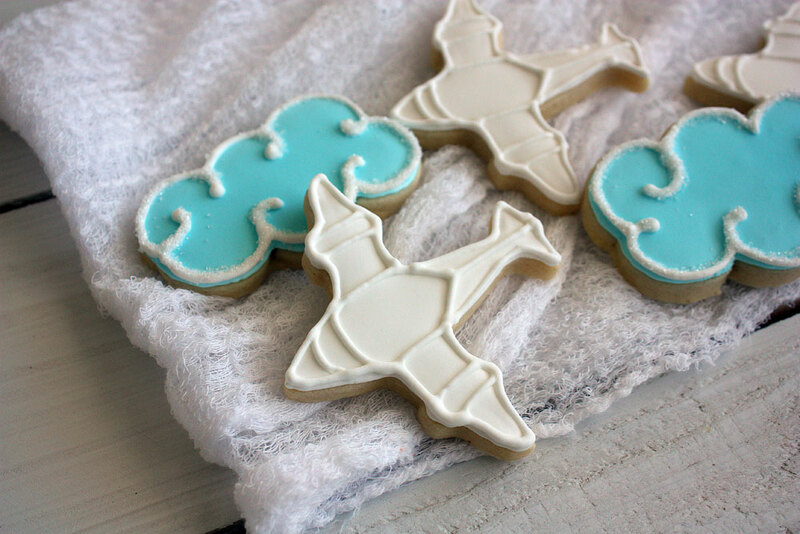 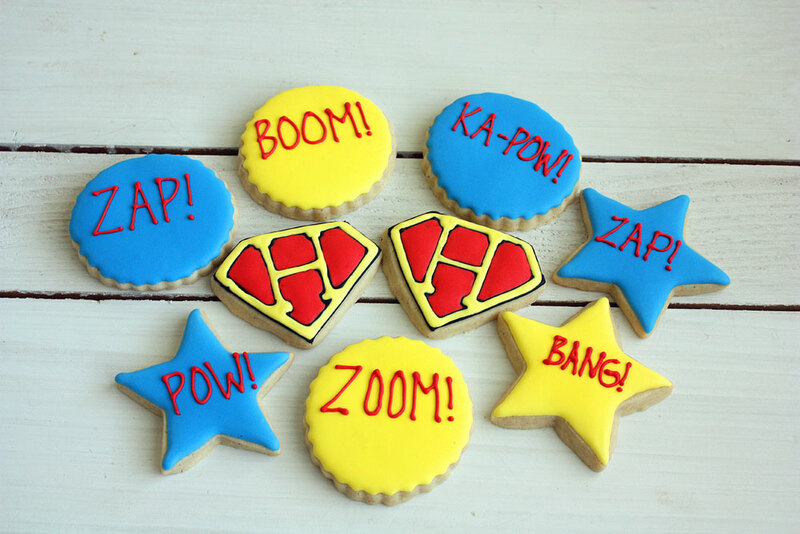 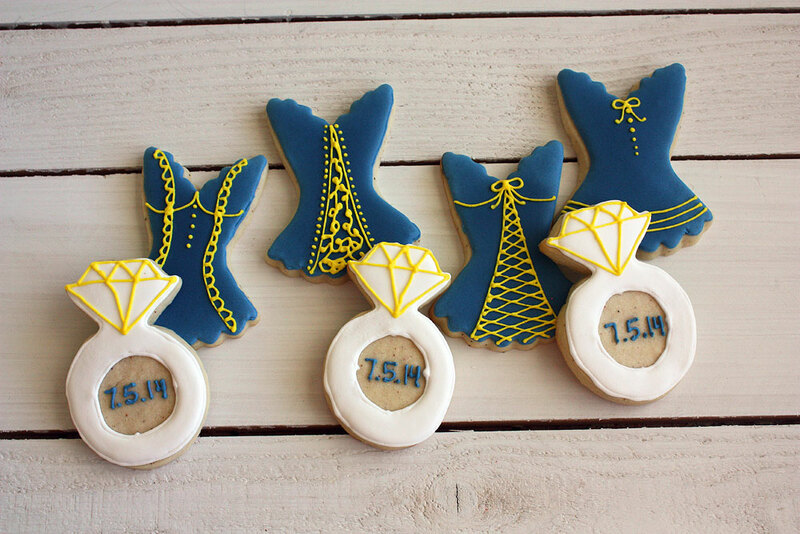 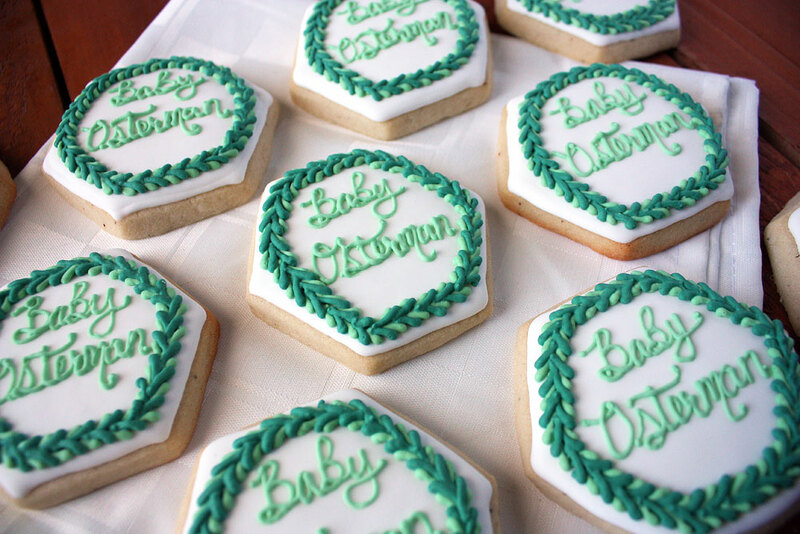 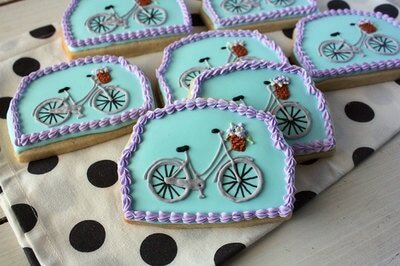 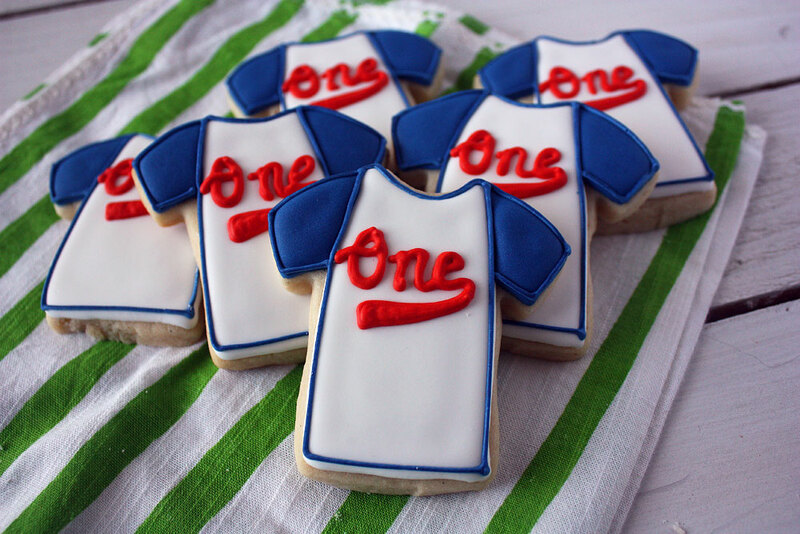 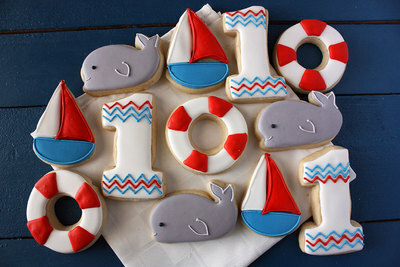 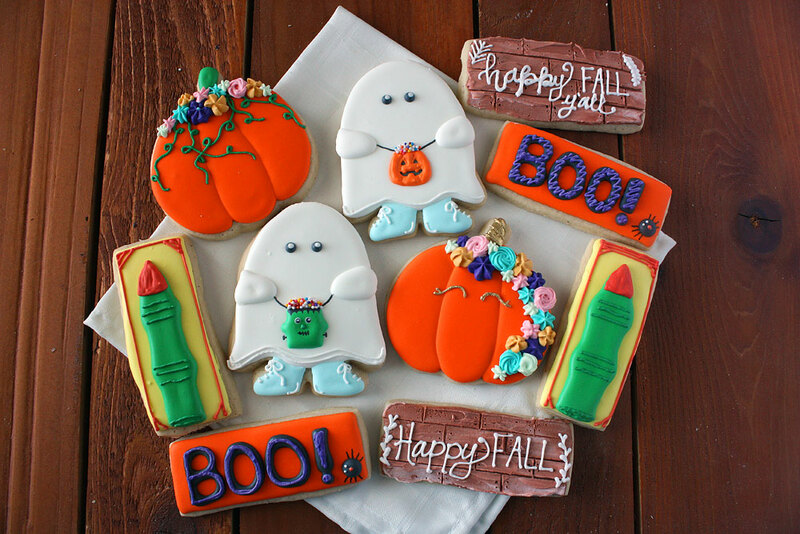 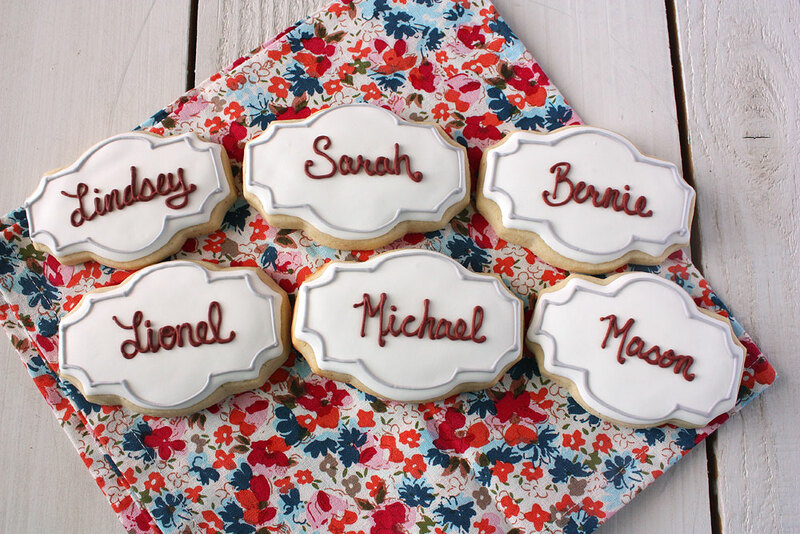 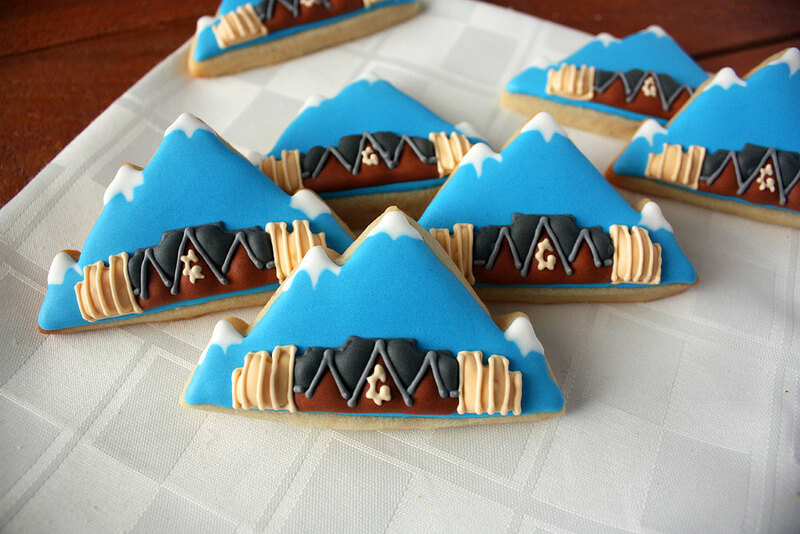 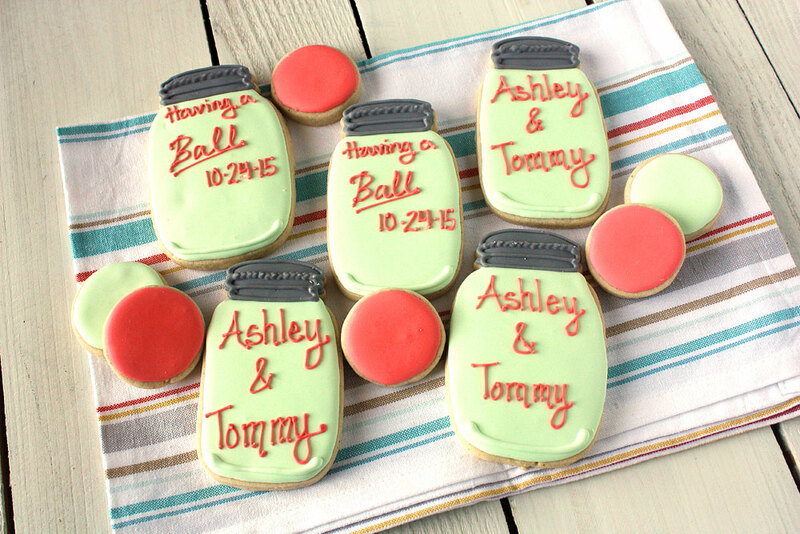 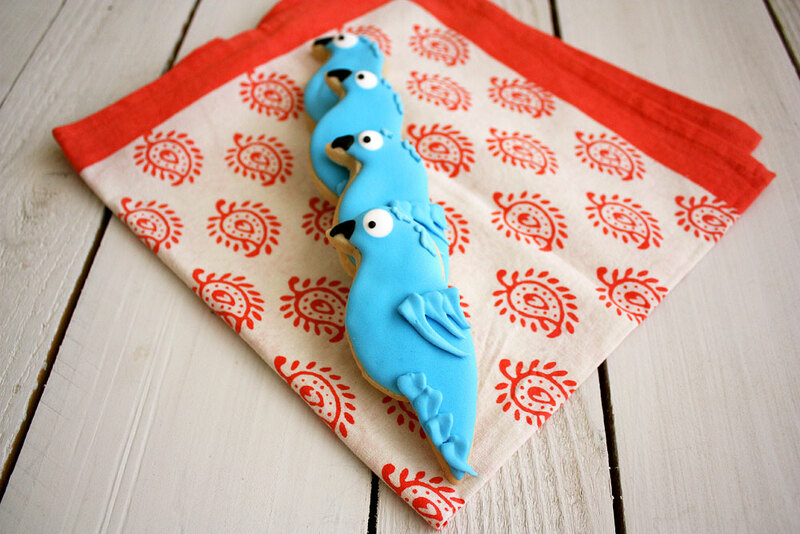 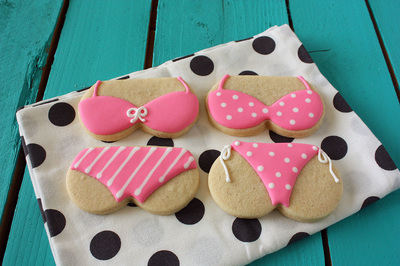 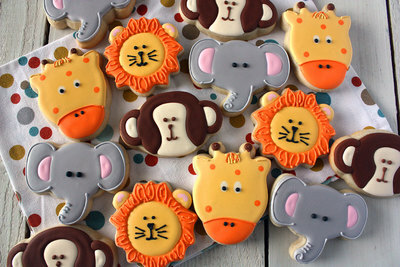 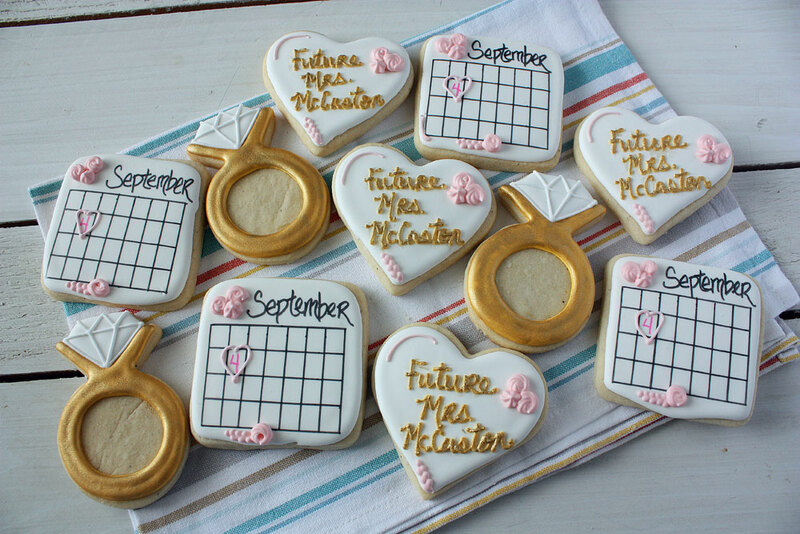 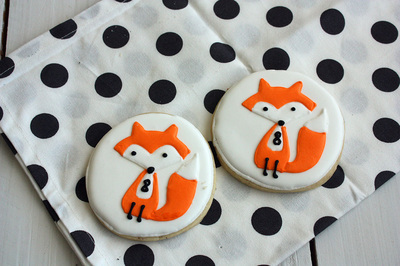 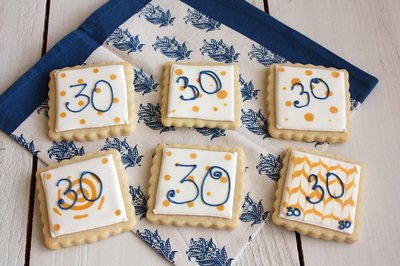 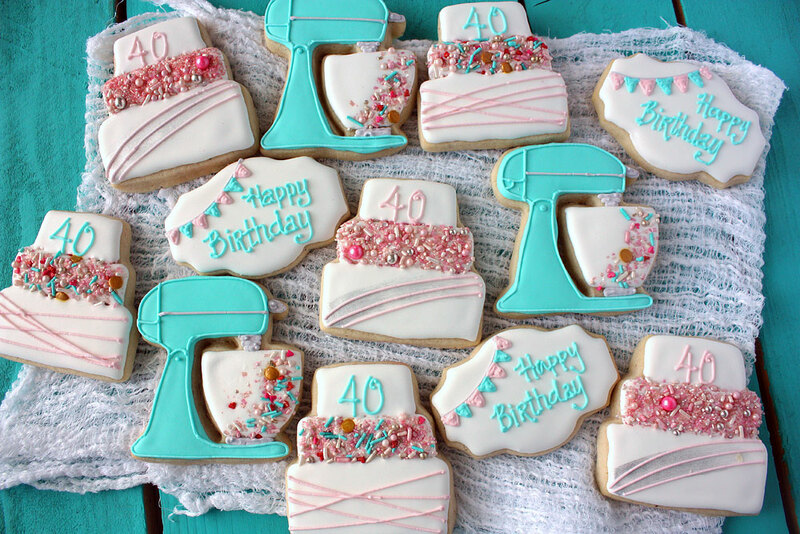 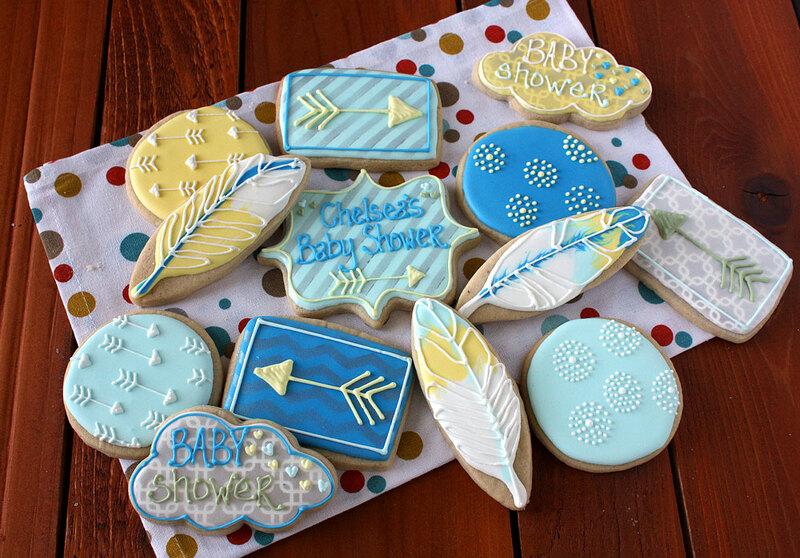 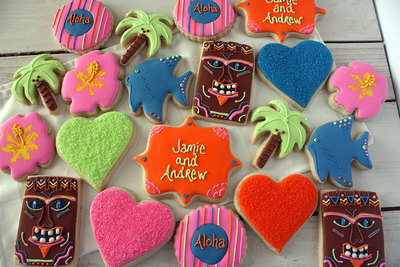 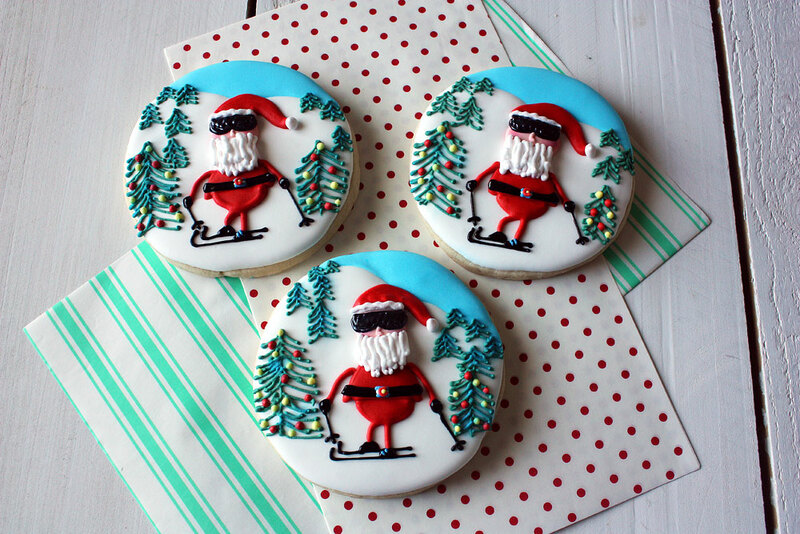 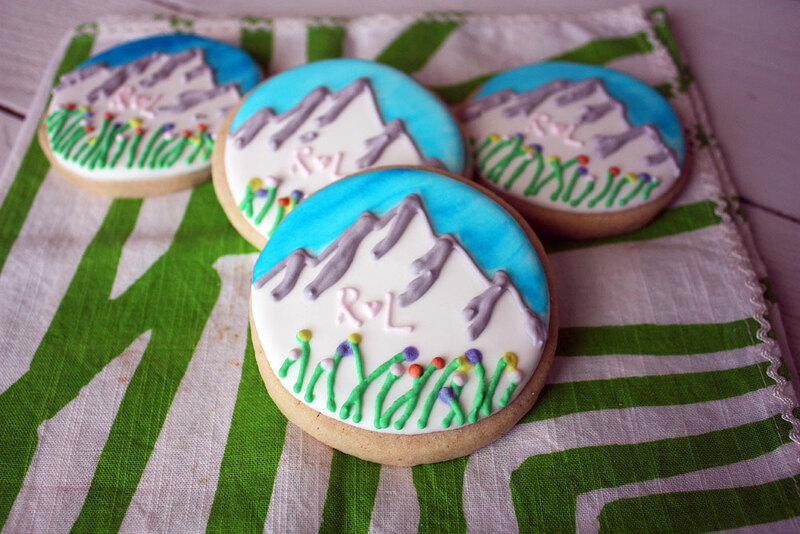 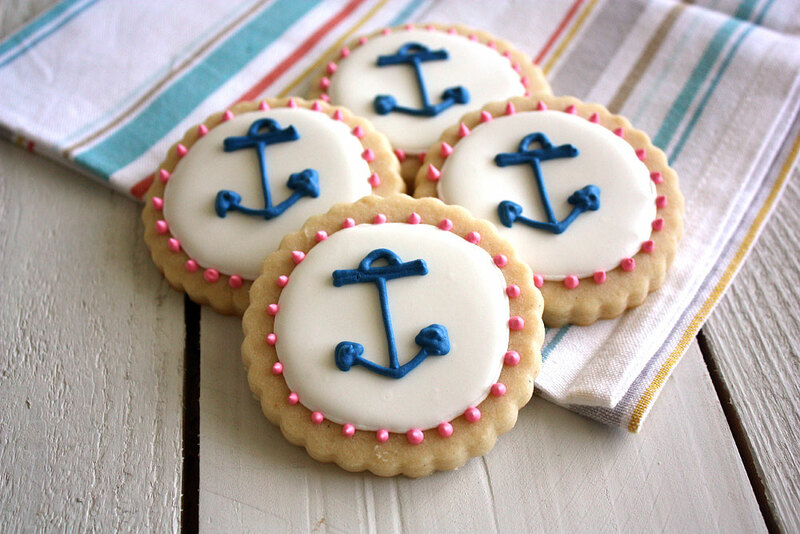 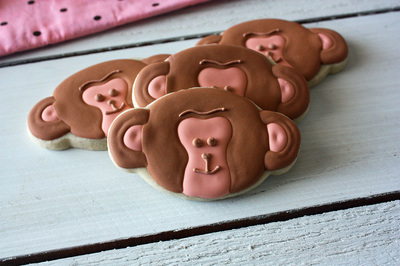 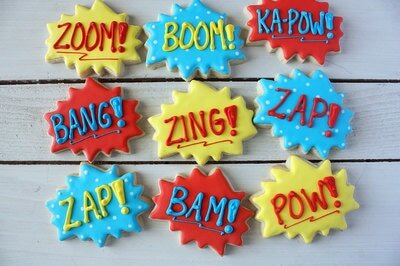 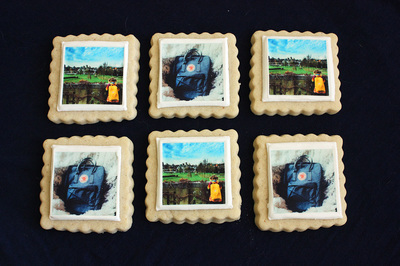 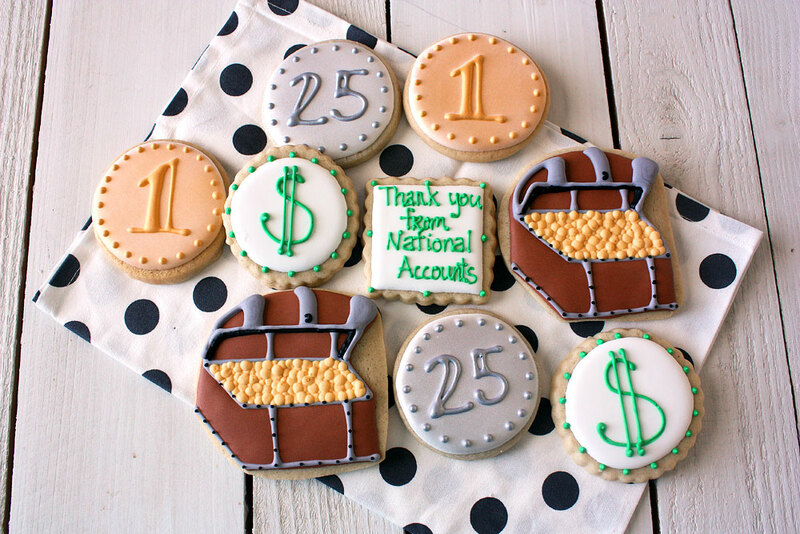 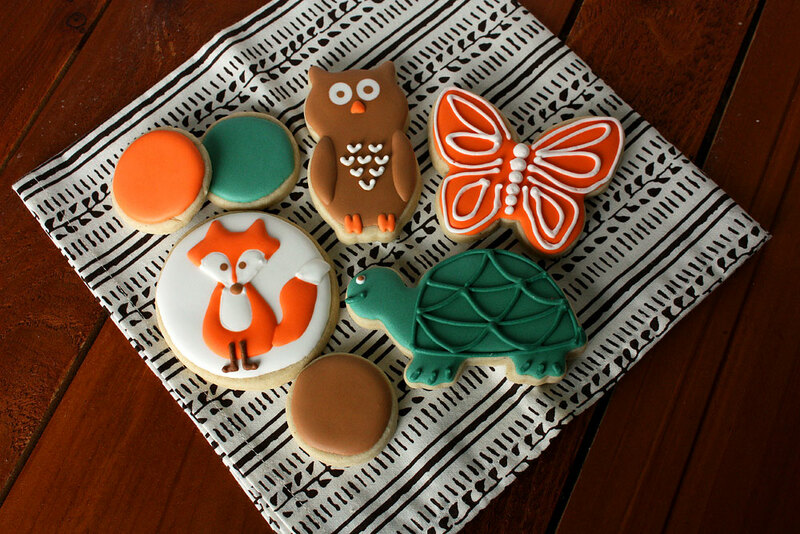 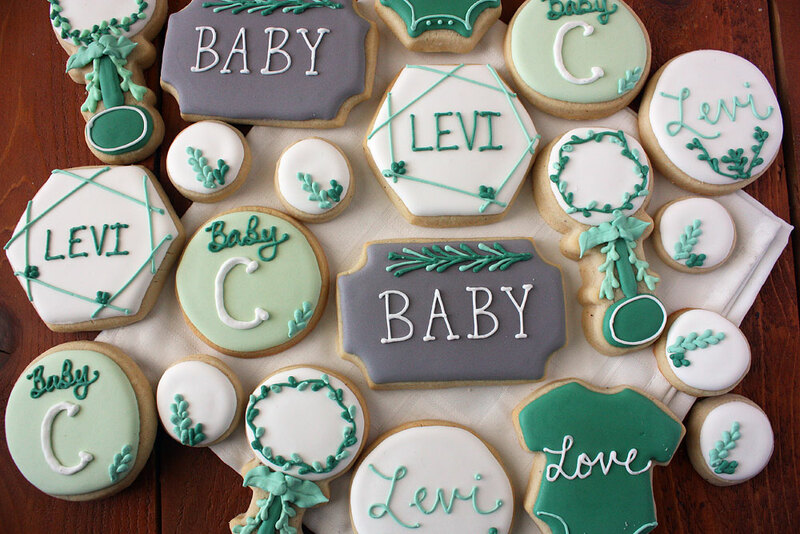 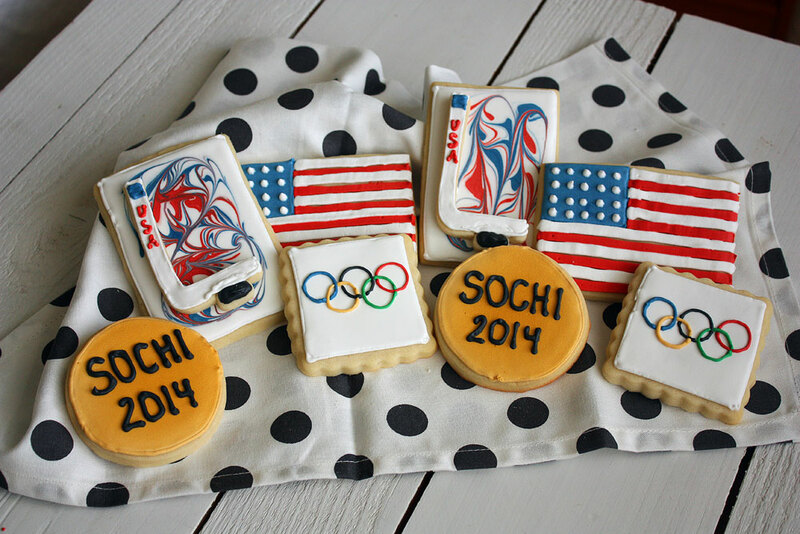 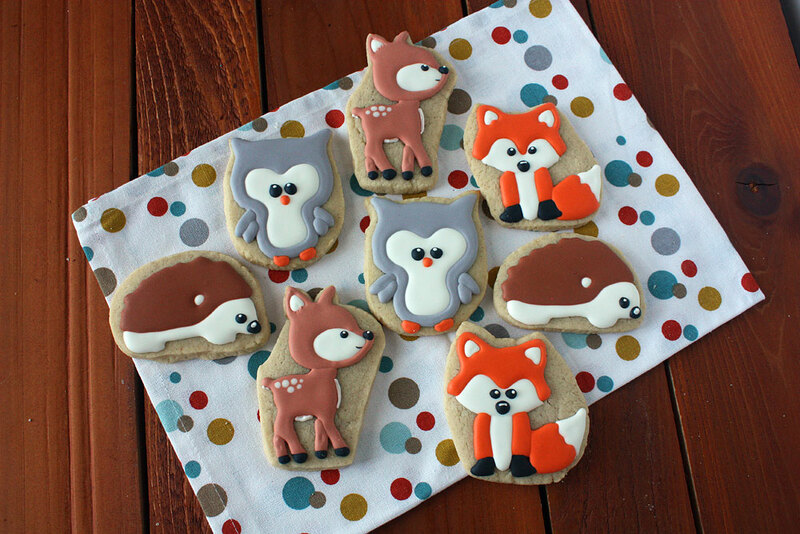 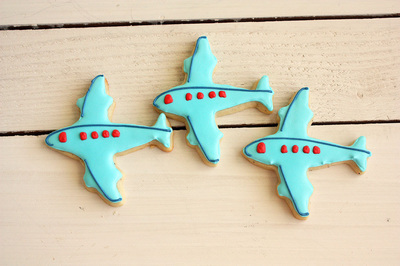 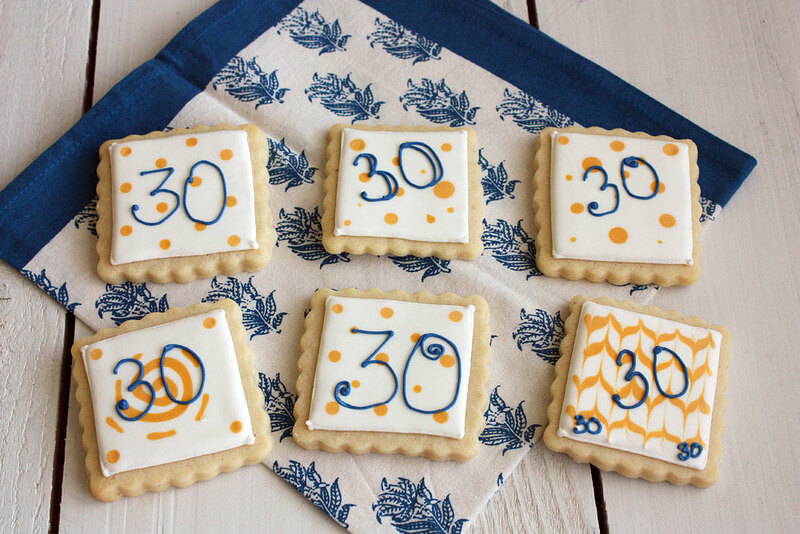 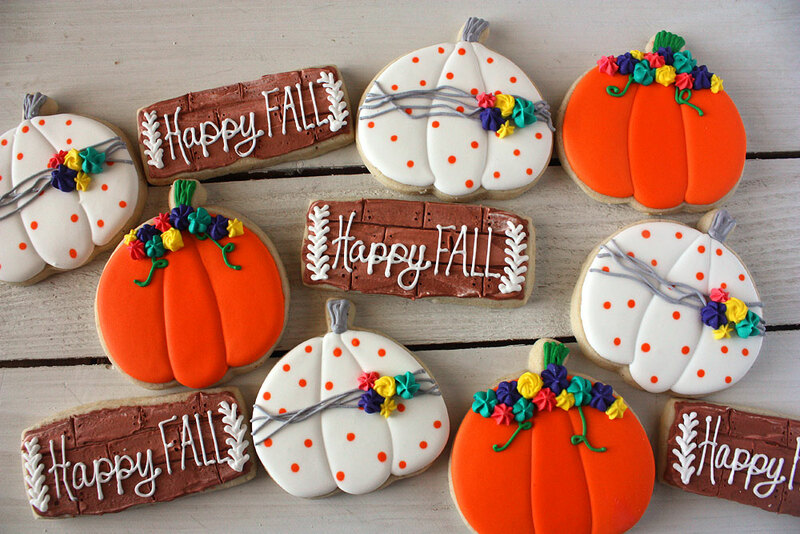 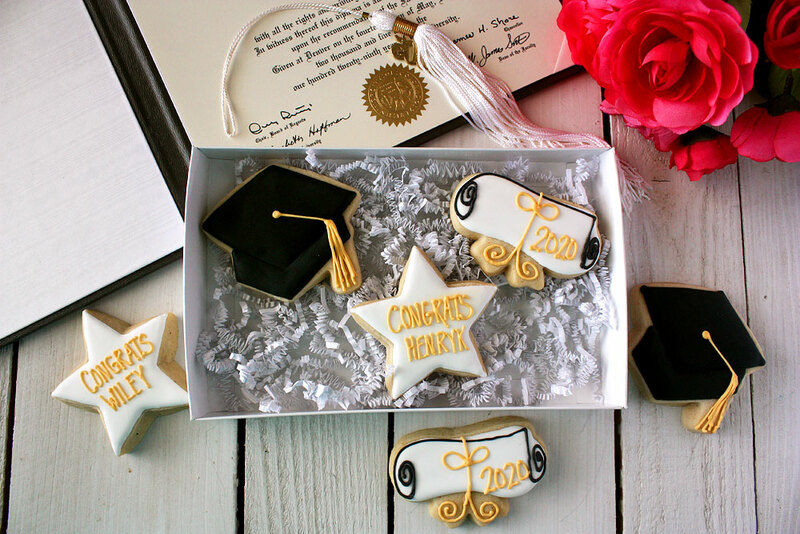 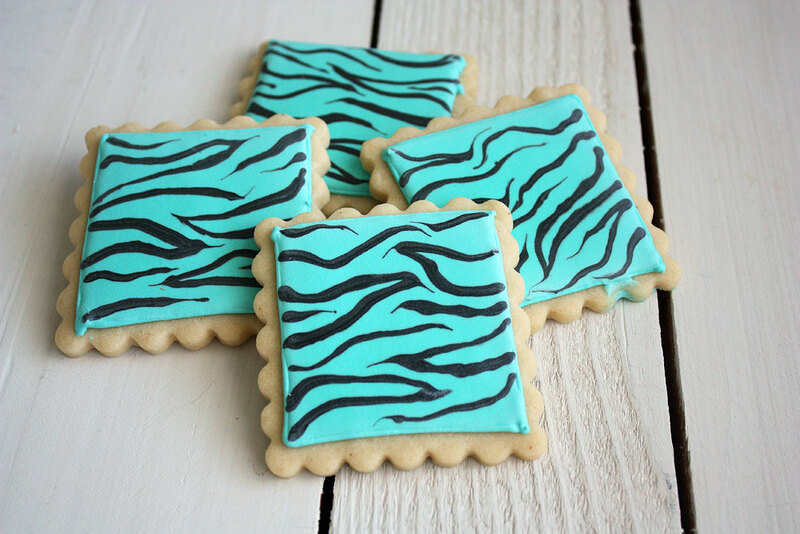 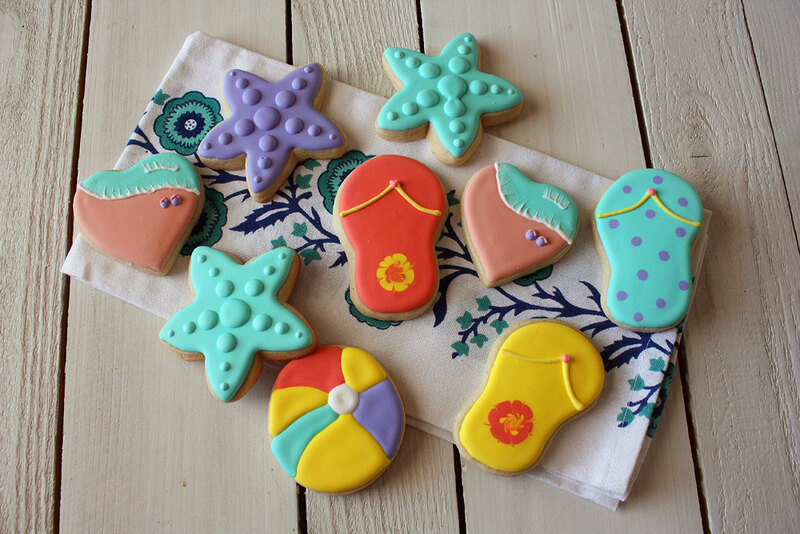 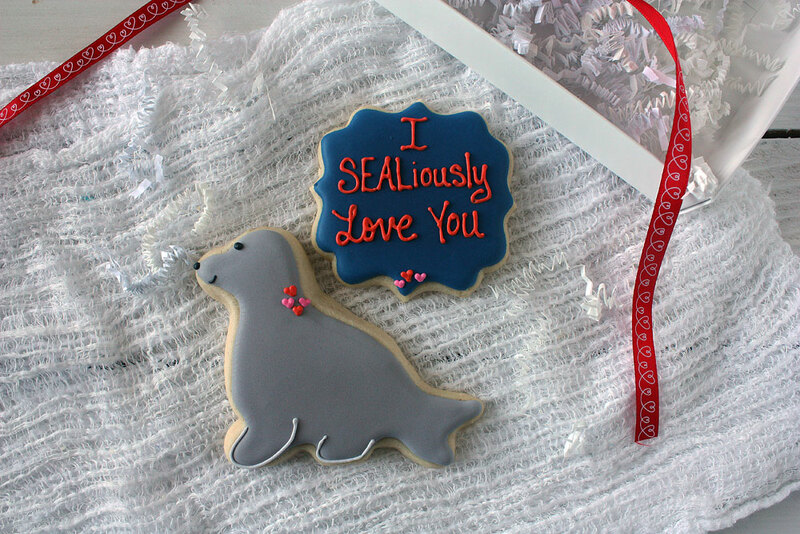 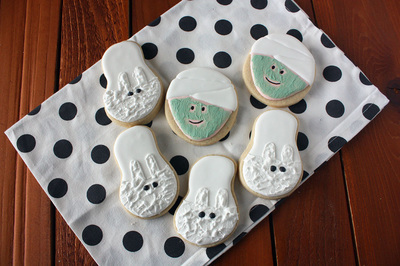 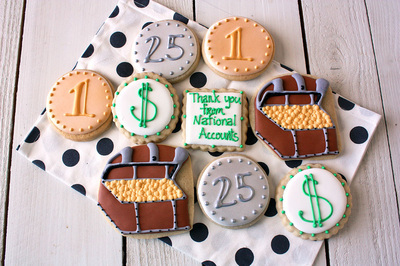 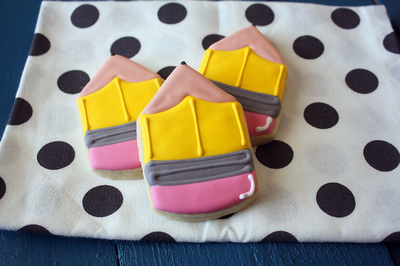 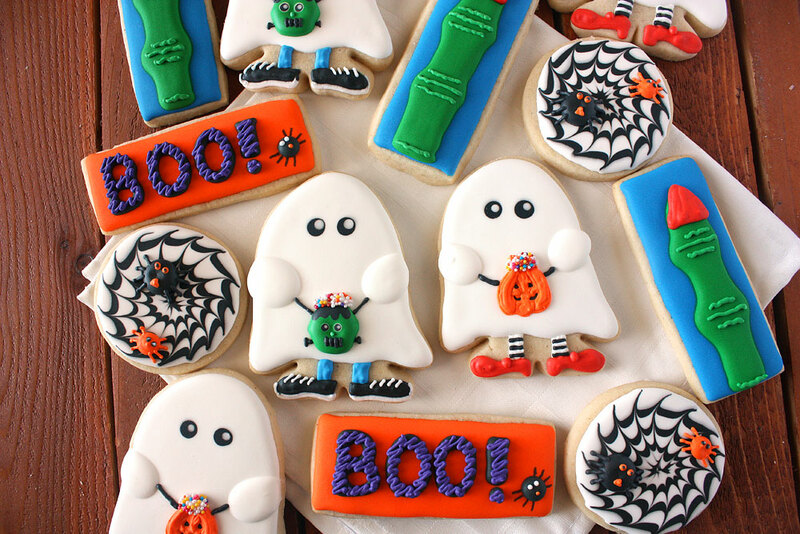 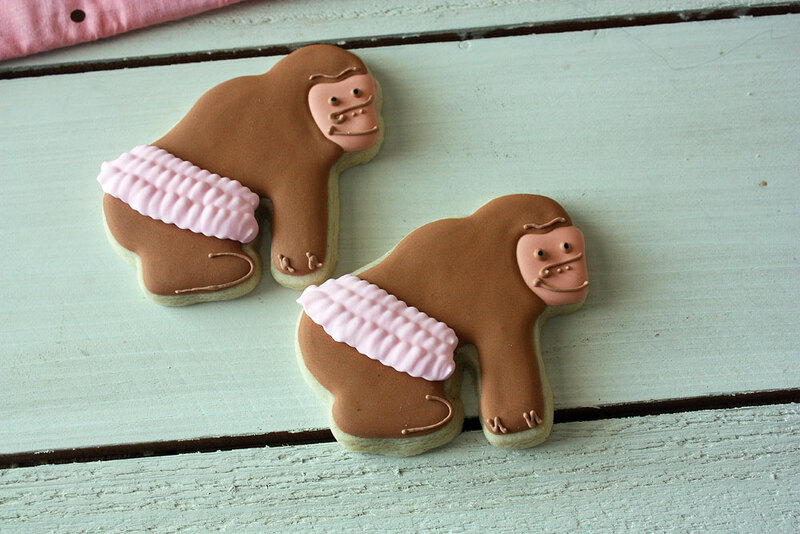 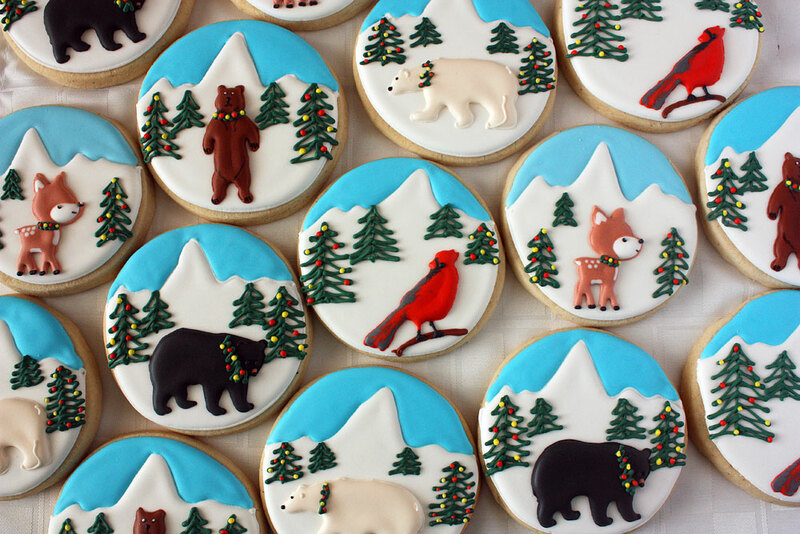 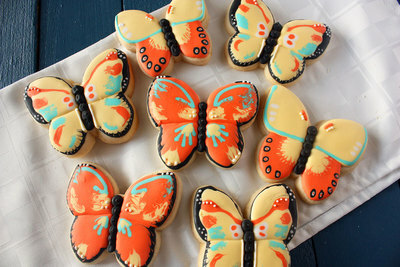 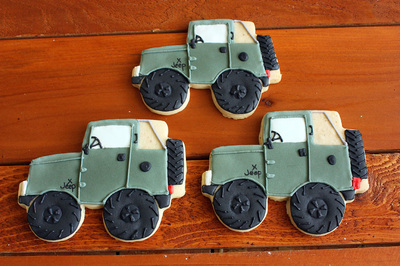 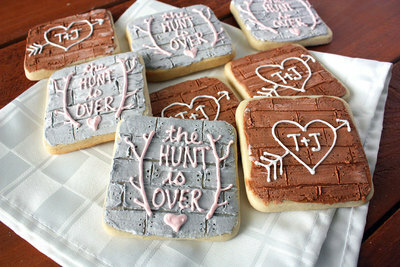 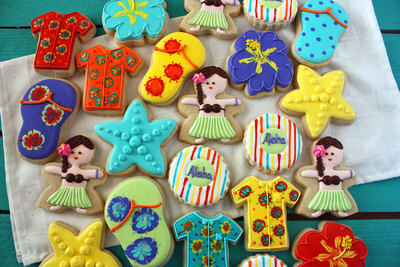 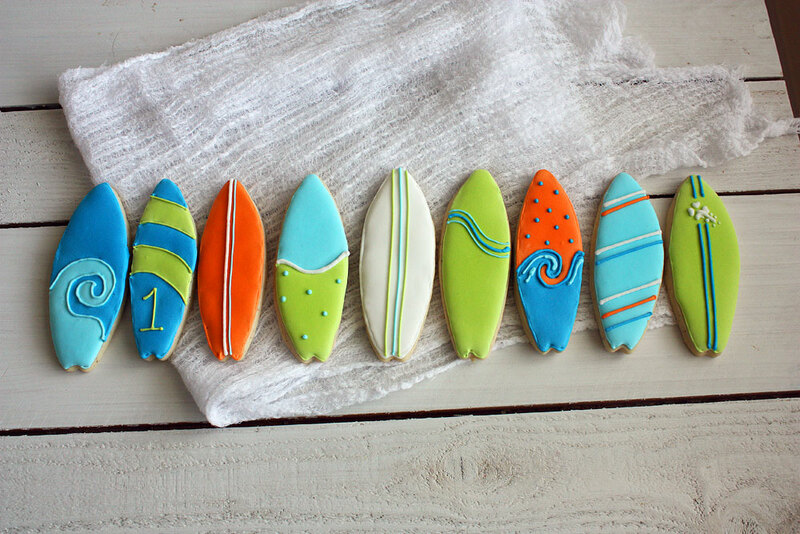 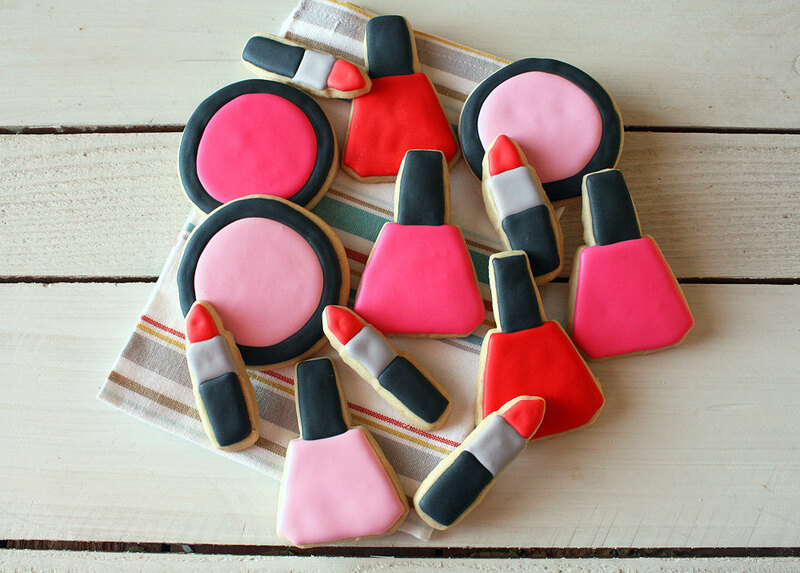 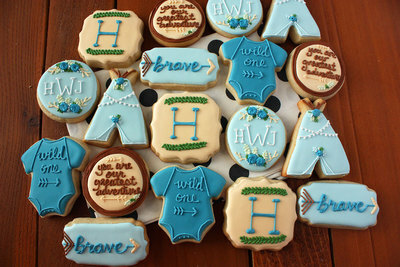 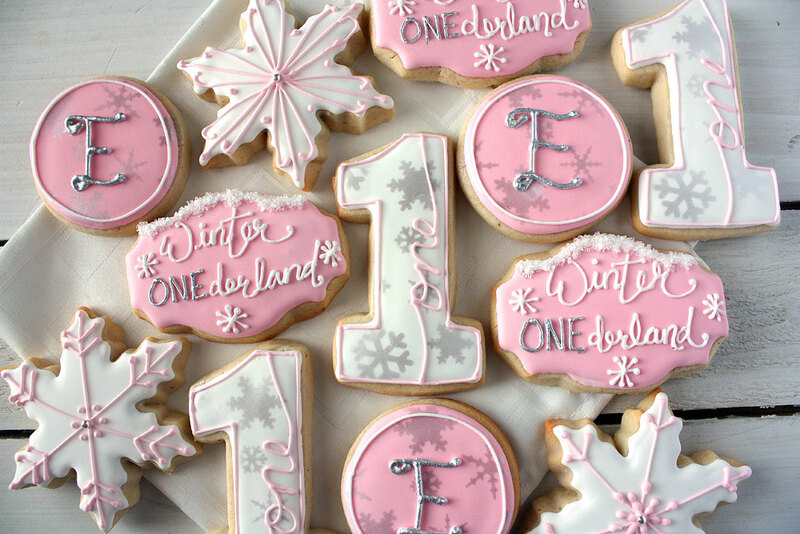 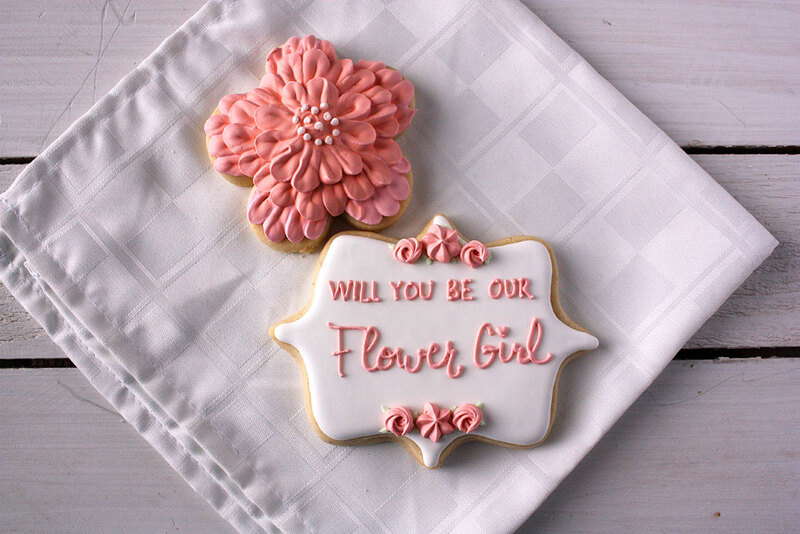 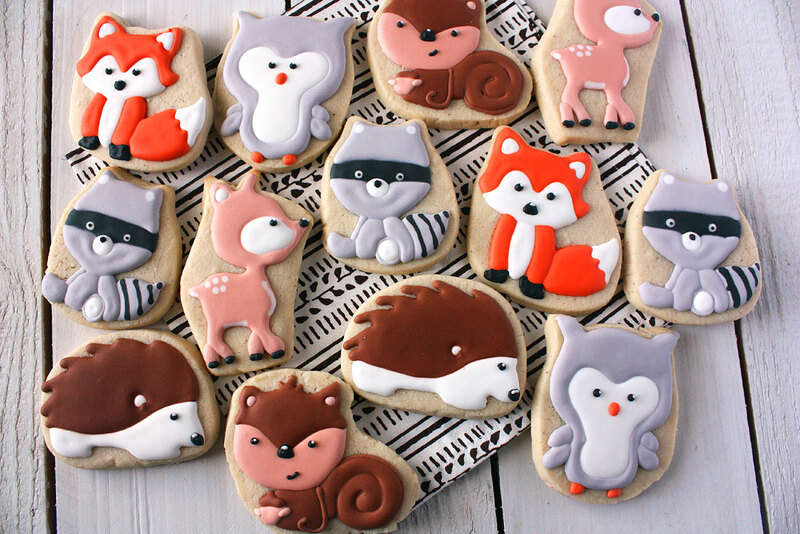 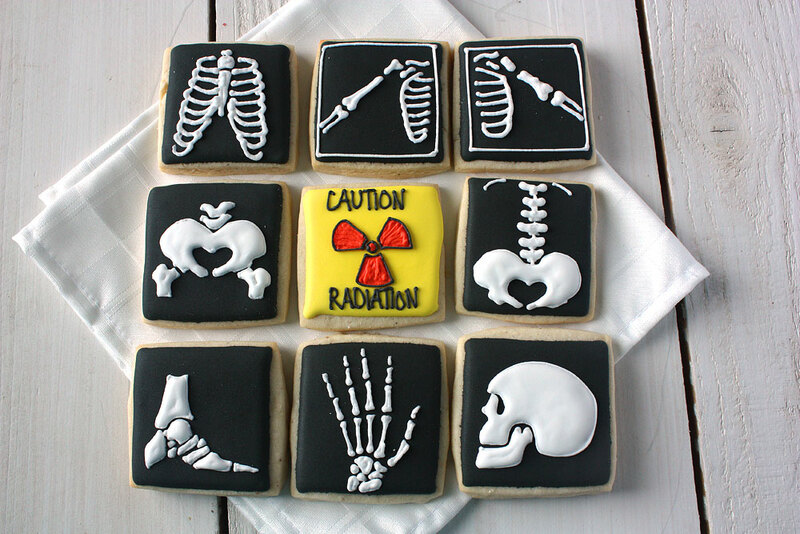 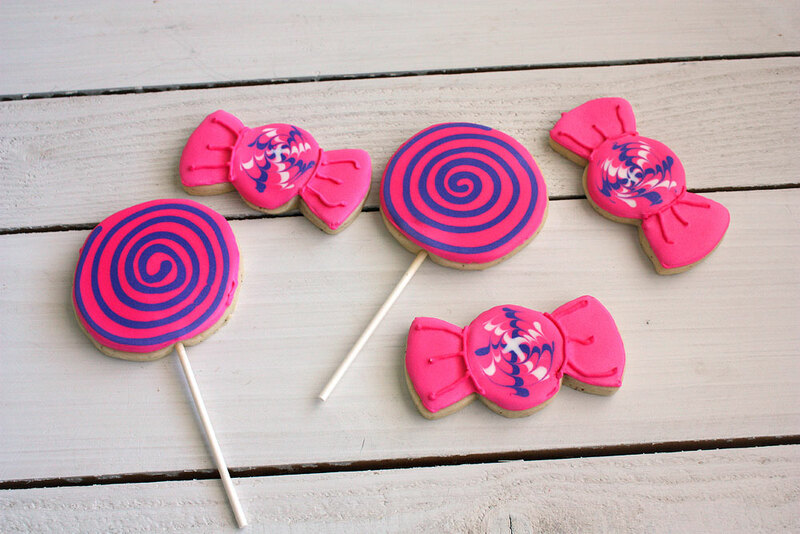 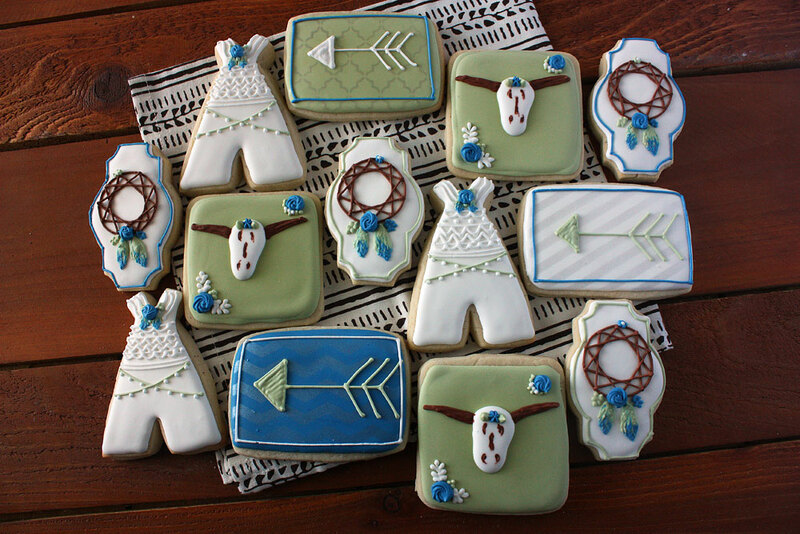 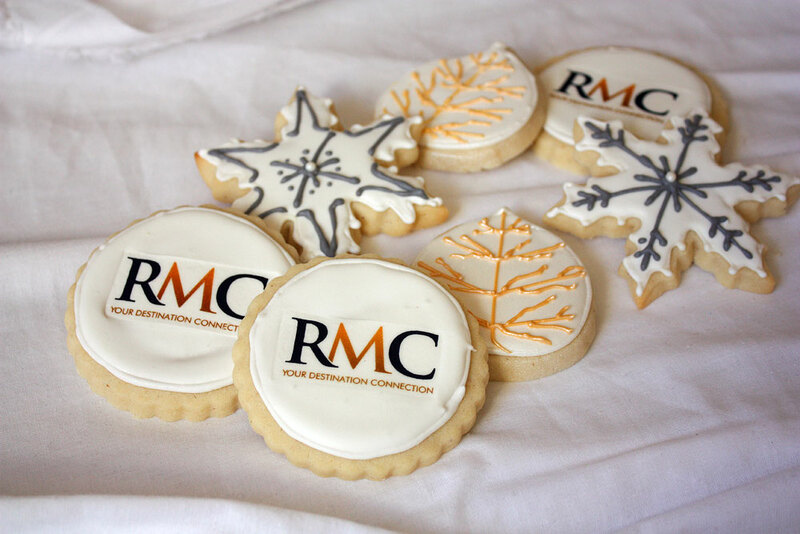 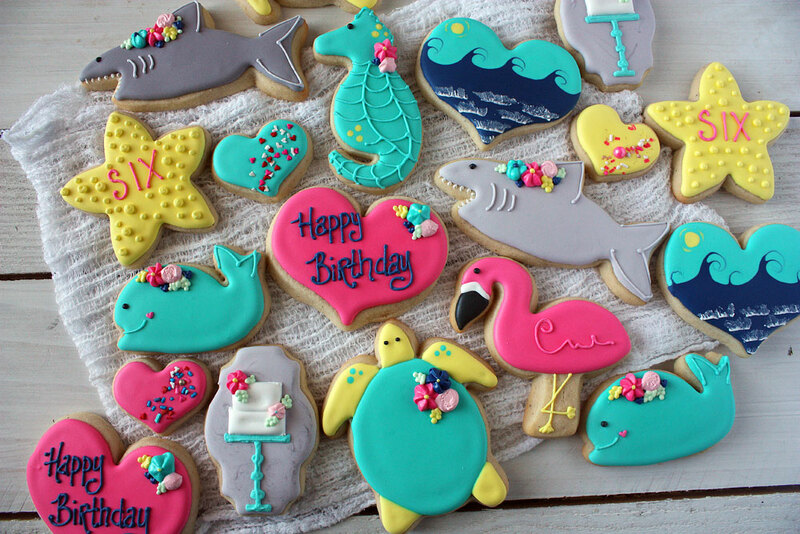 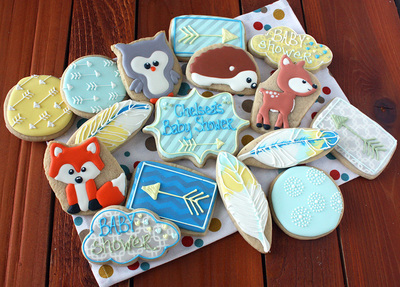 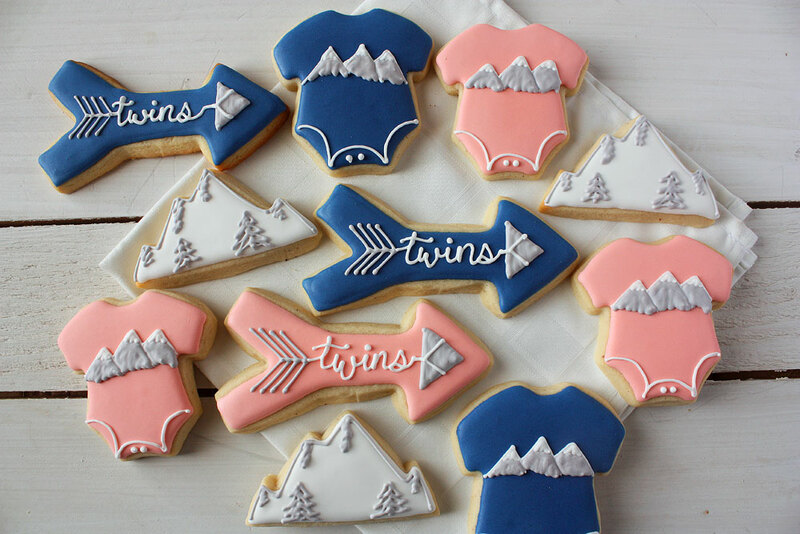 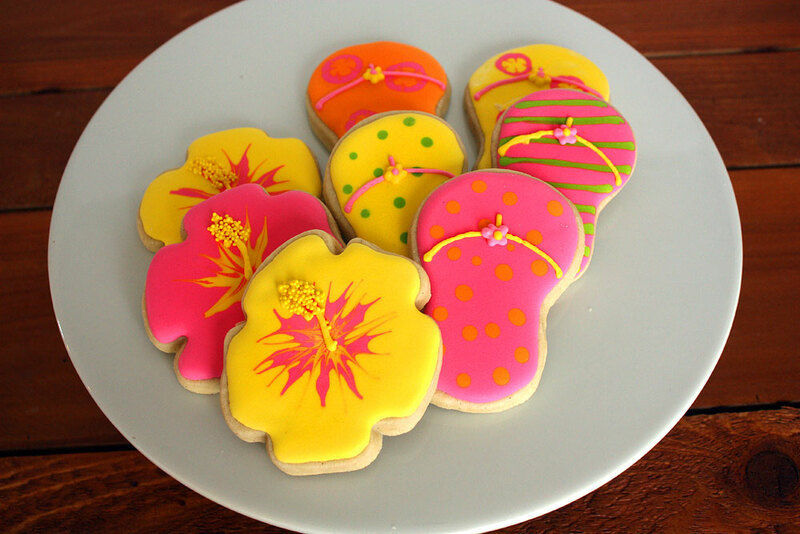 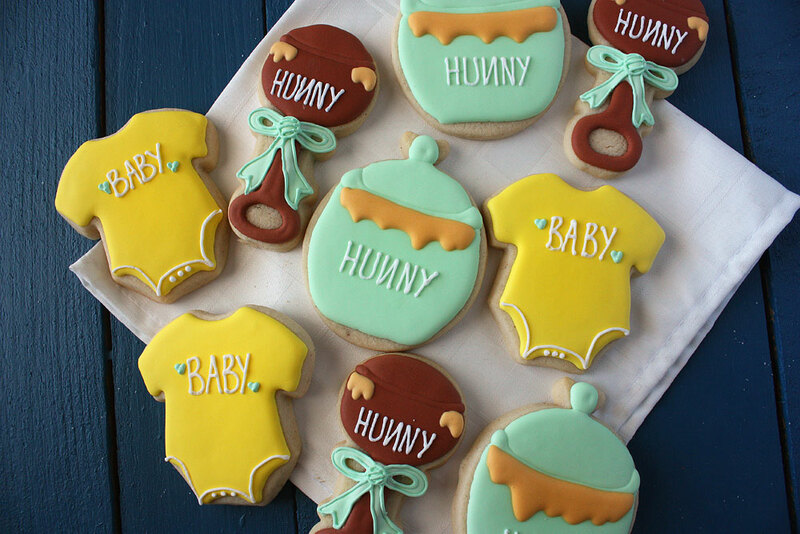 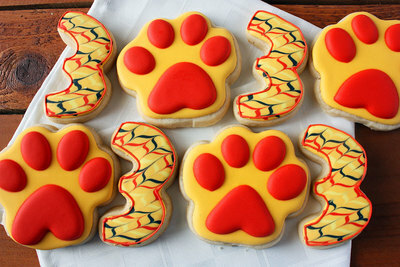 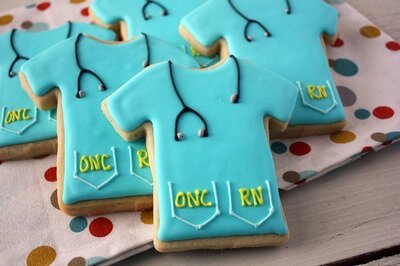 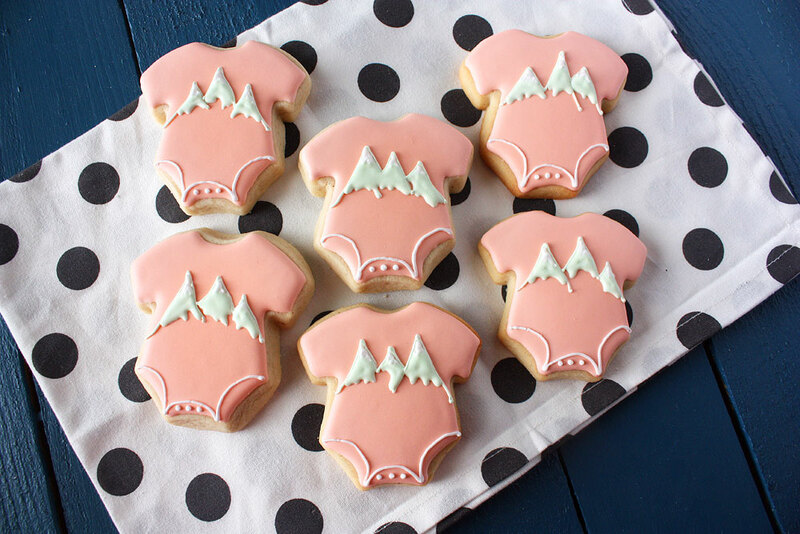 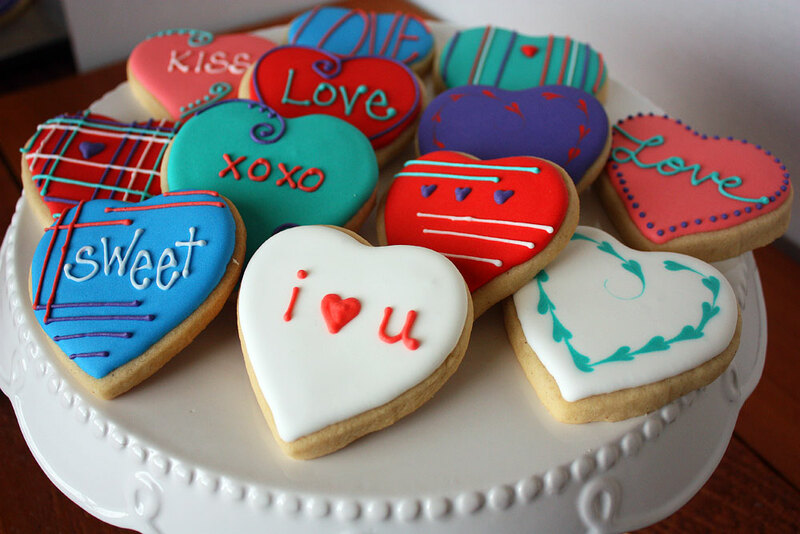 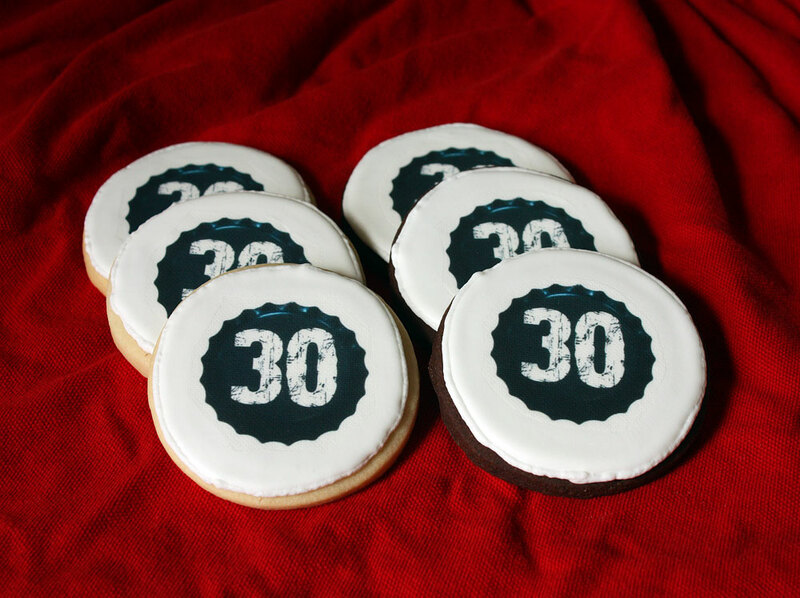 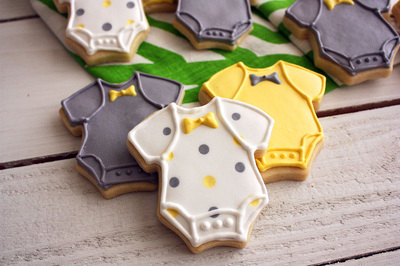 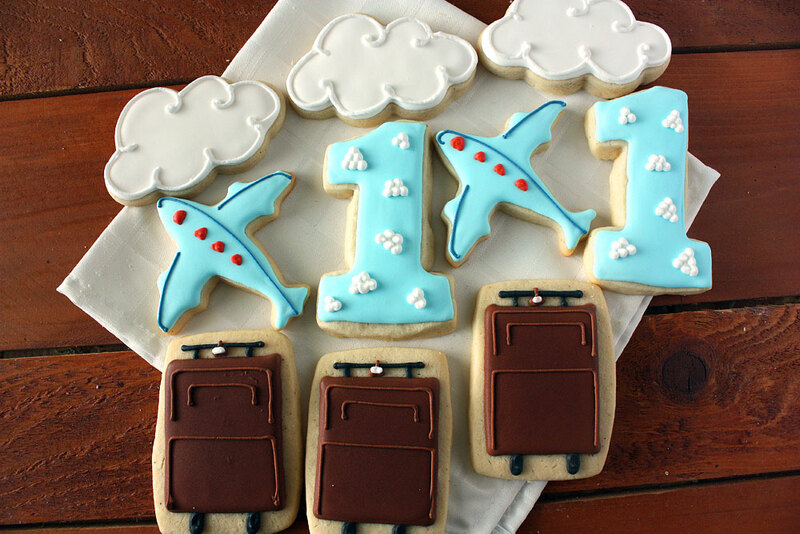 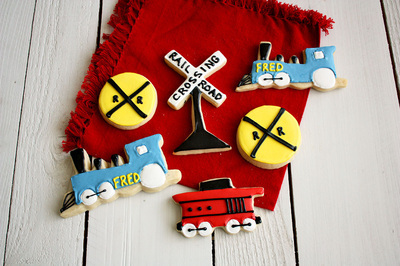 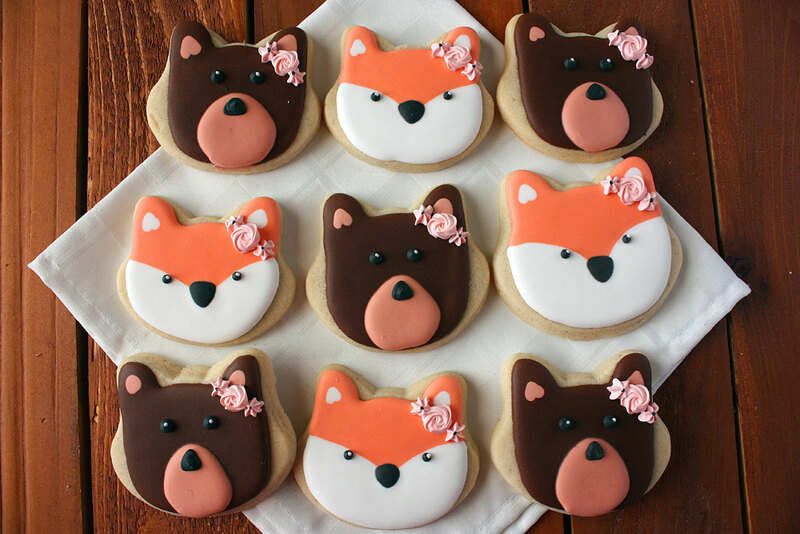 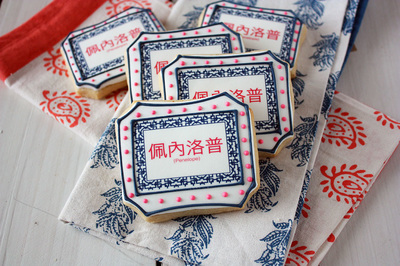 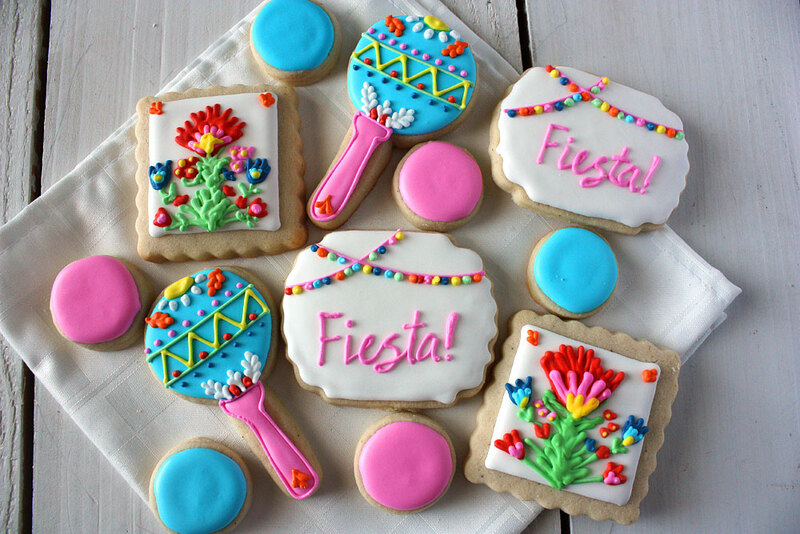 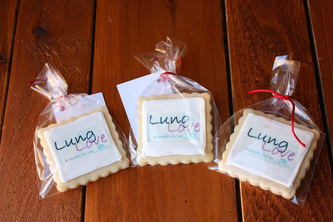 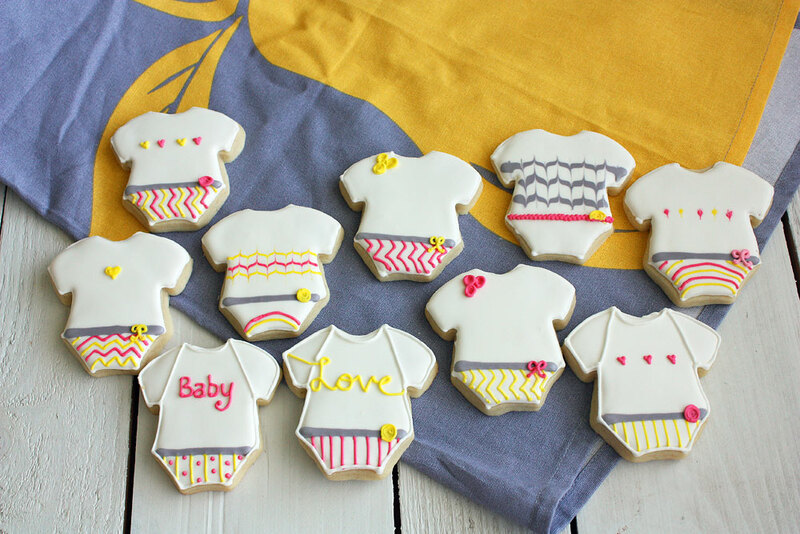 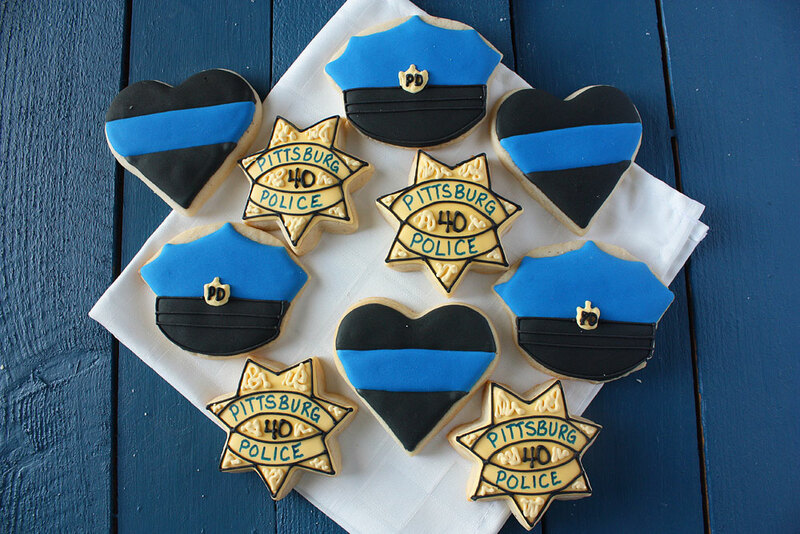 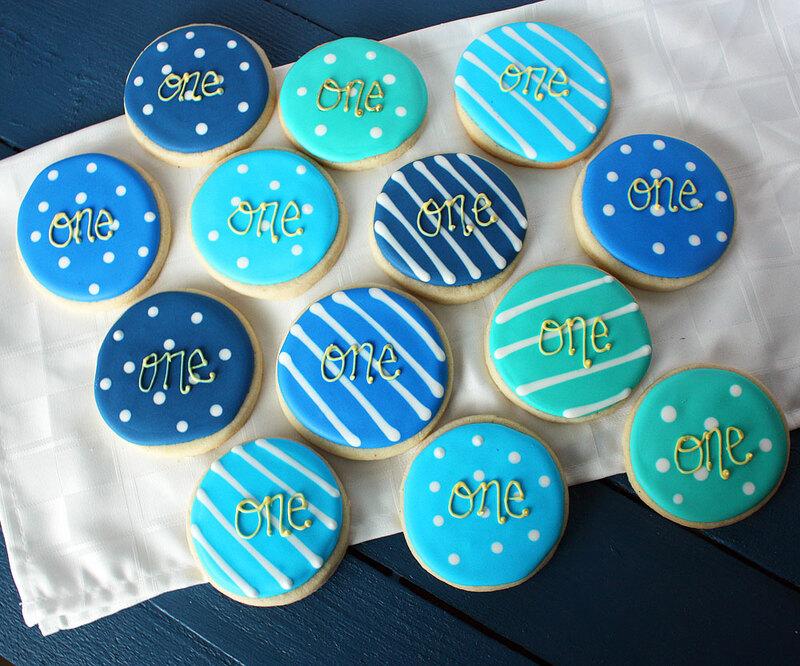 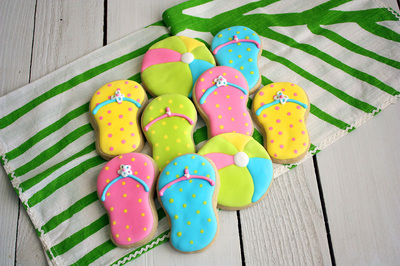 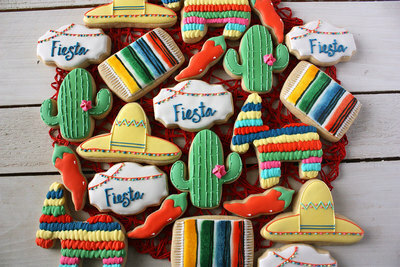 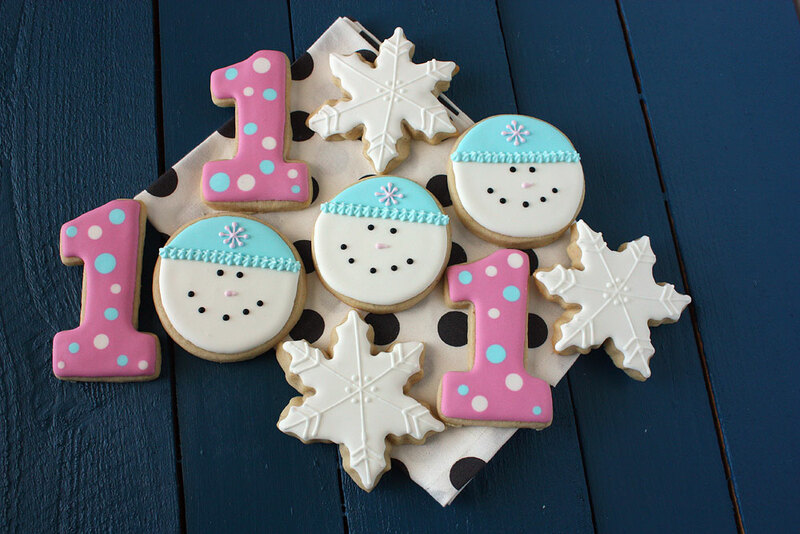 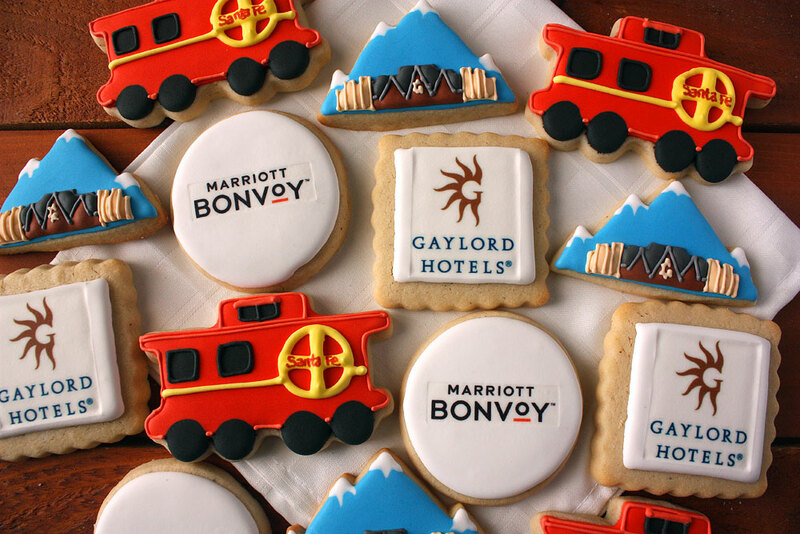 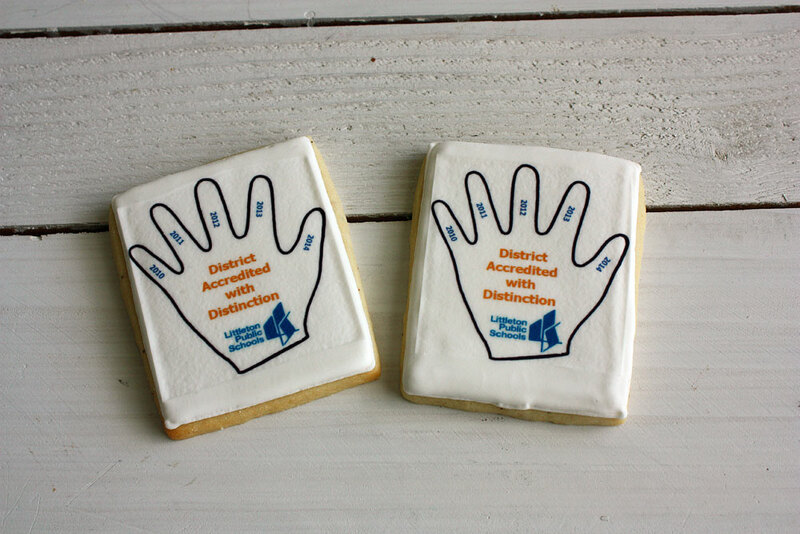 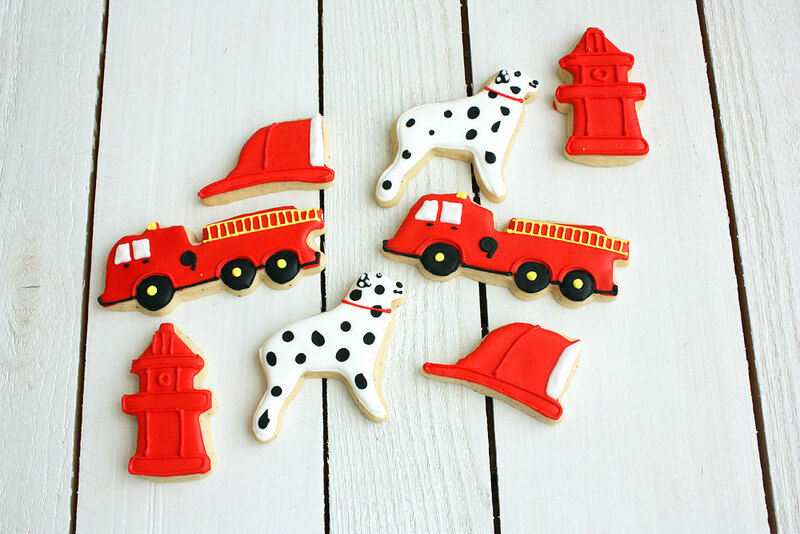 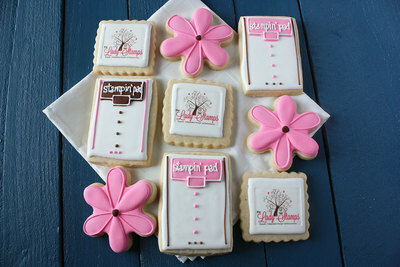 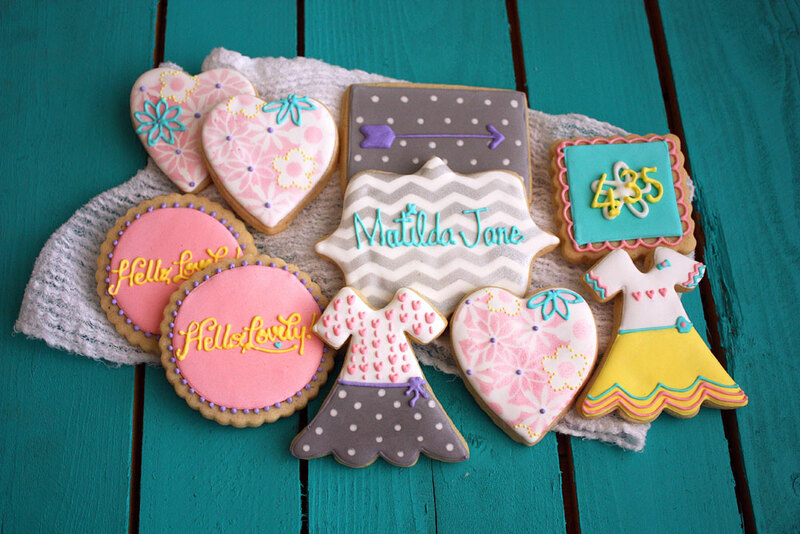 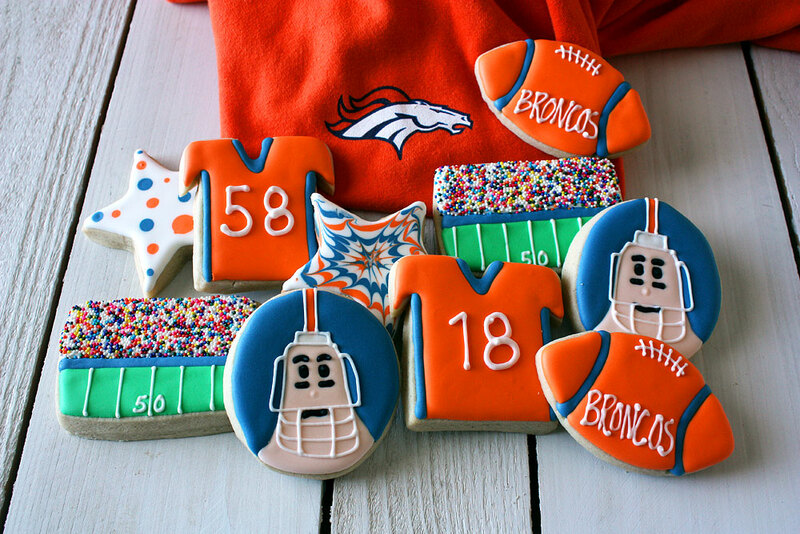 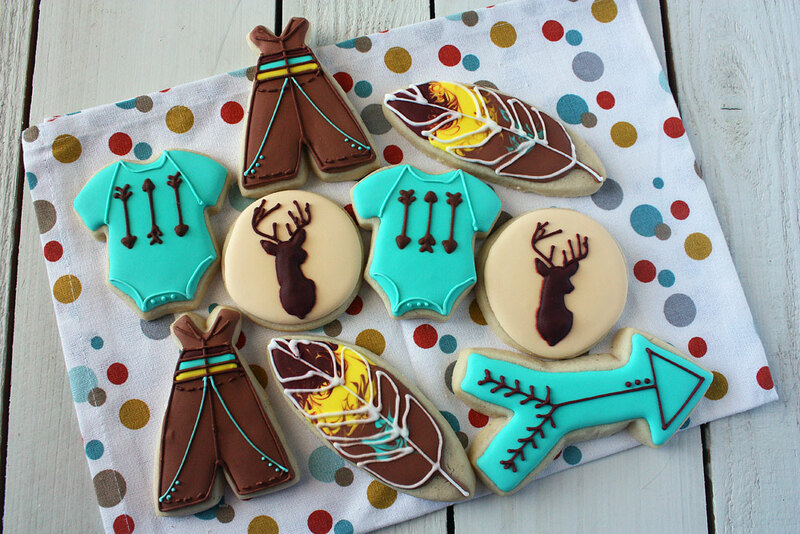 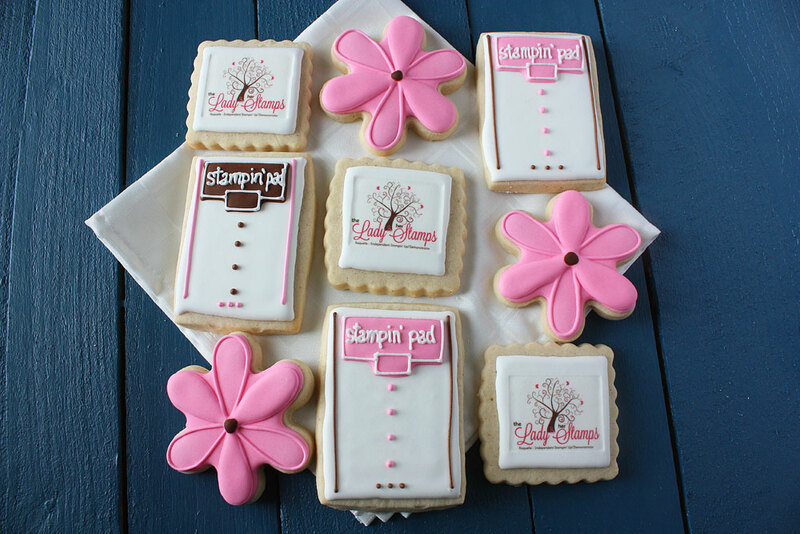 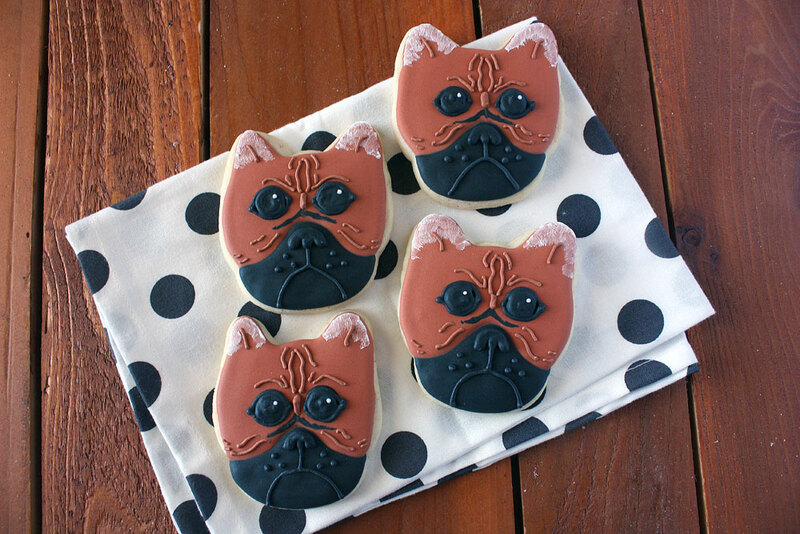 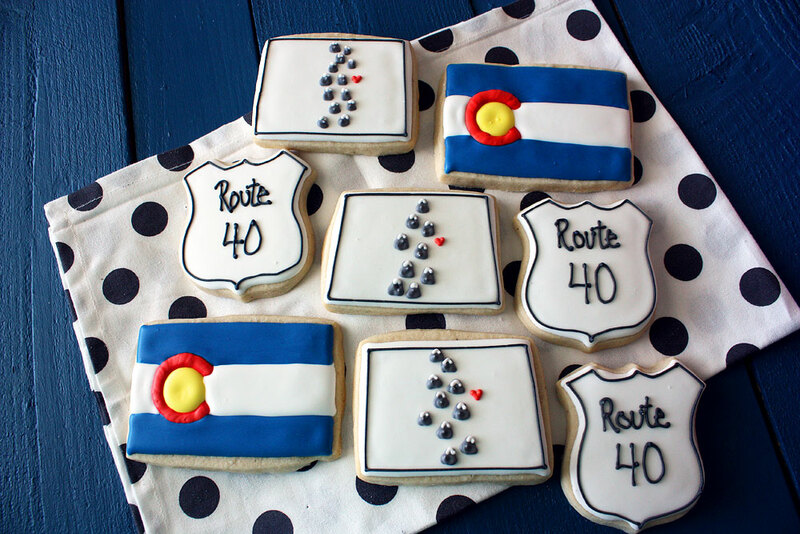 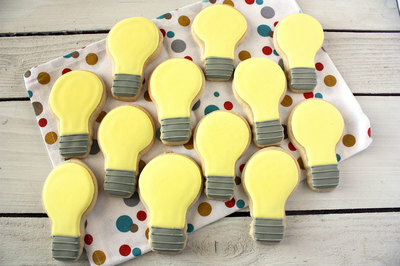 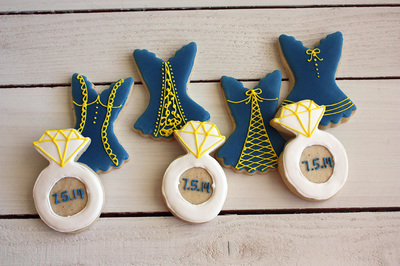 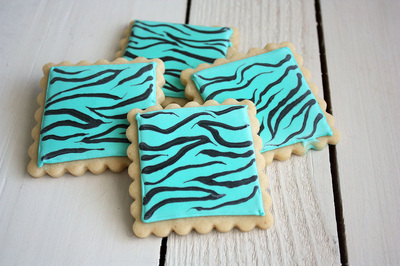 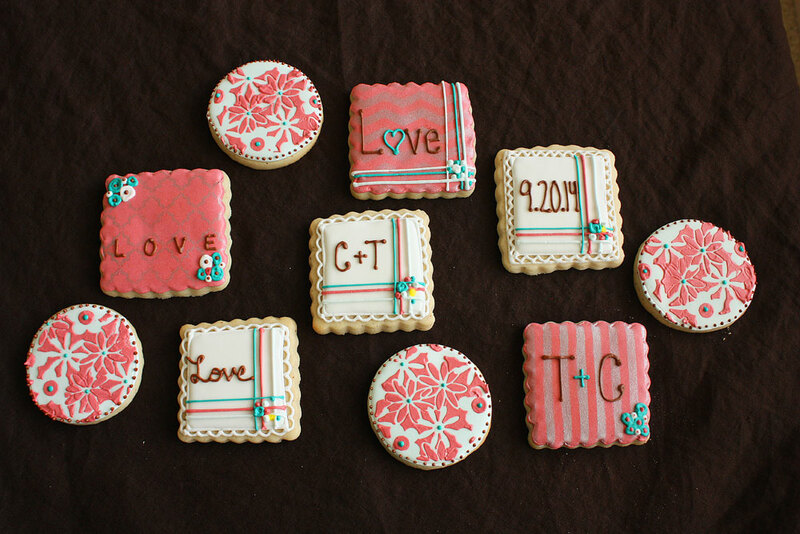 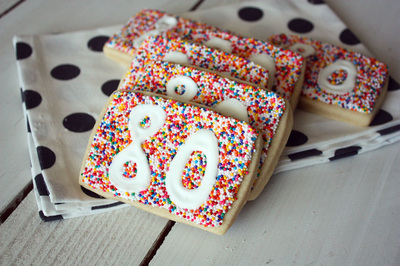 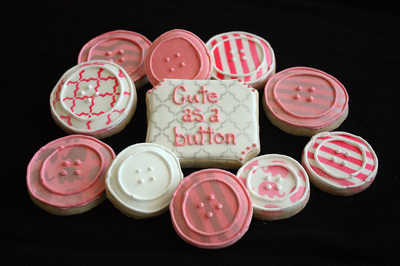 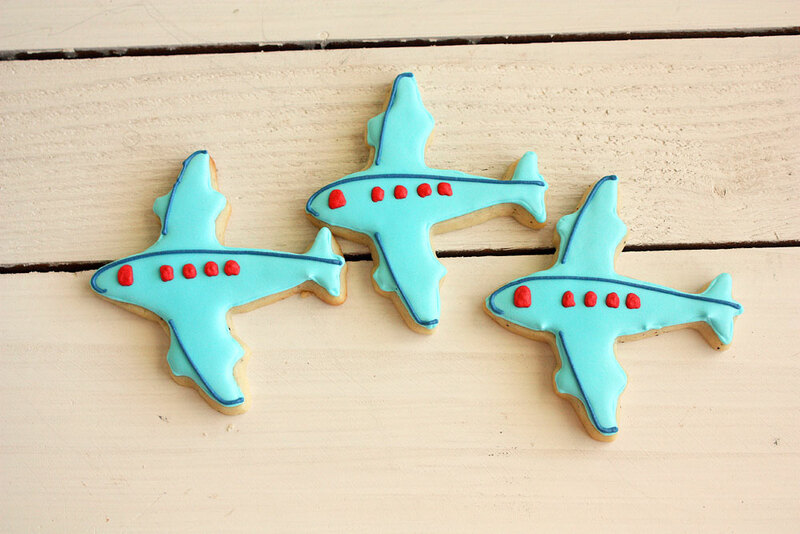 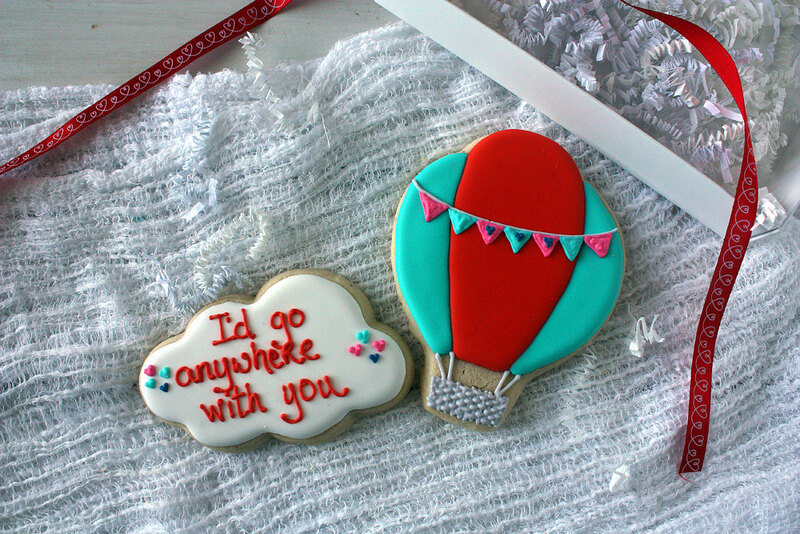 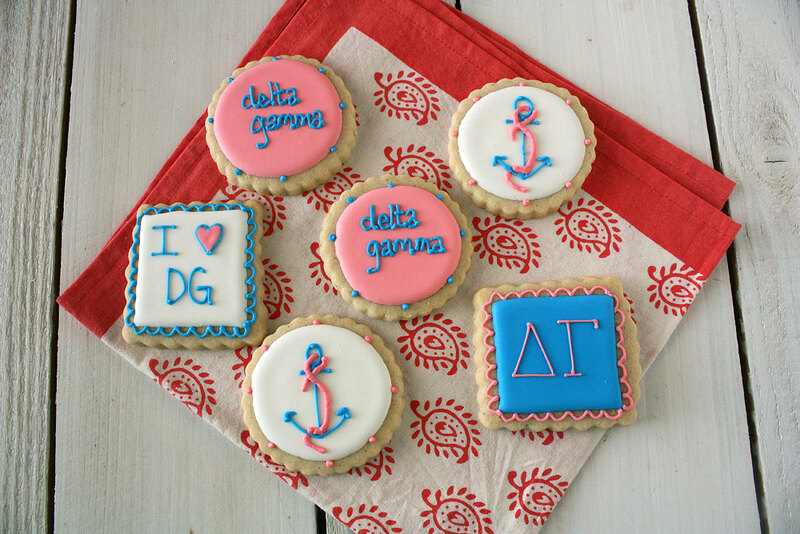 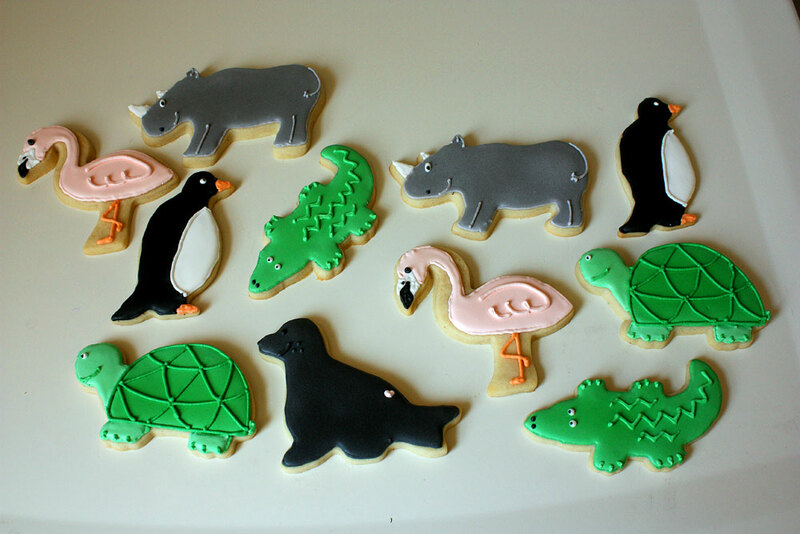 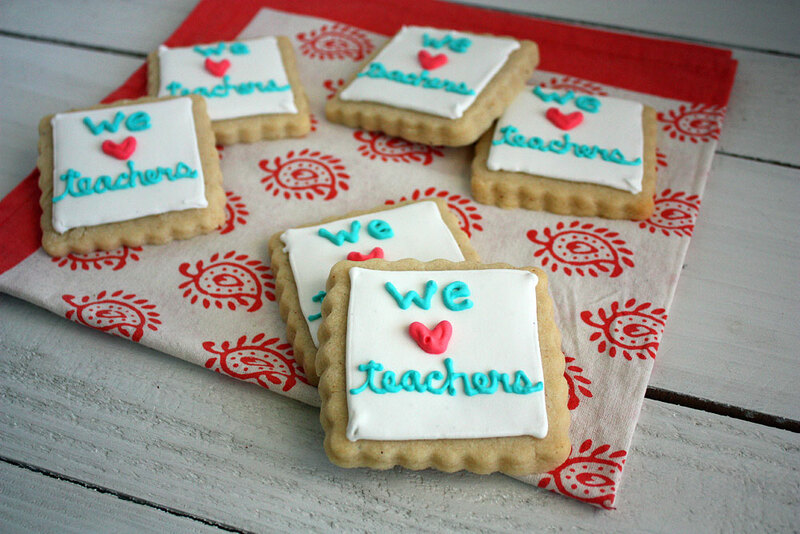 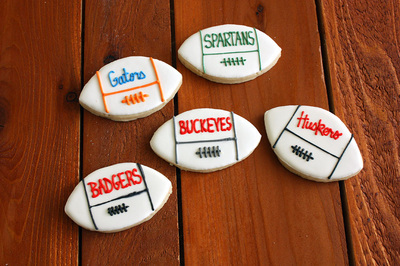 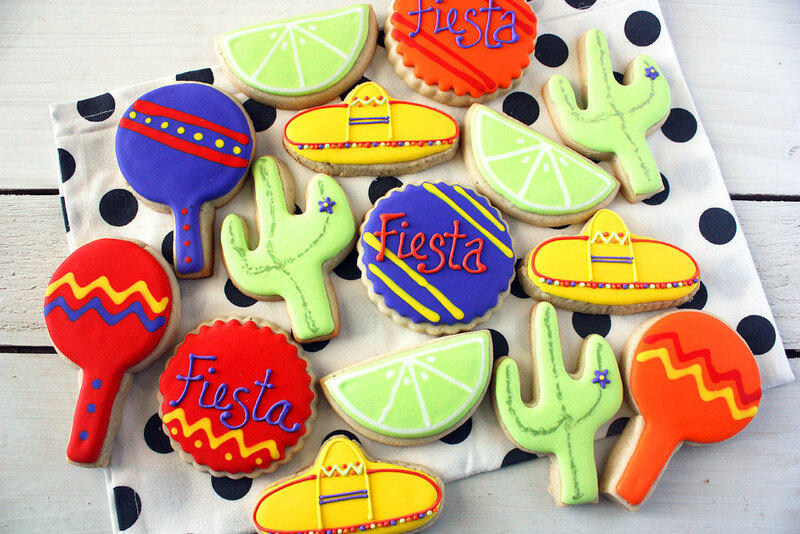 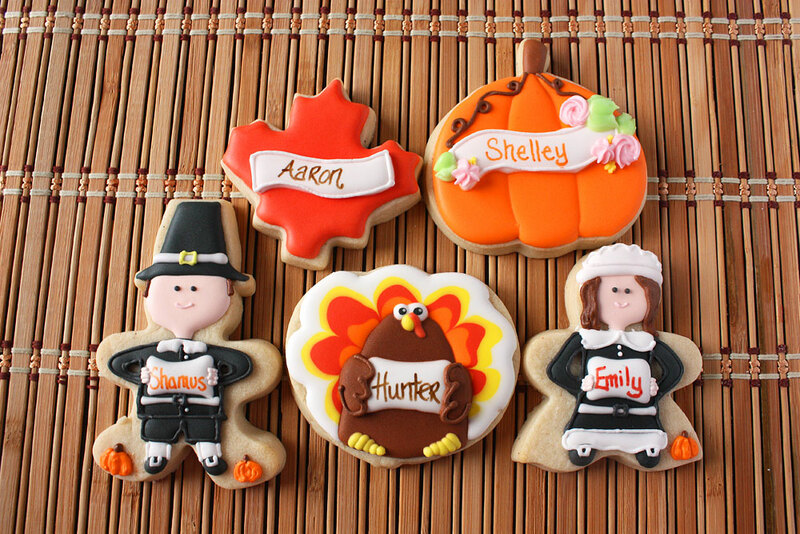 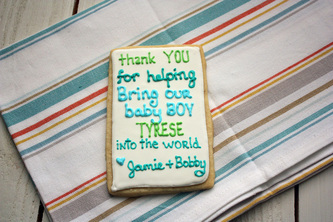 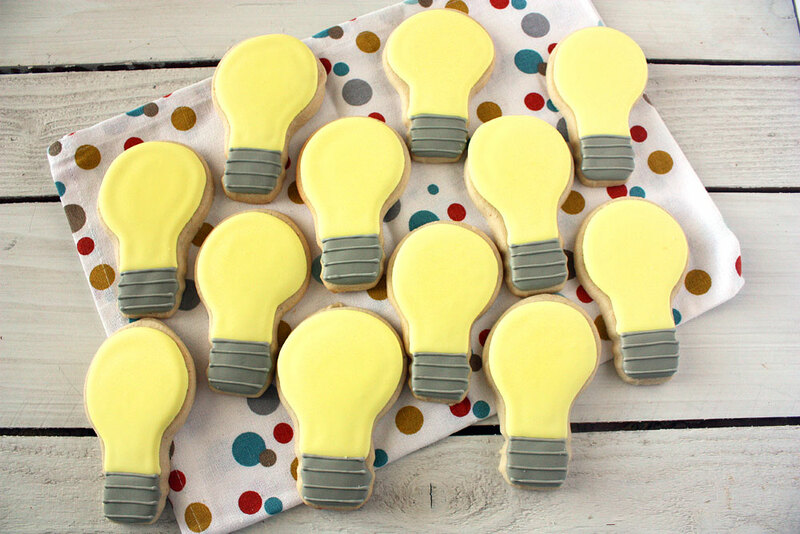 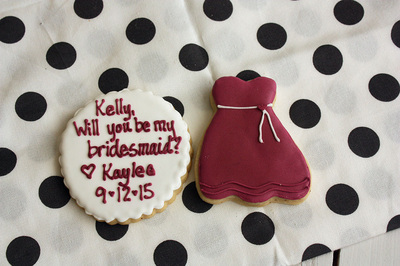 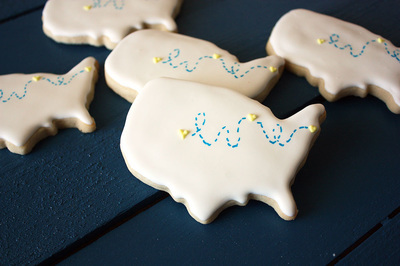 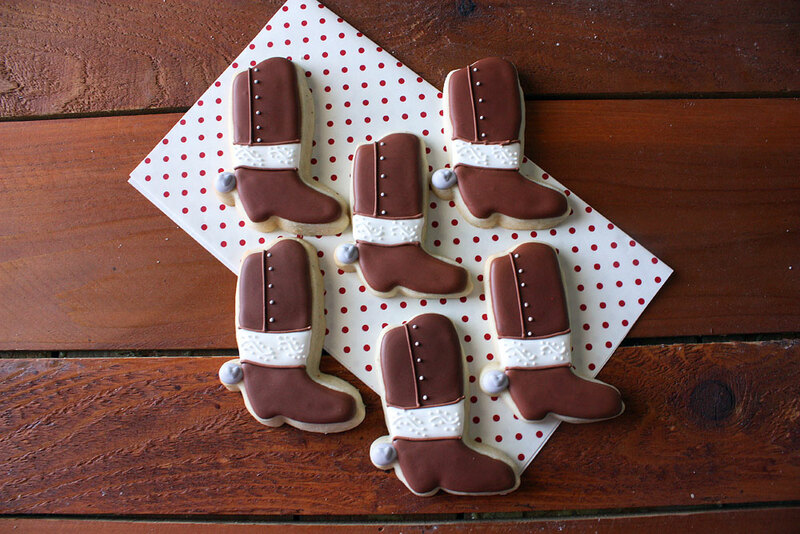 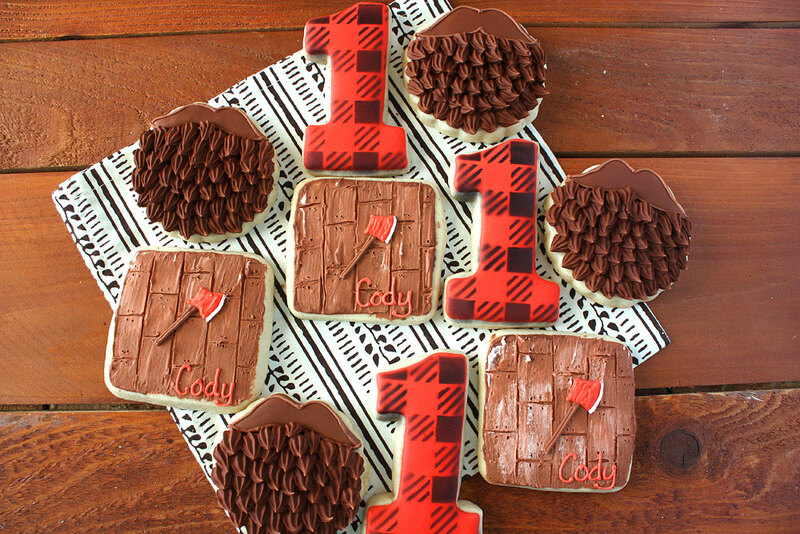 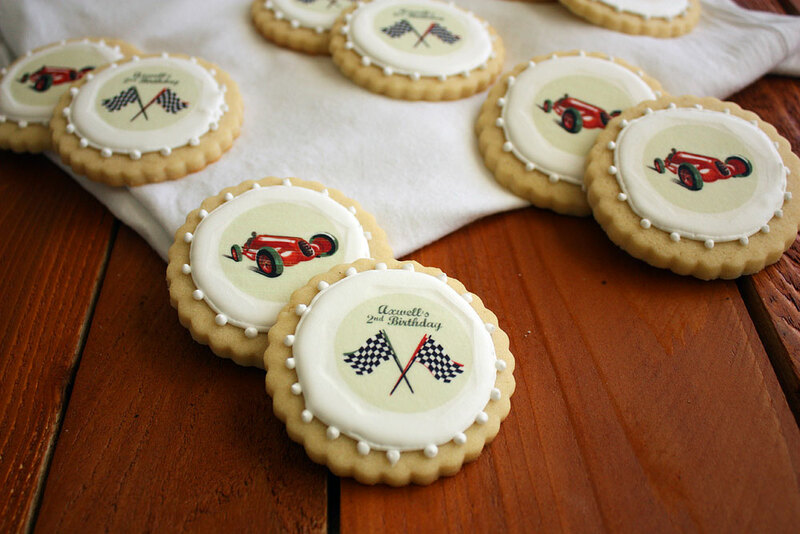 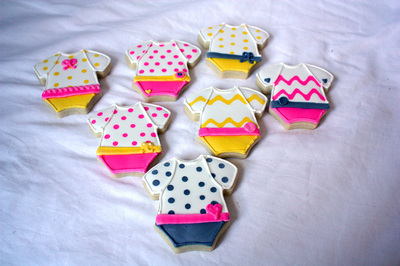 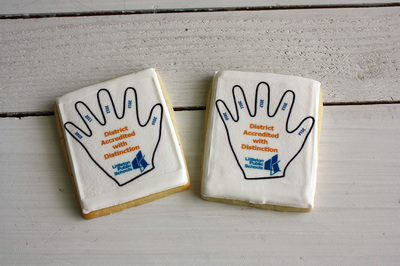 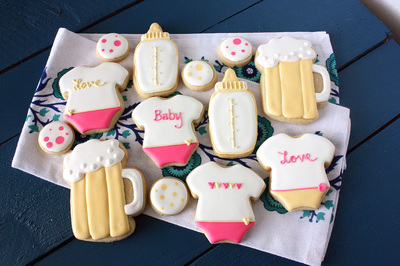 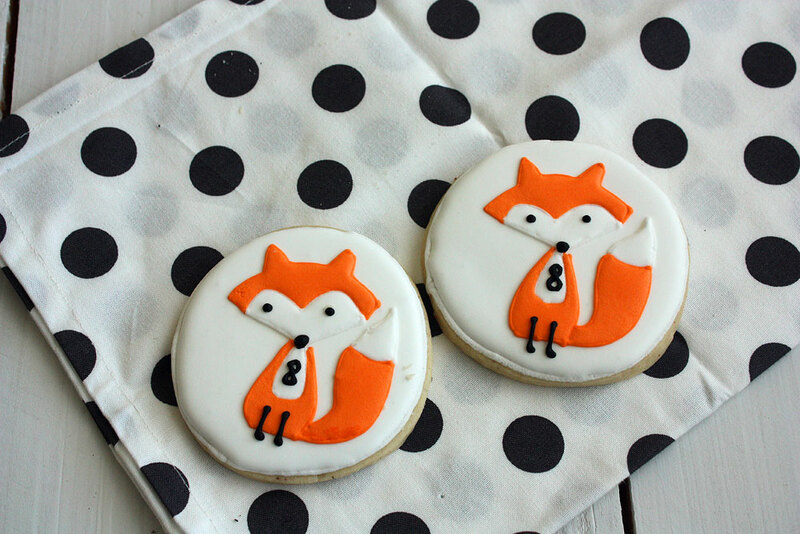 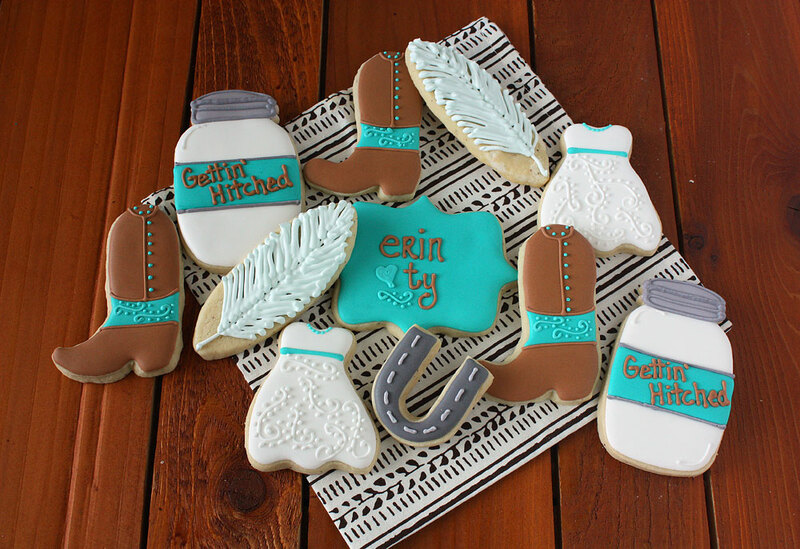 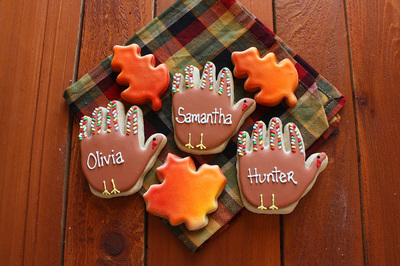 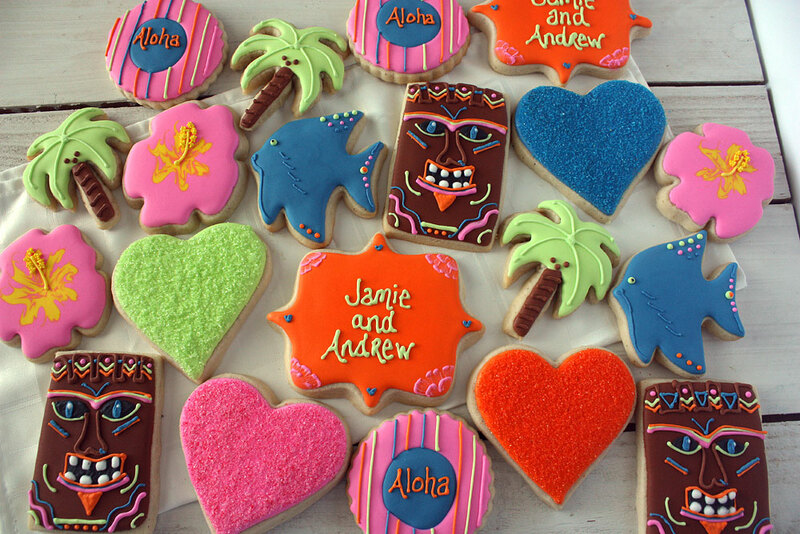 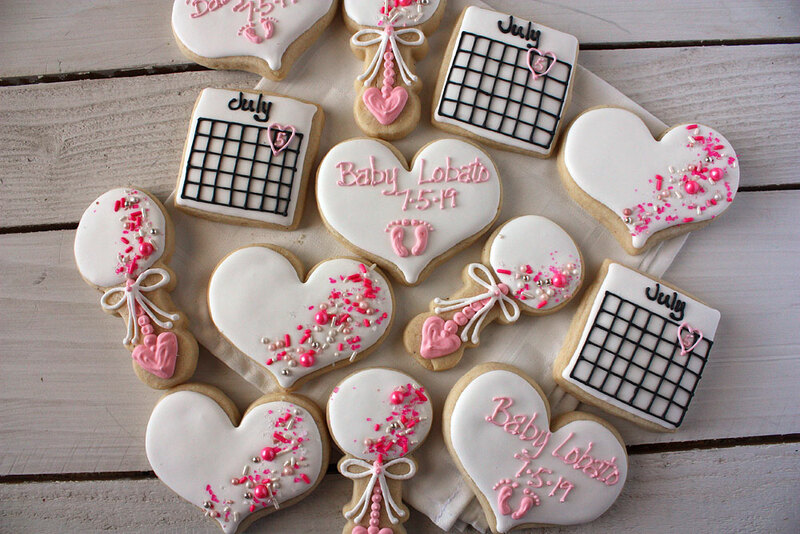 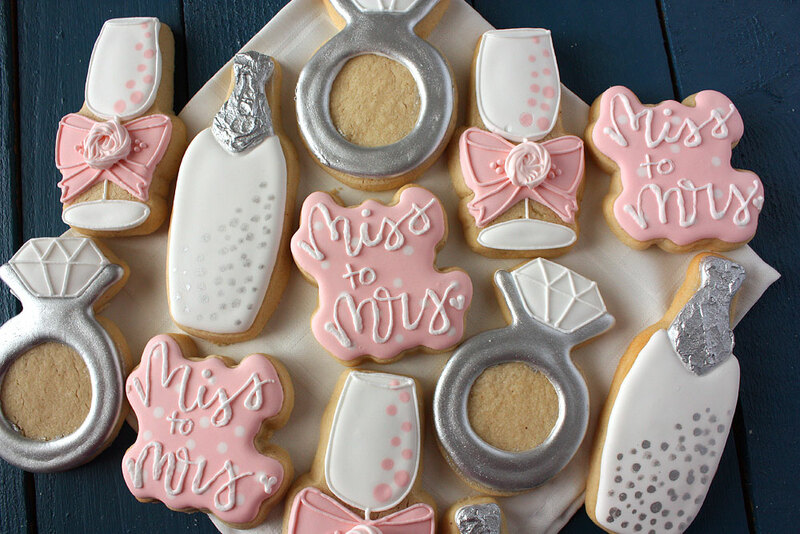 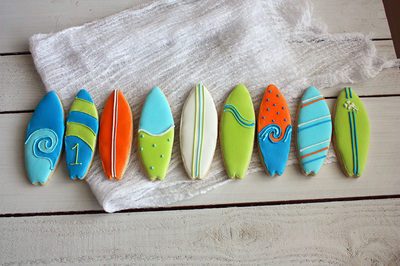 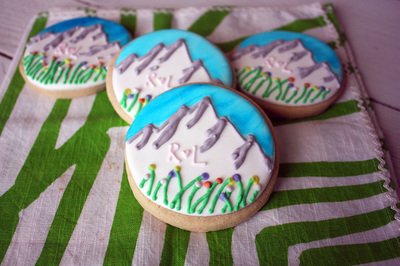 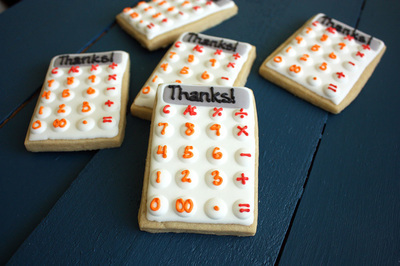 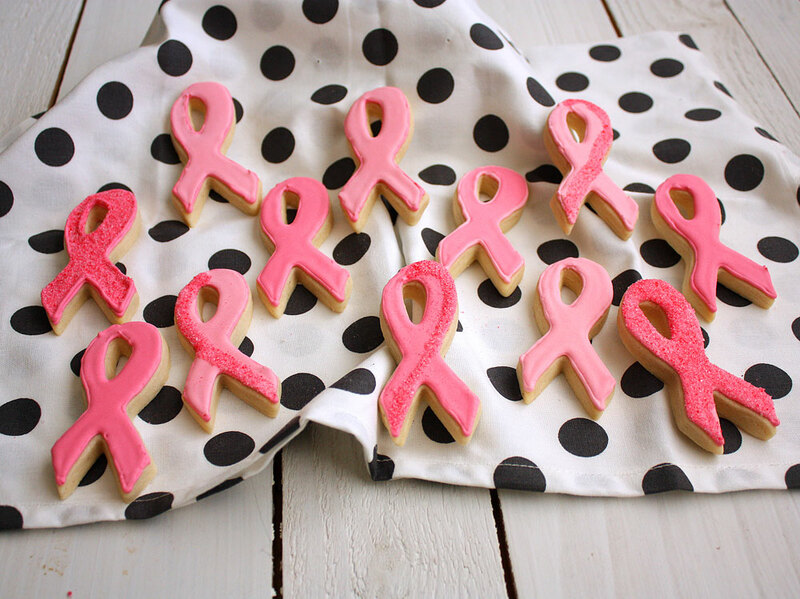 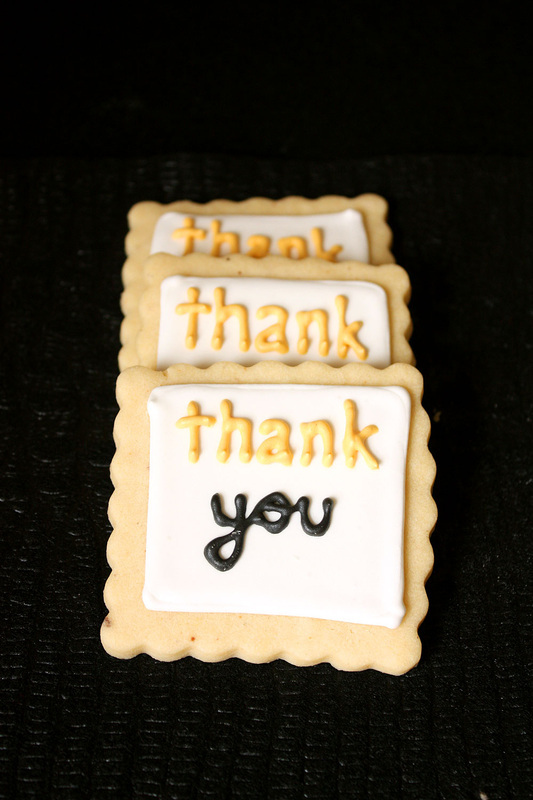 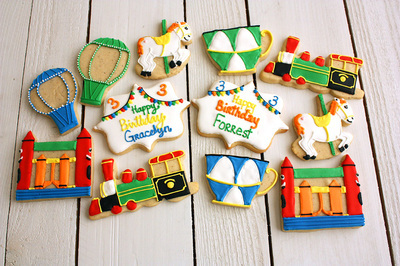 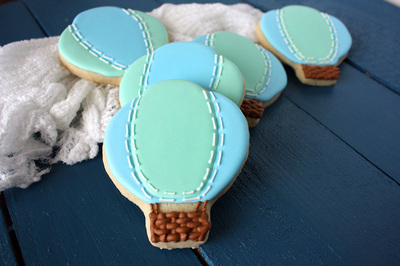 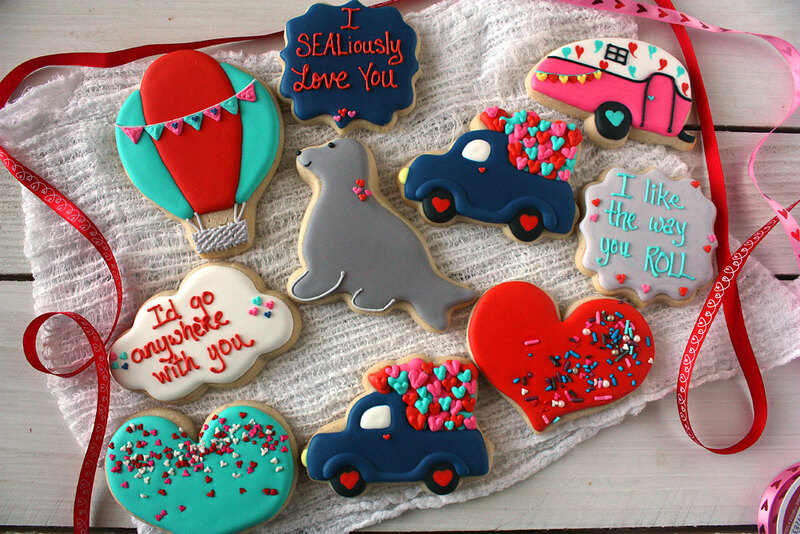 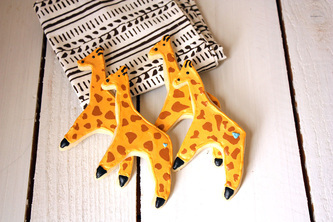 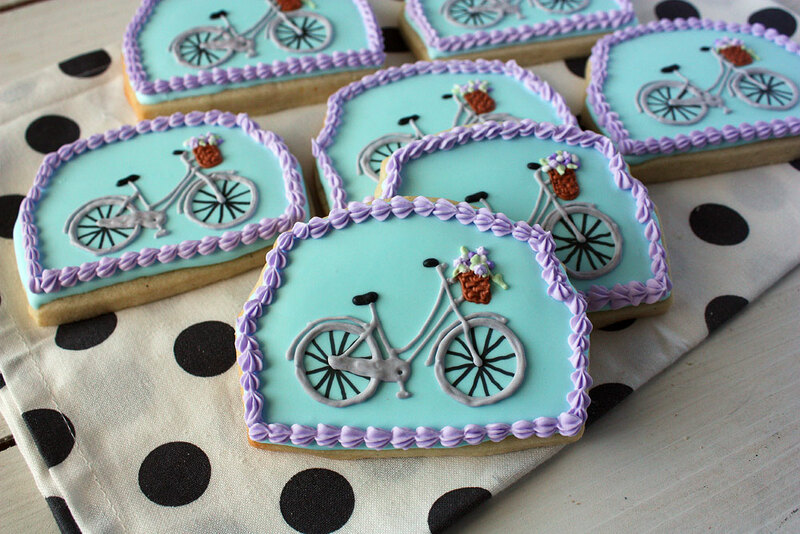 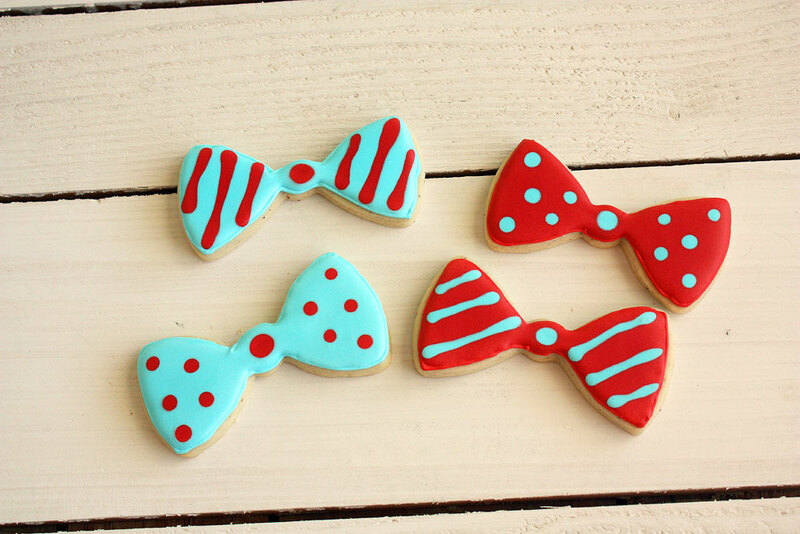 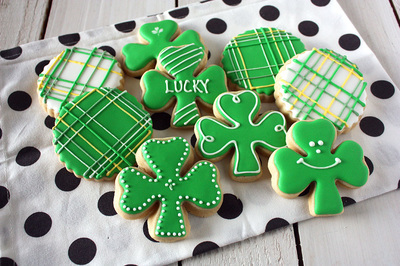 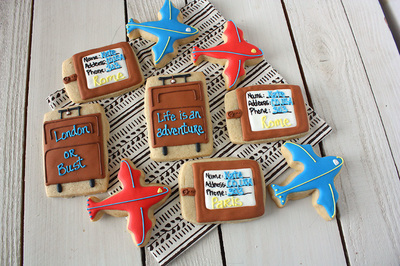 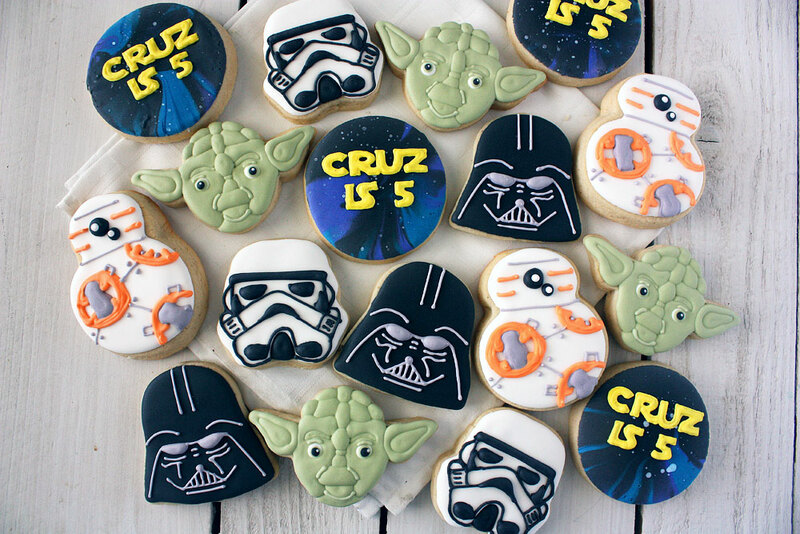 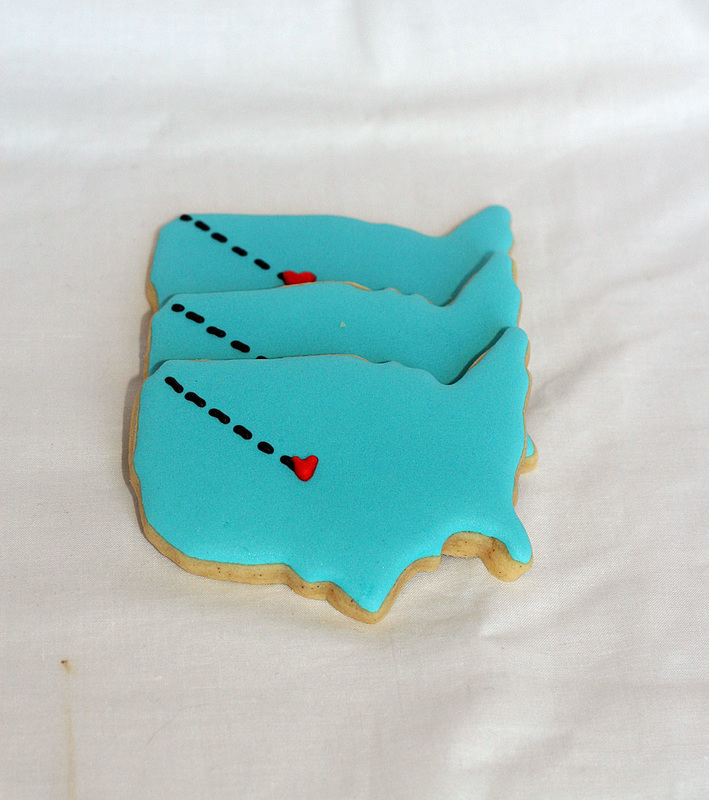 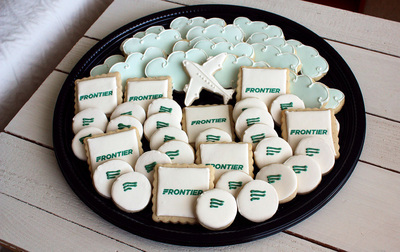 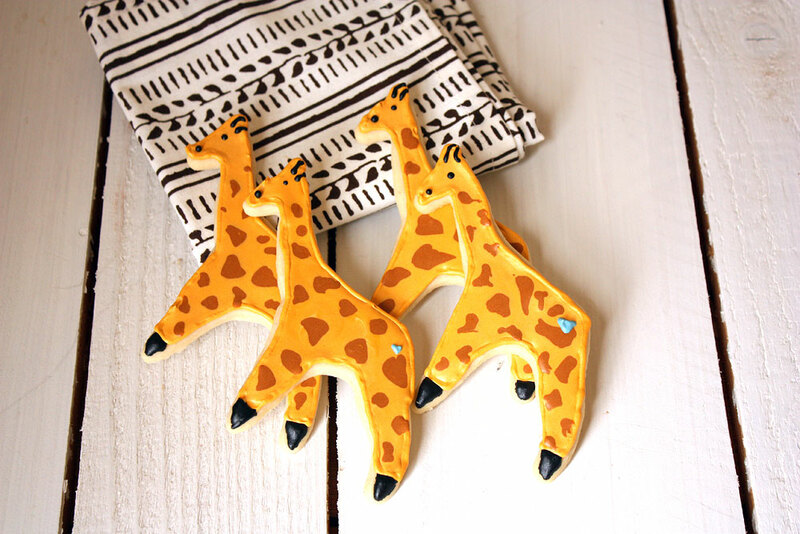 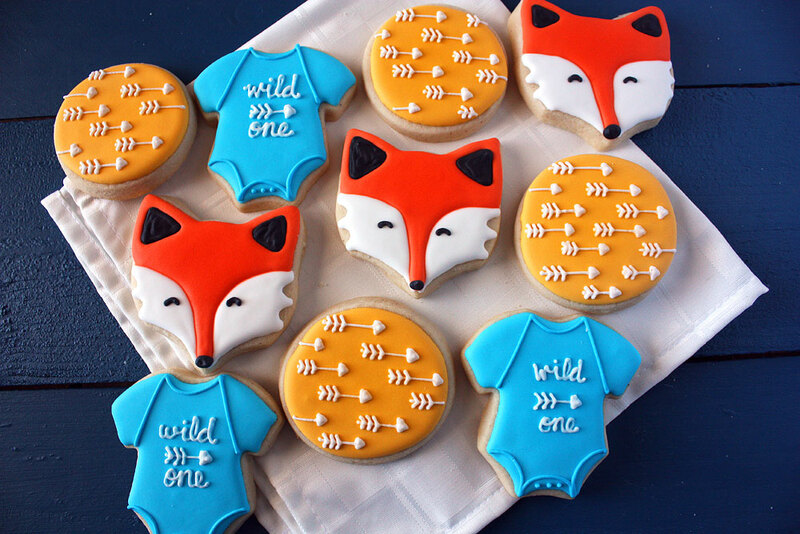 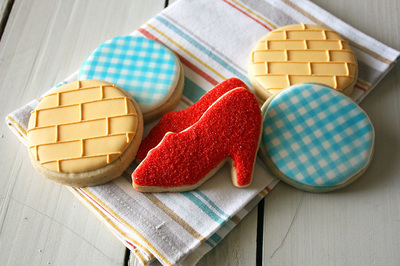 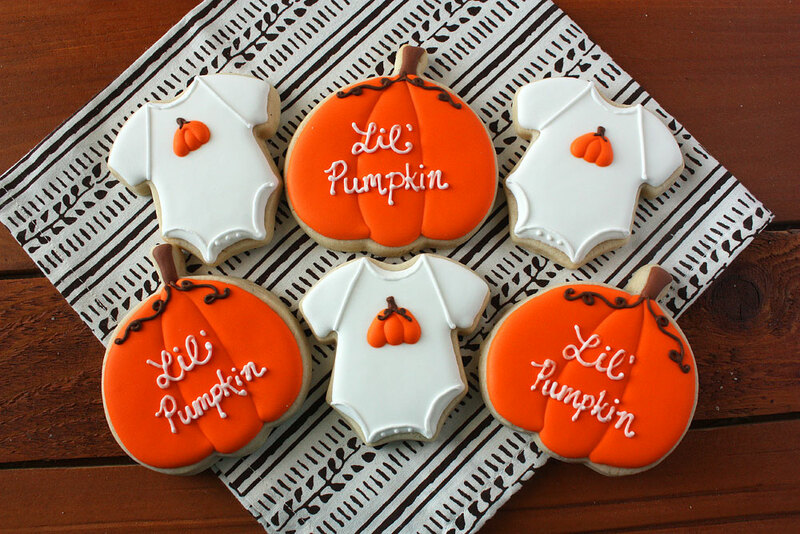 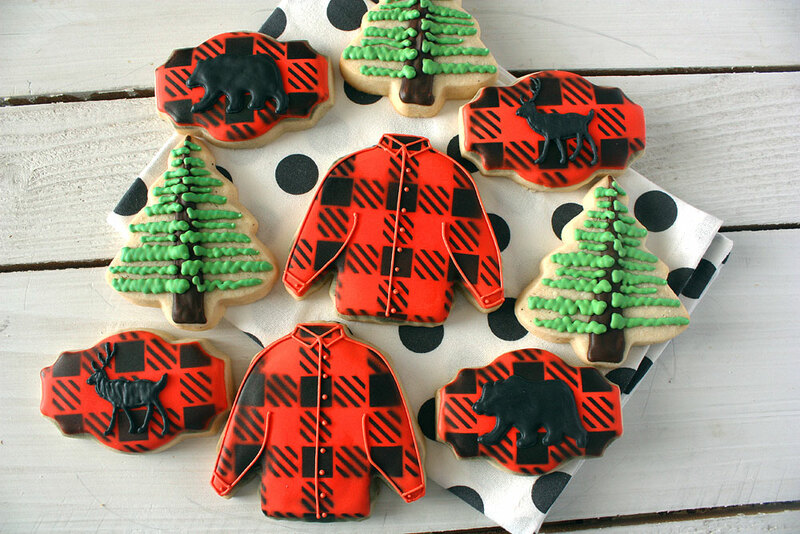 These printed cookies are perfect for client cookie gifts, fundraisers, events, parties, and campaigns. We can individually package cookies for 40 cents each for plain packaging or for 50 cents each with a coordinating ribbon. 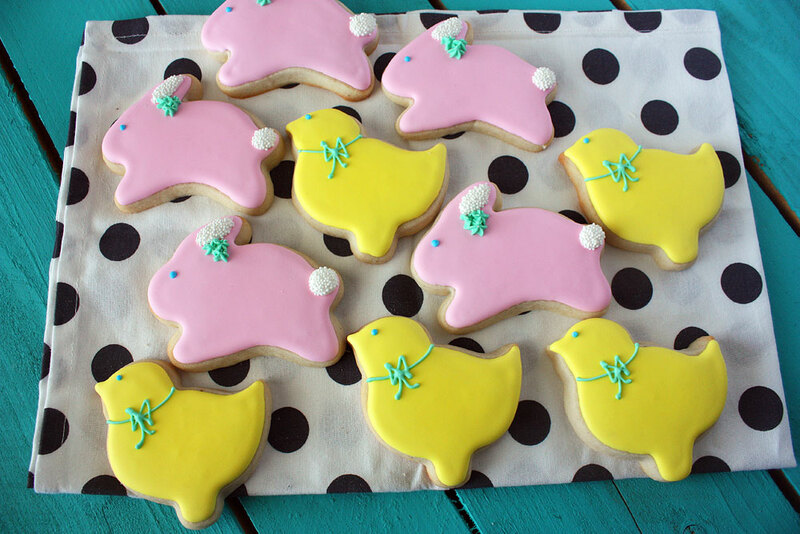 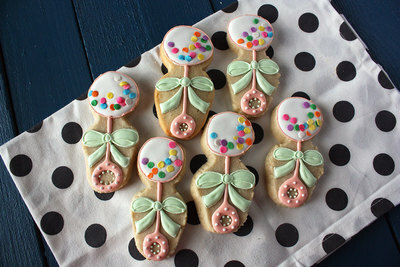 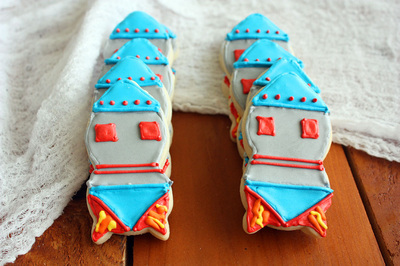 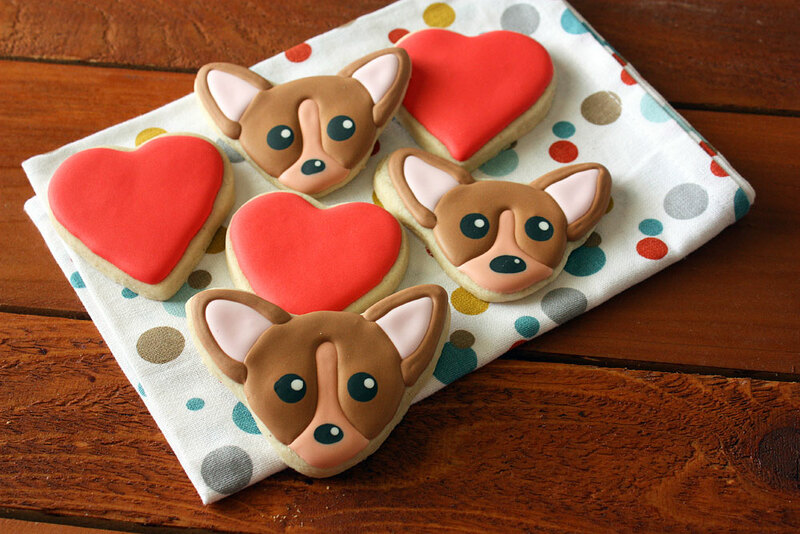 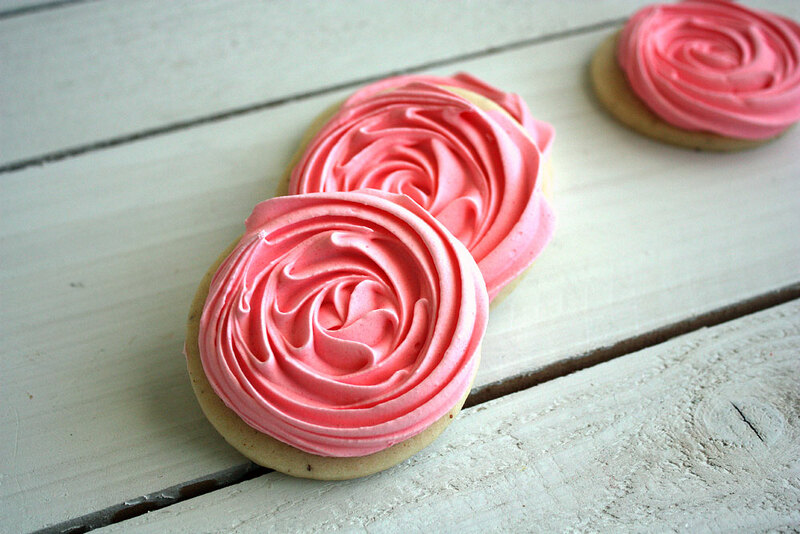 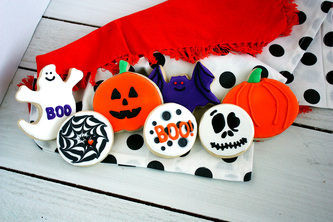 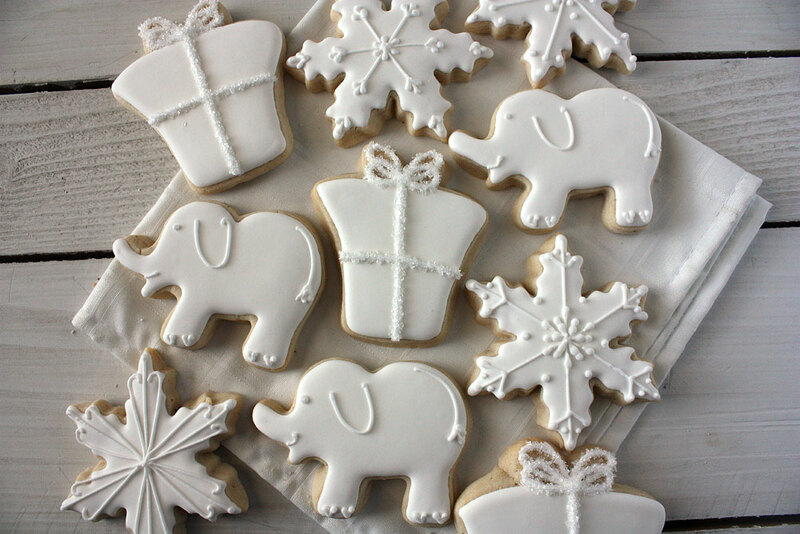 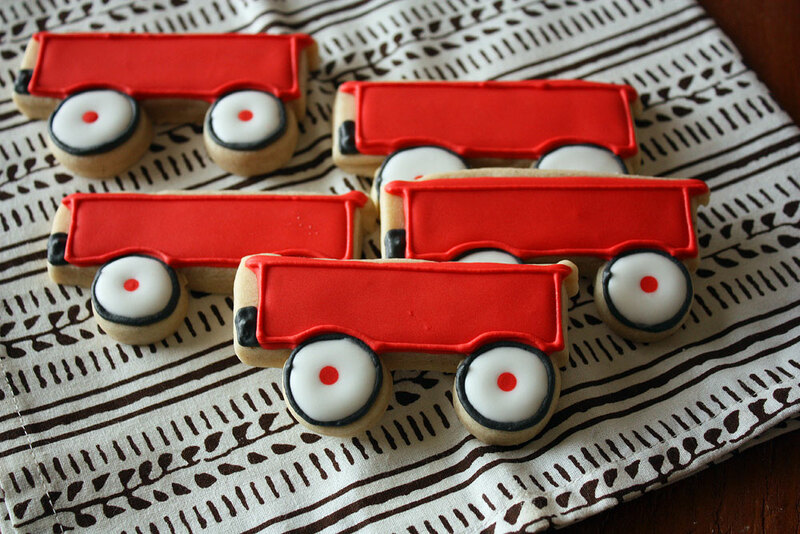 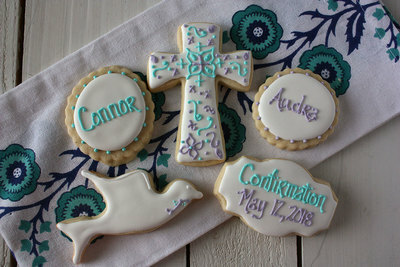 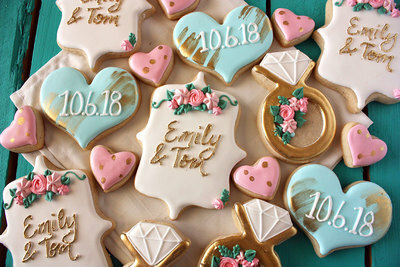 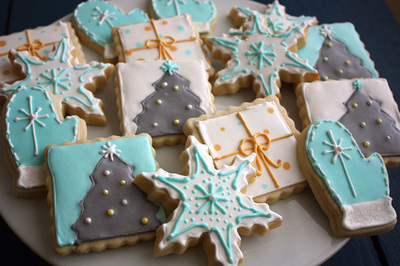 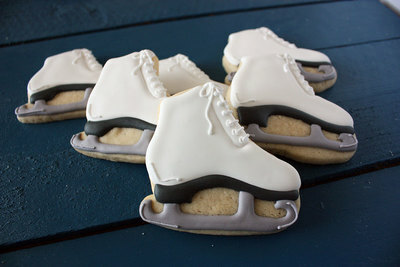 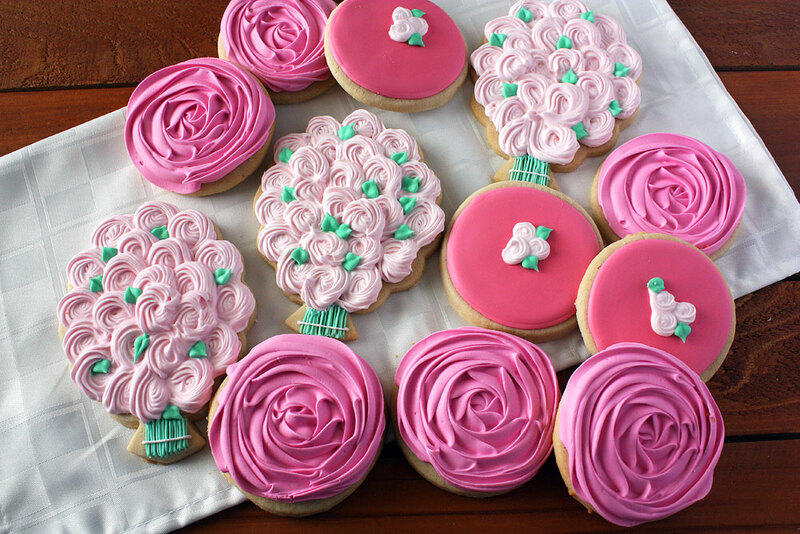 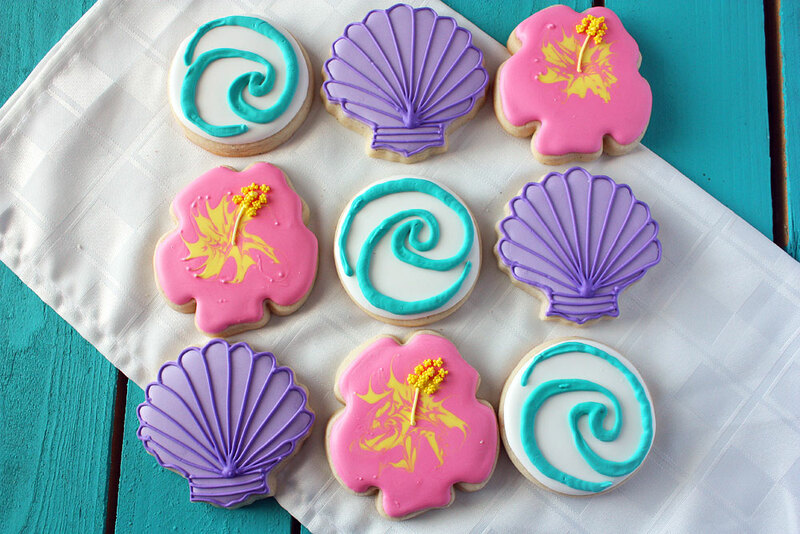 We need at least three-days notice to make sugar cookies; however, our schedule fills up quickly and we often require more notice than that, especially for larger orders.